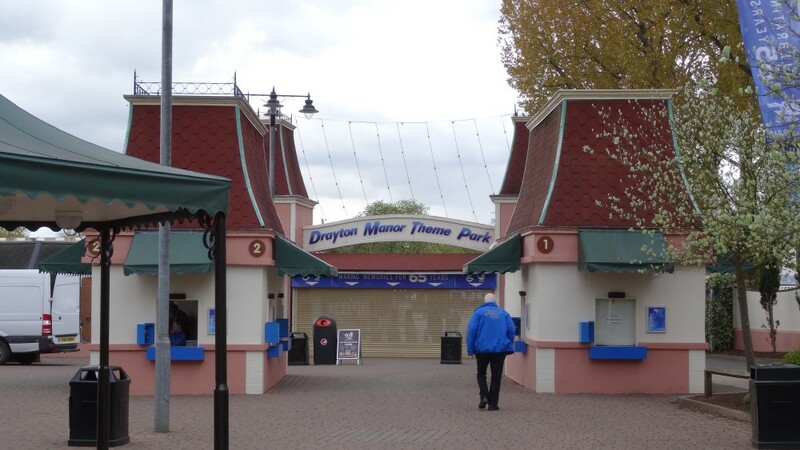 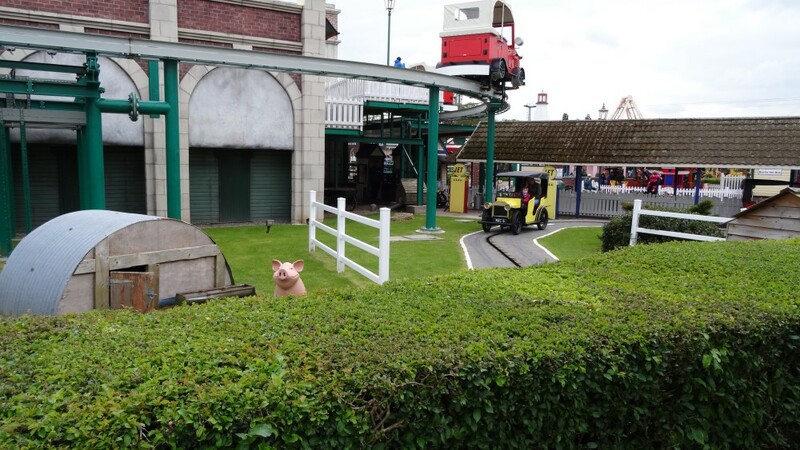 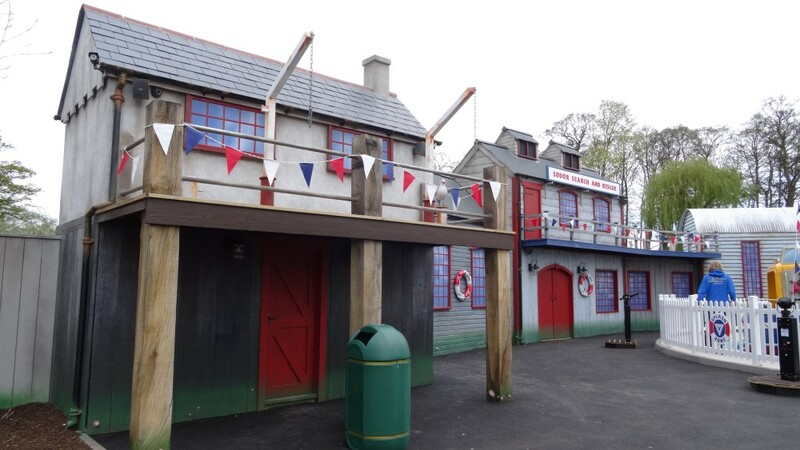 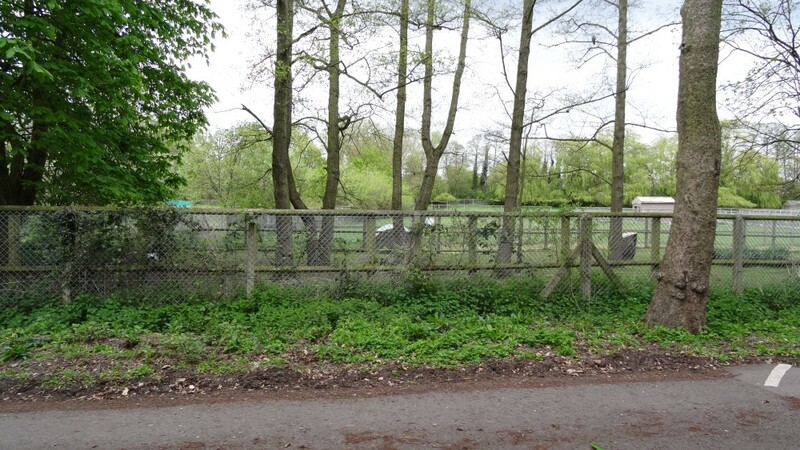 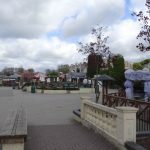 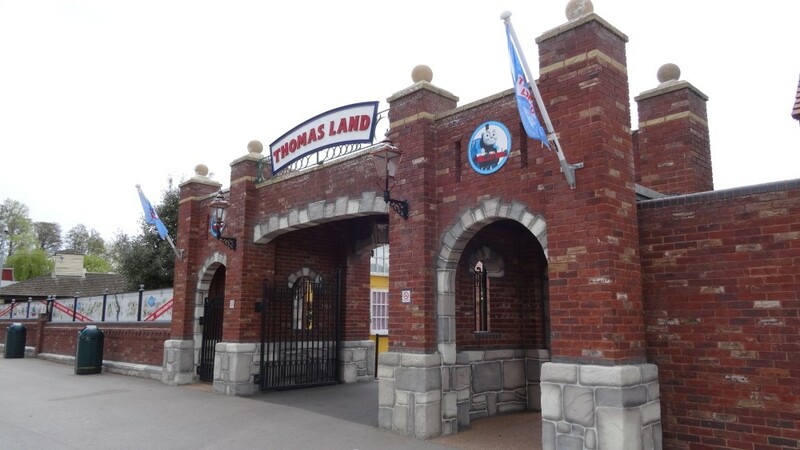 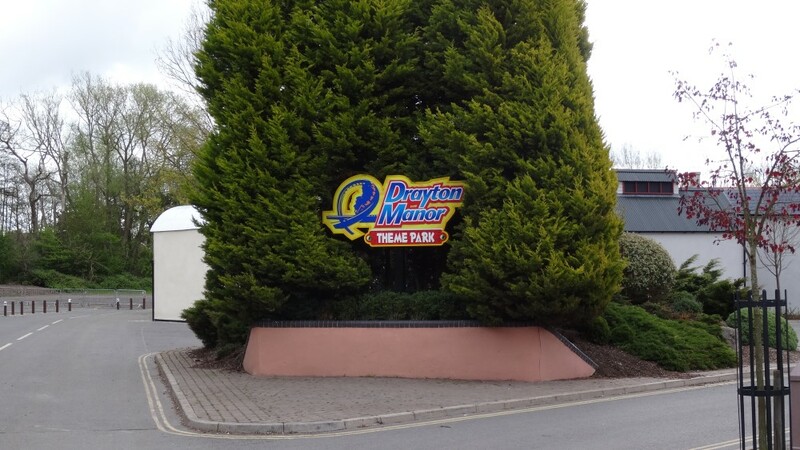 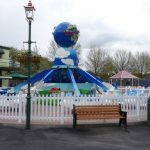 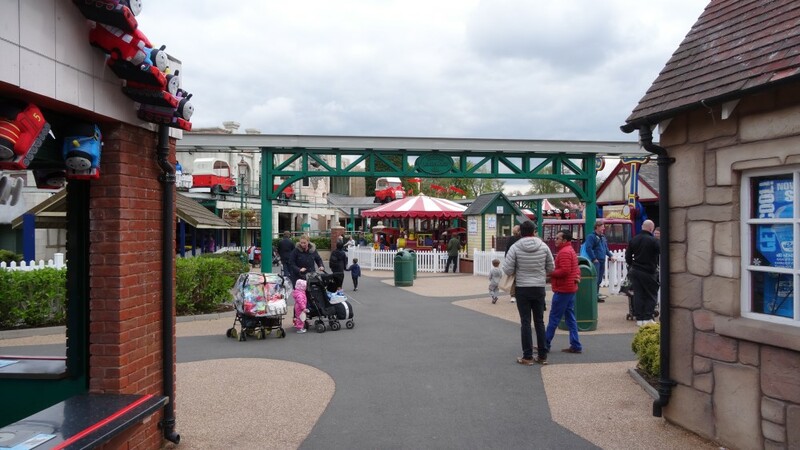 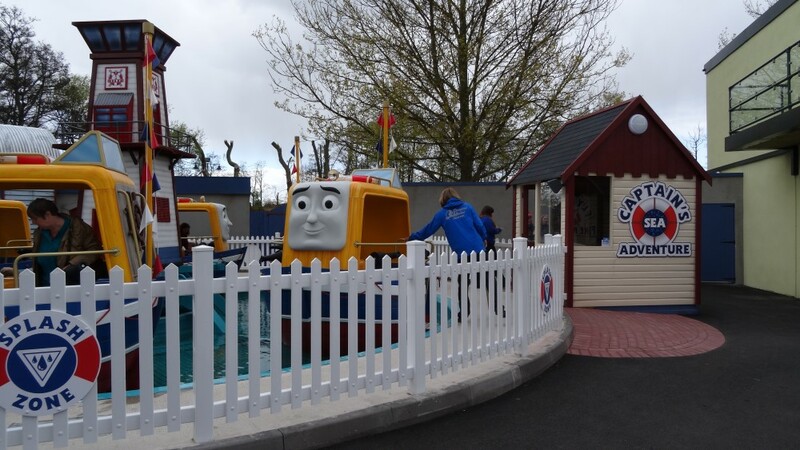 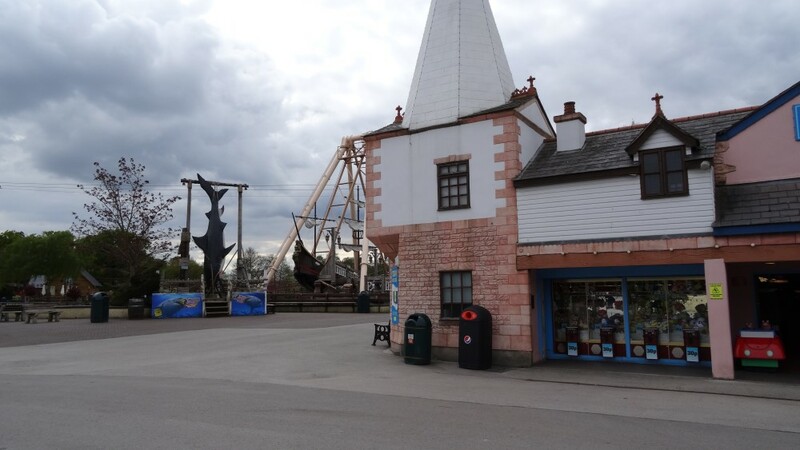 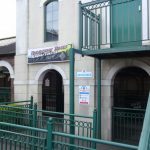 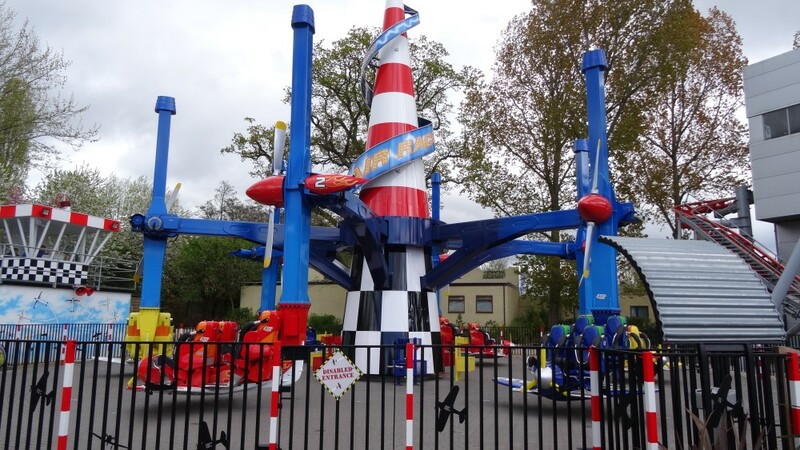 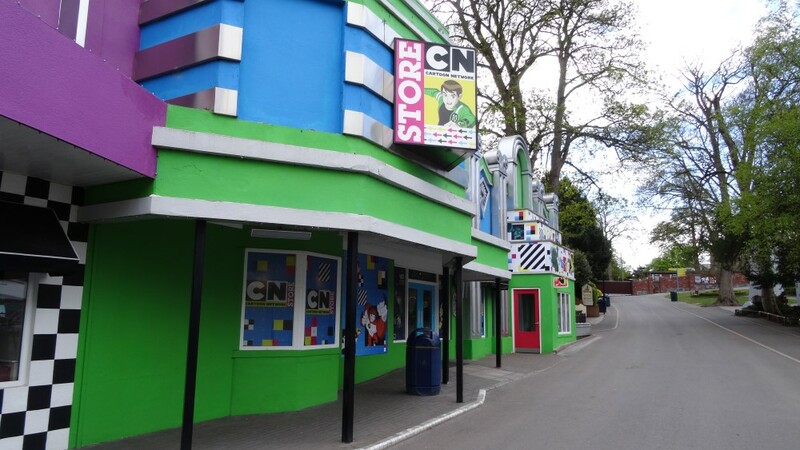 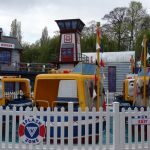 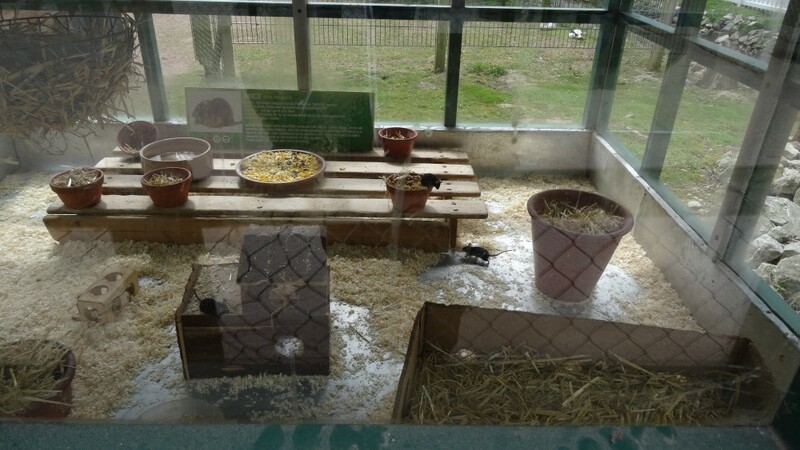 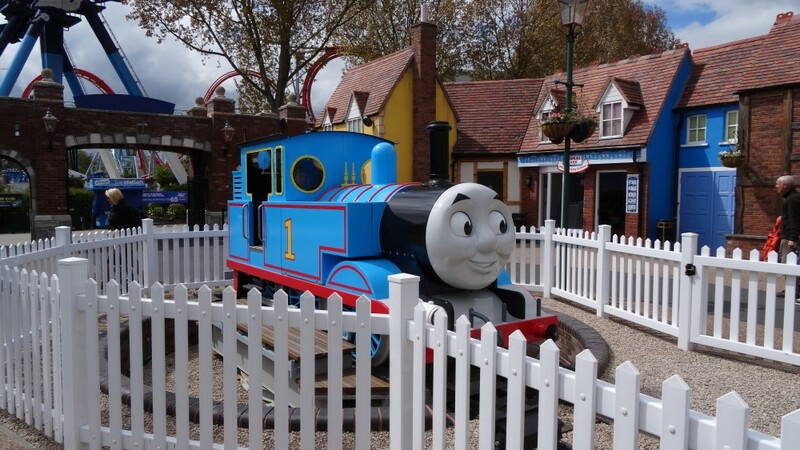 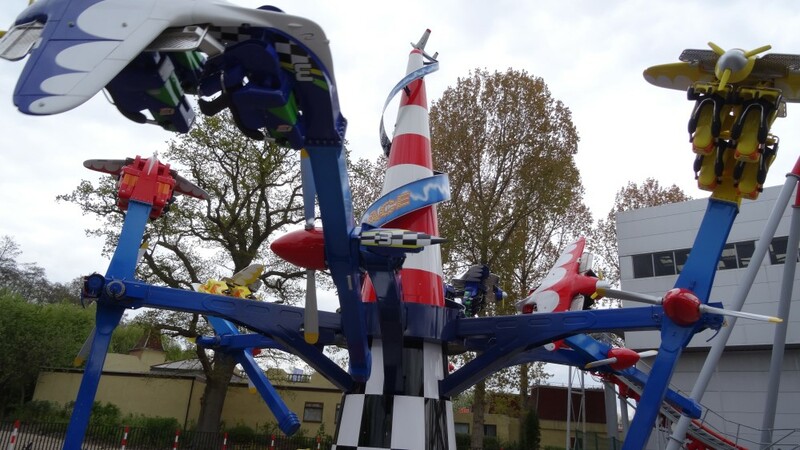 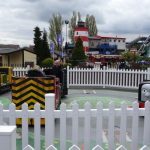 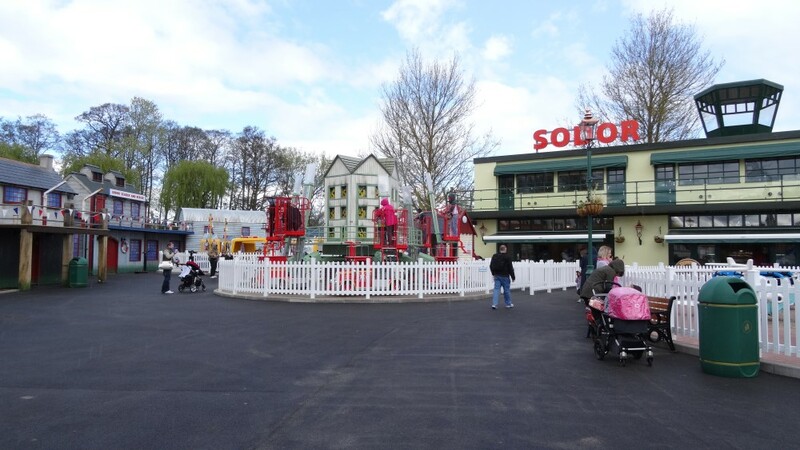 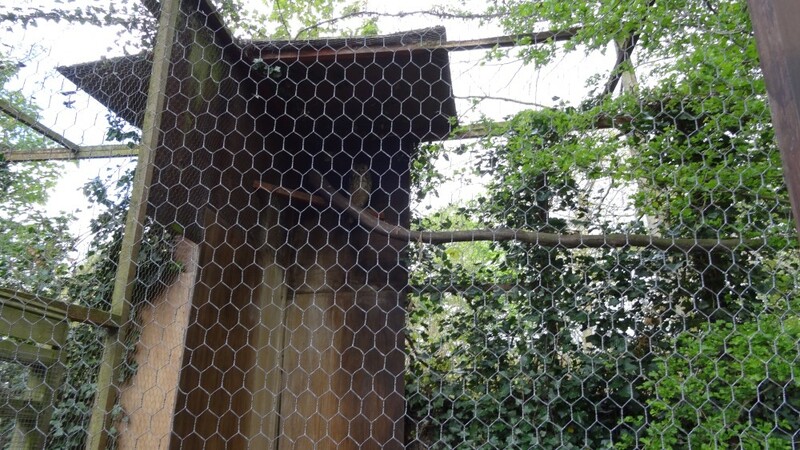 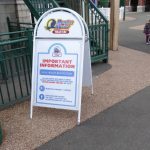 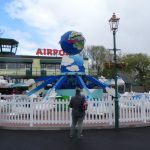 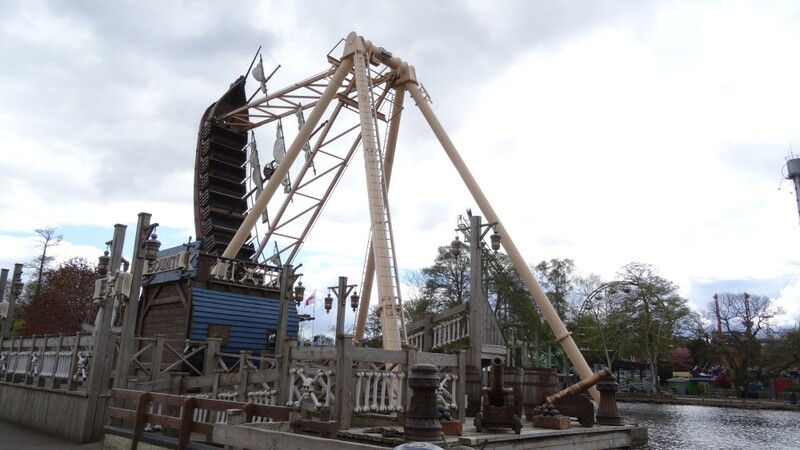 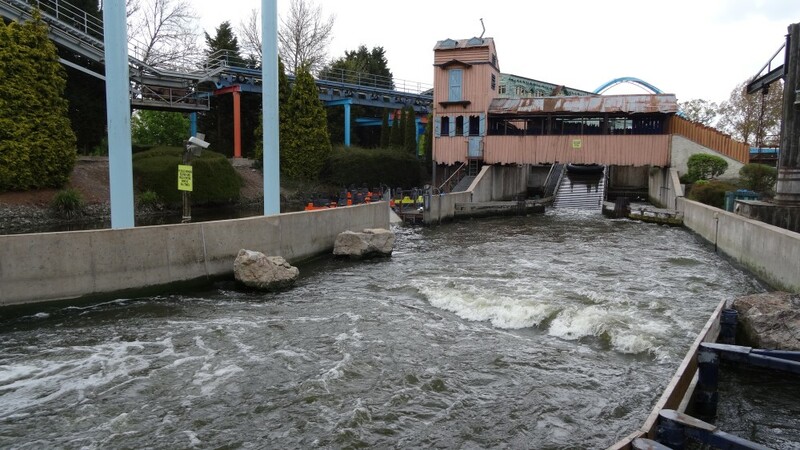 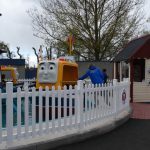 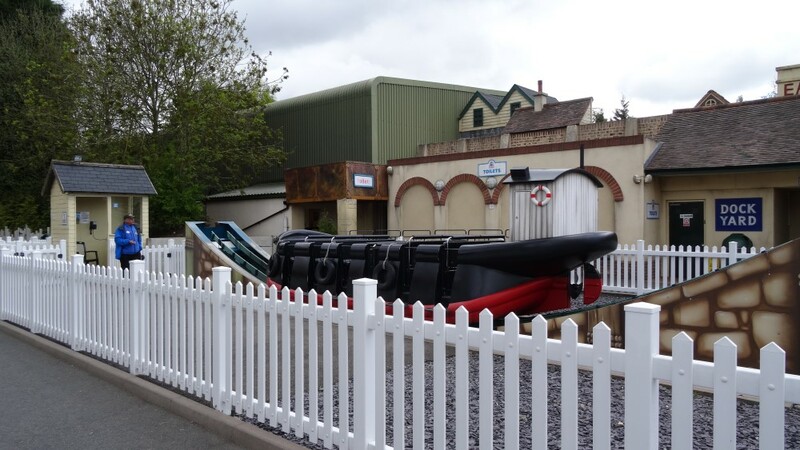 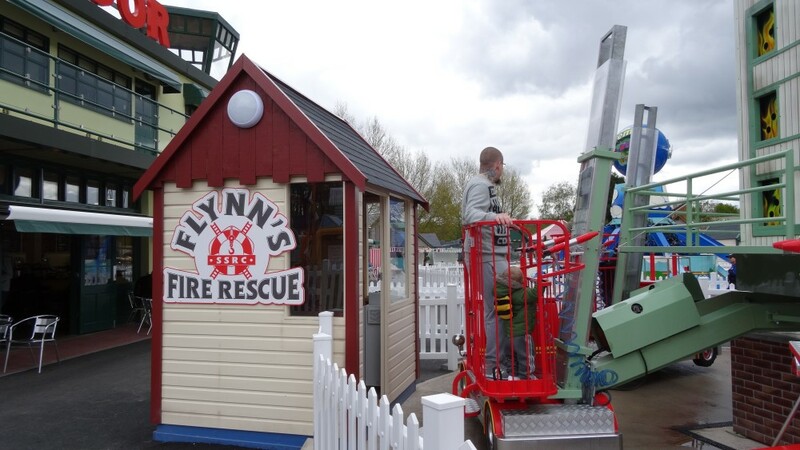 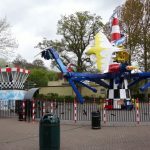 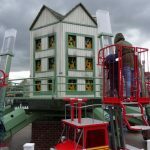 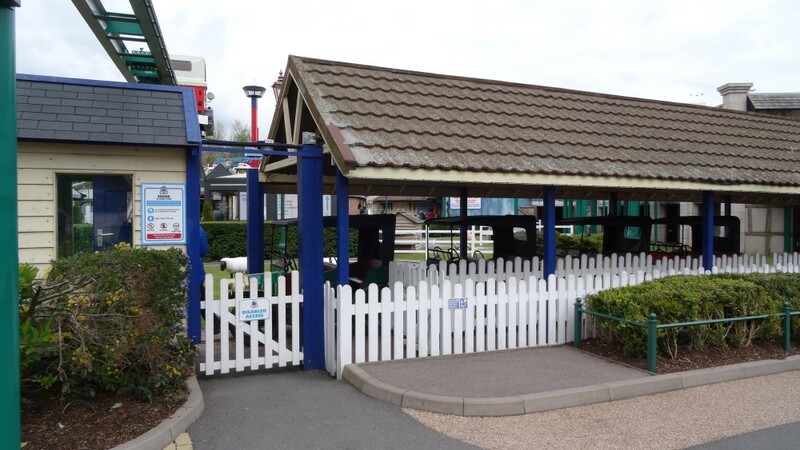 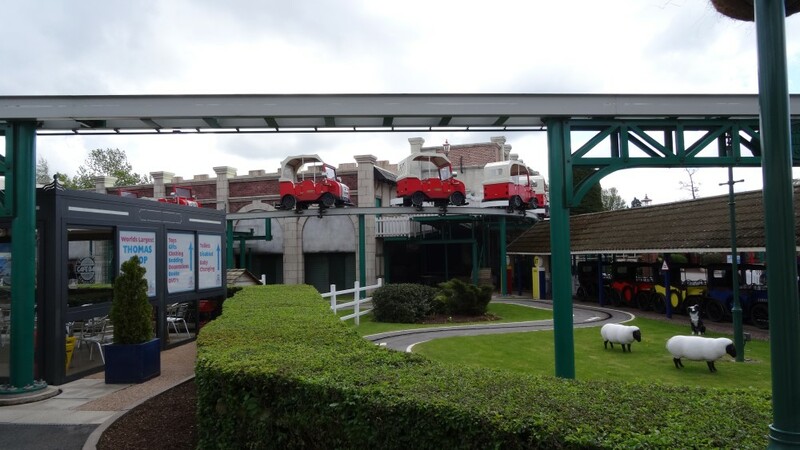 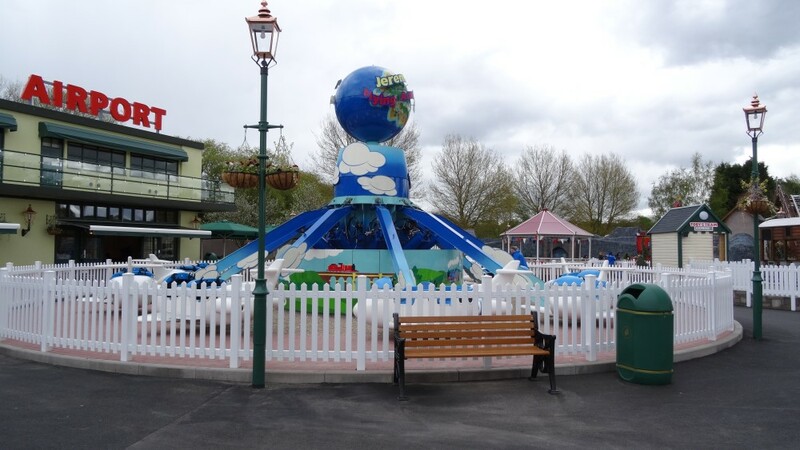 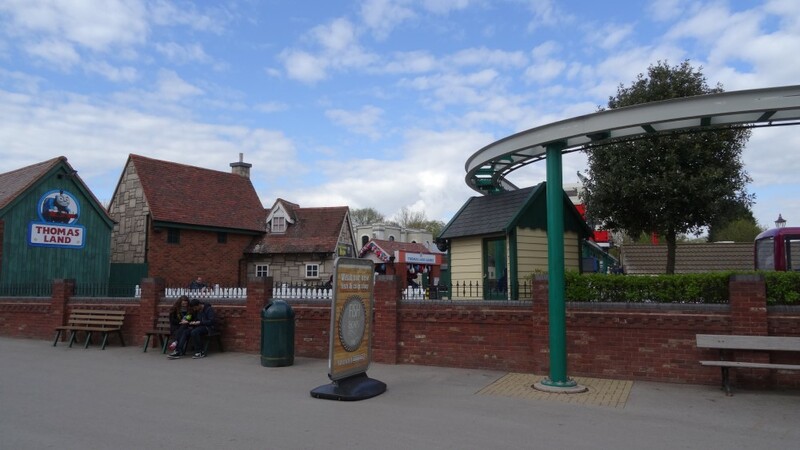 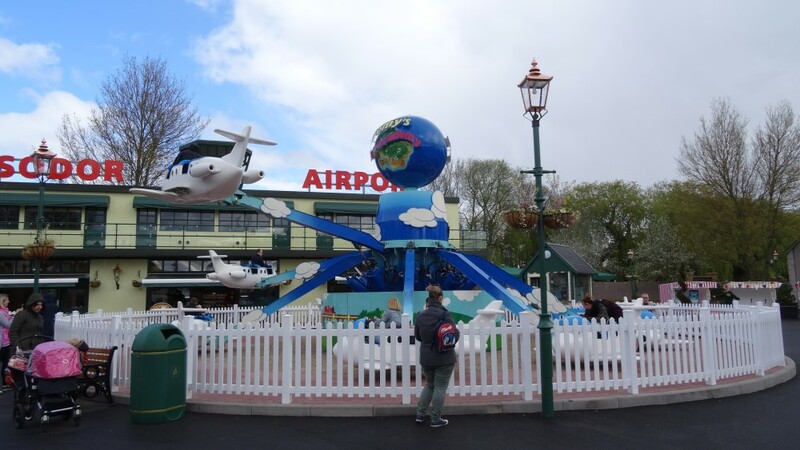 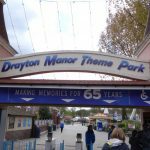 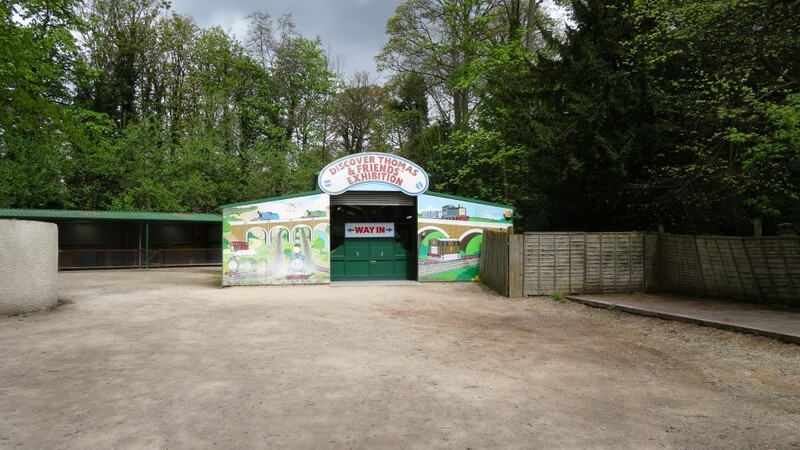 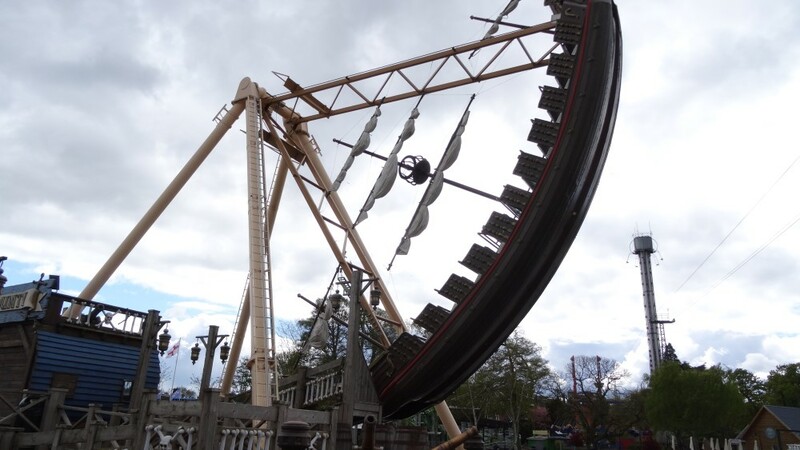 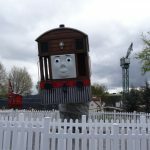 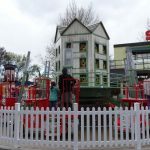 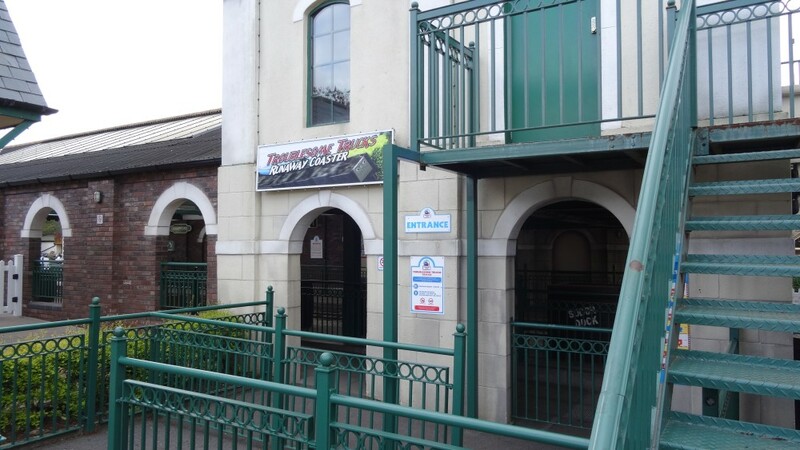 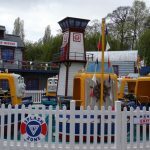 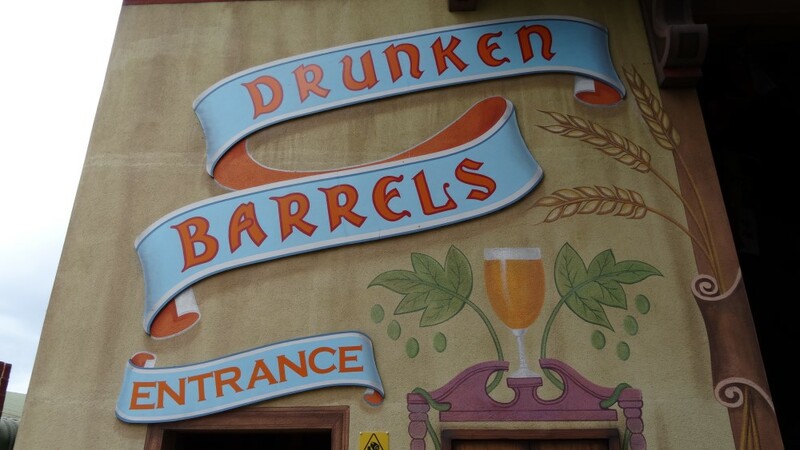 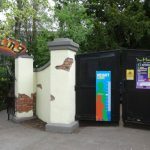 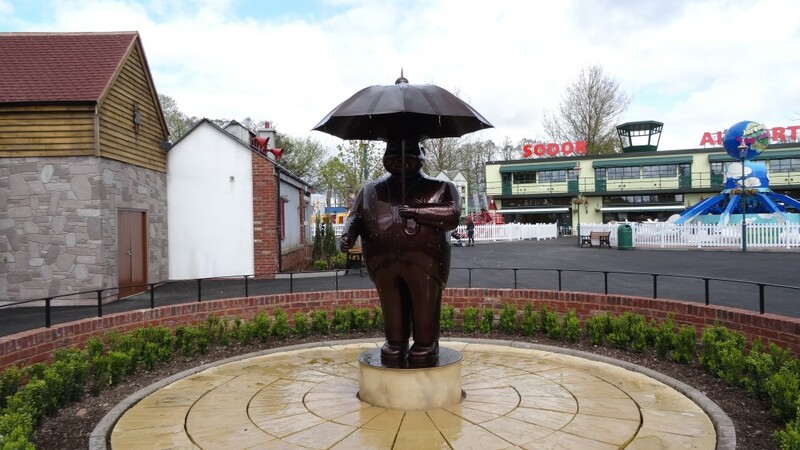 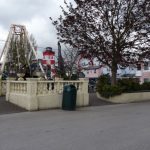 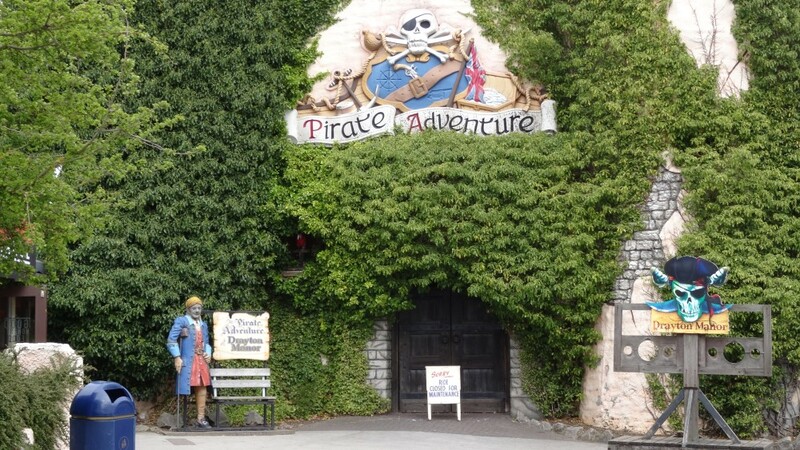 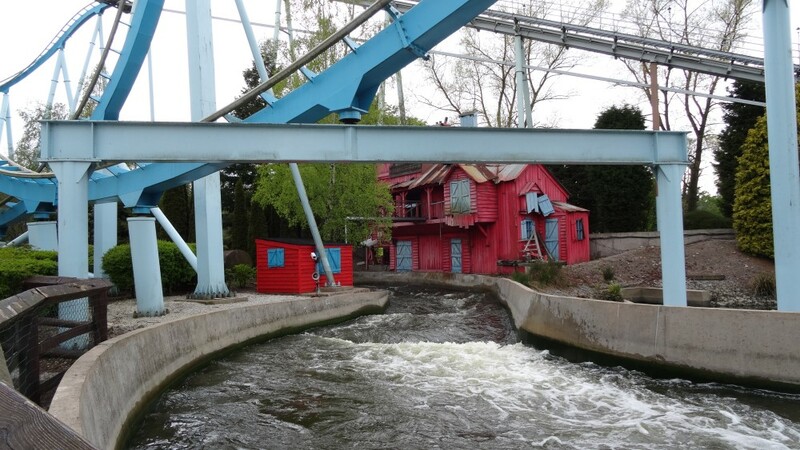 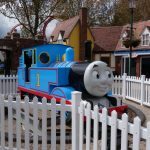 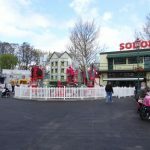 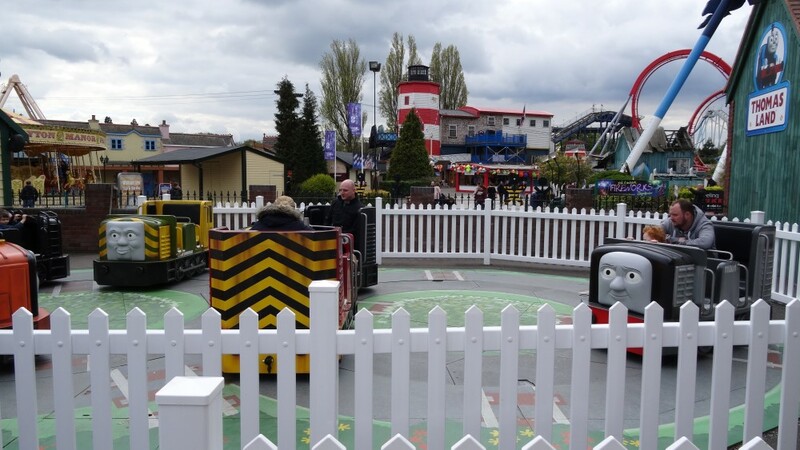 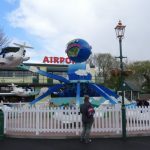 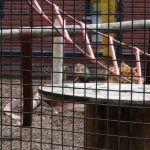 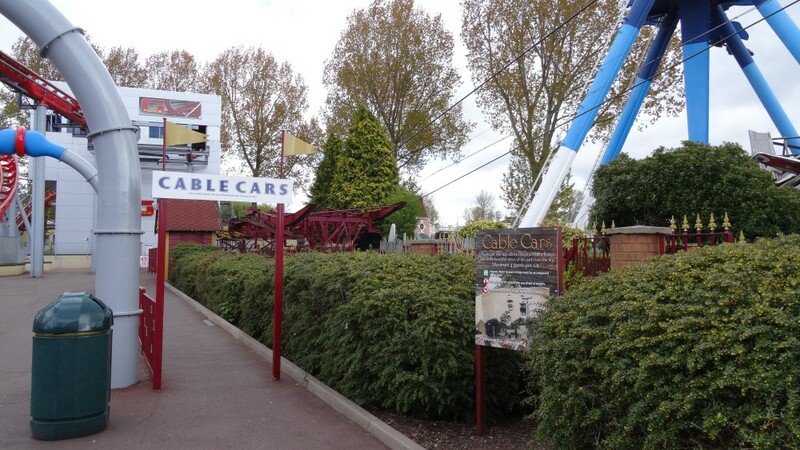 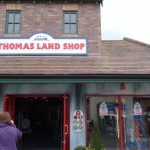 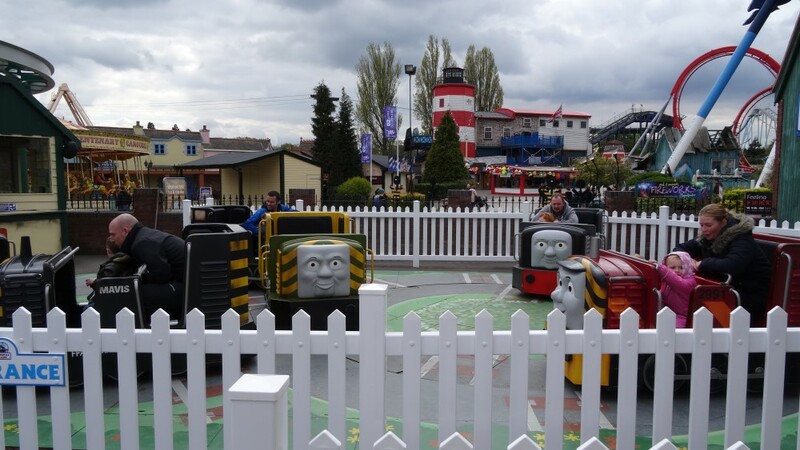 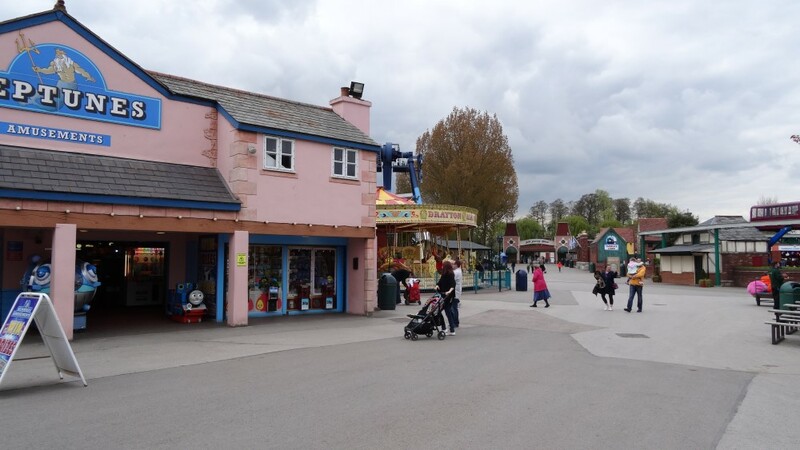 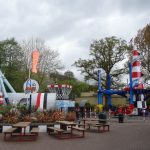 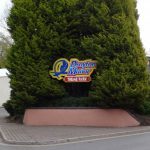 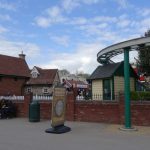 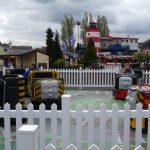 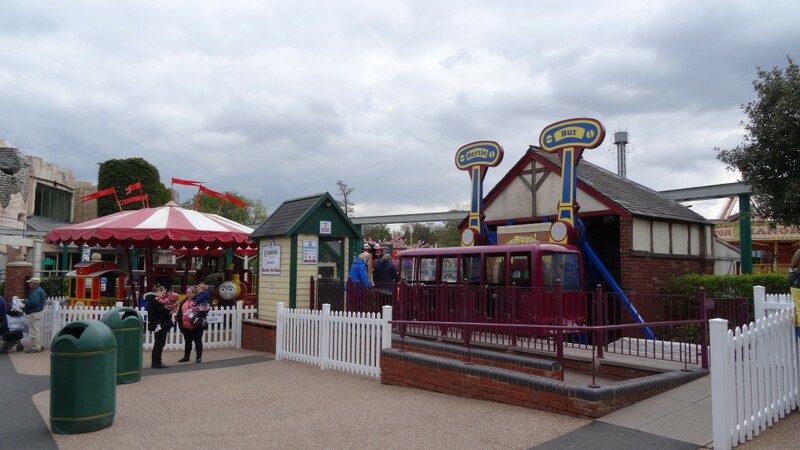 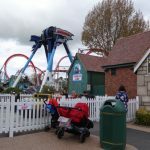 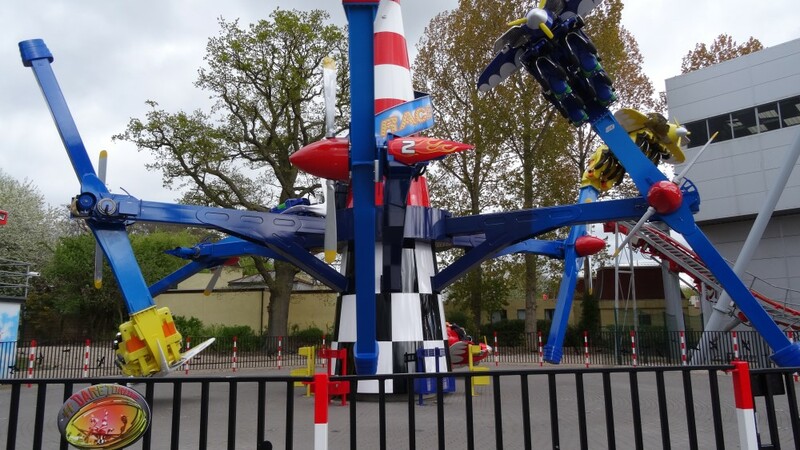 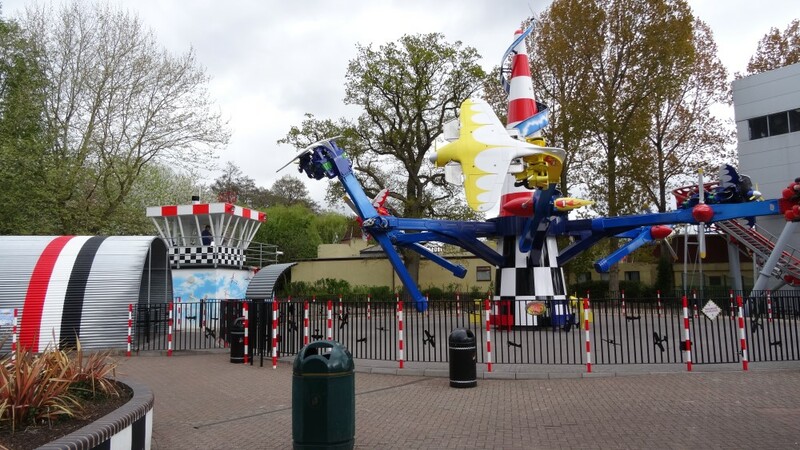 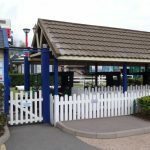 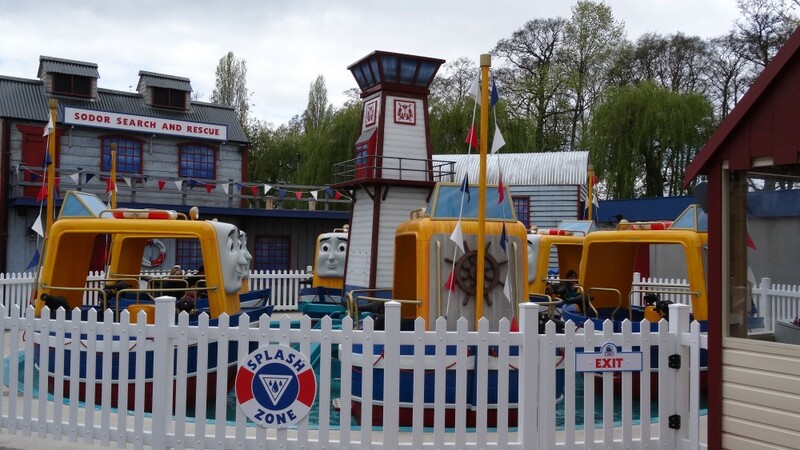 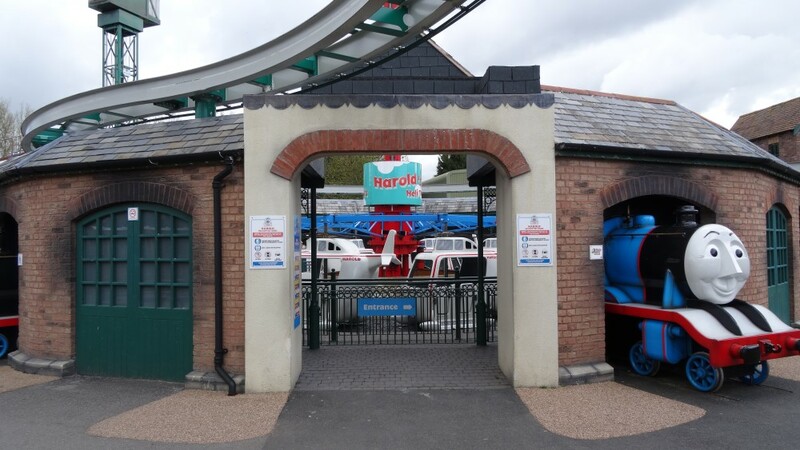 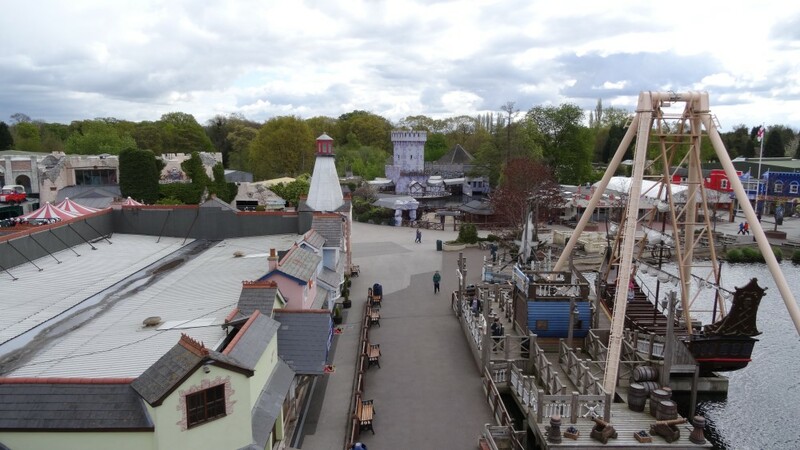 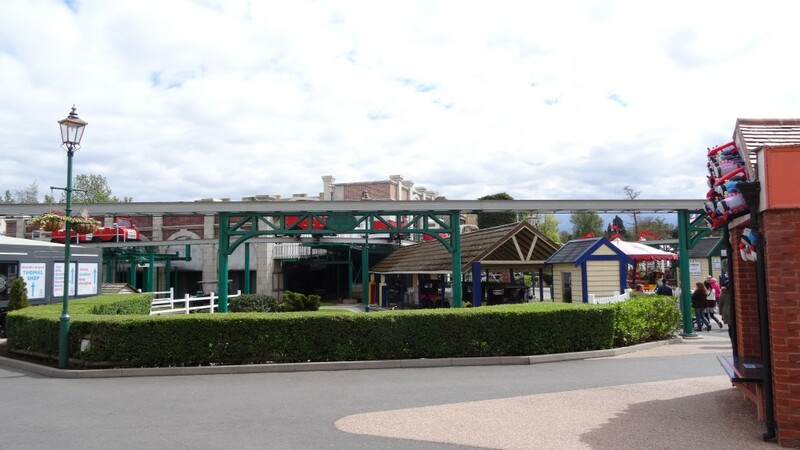 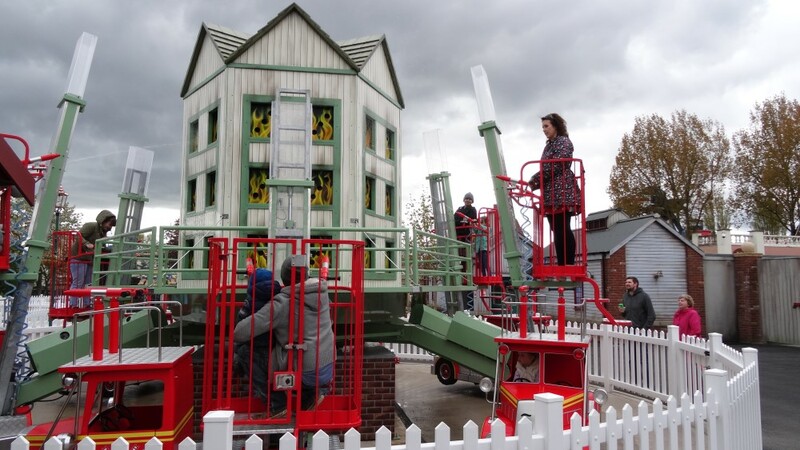 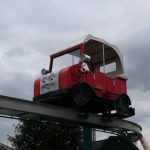 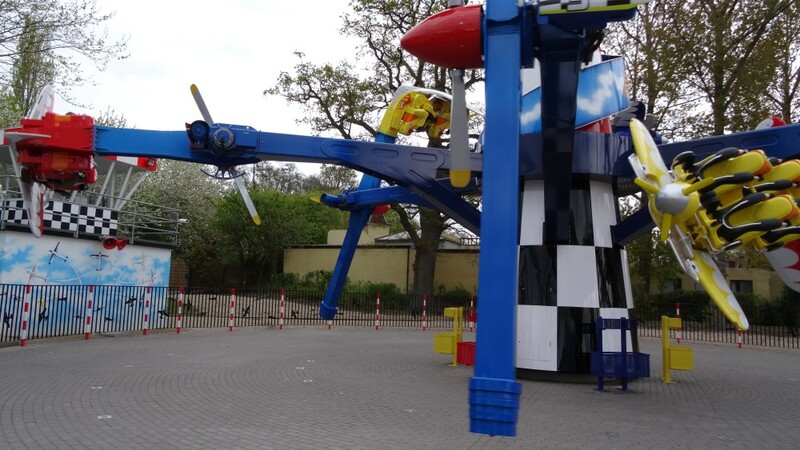 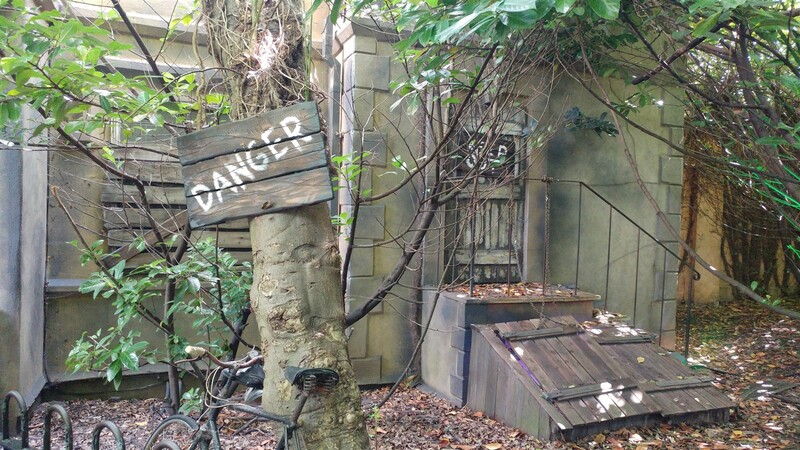 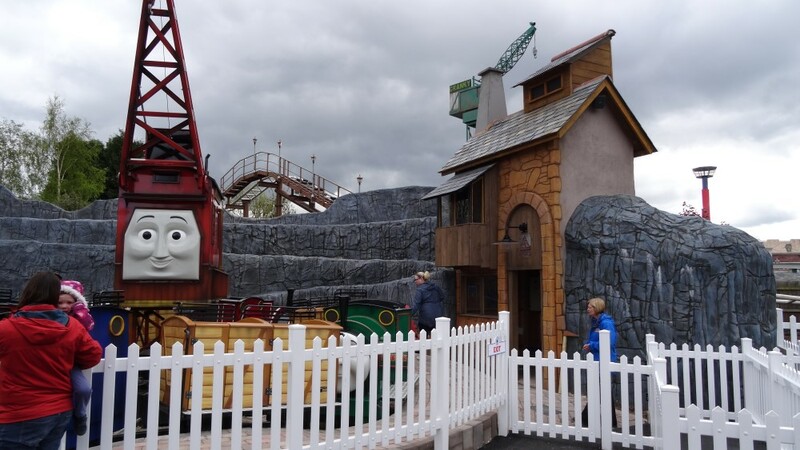 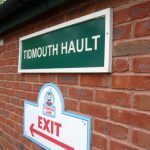 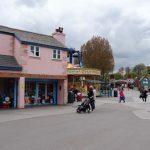 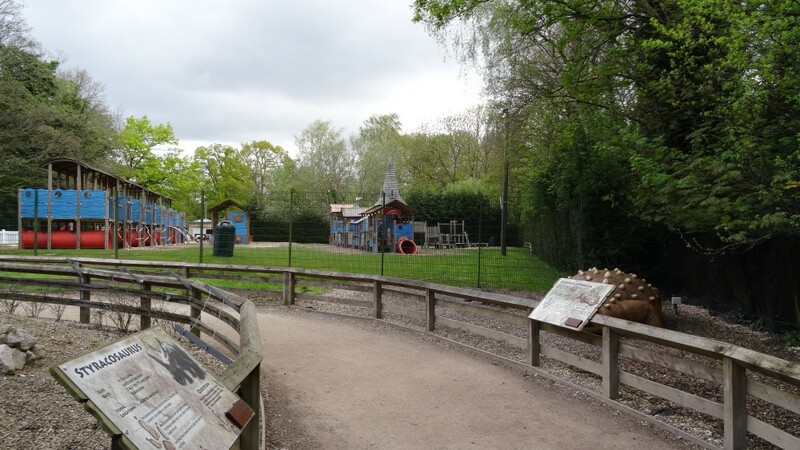 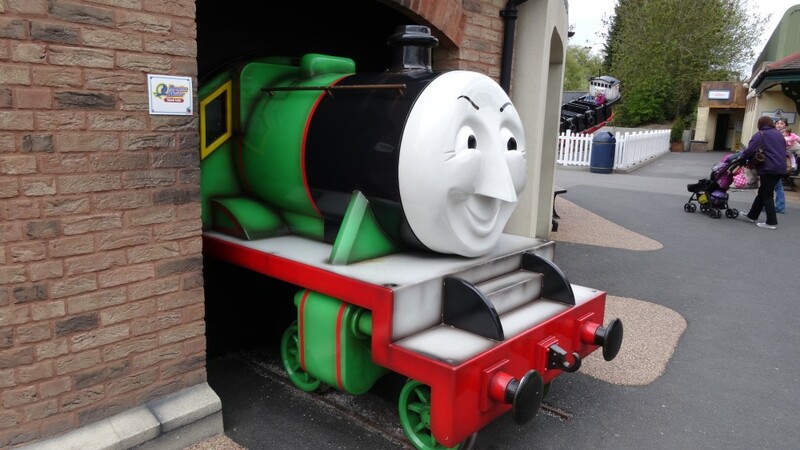 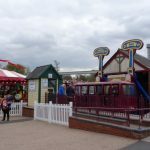 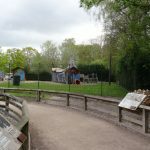 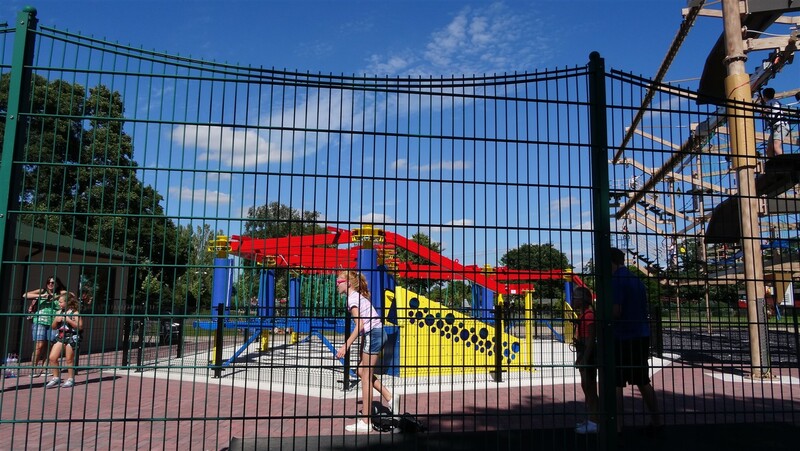 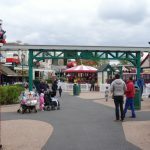 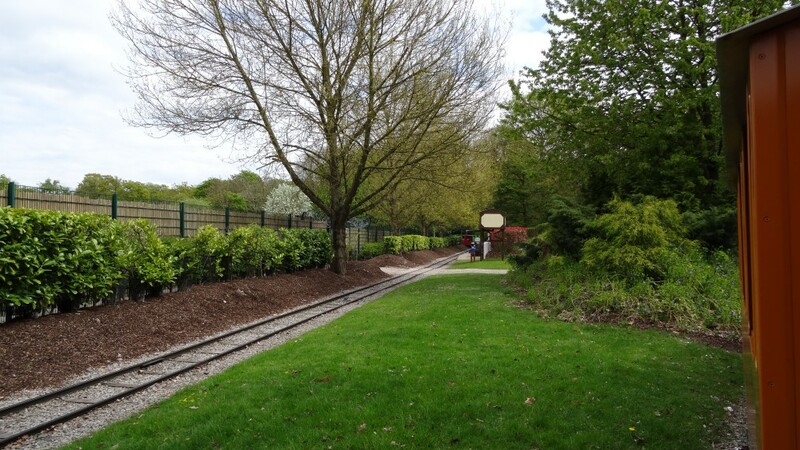 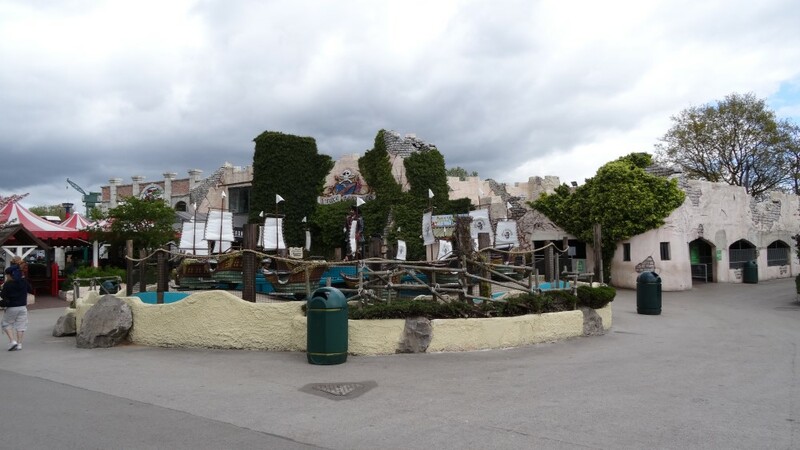 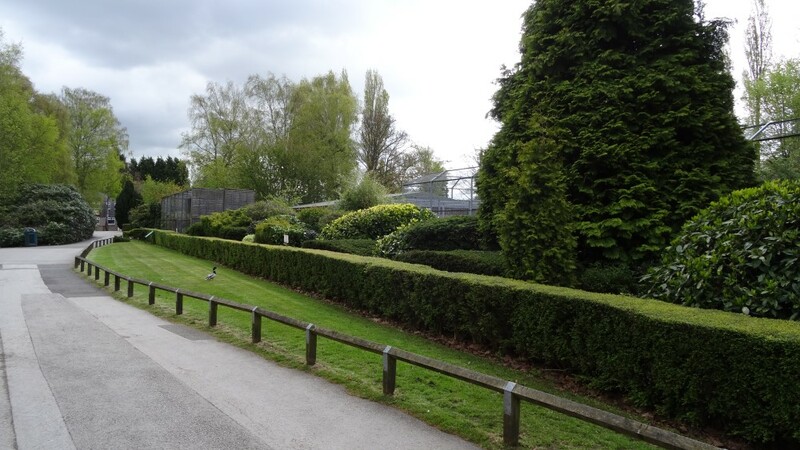 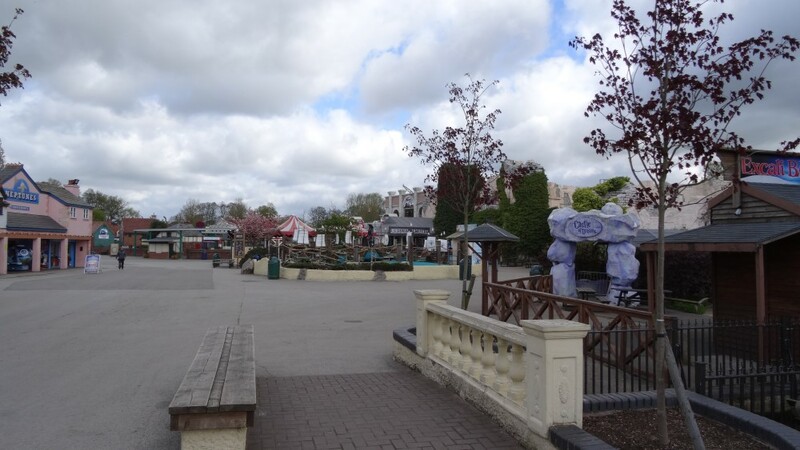 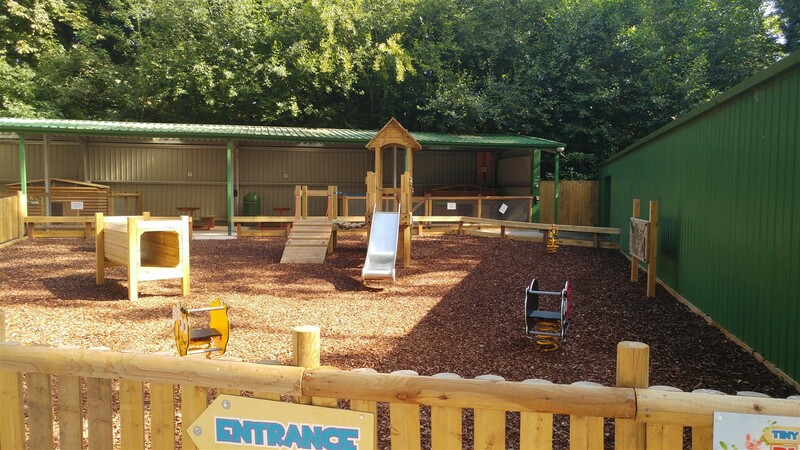 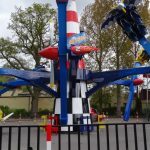 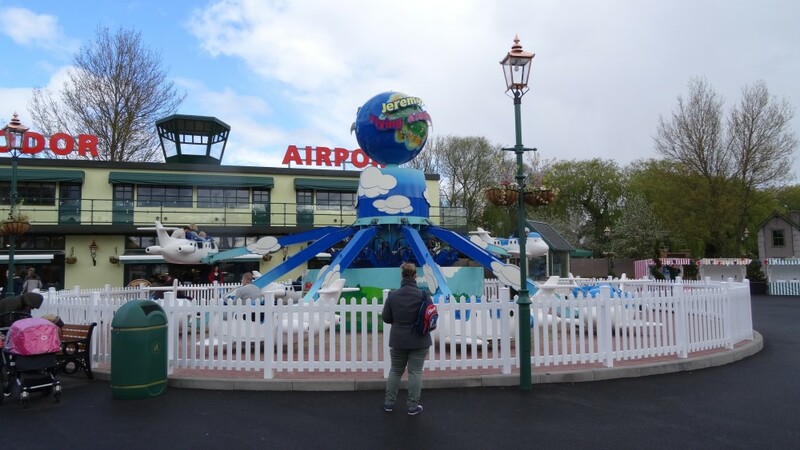 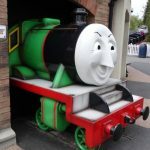 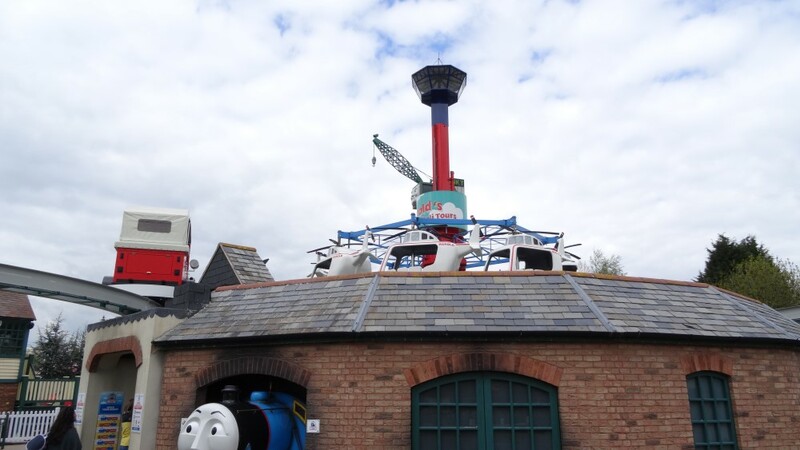 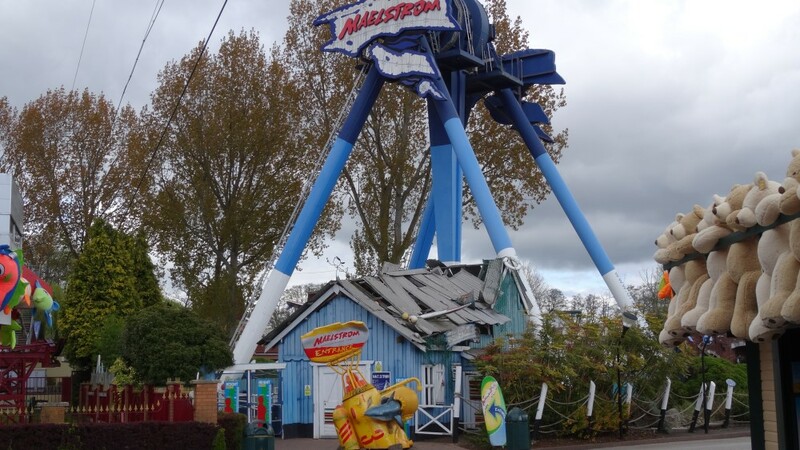 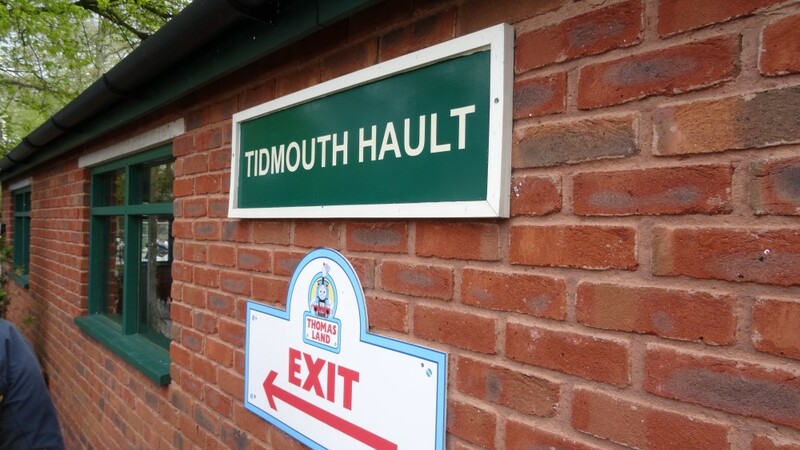 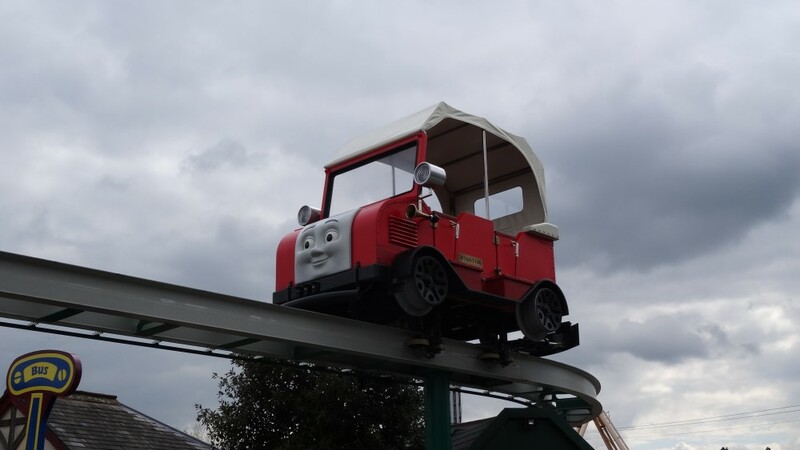 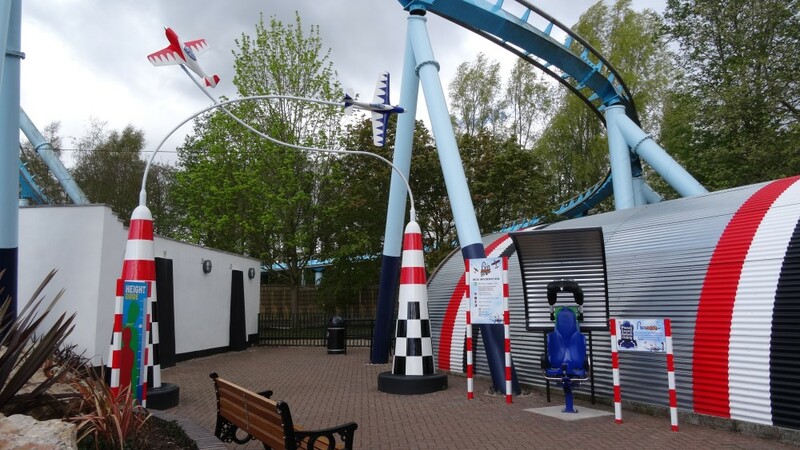 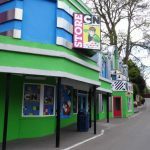 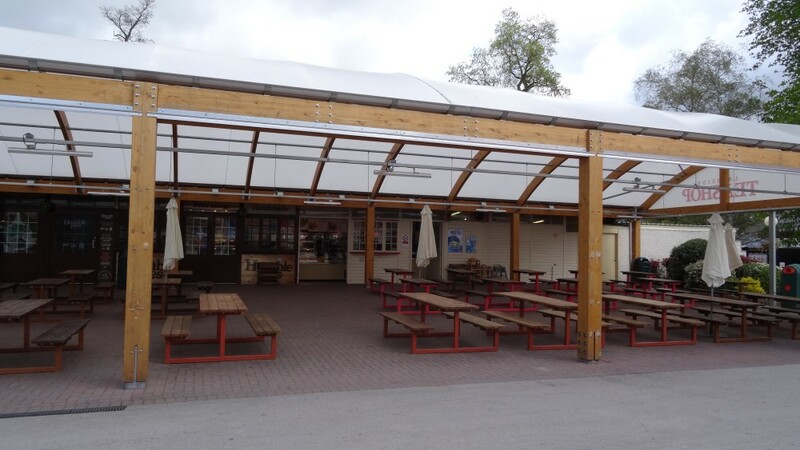 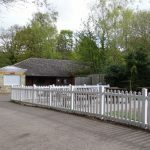 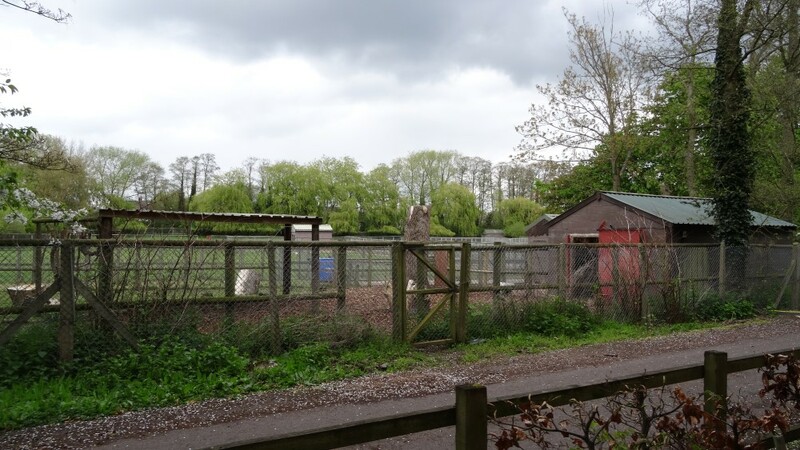 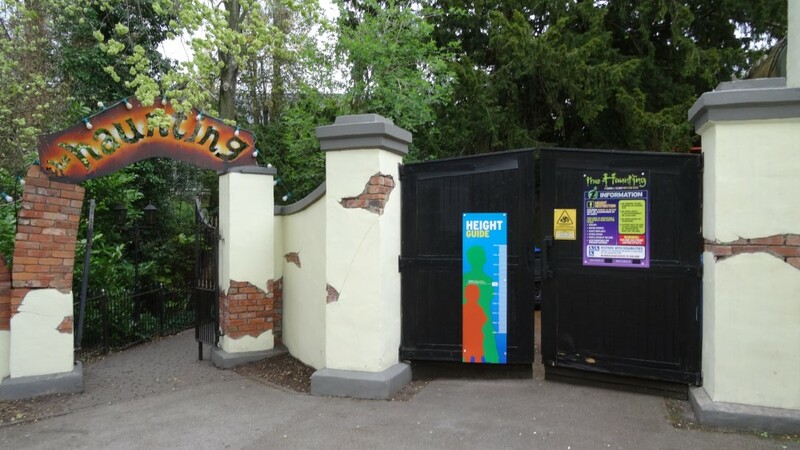 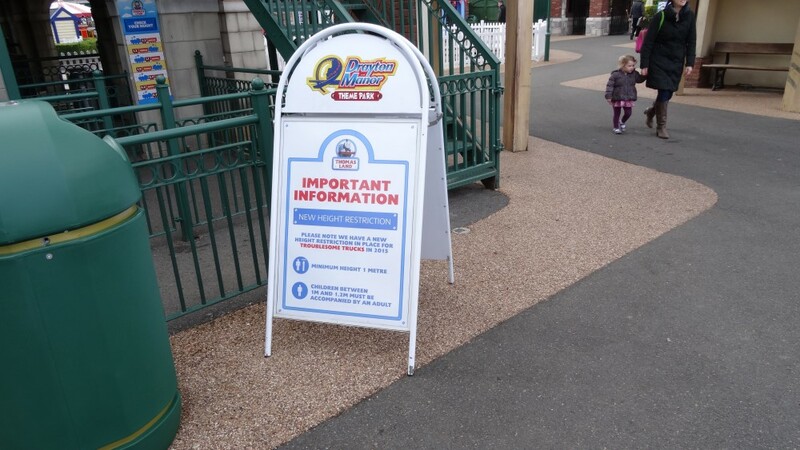 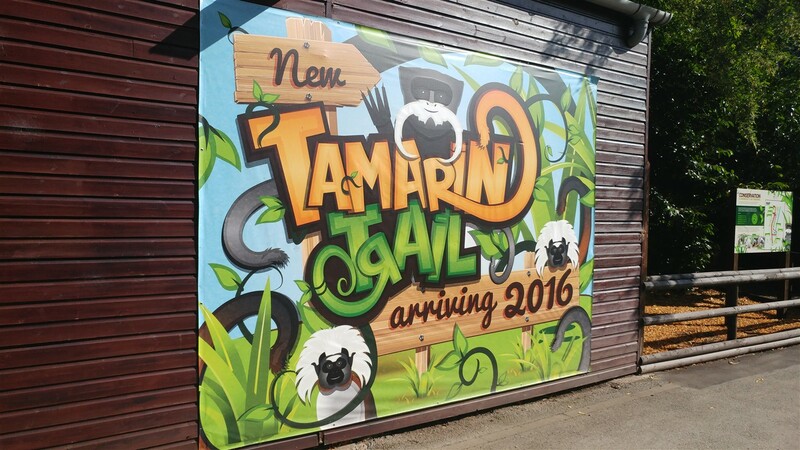 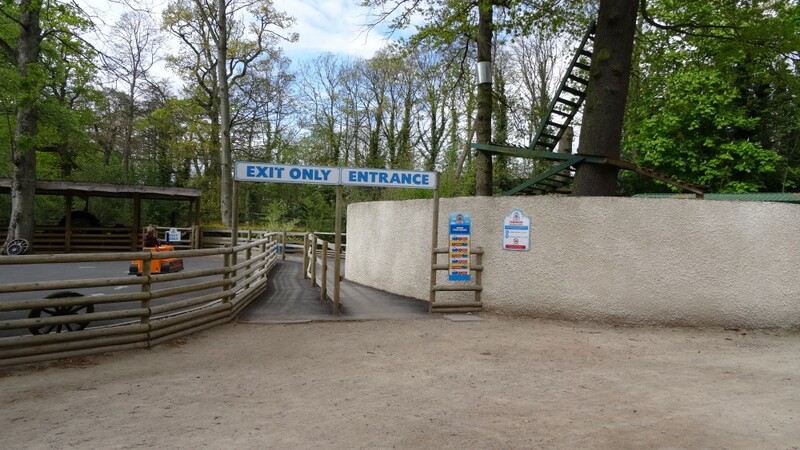 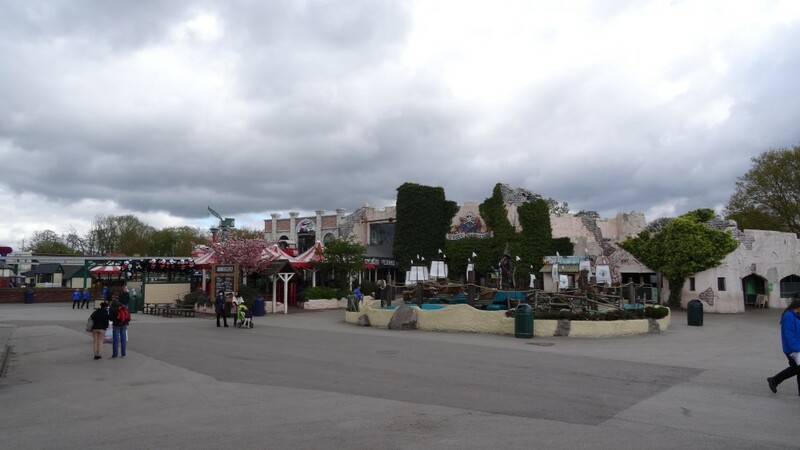 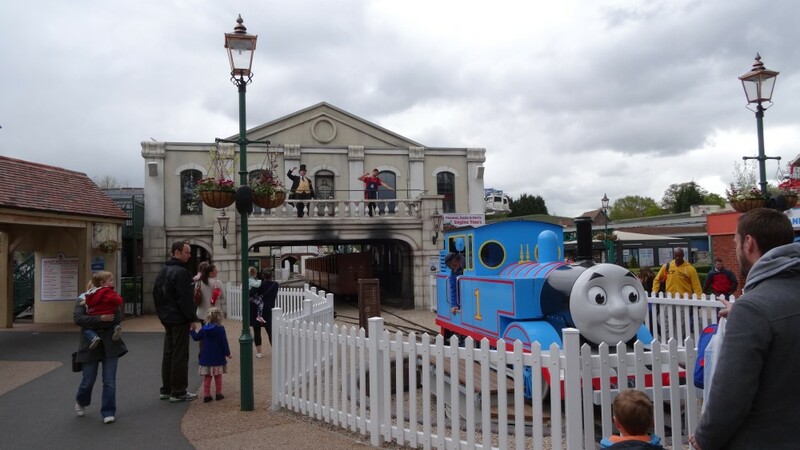 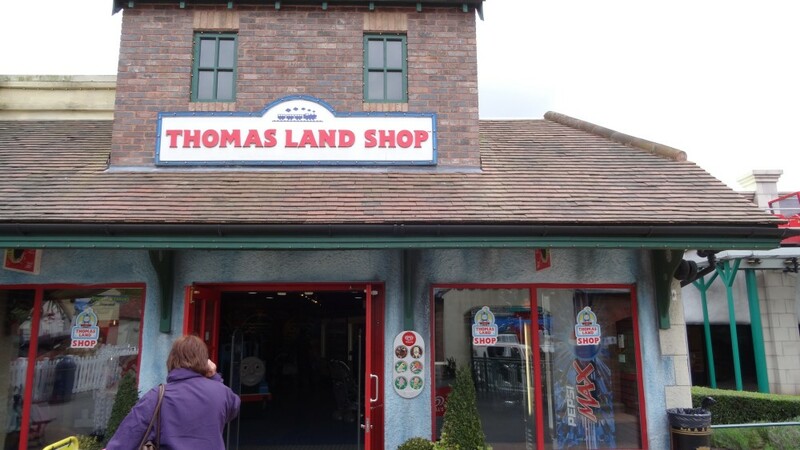 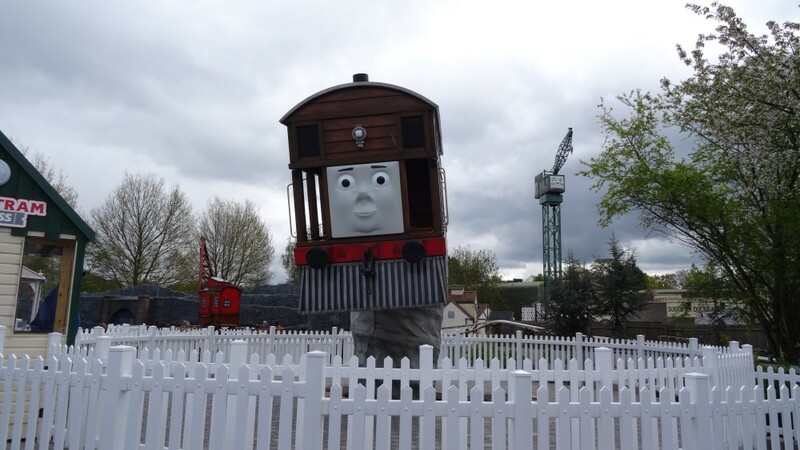 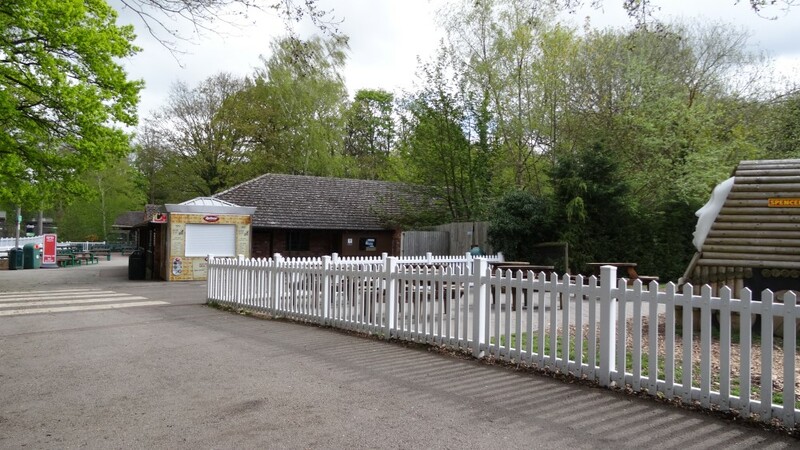 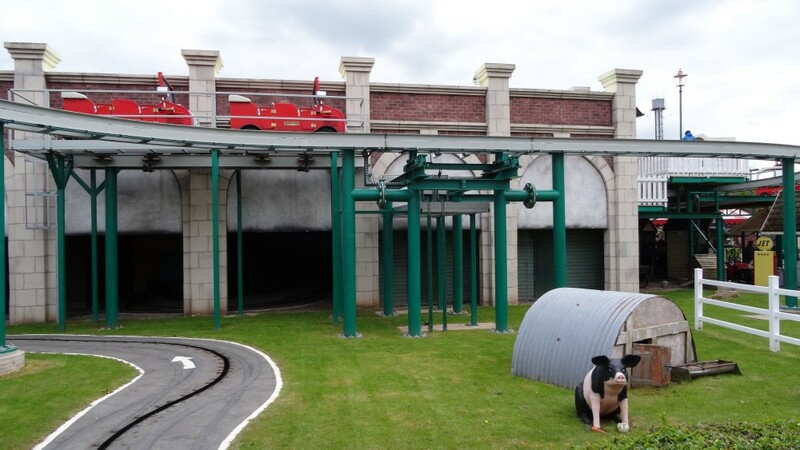 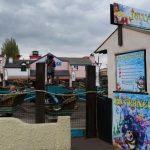 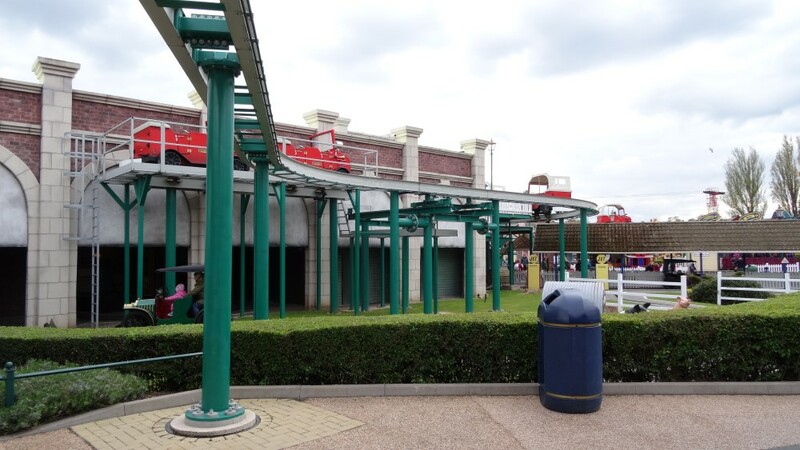 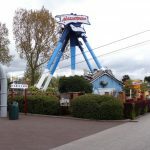 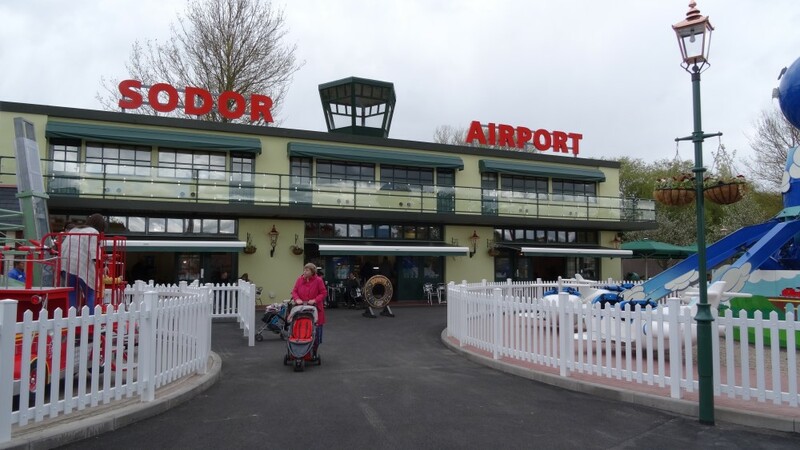 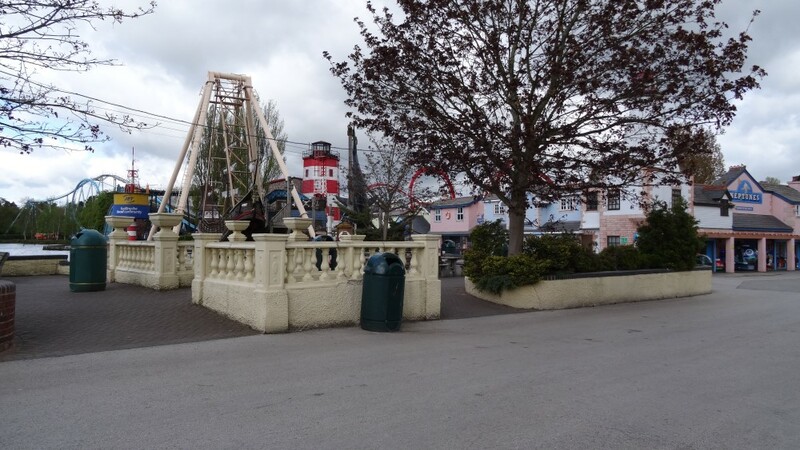 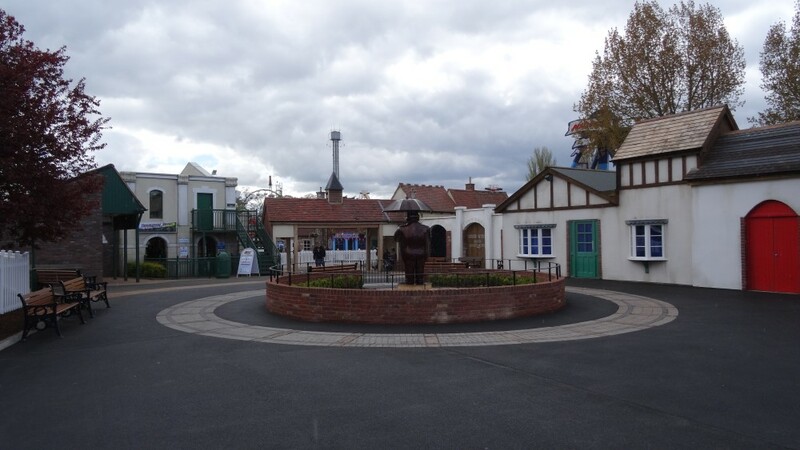 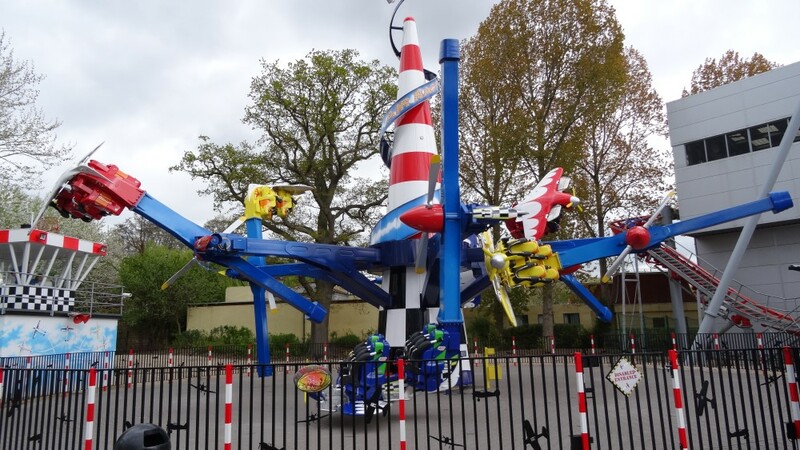 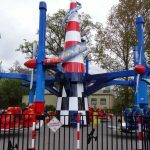 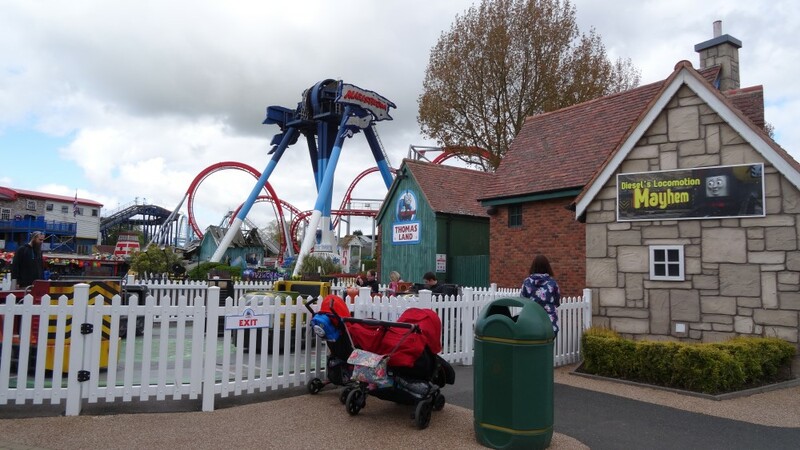 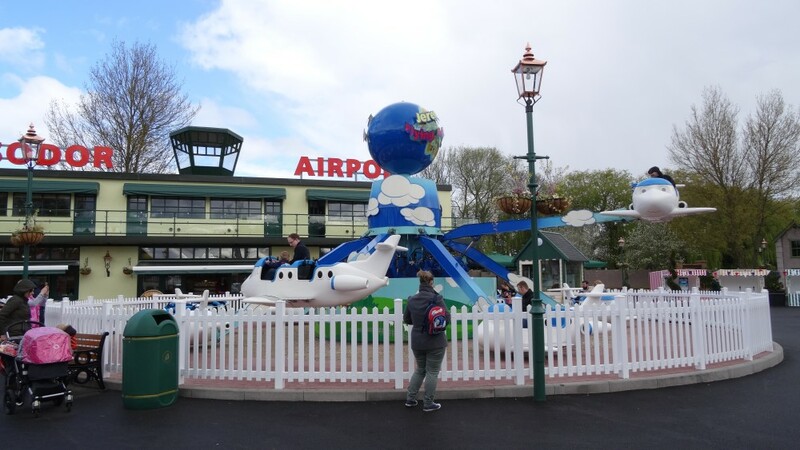 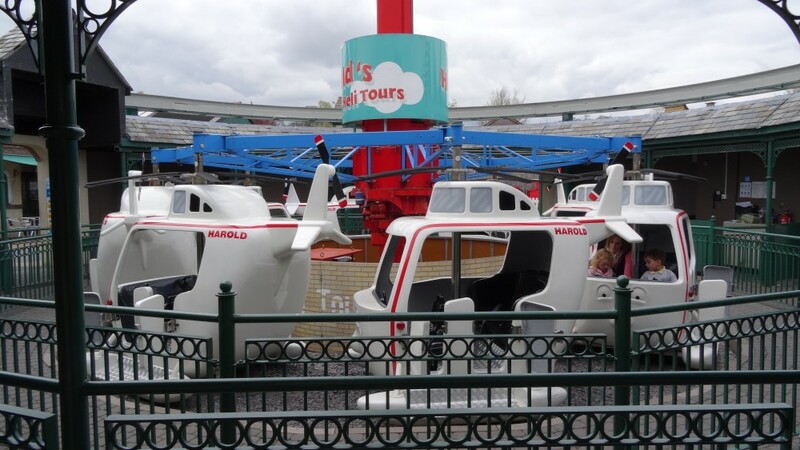 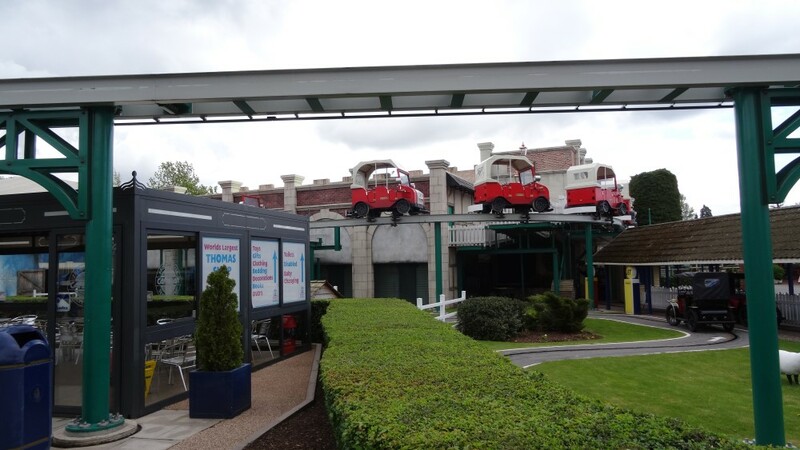 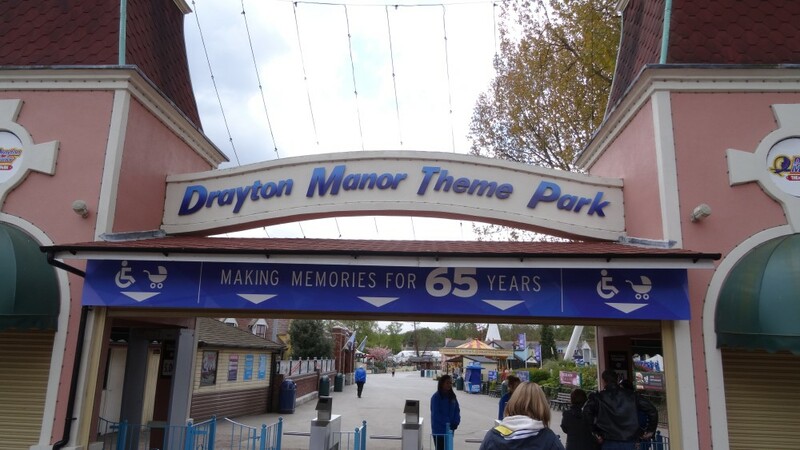 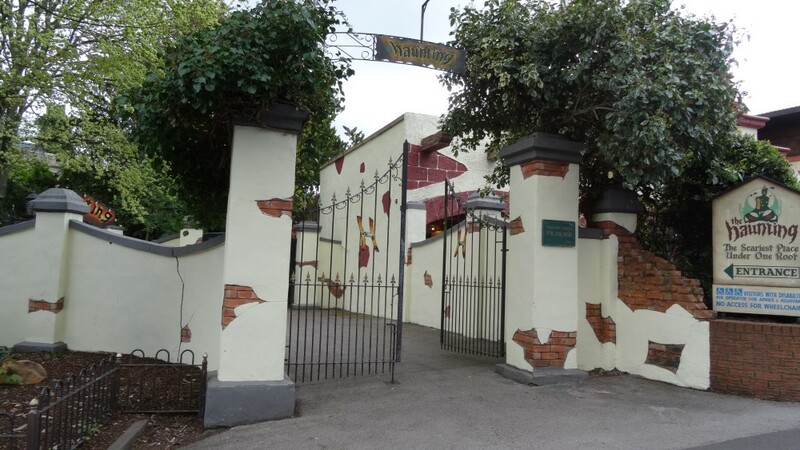 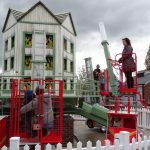 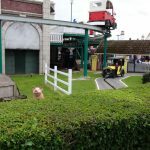 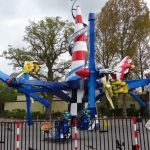 Welcome to Drayton Manor, home to what we think is the best children’s area in the UK, Thomas Land. 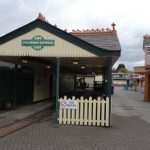 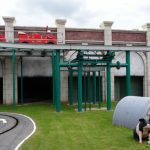 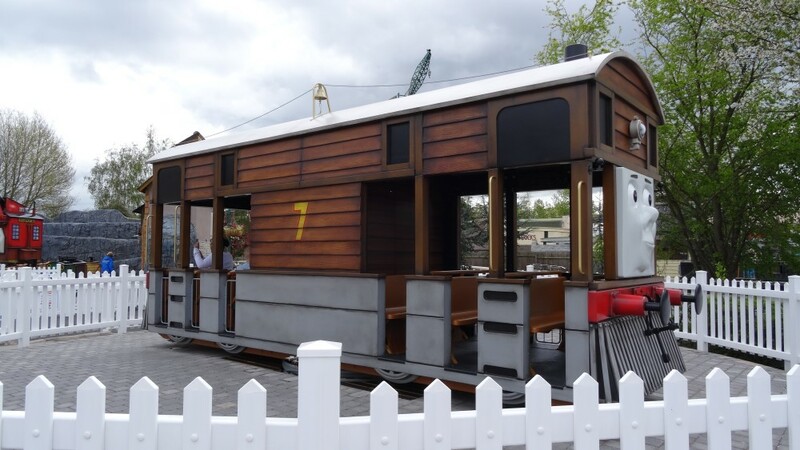 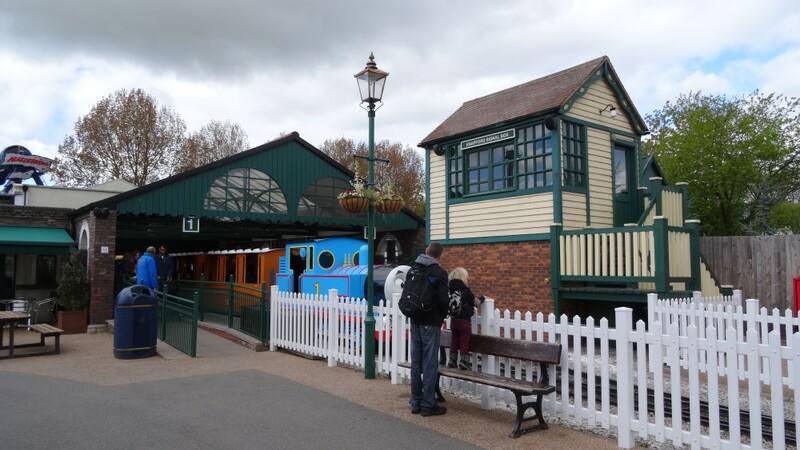 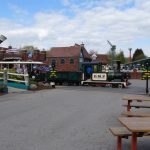 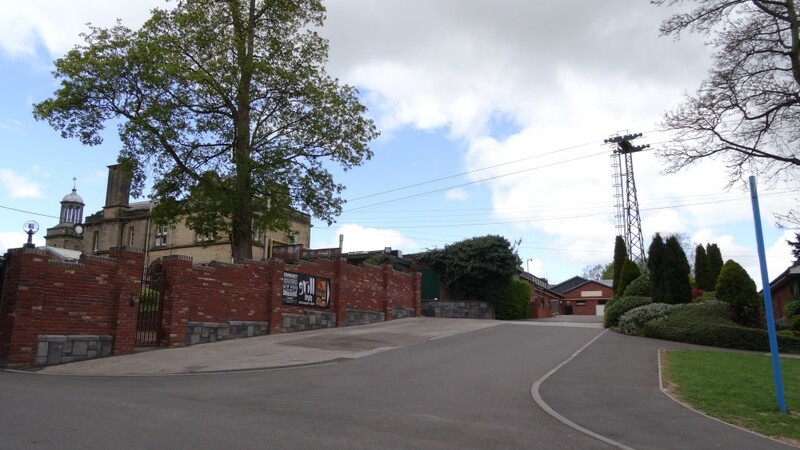 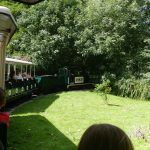 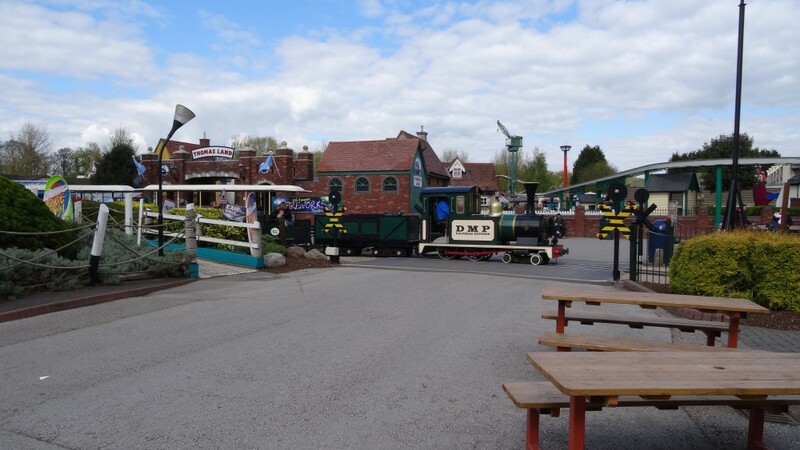 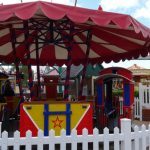 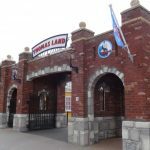 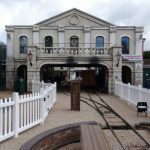 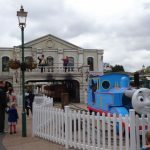 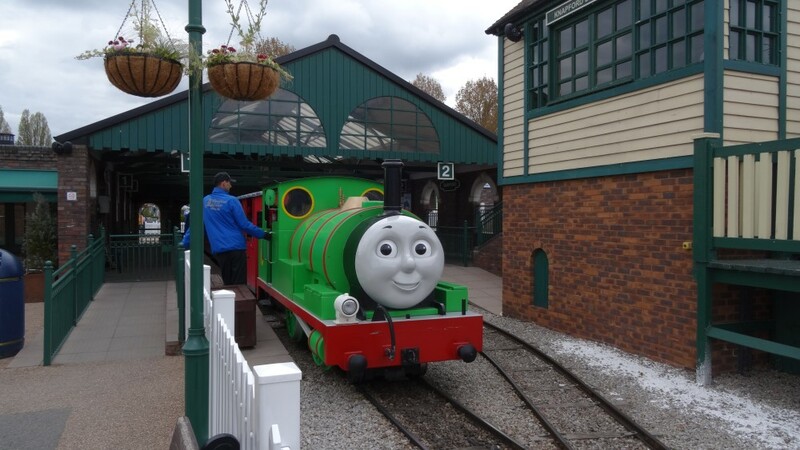 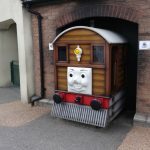 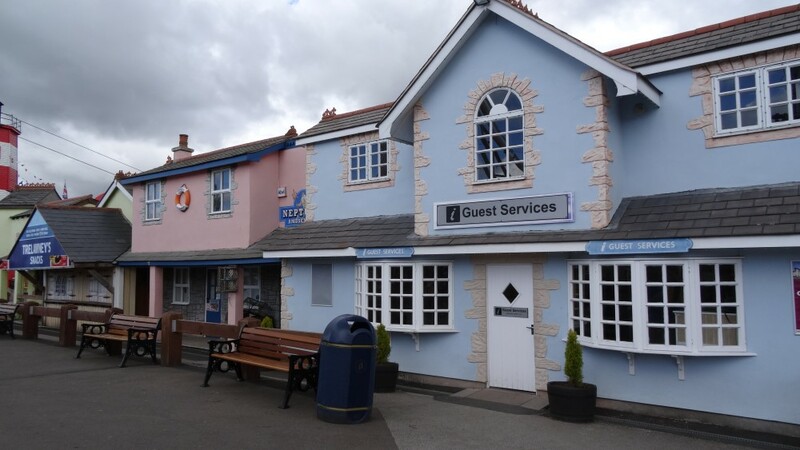 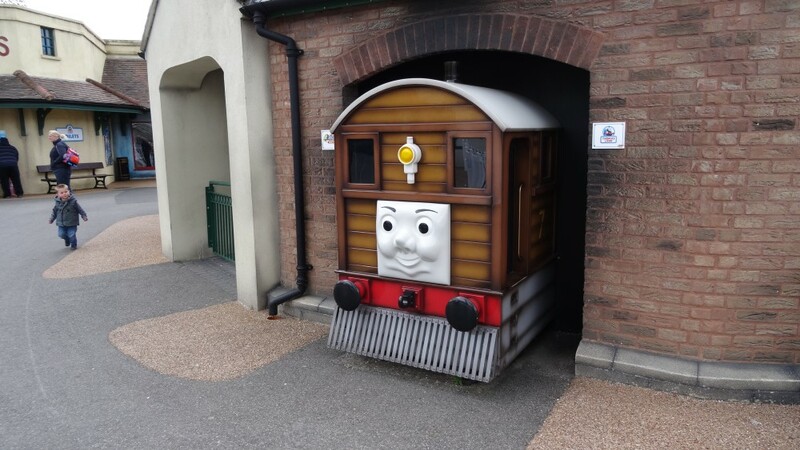 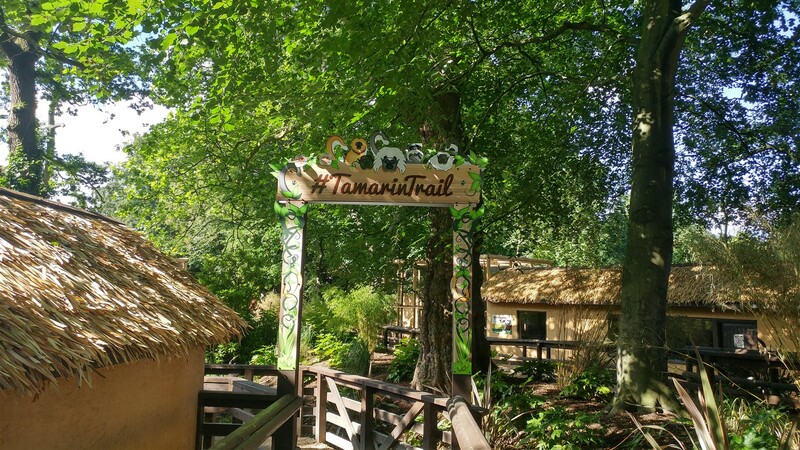 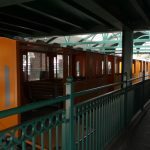 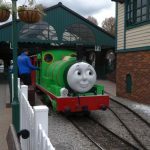 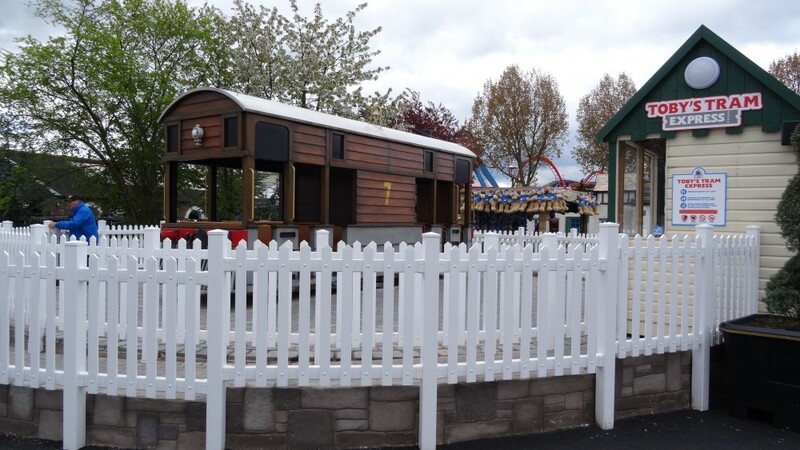 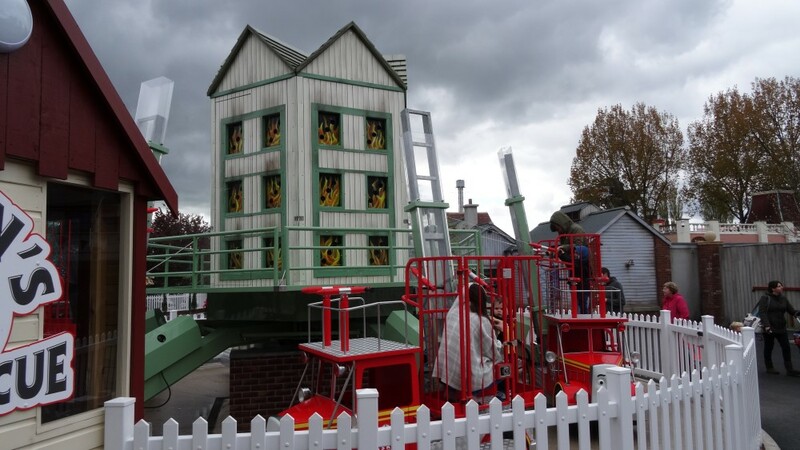 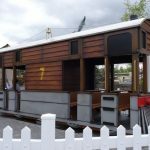 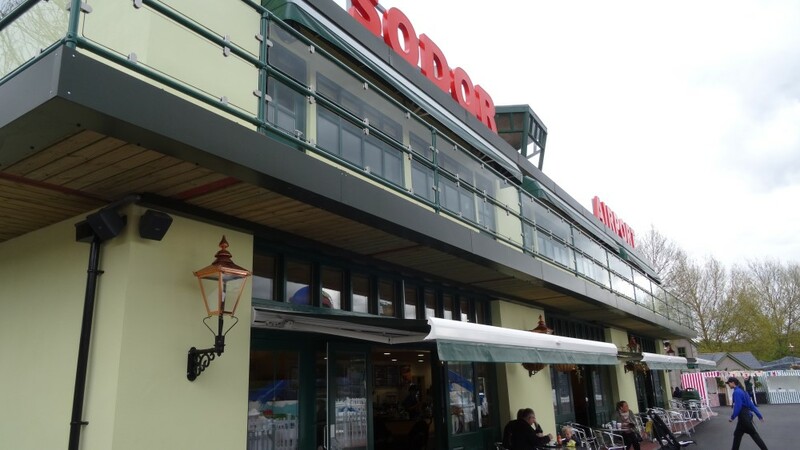 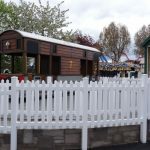 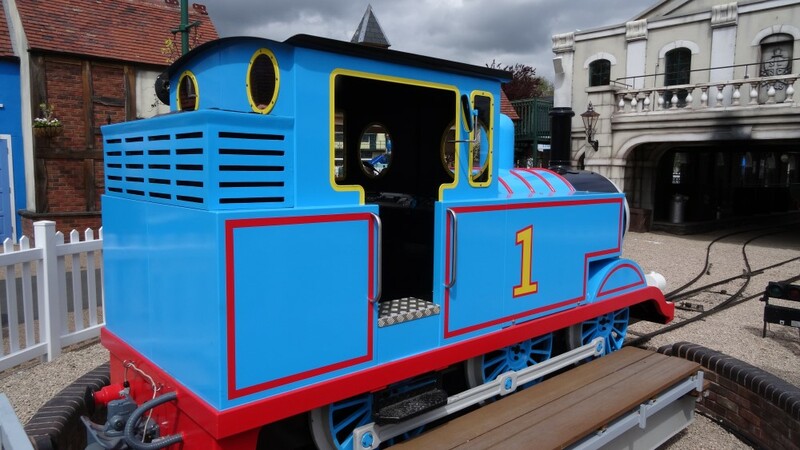 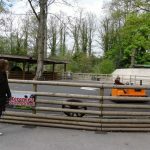 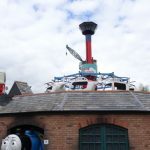 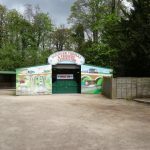 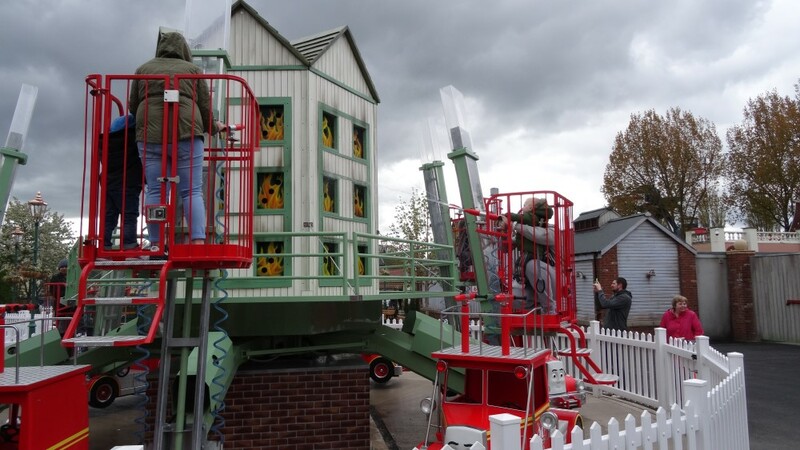 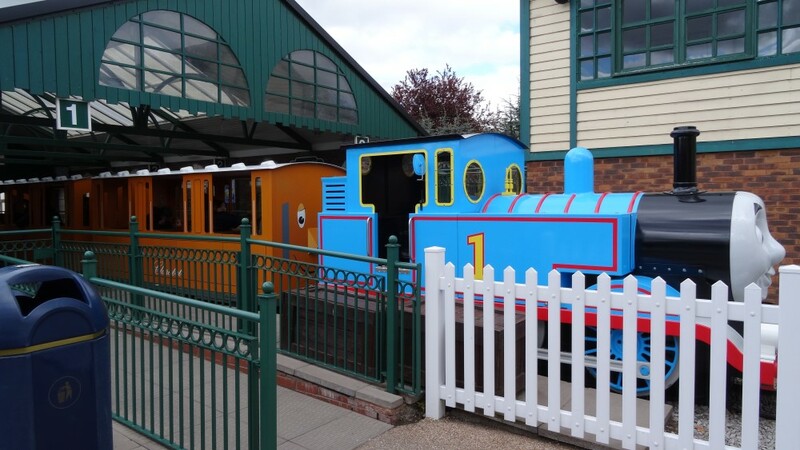 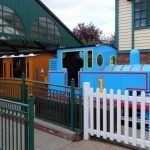 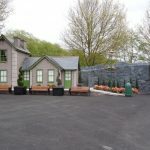 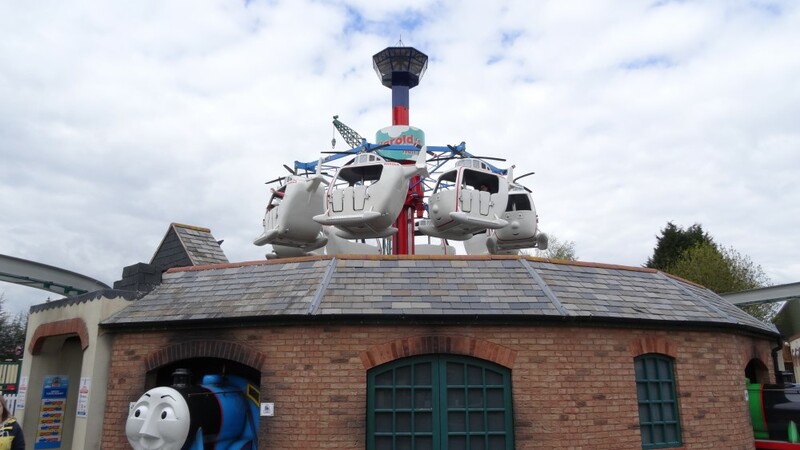 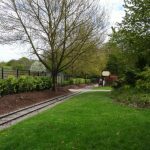 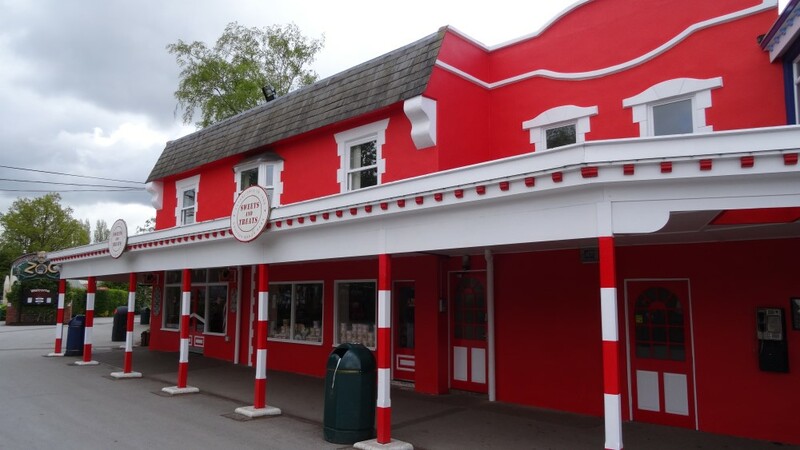 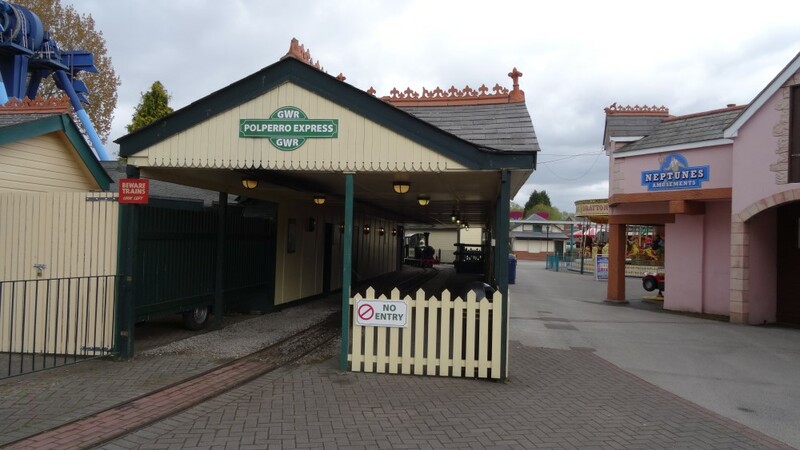 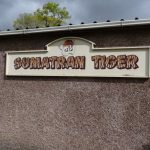 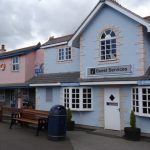 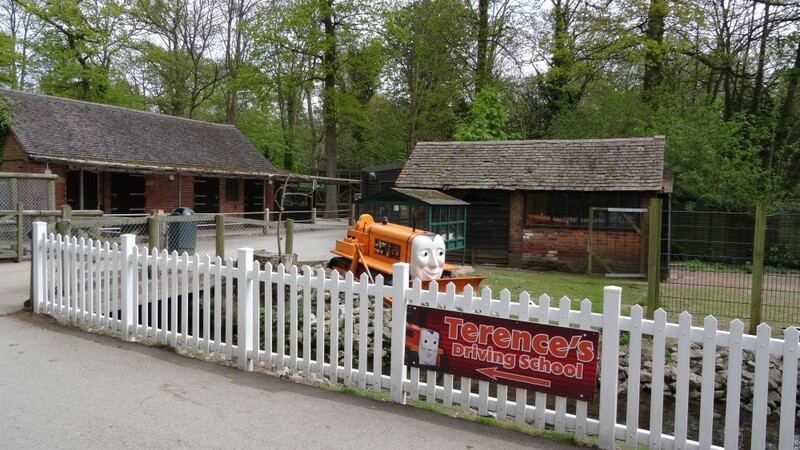 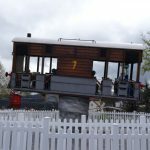 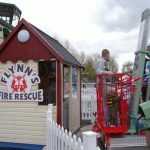 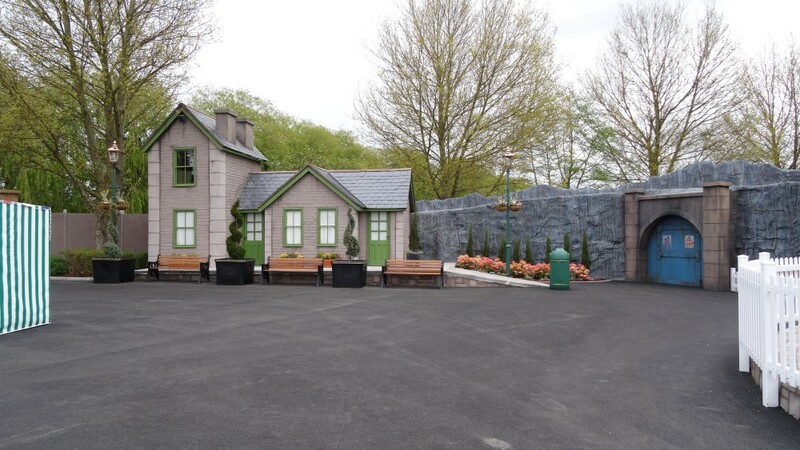 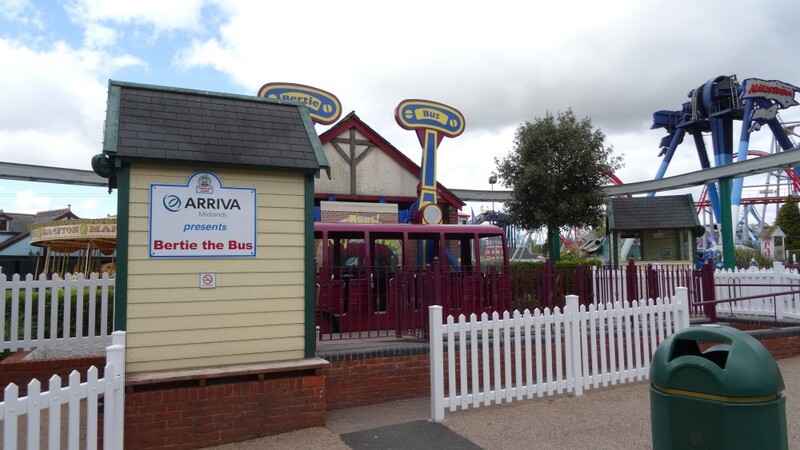 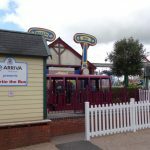 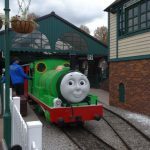 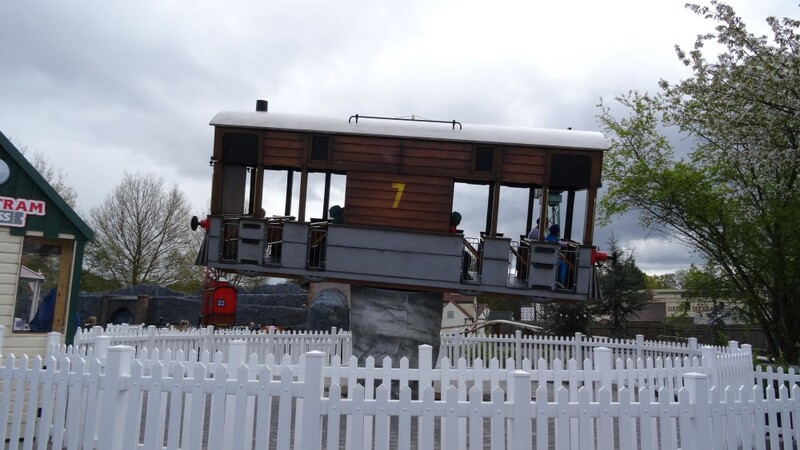 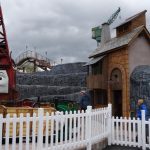 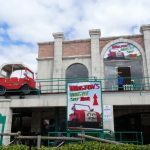 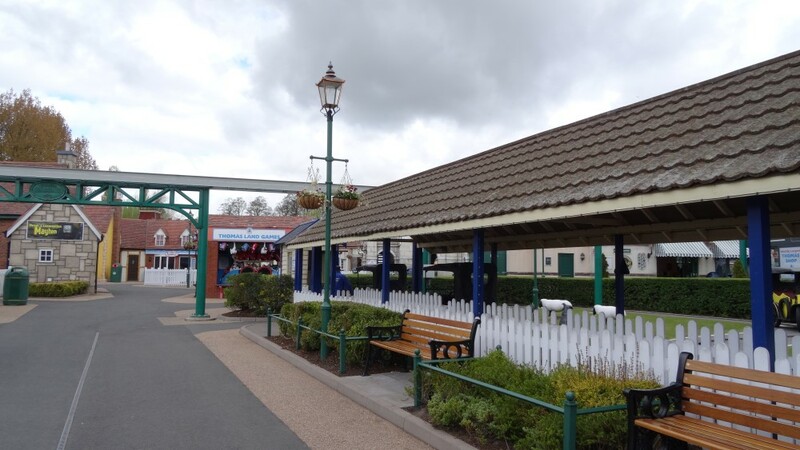 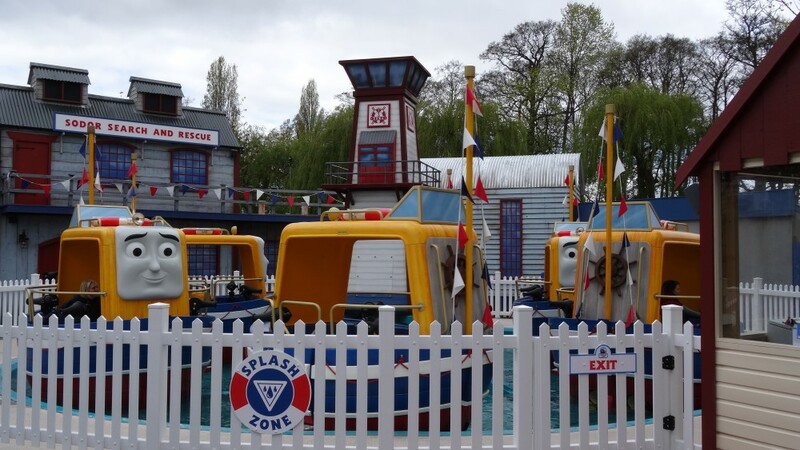 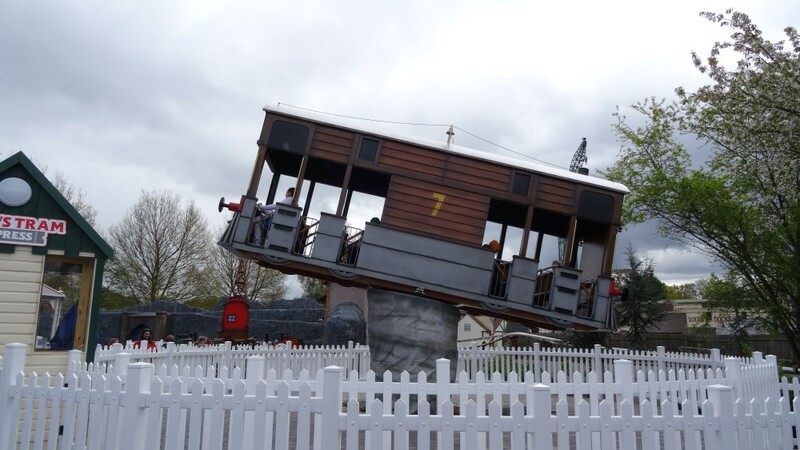 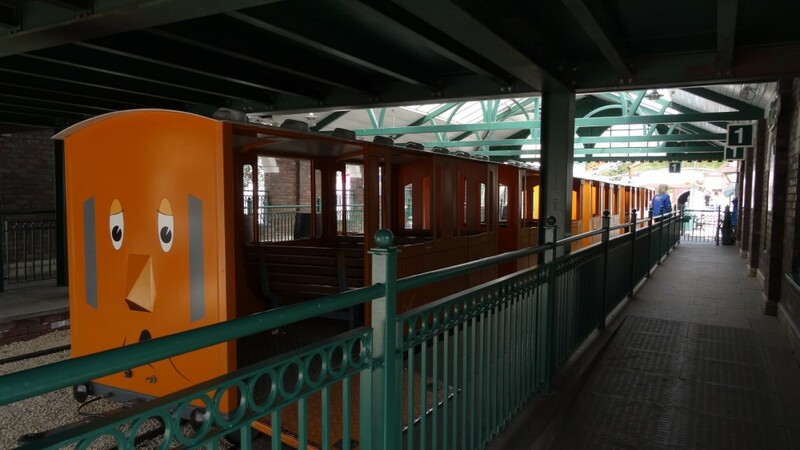 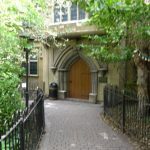 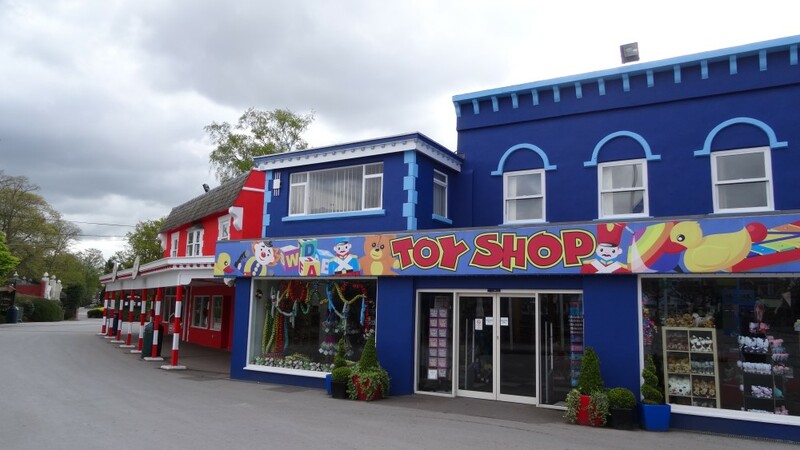 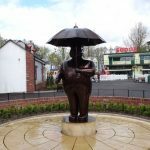 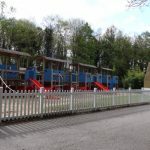 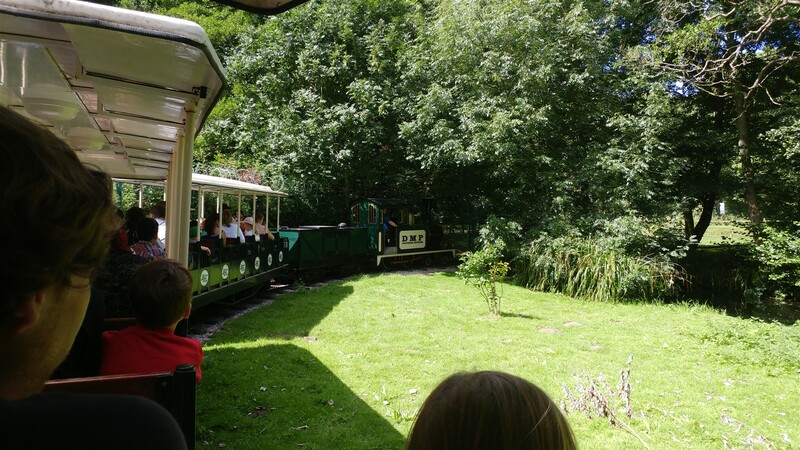 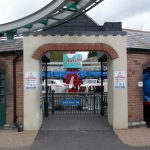 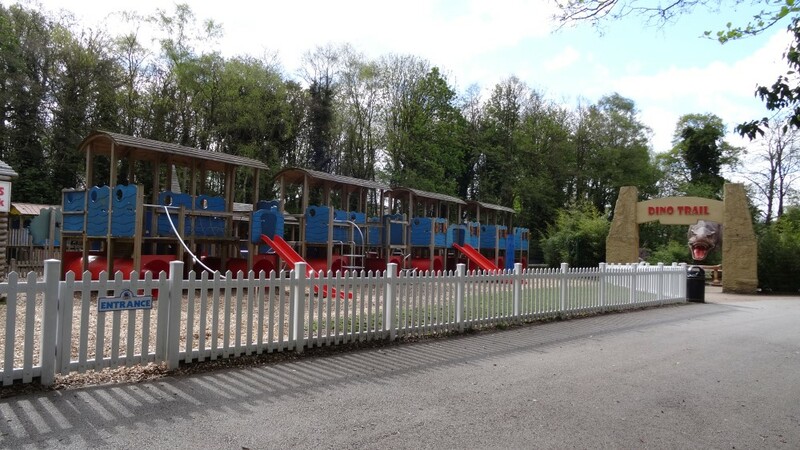 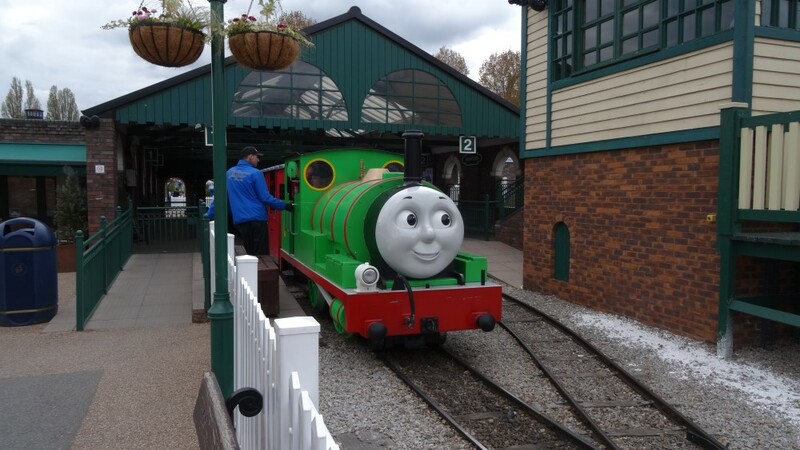 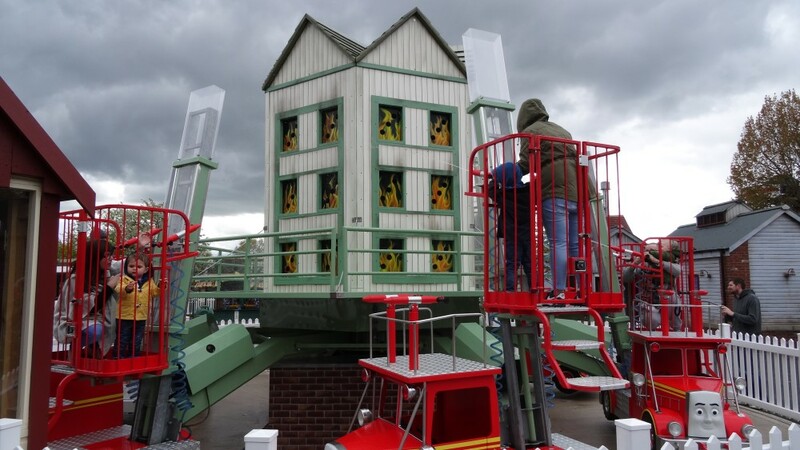 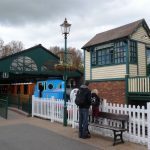 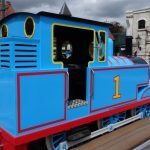 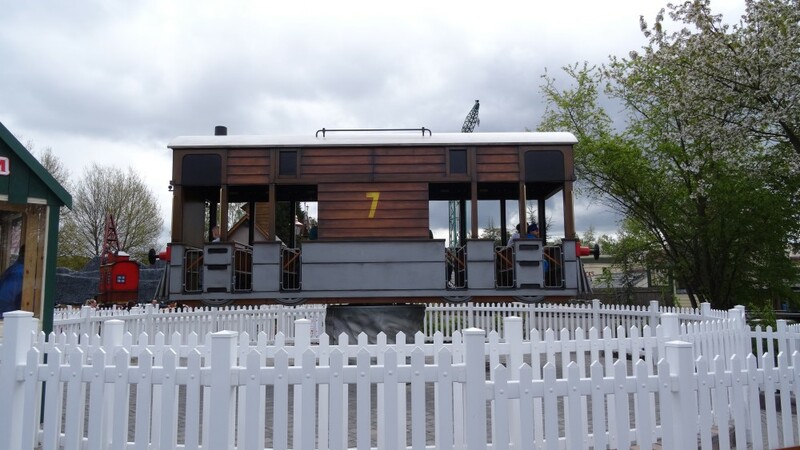 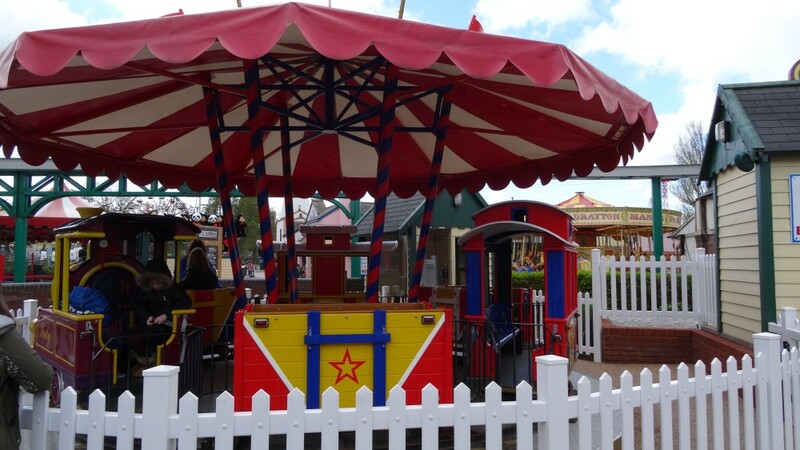 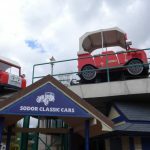 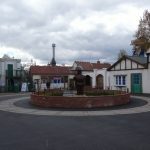 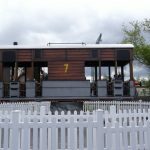 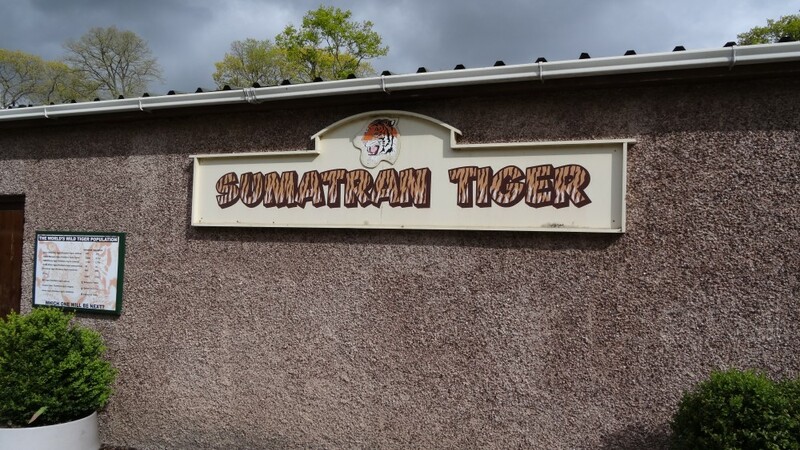 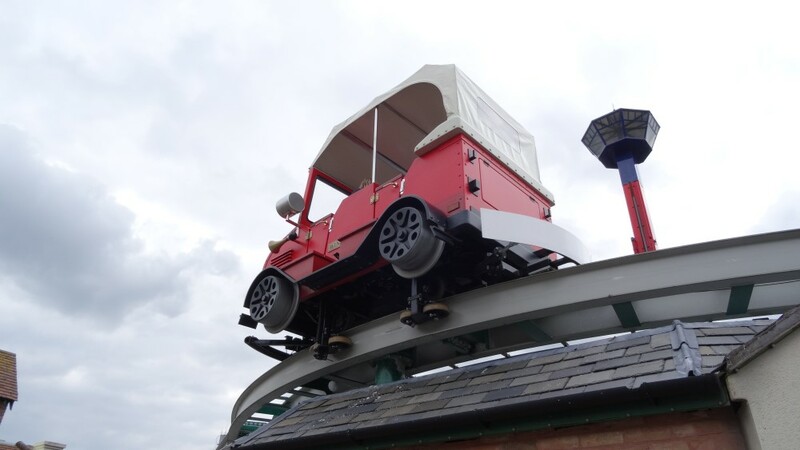 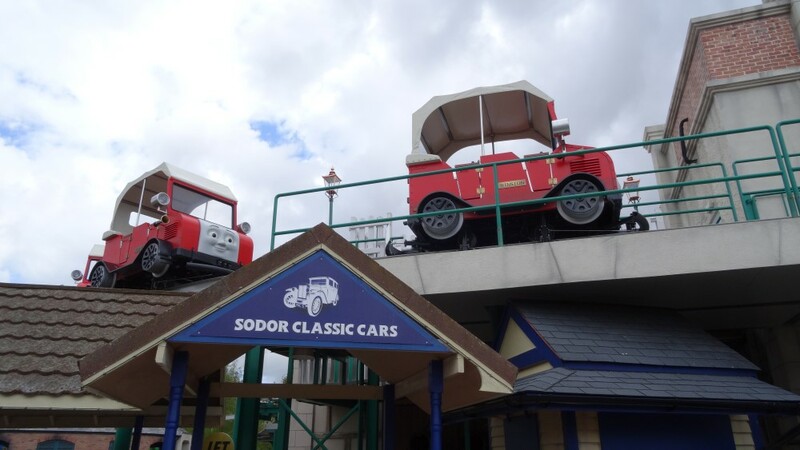 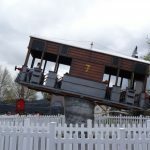 Themed around Thomas the Tank Engine Thomas Land is home to a number of children’s and family rides all themed to different characters from the popular TV Show. 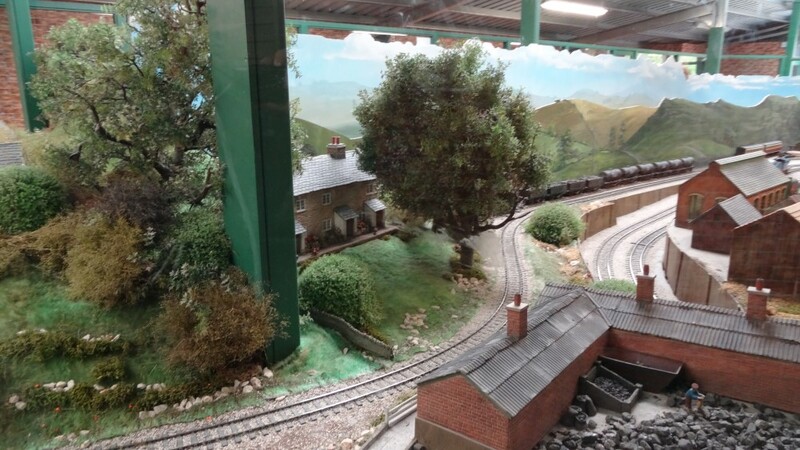 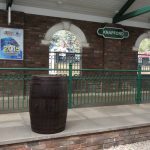 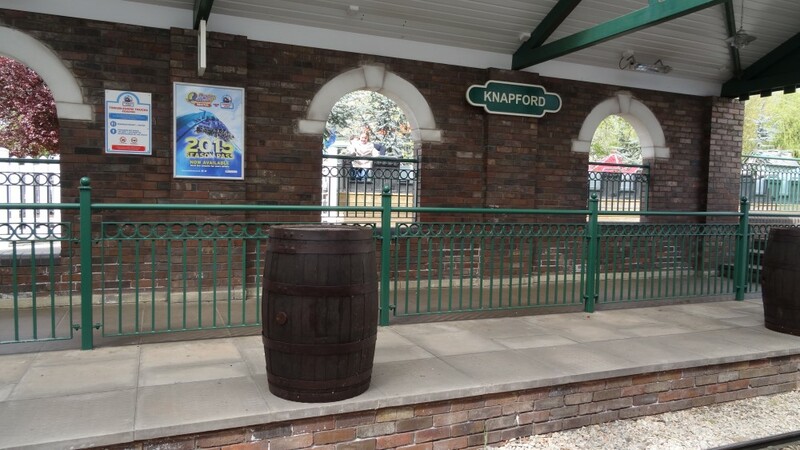 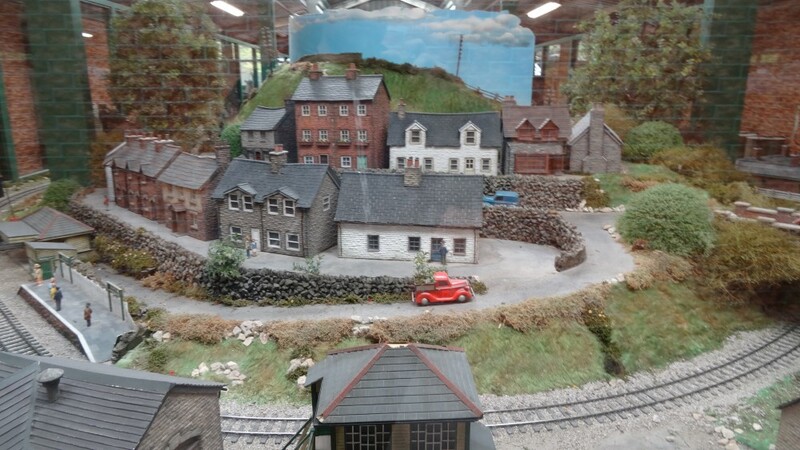 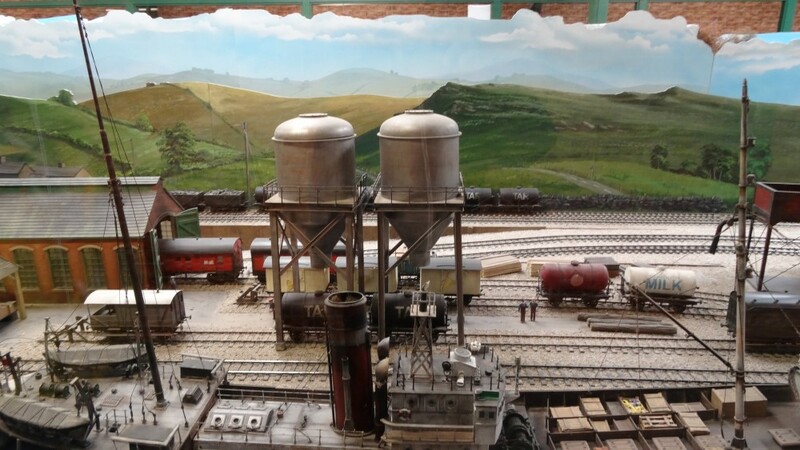 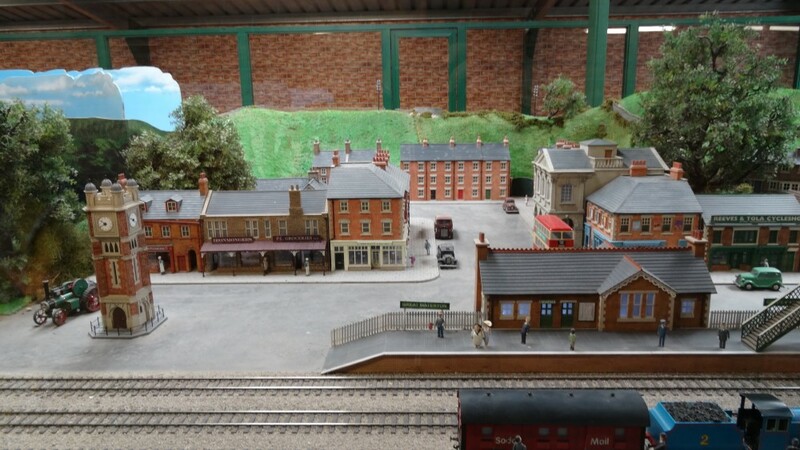 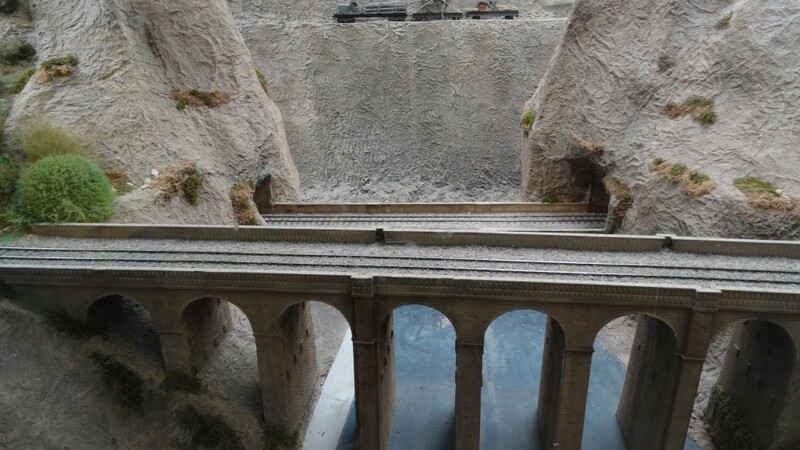 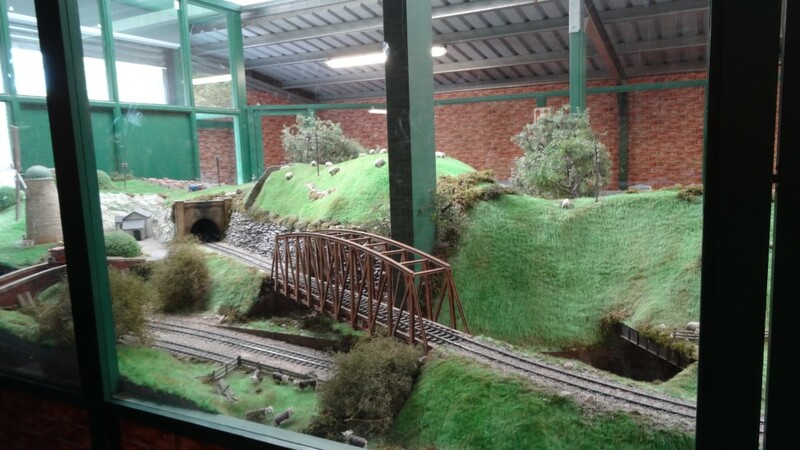 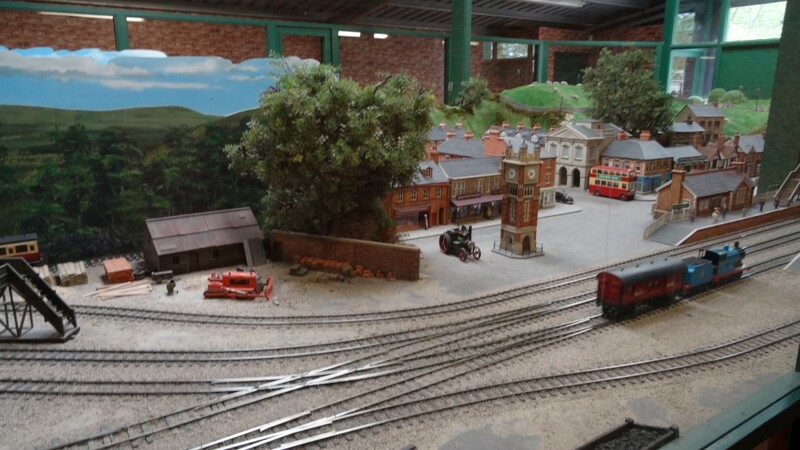 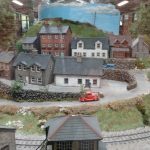 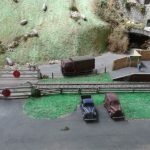 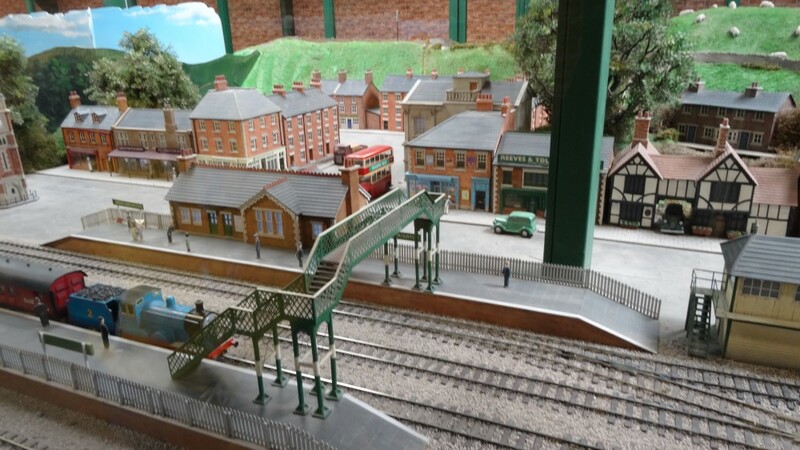 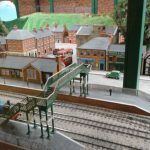 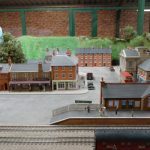 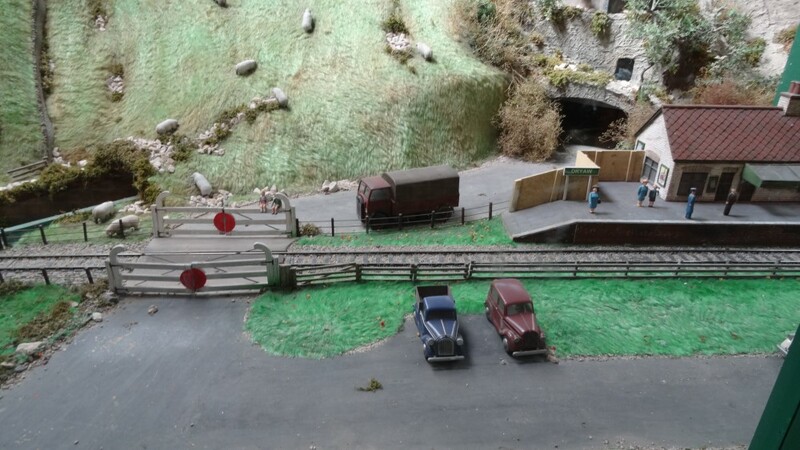 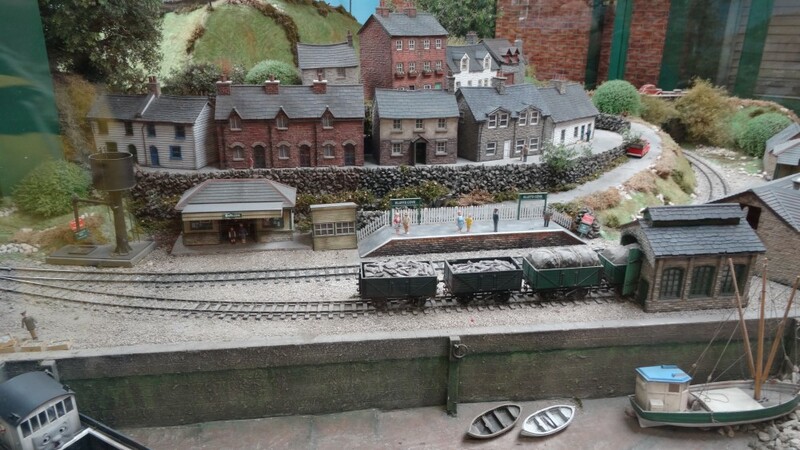 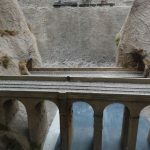 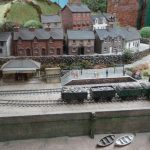 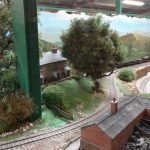 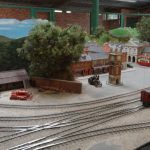 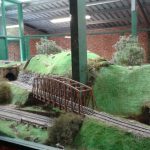 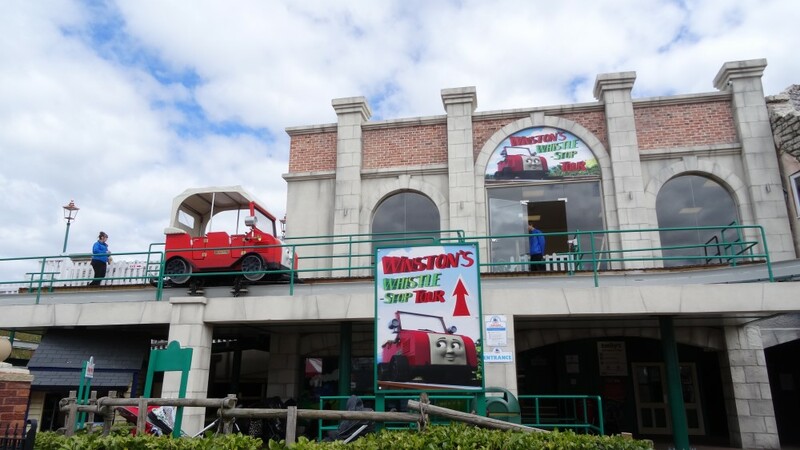 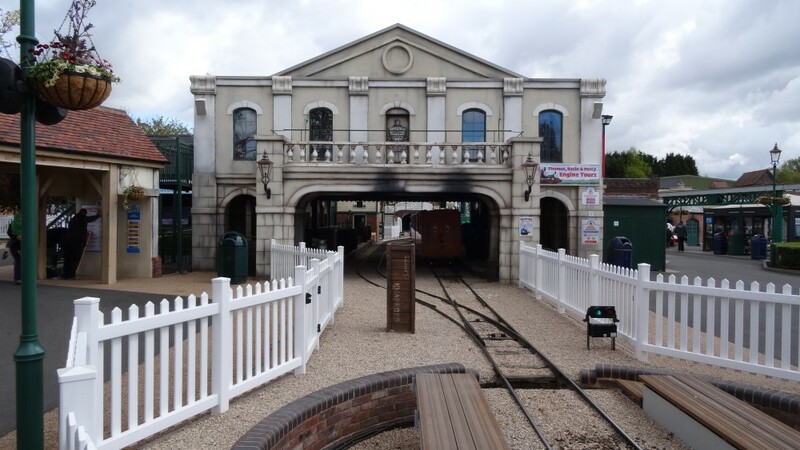 The showcase for the area is Knapford station with working engines including Percy and Thomas himself. 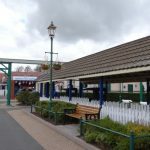 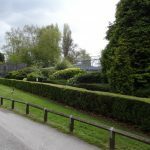 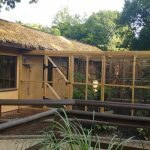 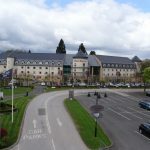 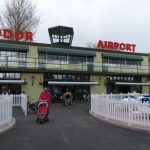 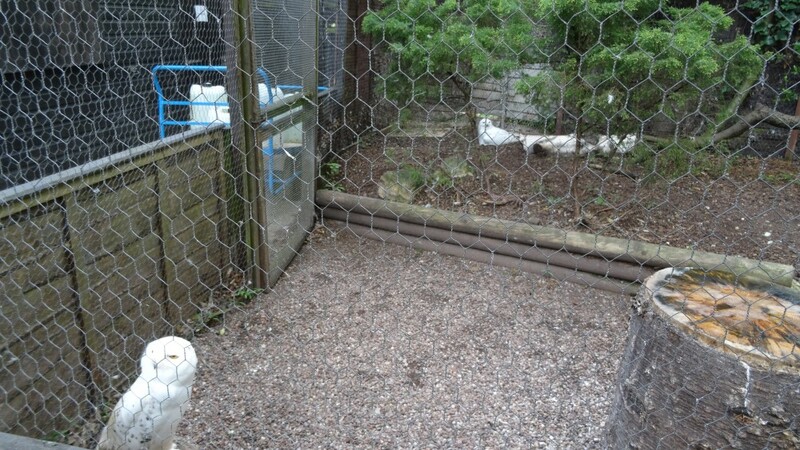 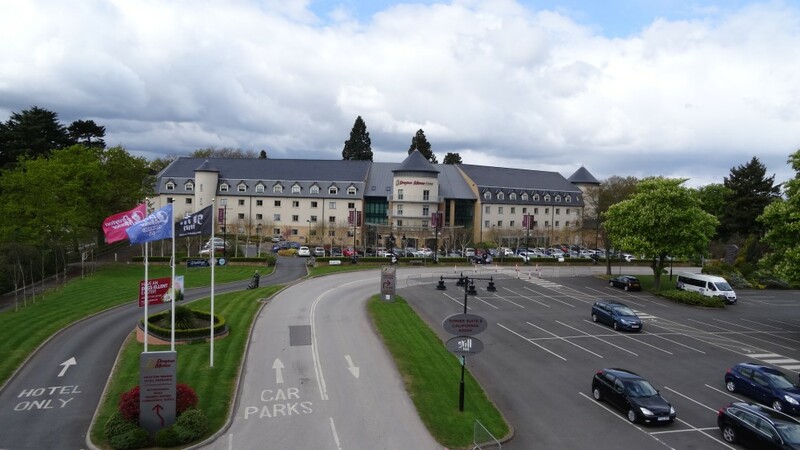 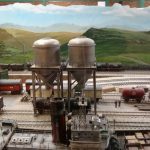 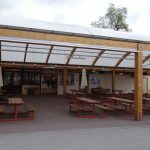 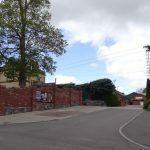 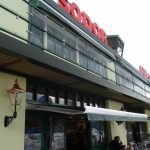 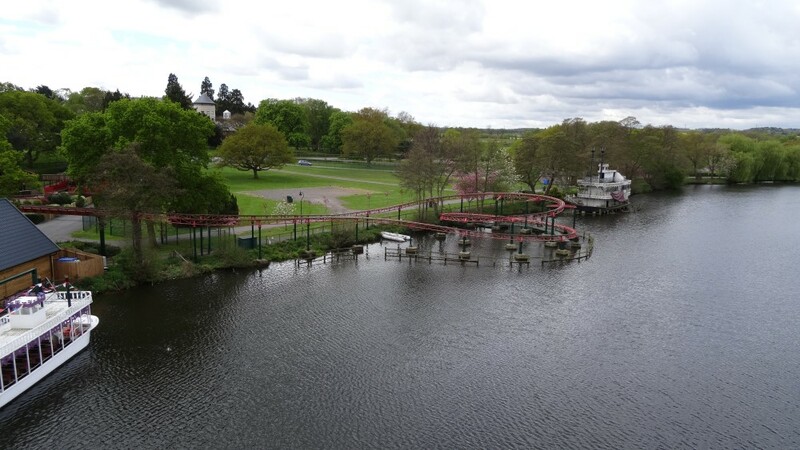 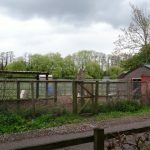 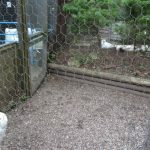 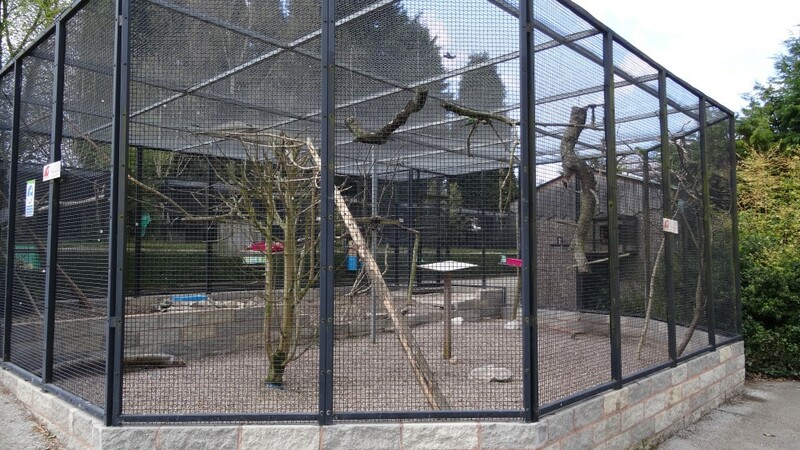 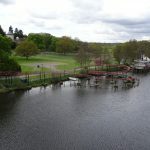 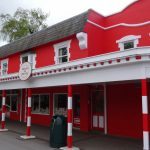 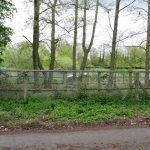 The area put new life back into Drayton and was also helped by a Hotel being added. 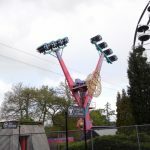 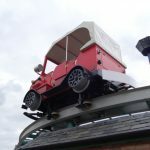 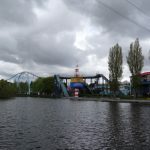 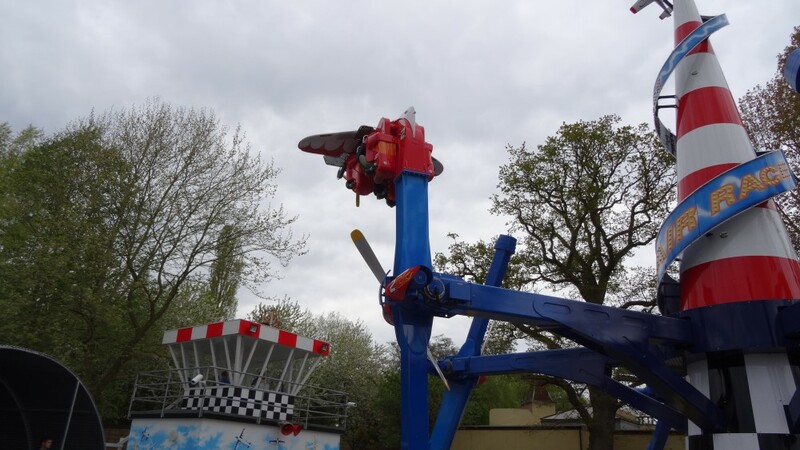 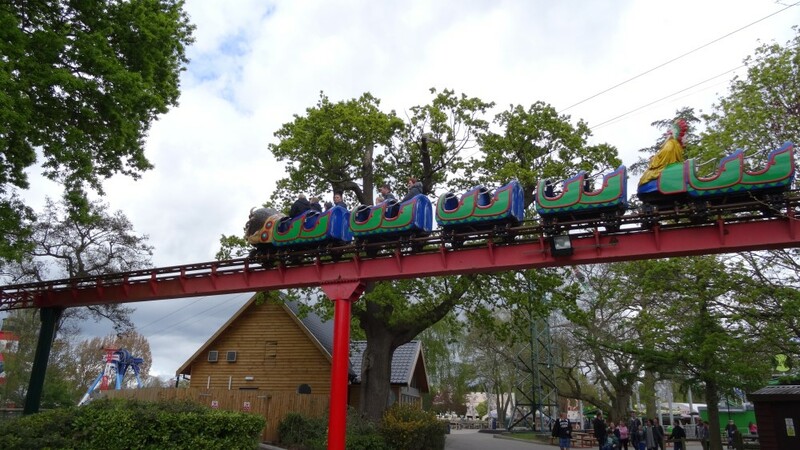 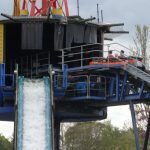 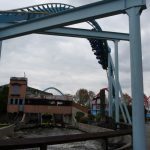 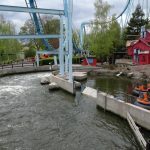 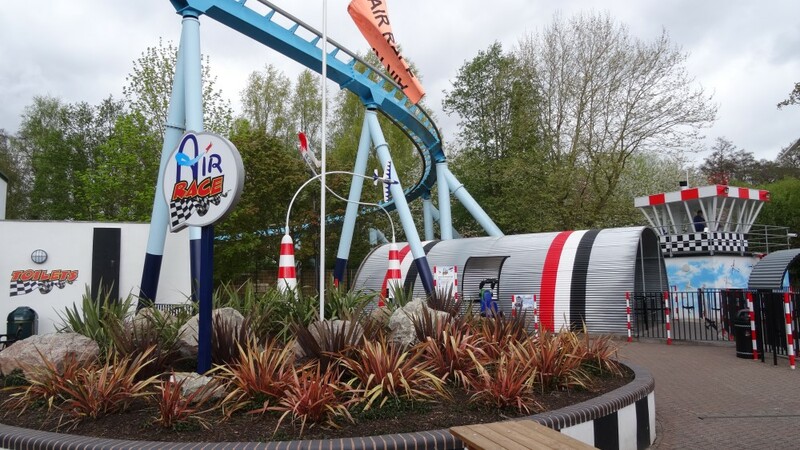 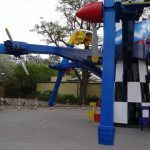 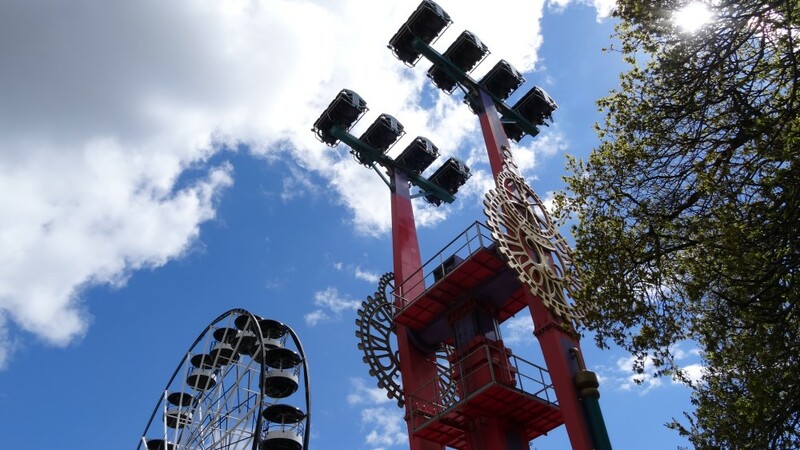 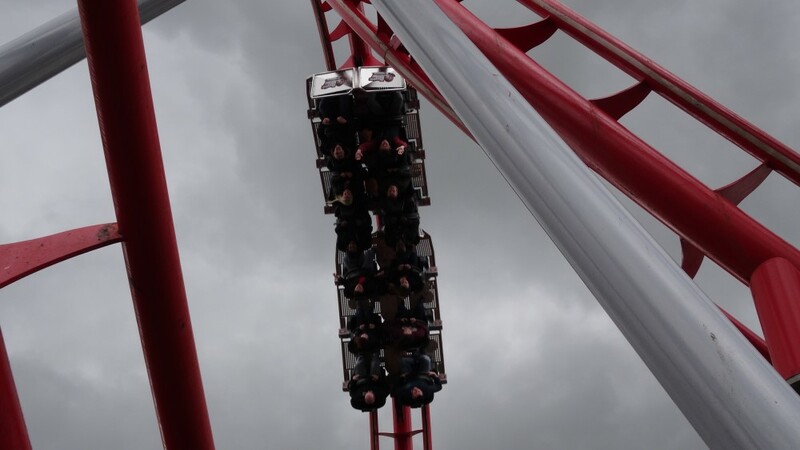 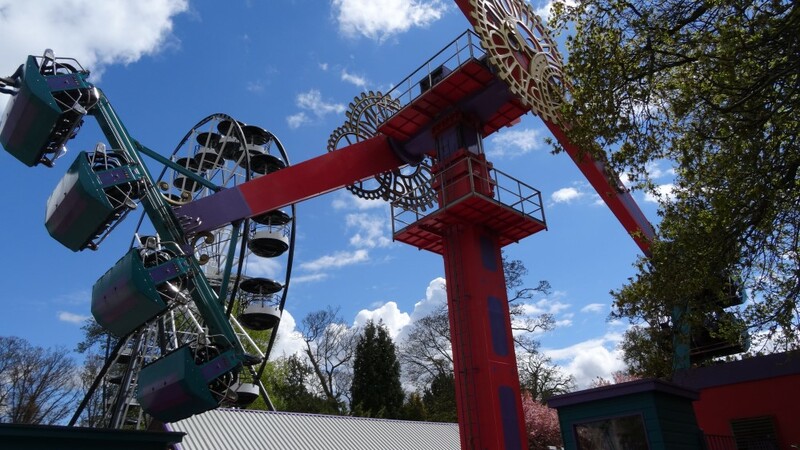 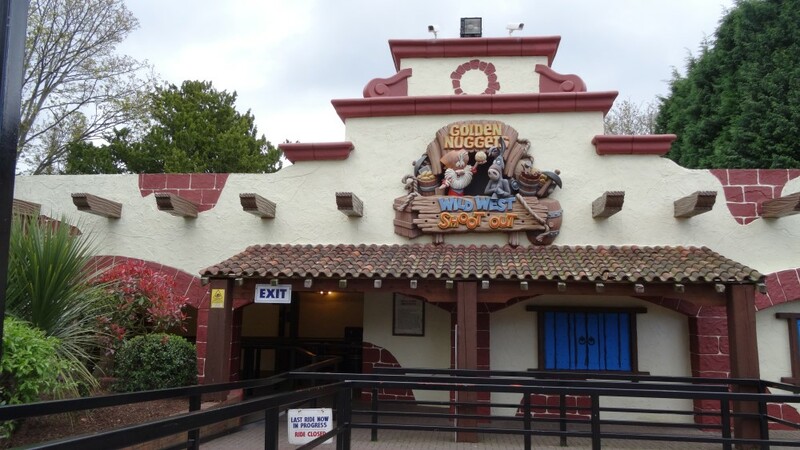 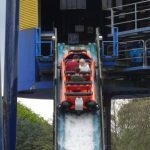 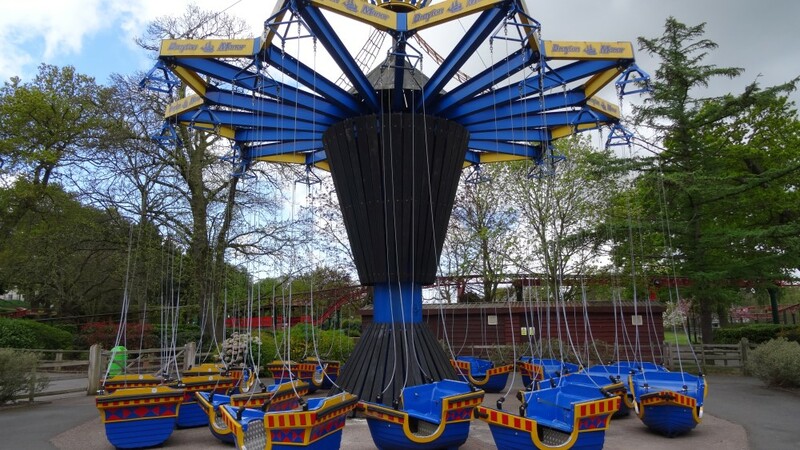 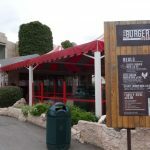 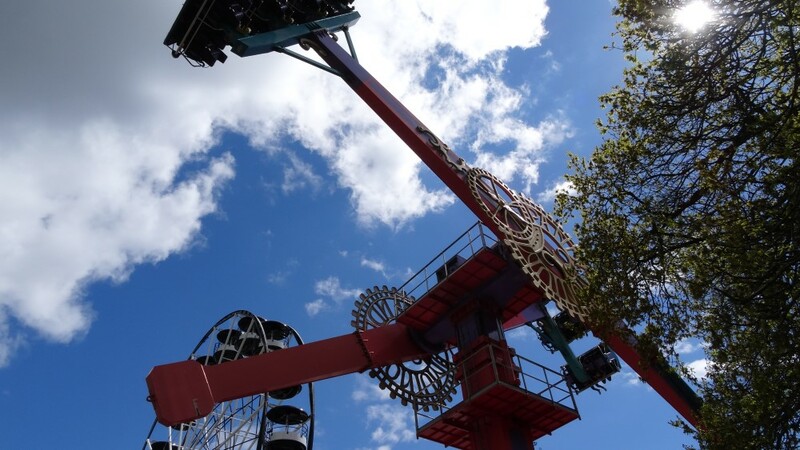 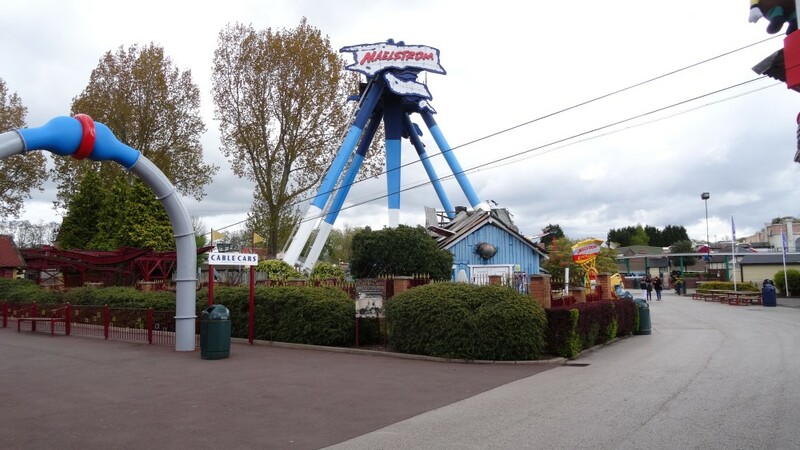 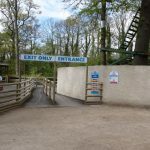 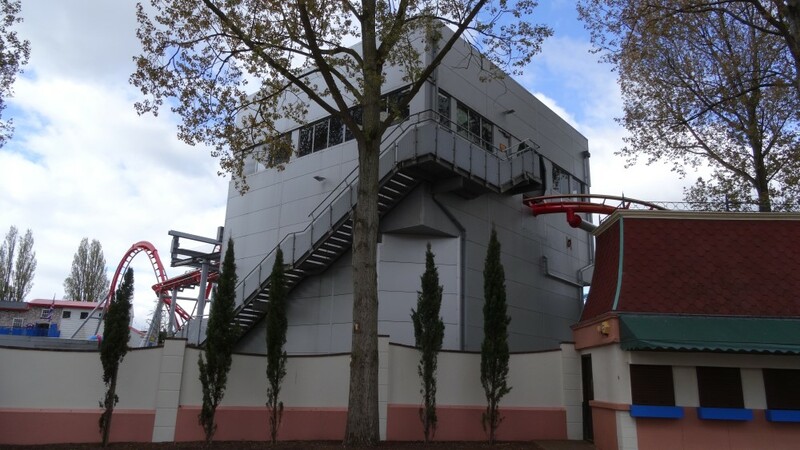 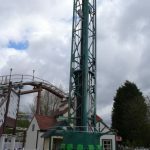 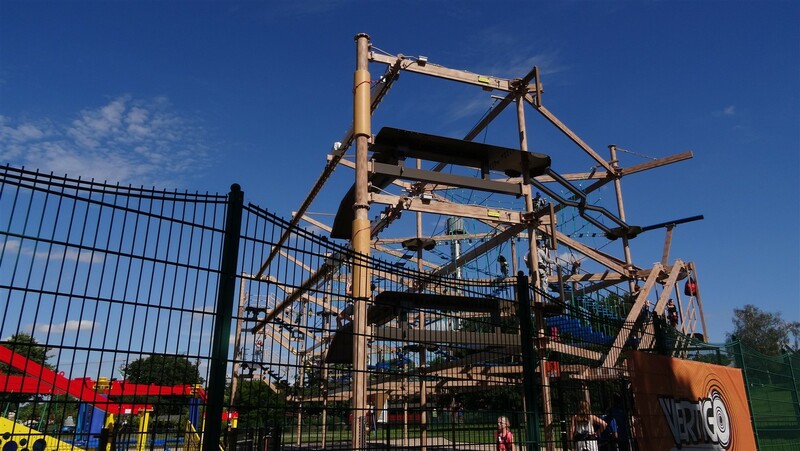 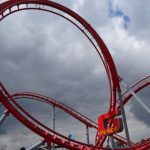 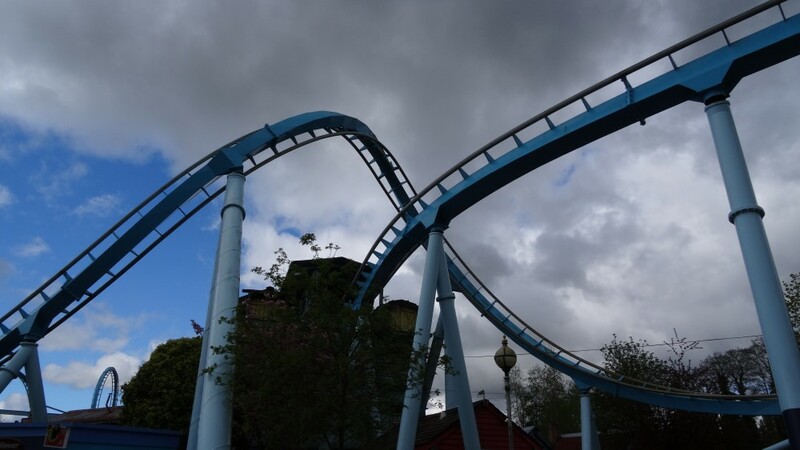 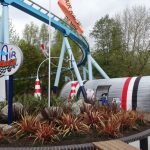 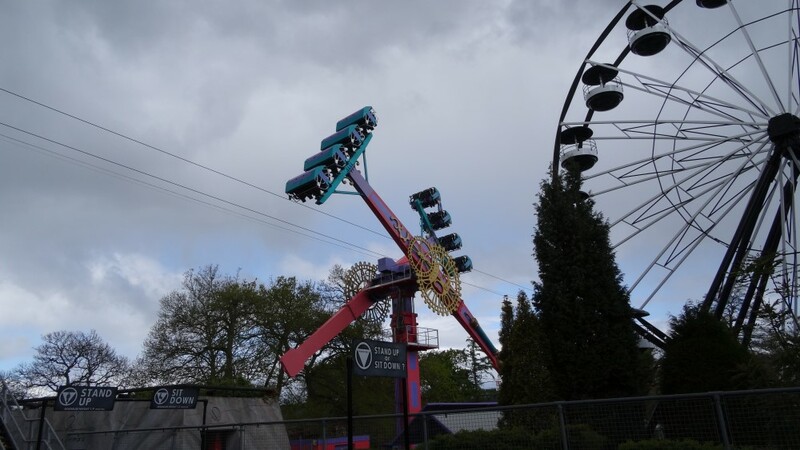 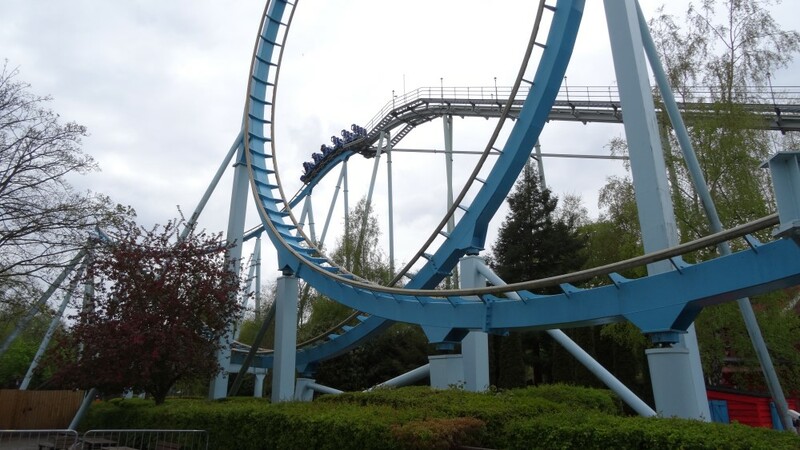 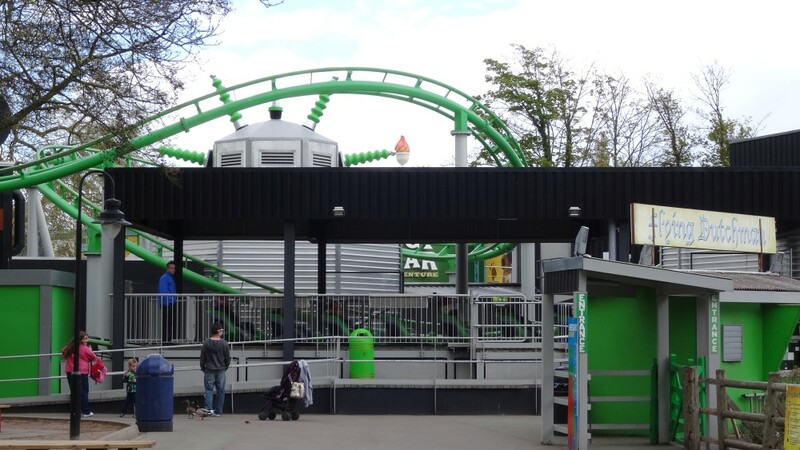 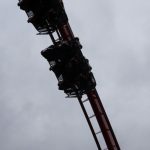 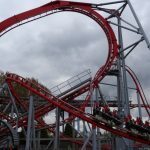 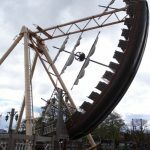 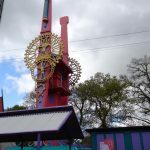 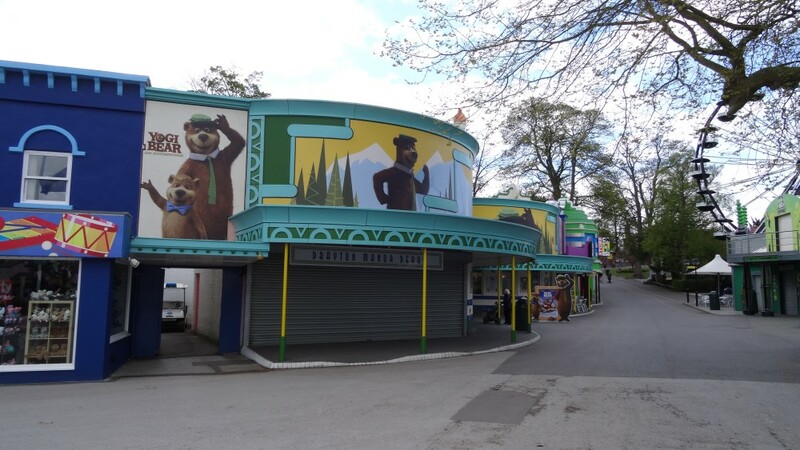 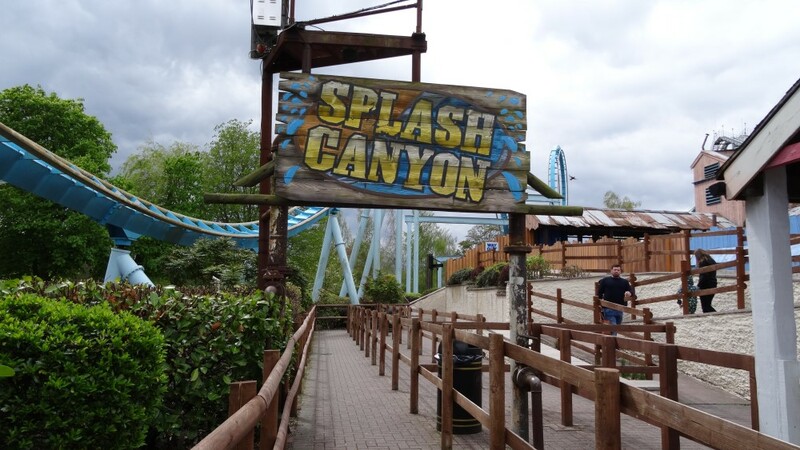 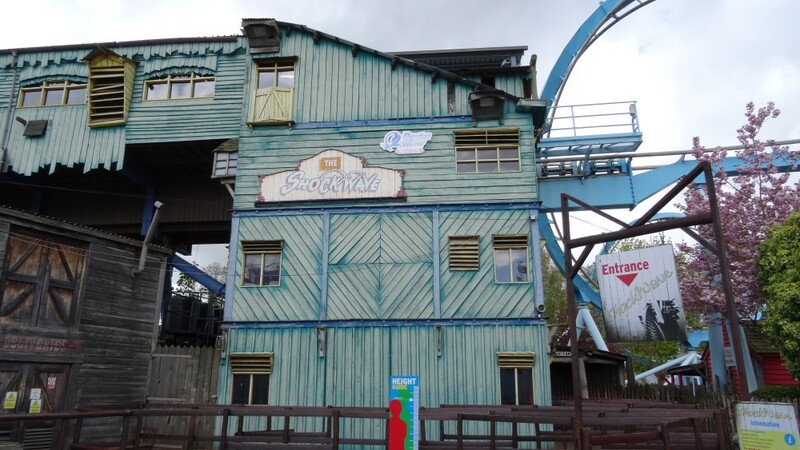 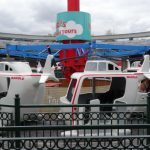 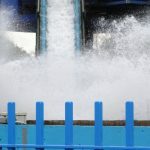 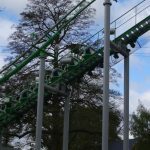 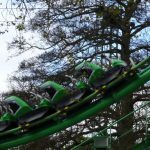 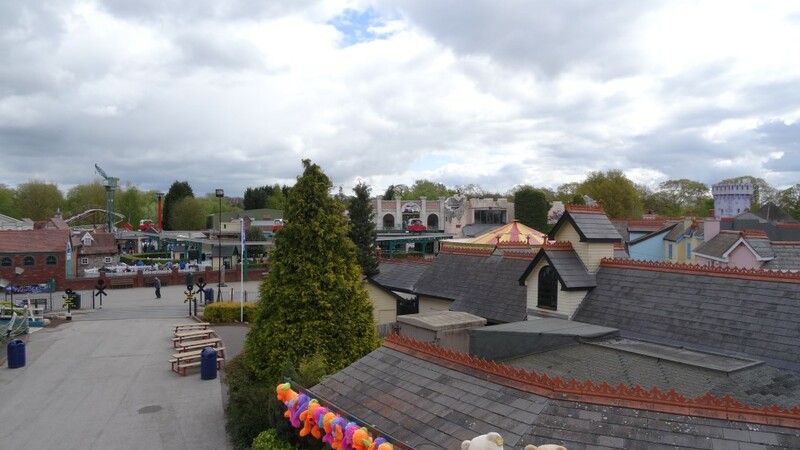 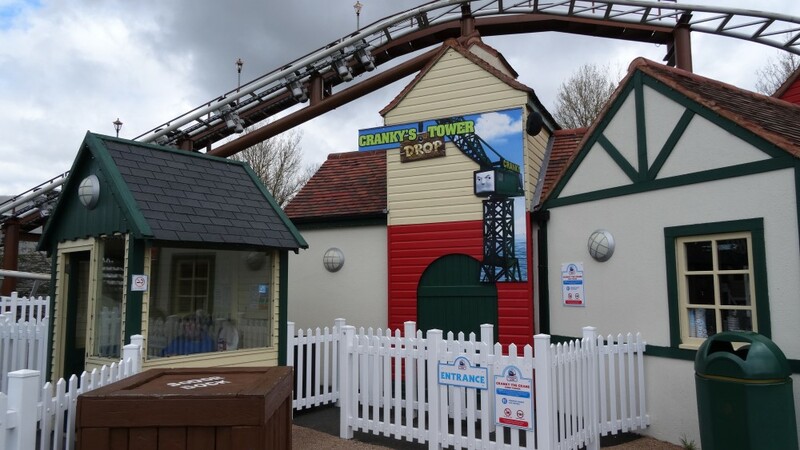 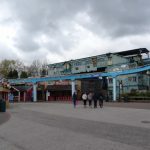 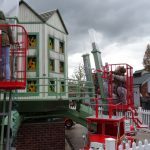 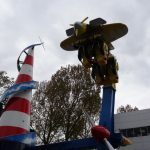 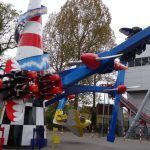 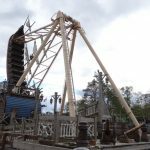 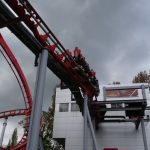 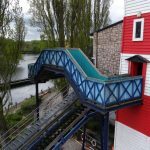 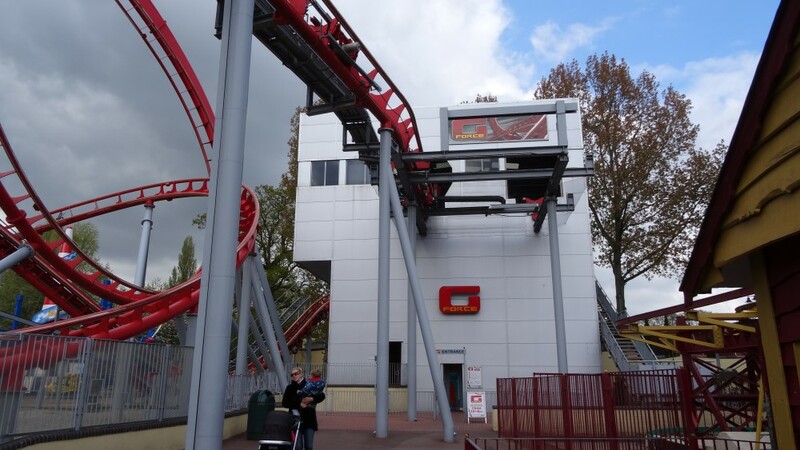 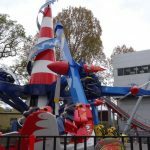 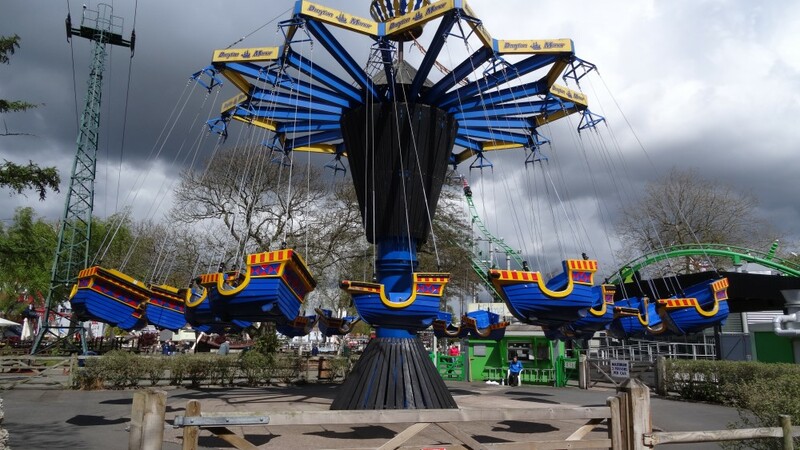 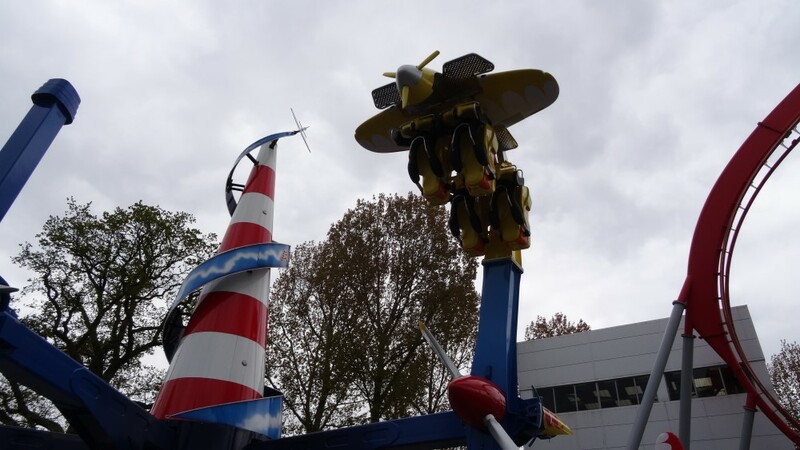 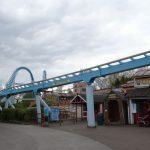 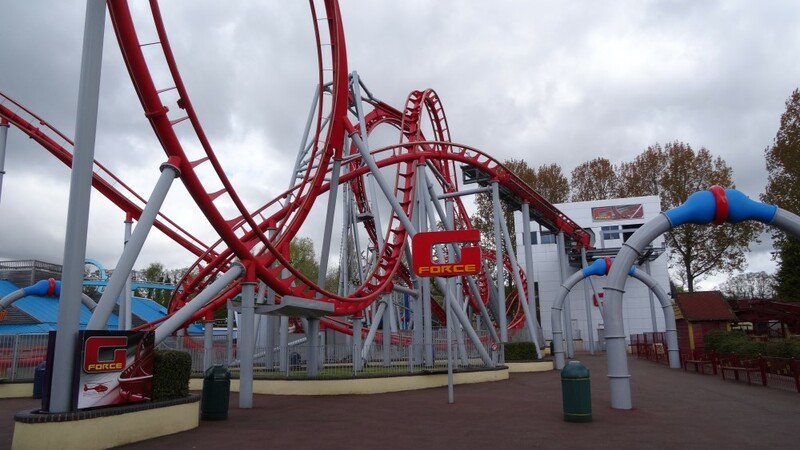 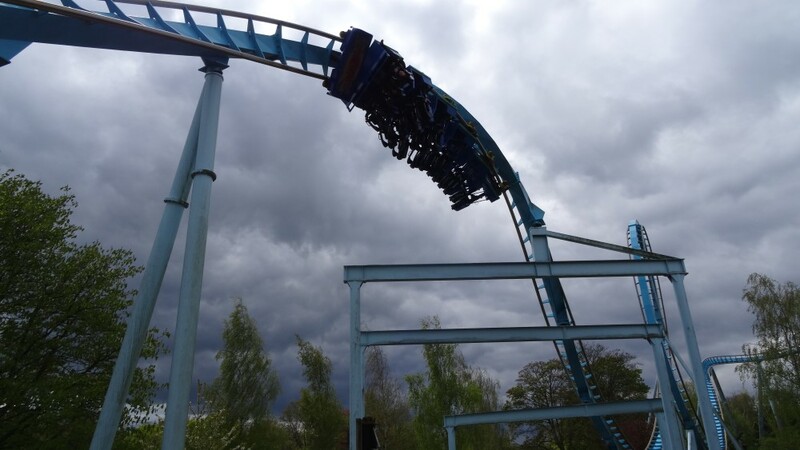 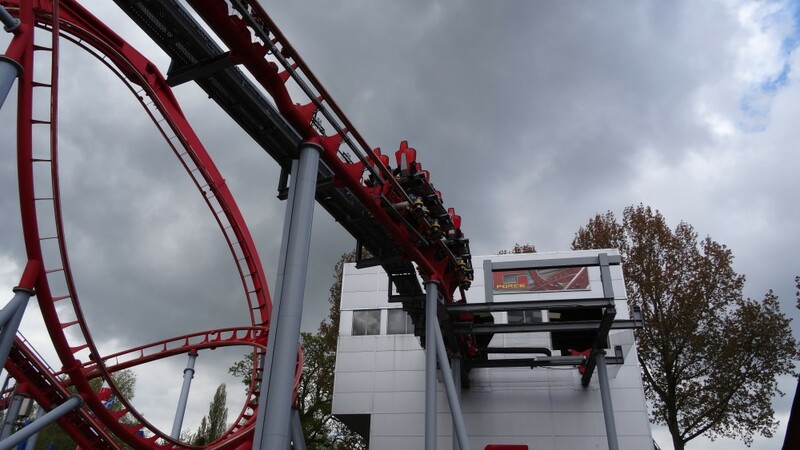 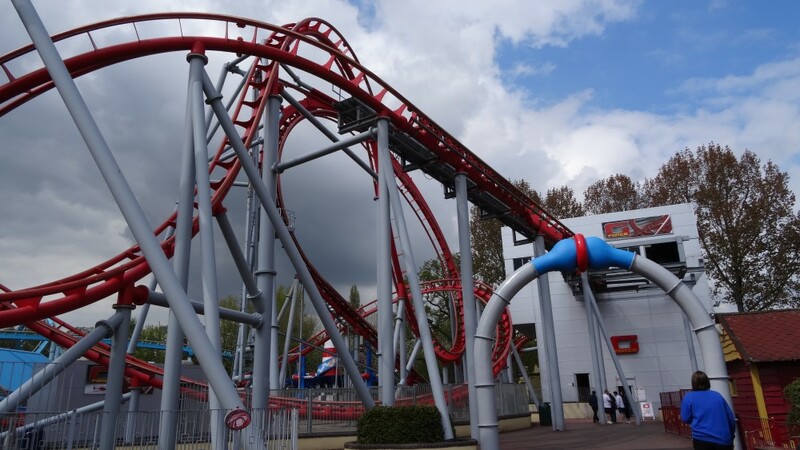 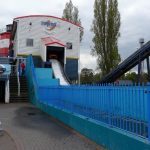 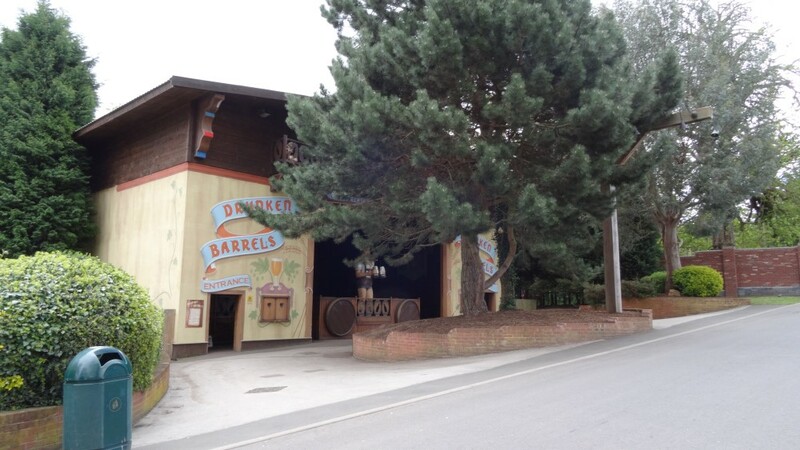 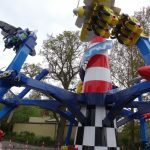 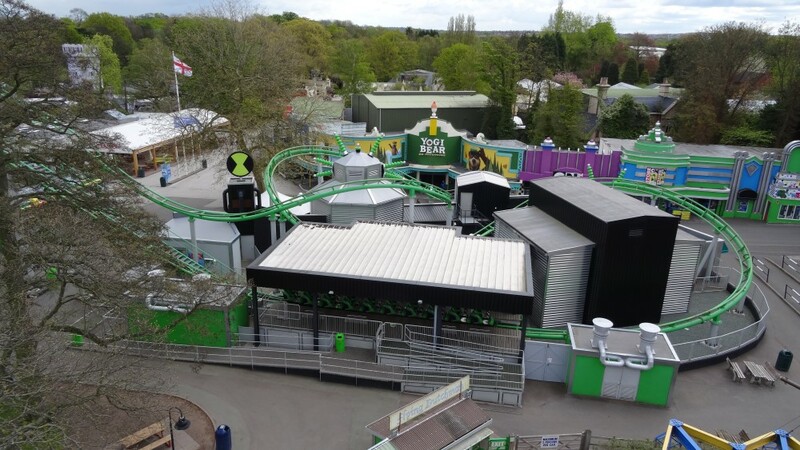 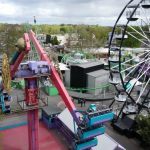 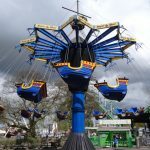 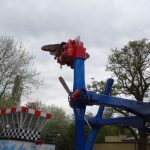 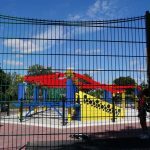 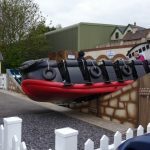 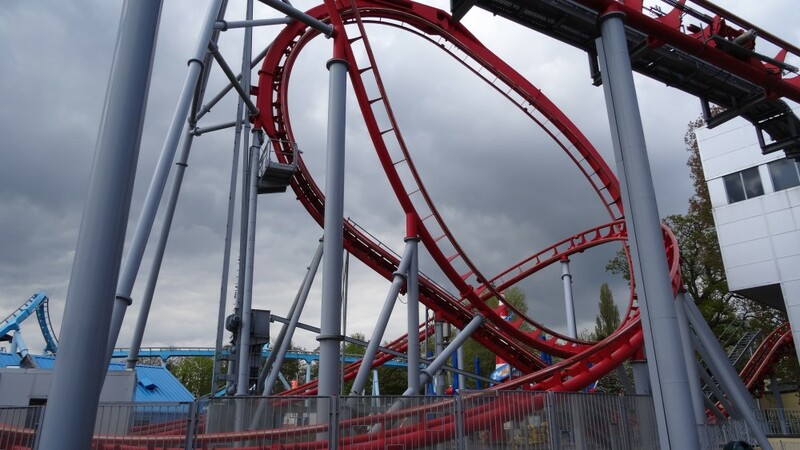 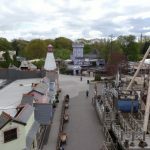 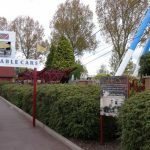 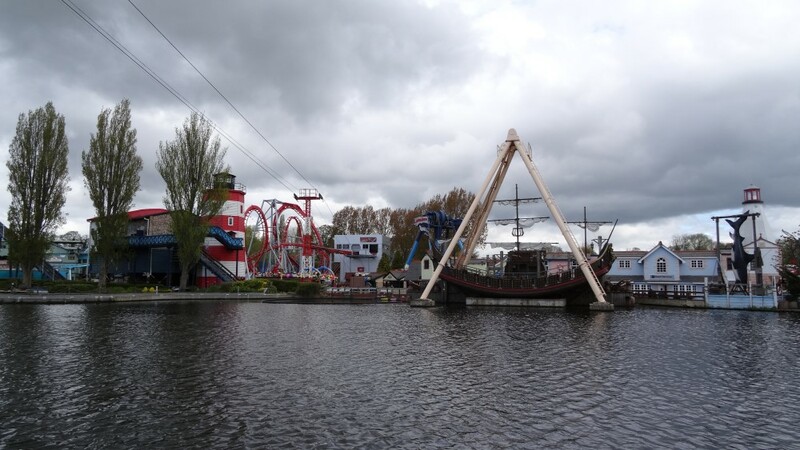 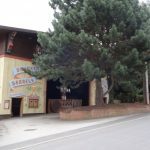 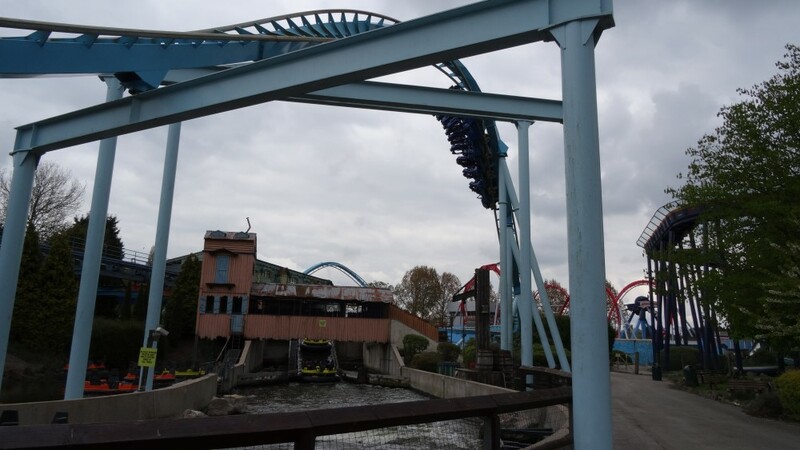 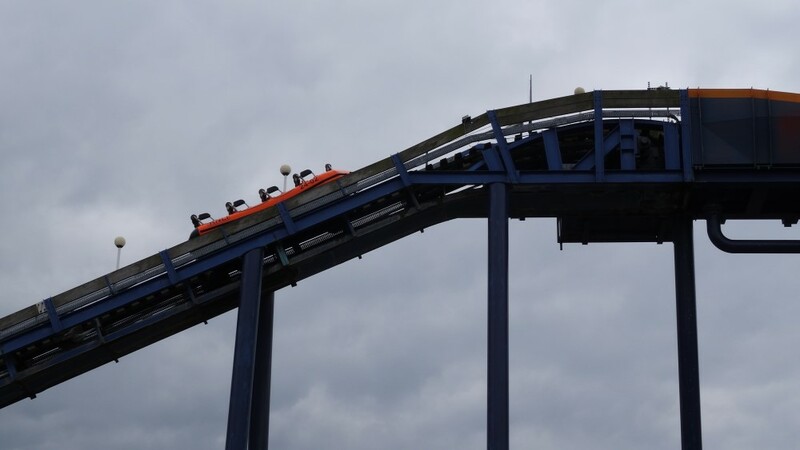 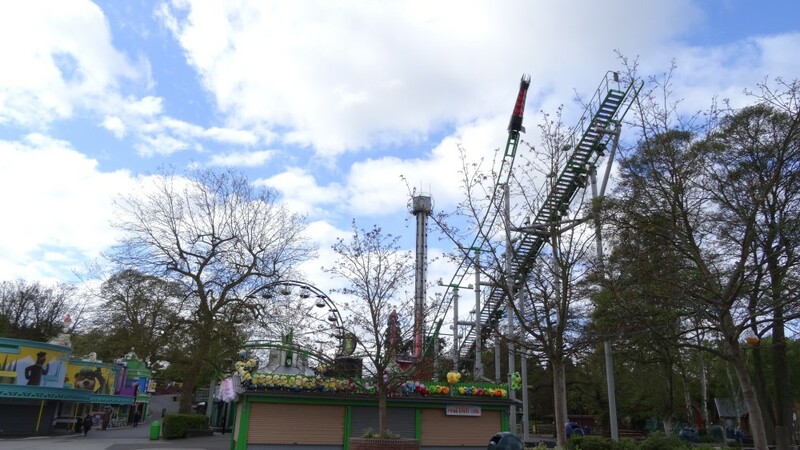 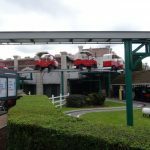 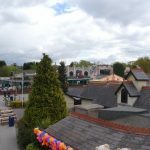 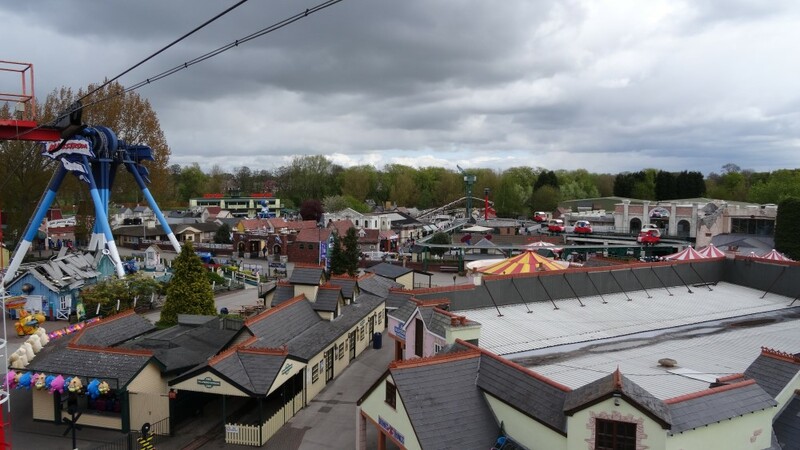 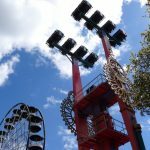 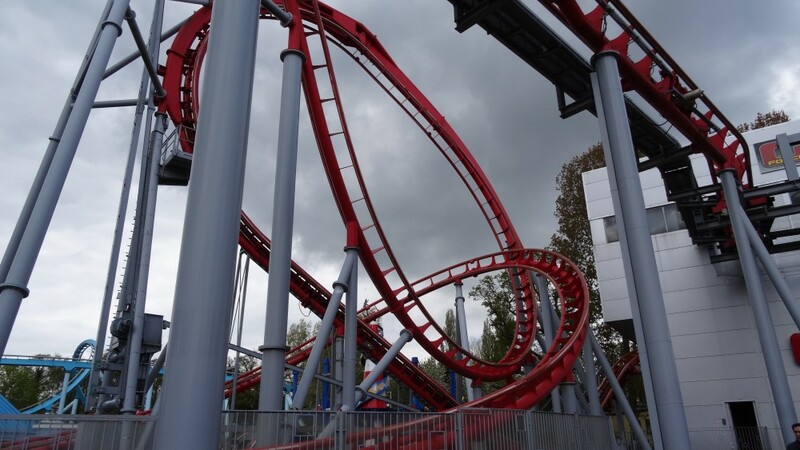 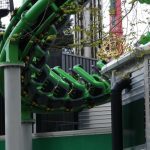 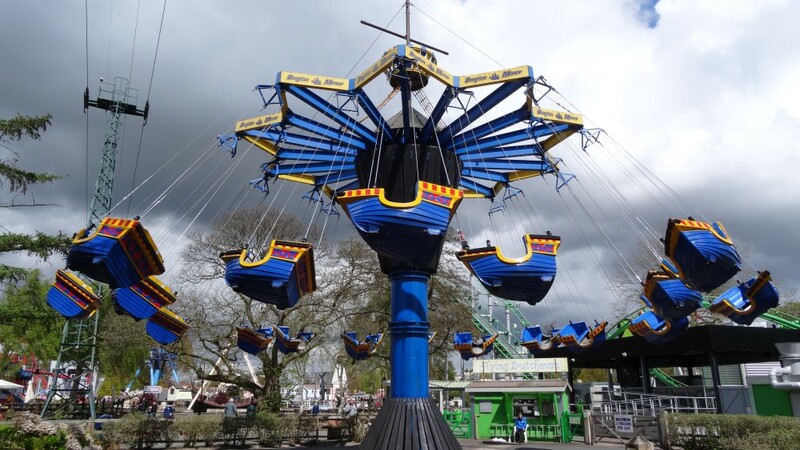 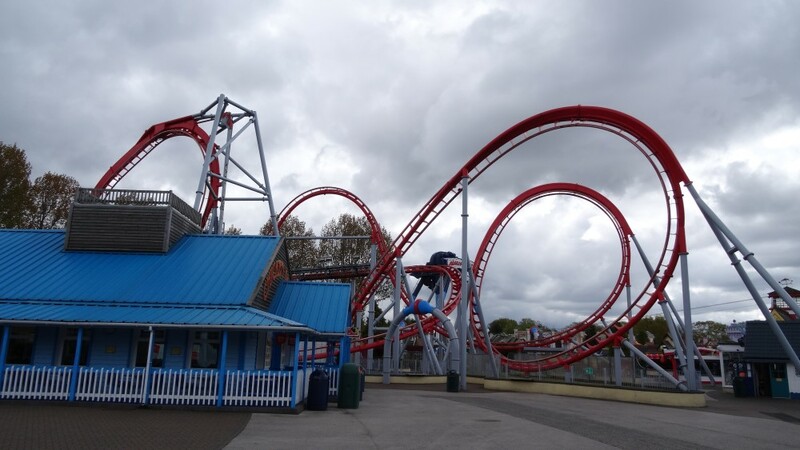 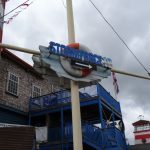 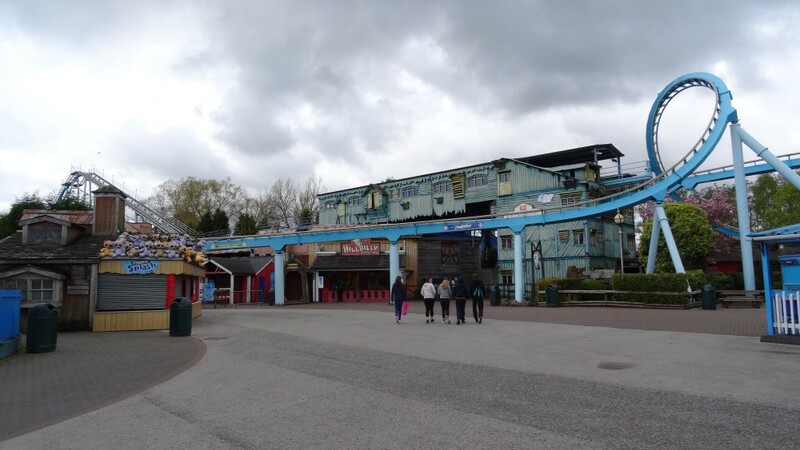 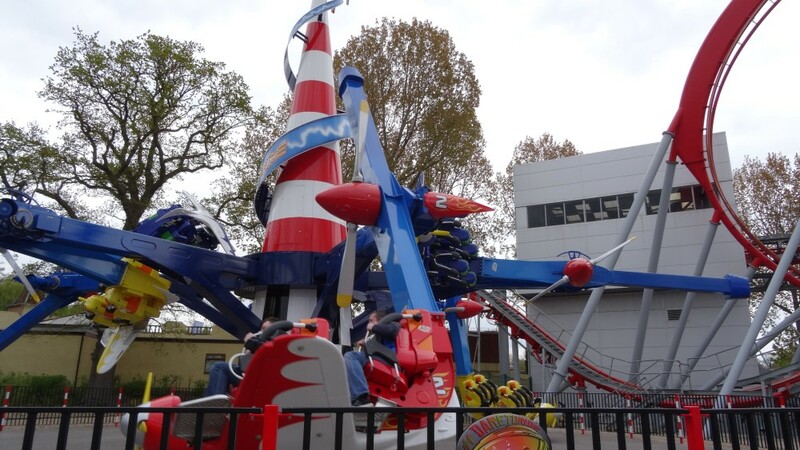 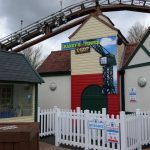 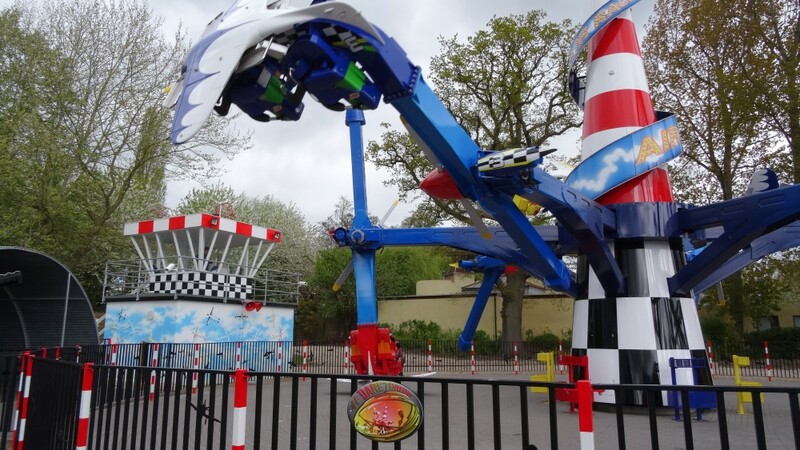 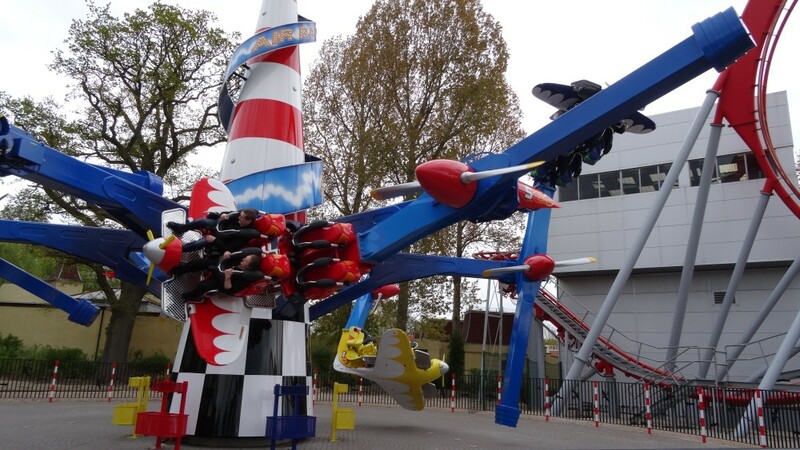 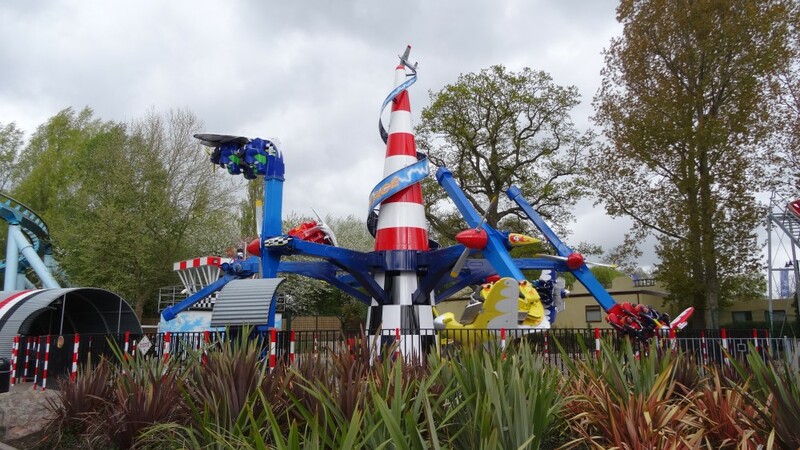 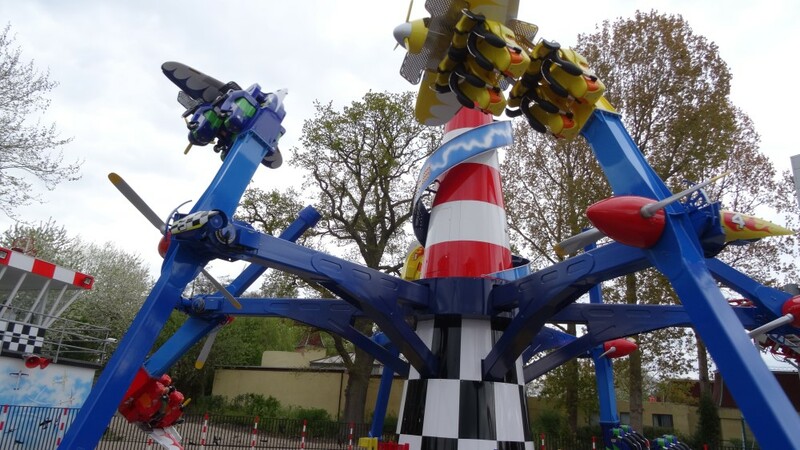 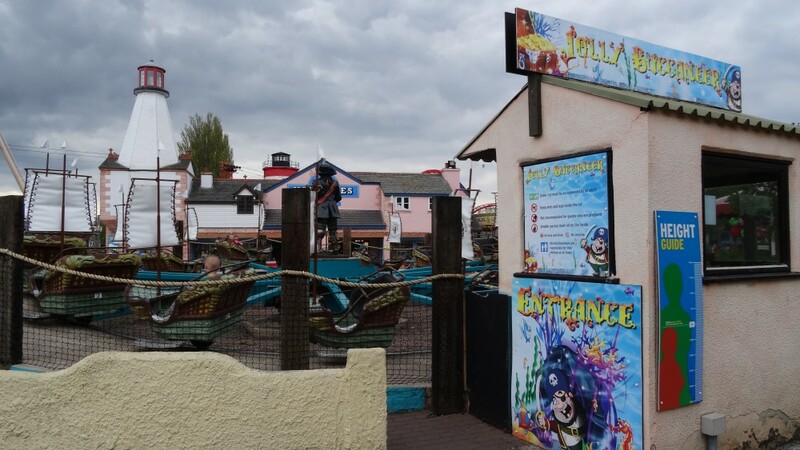 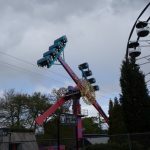 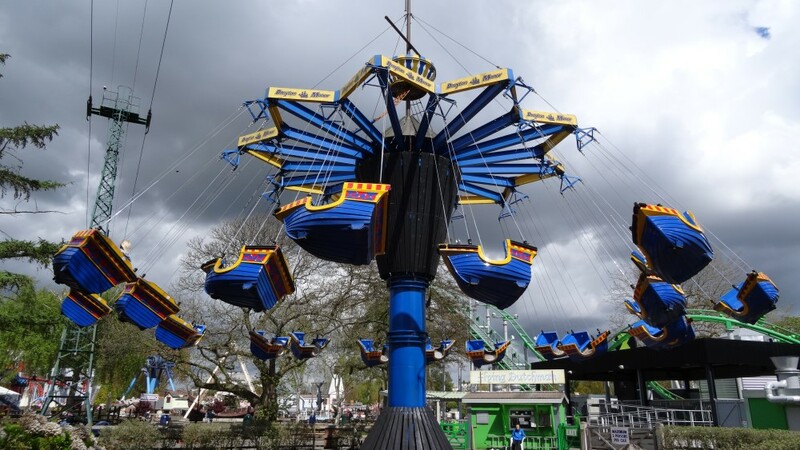 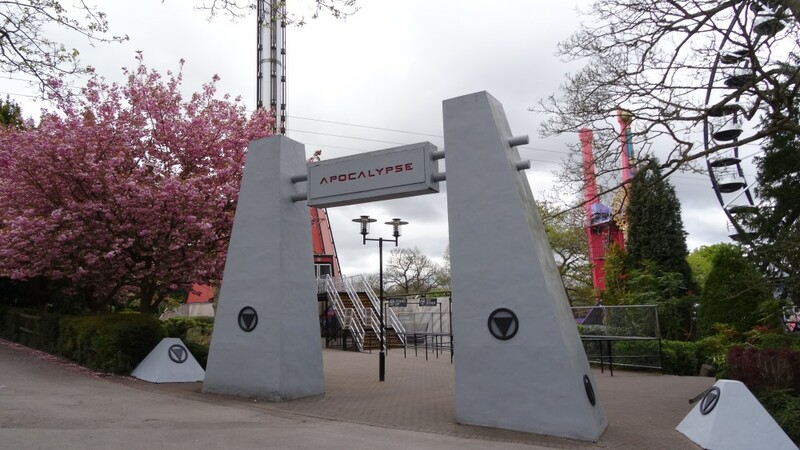 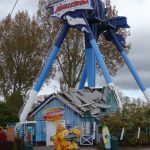 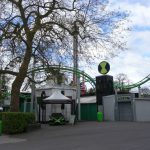 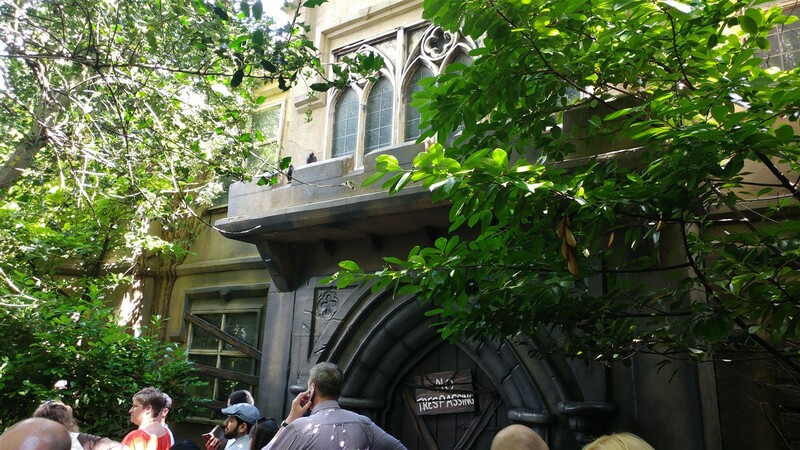 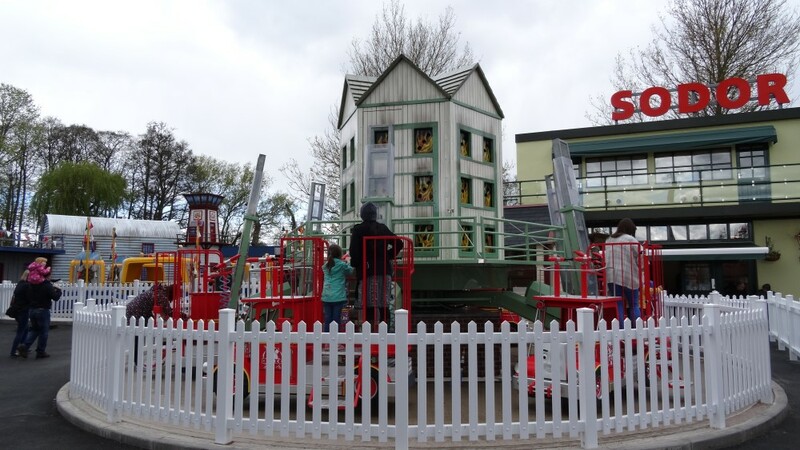 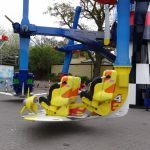 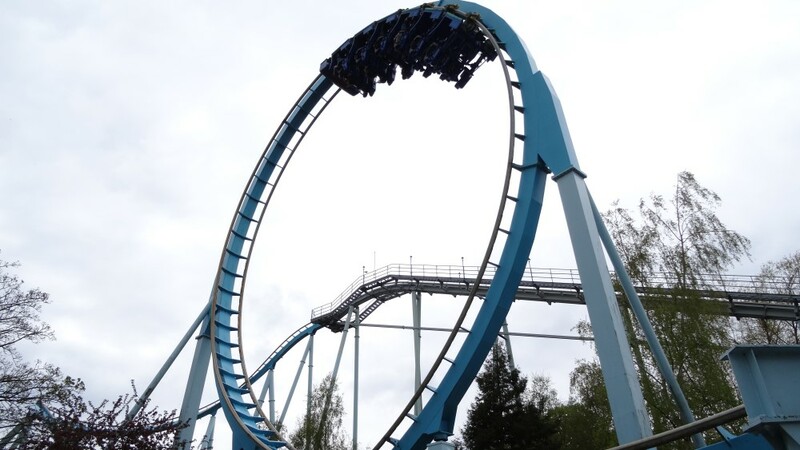 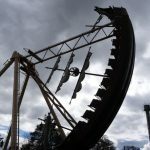 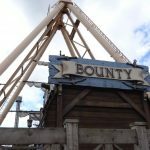 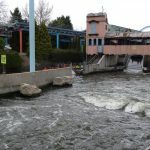 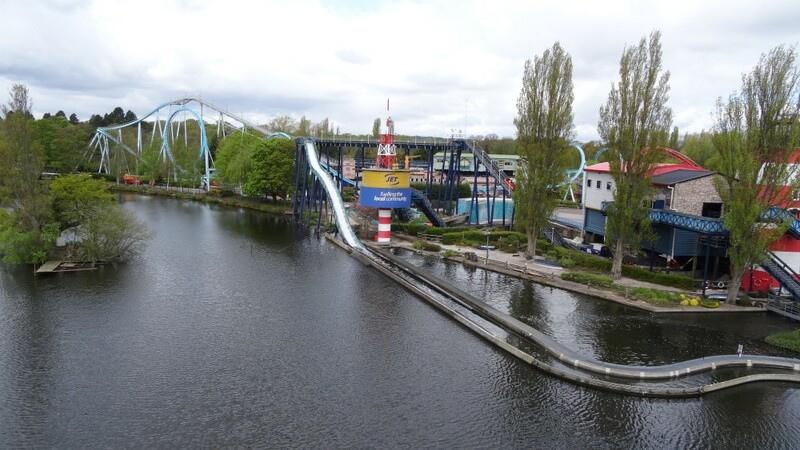 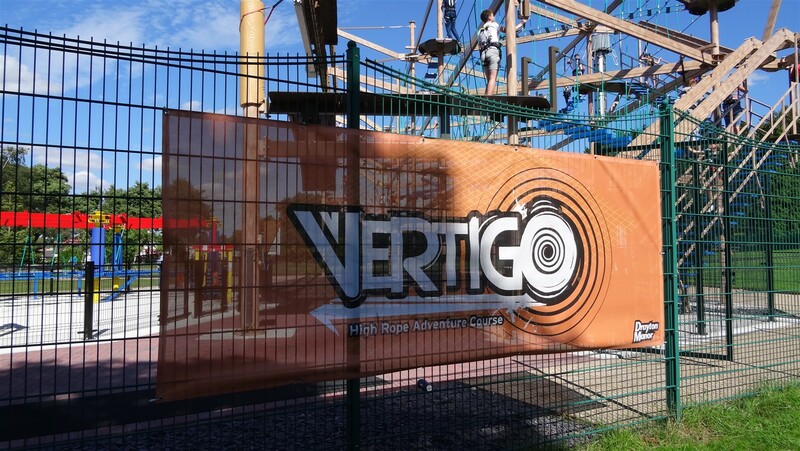 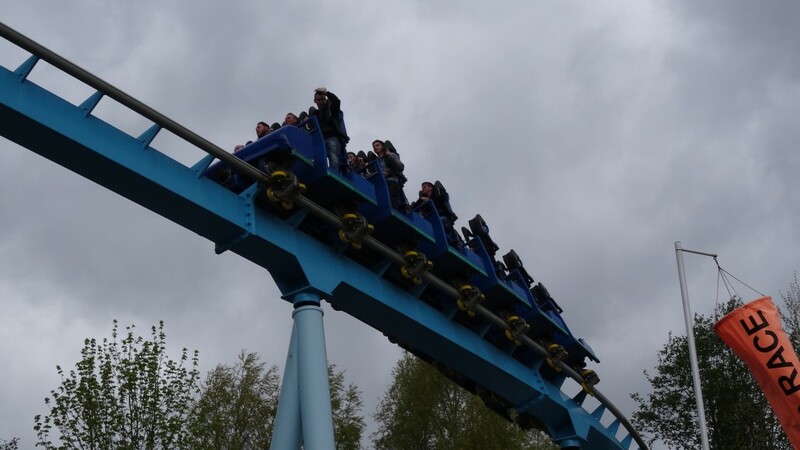 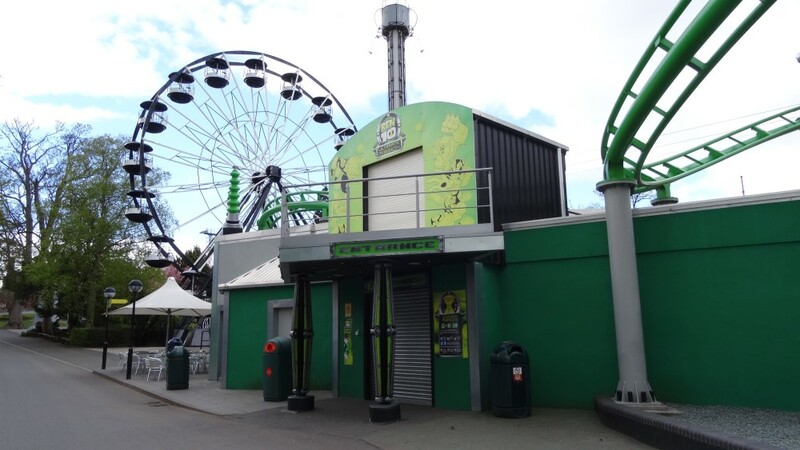 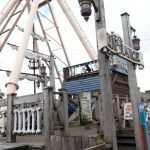 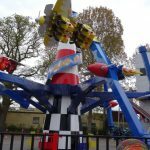 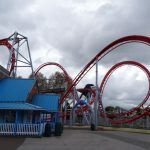 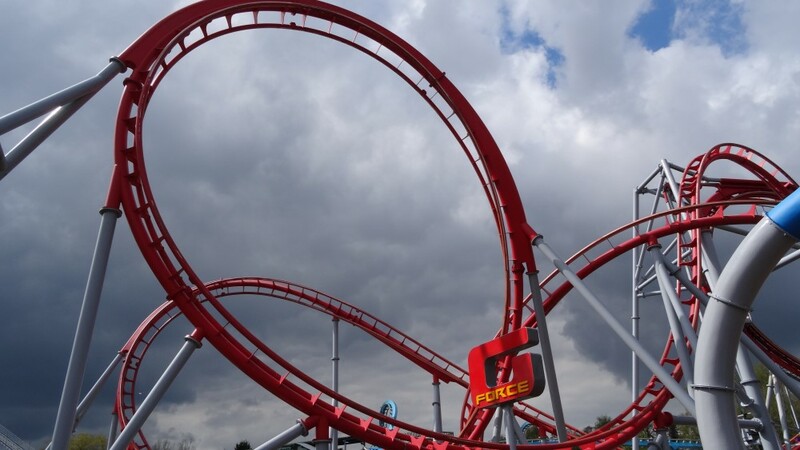 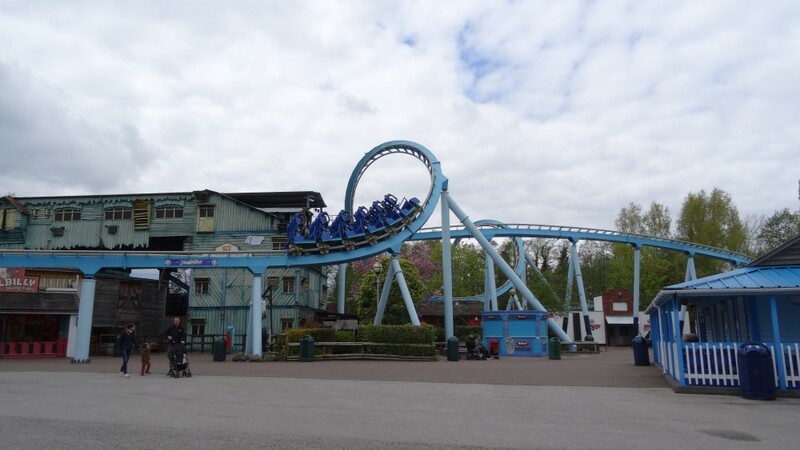 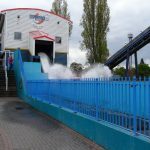 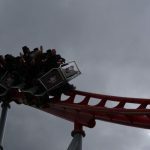 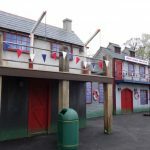 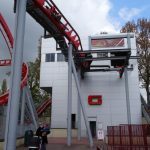 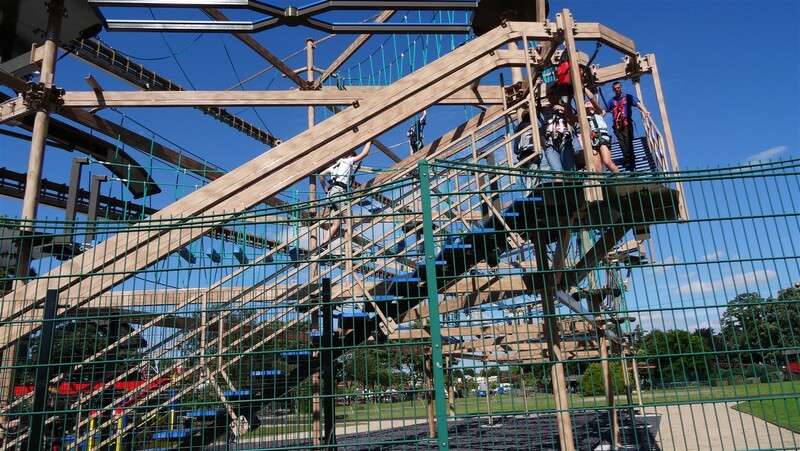 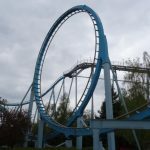 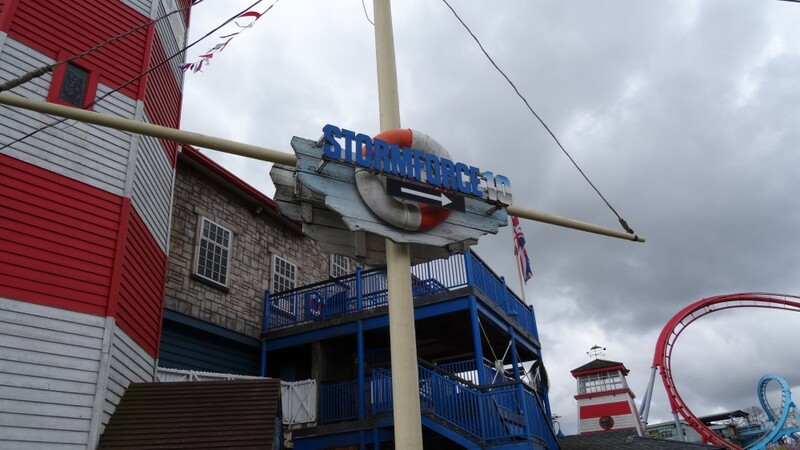 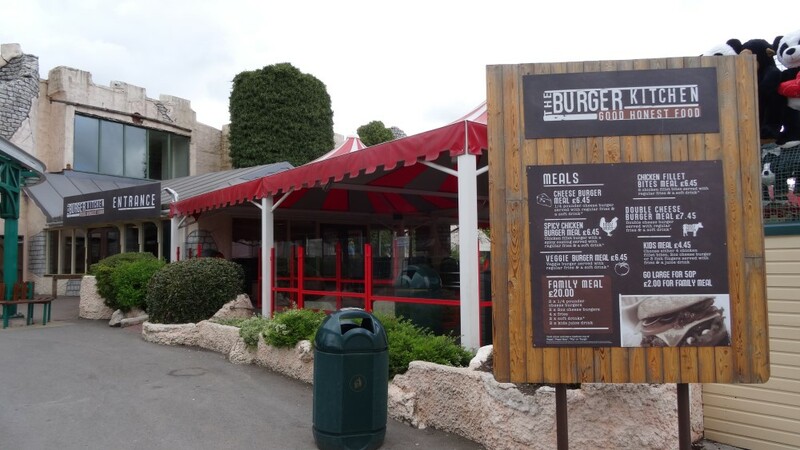 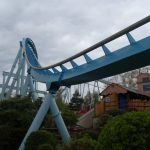 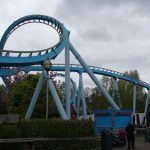 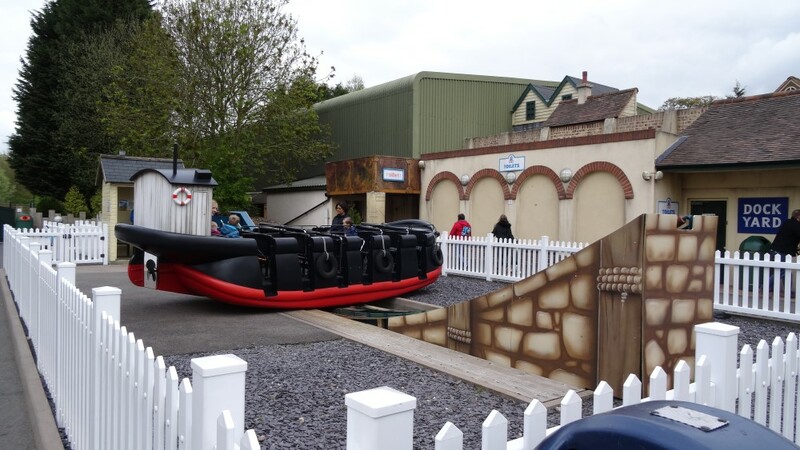 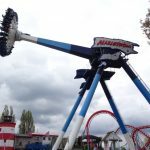 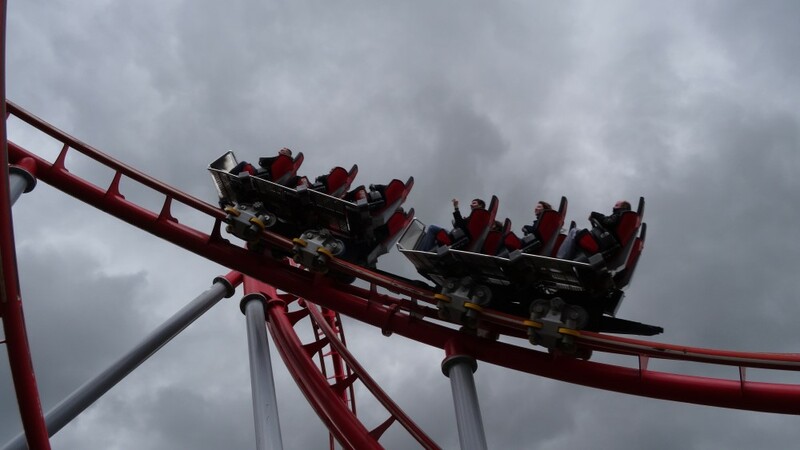 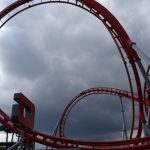 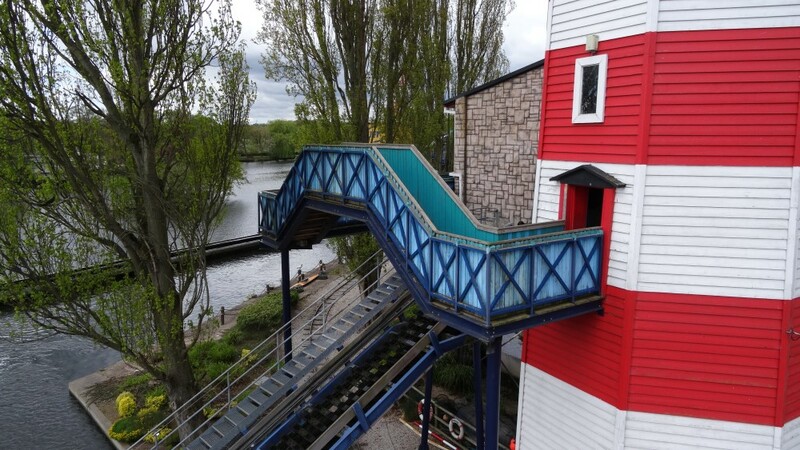 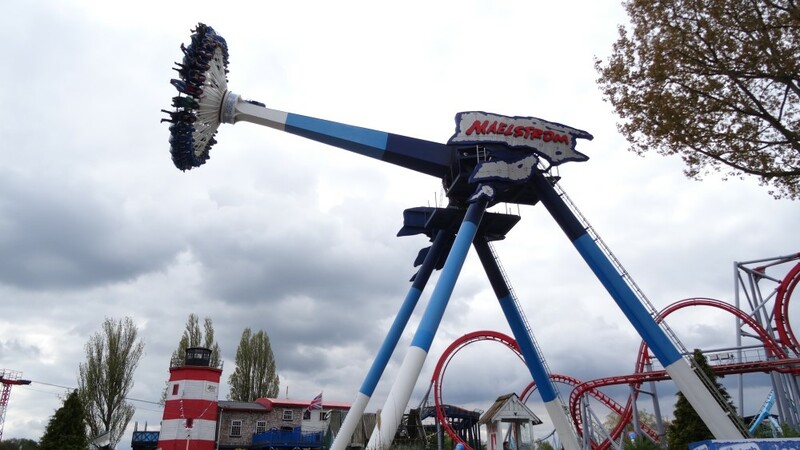 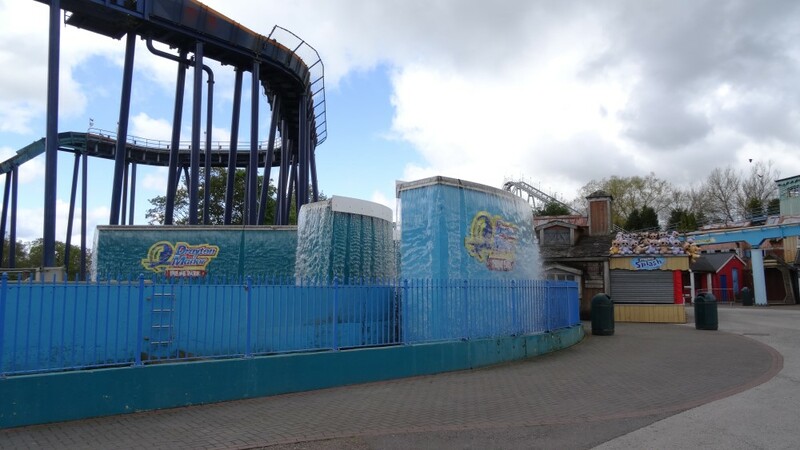 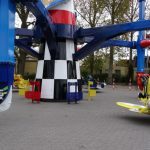 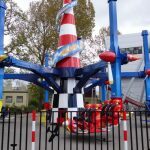 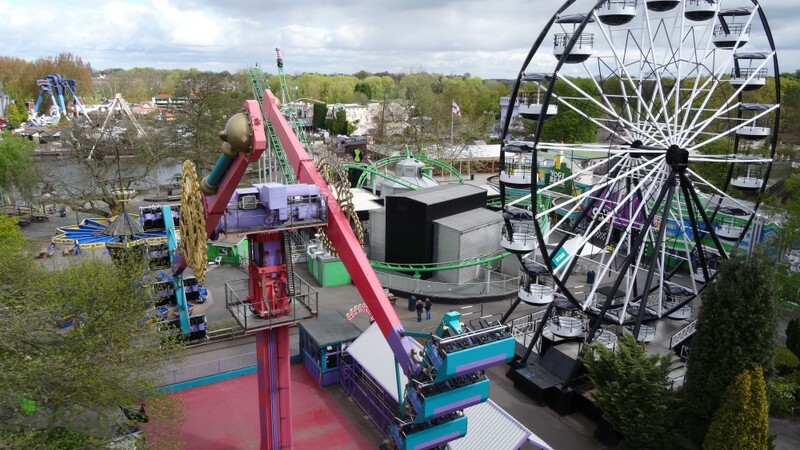 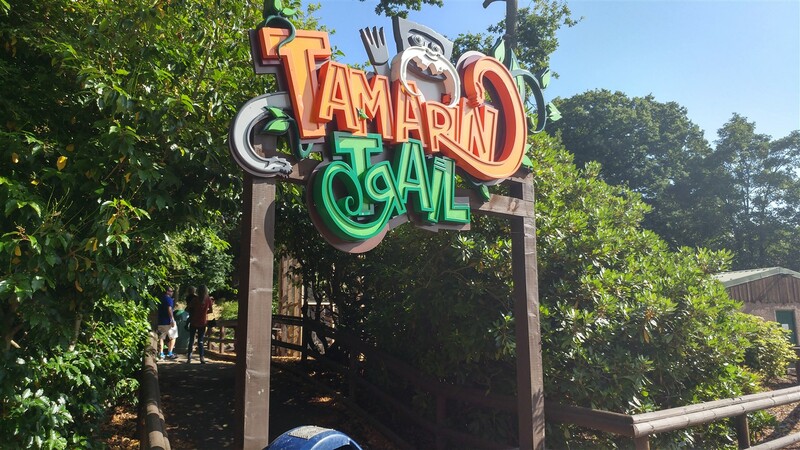 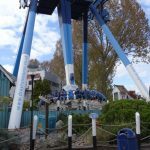 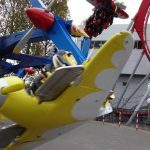 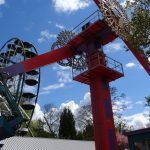 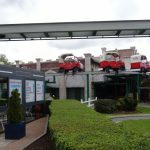 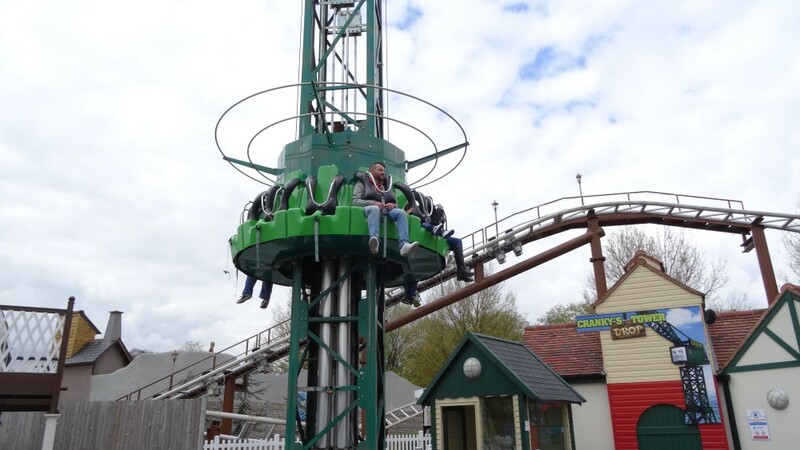 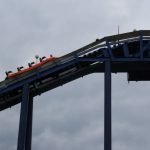 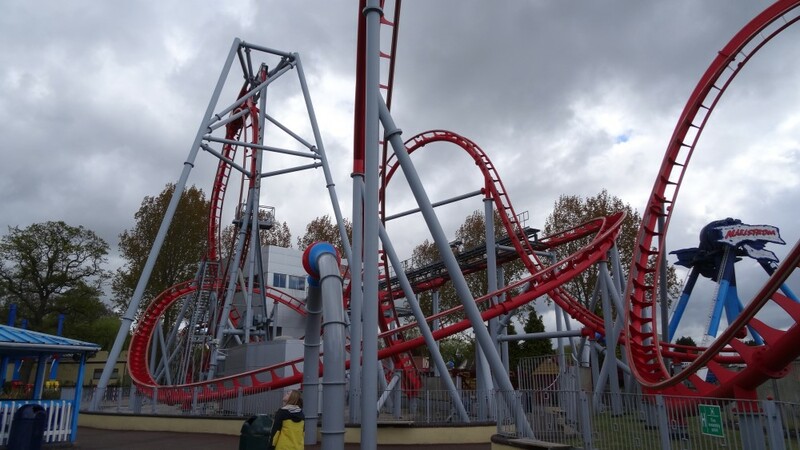 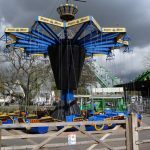 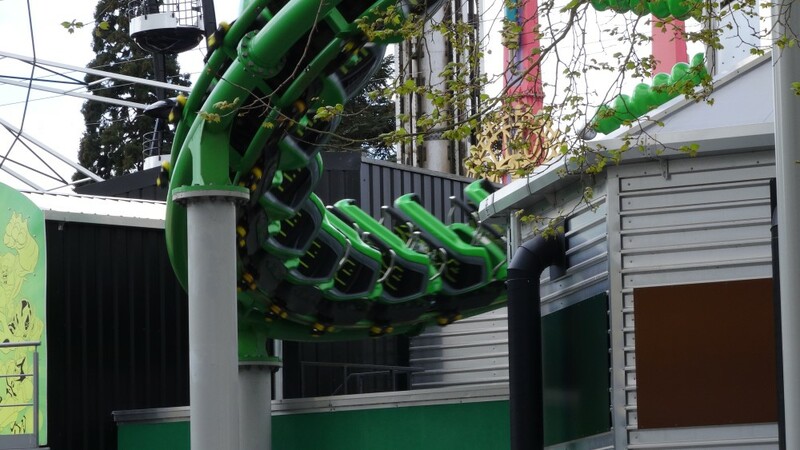 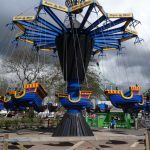 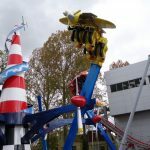 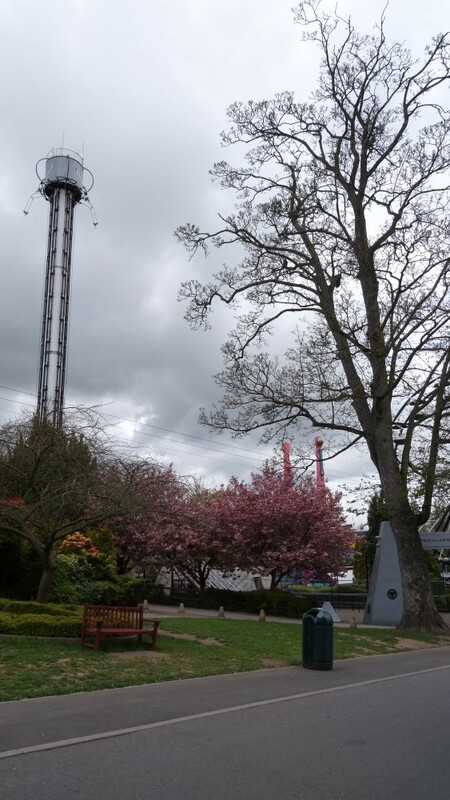 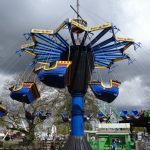 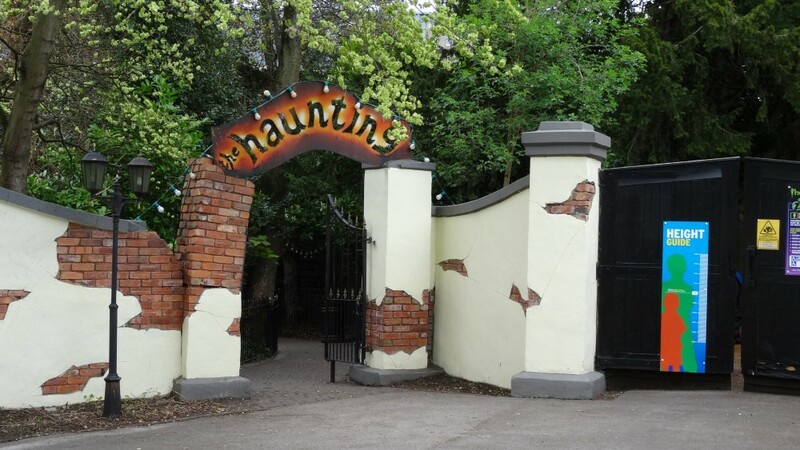 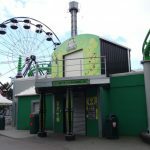 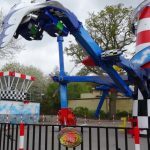 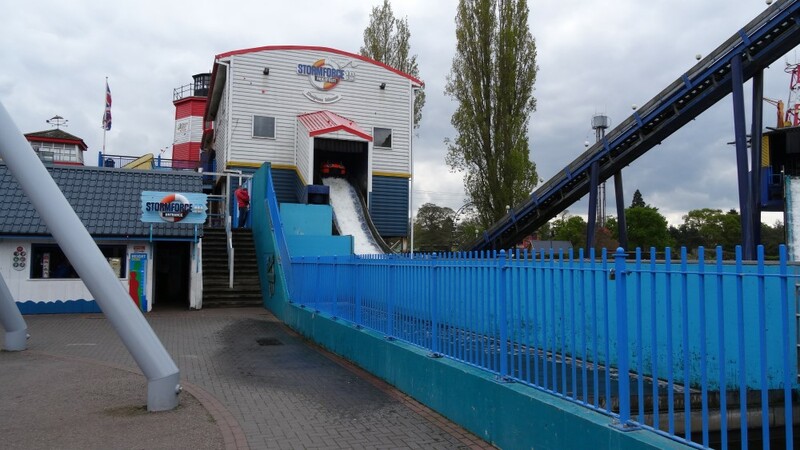 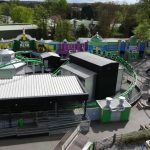 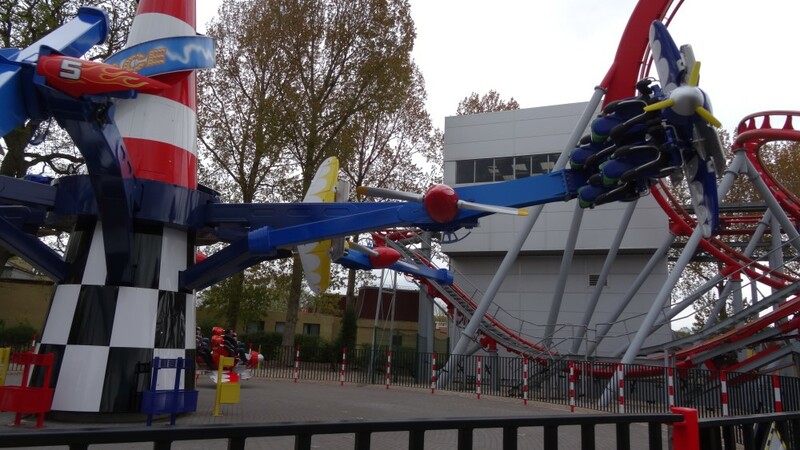 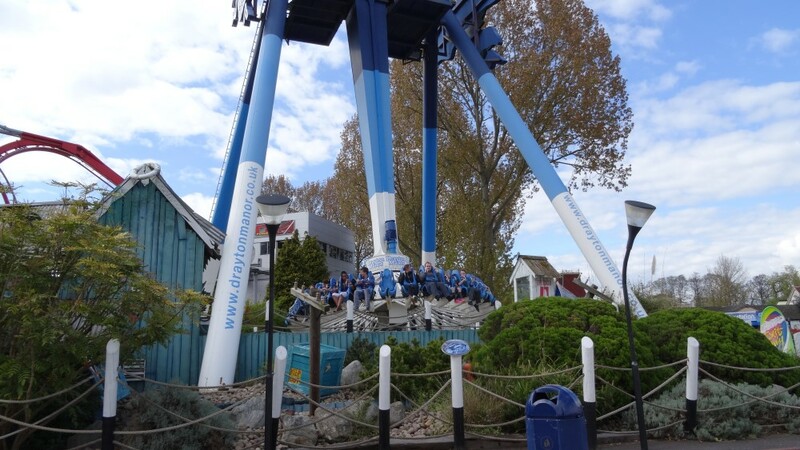 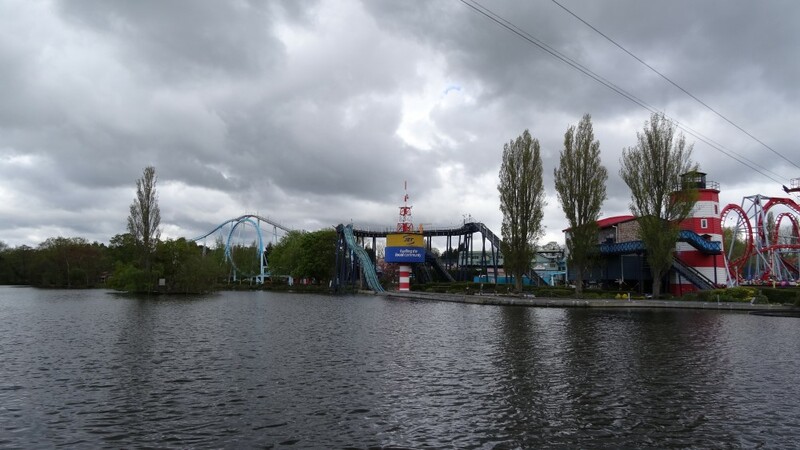 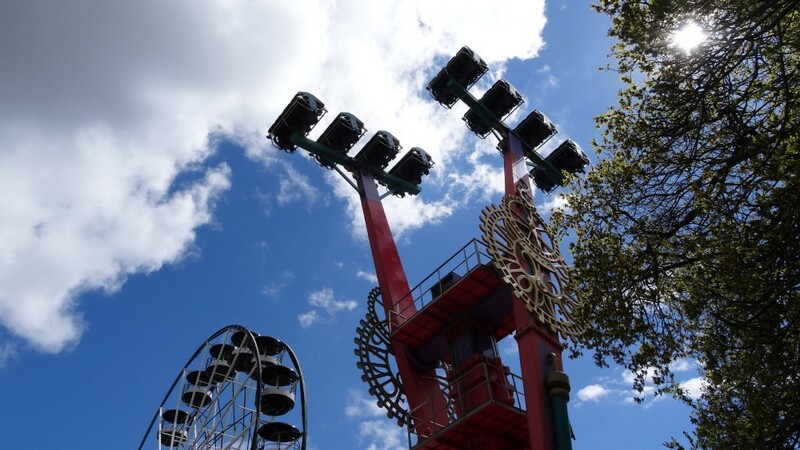 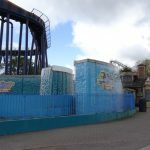 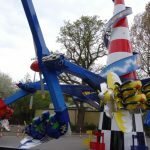 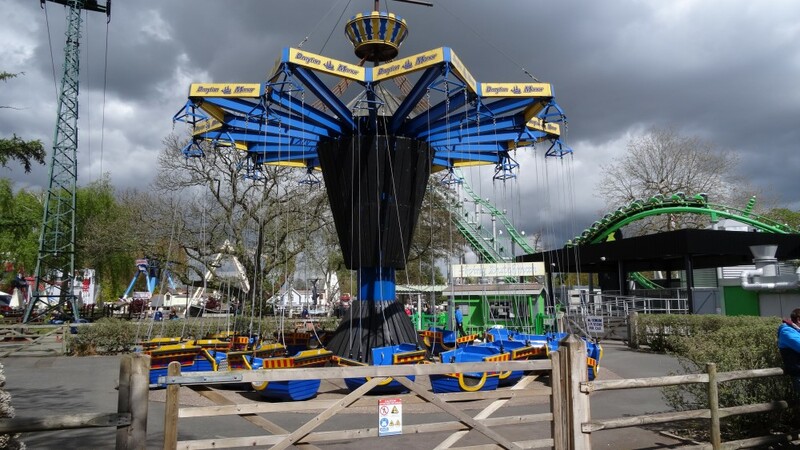 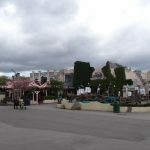 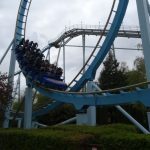 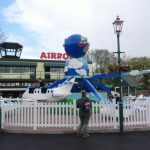 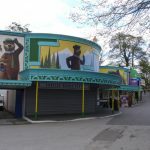 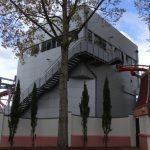 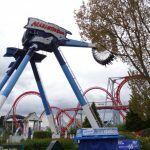 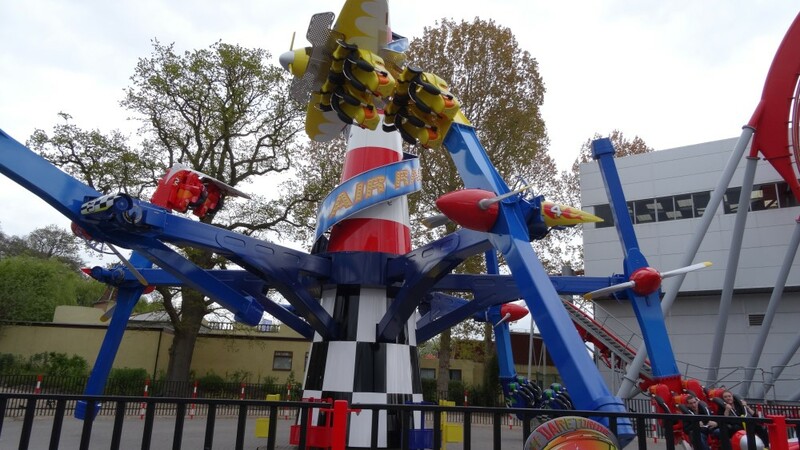 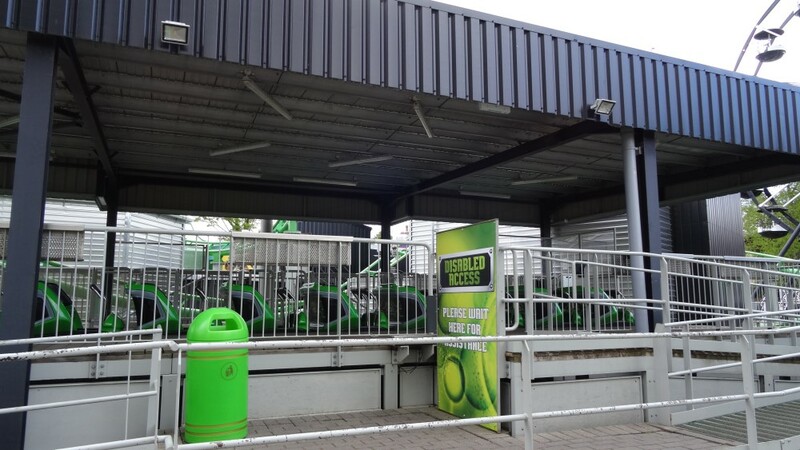 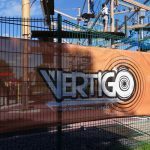 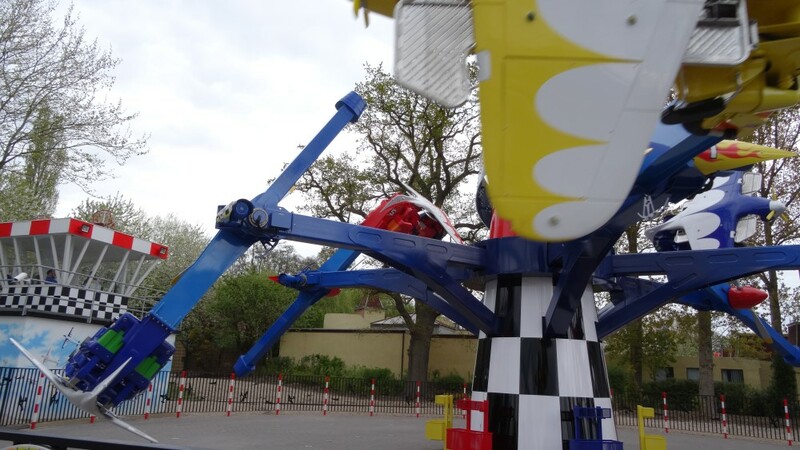 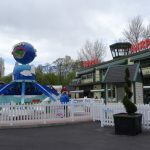 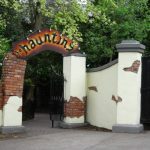 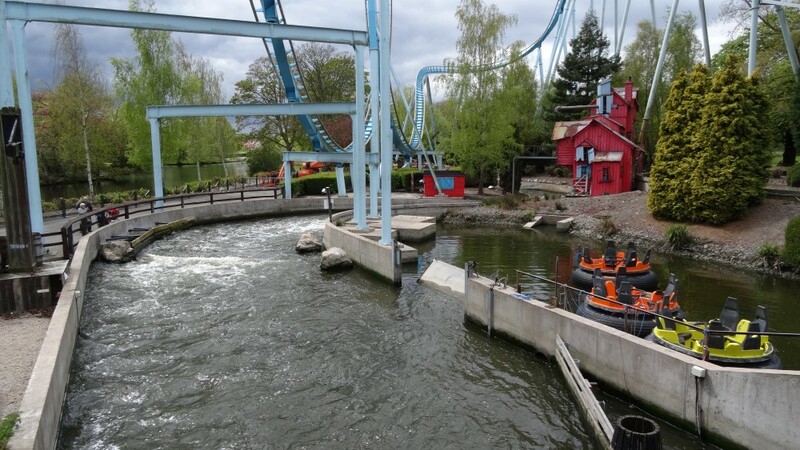 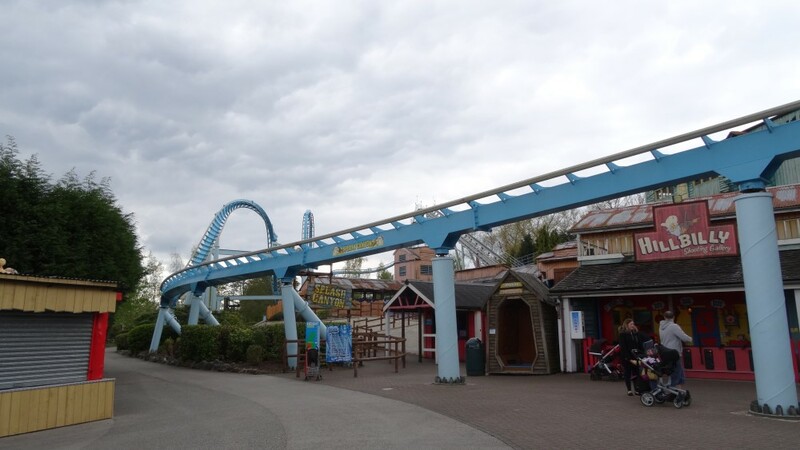 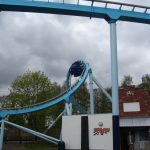 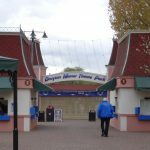 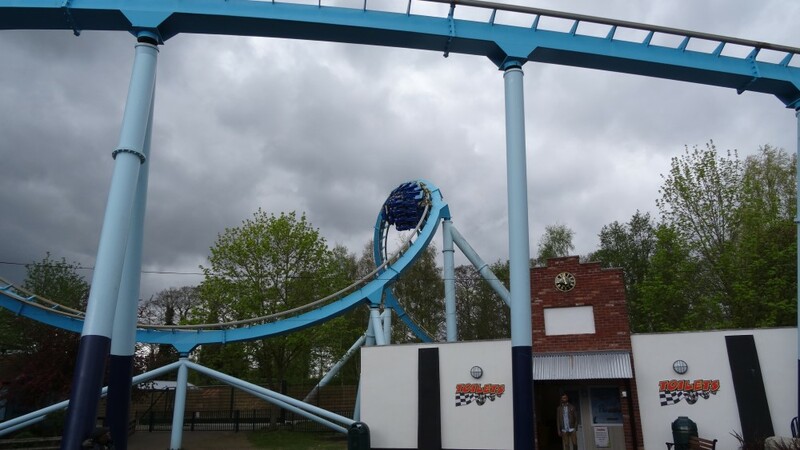 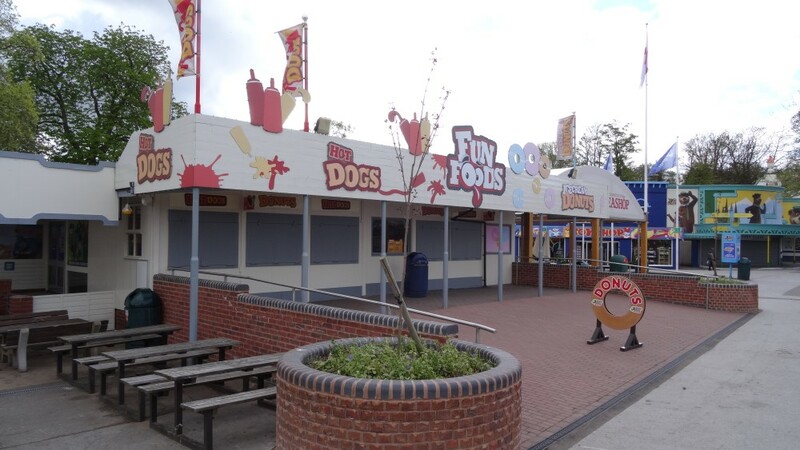 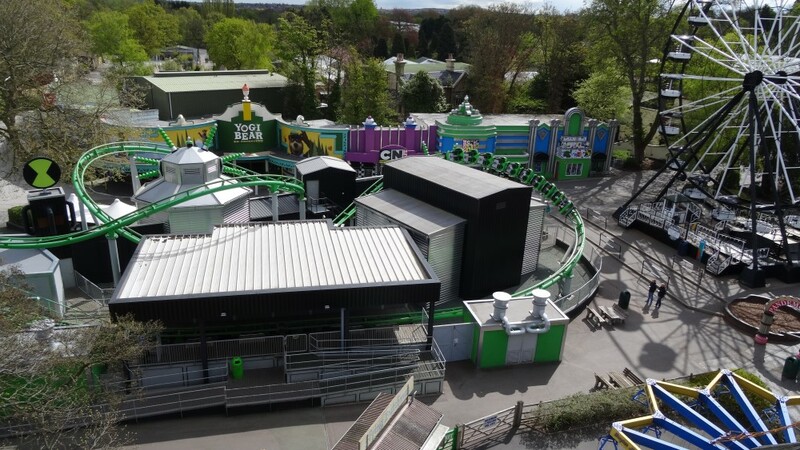 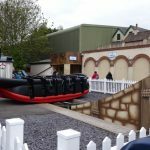 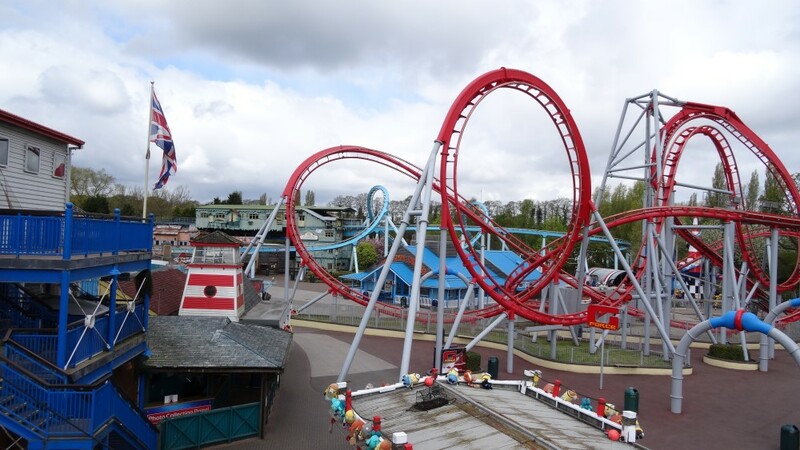 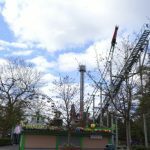 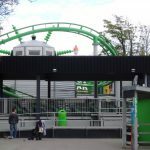 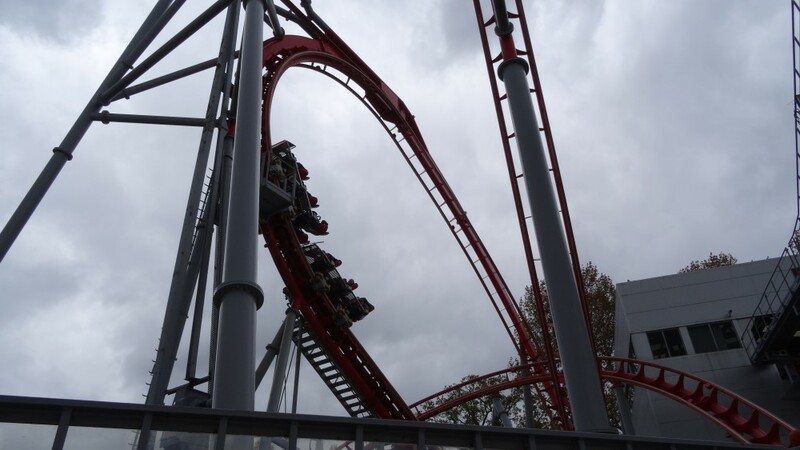 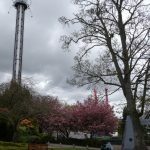 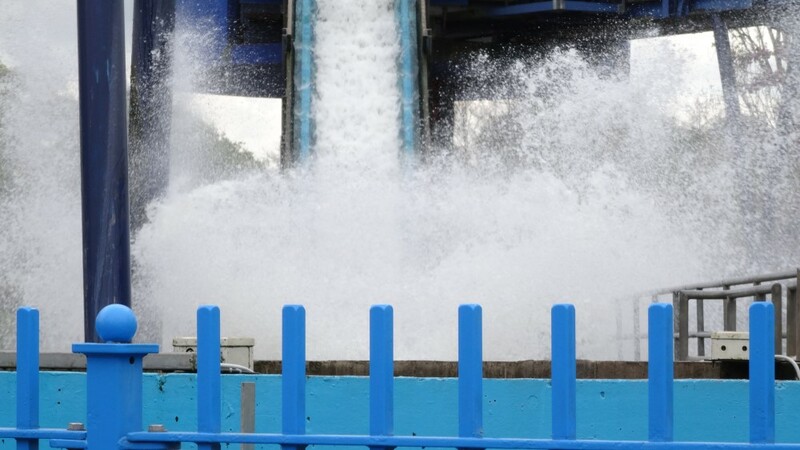 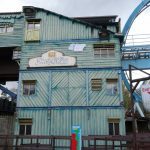 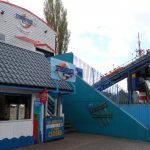 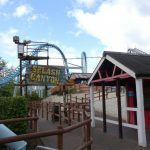 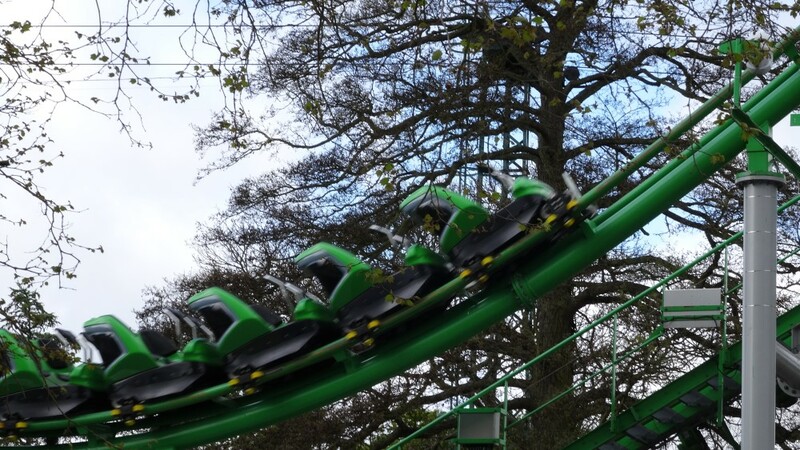 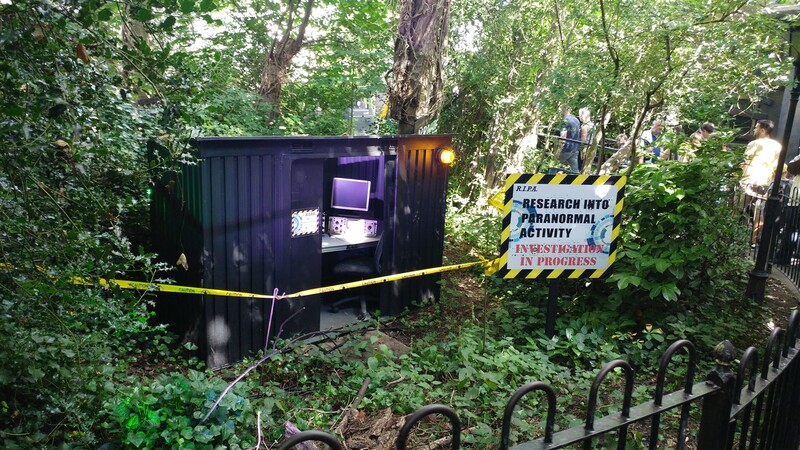 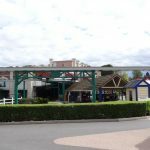 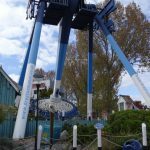 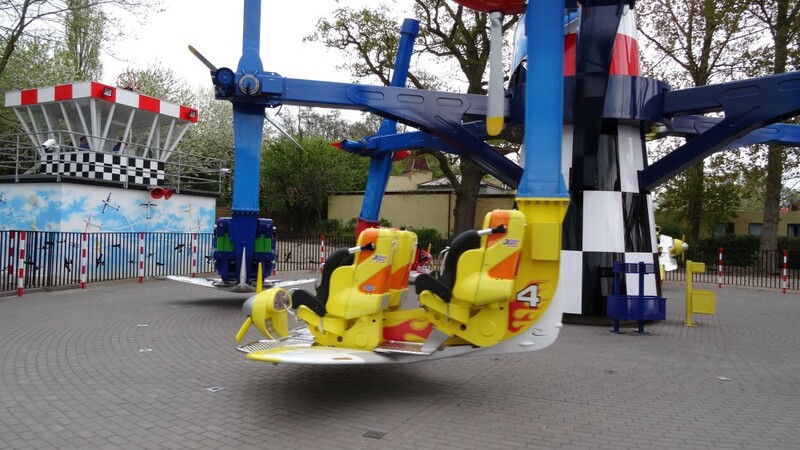 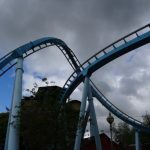 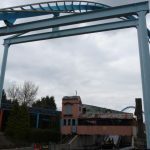 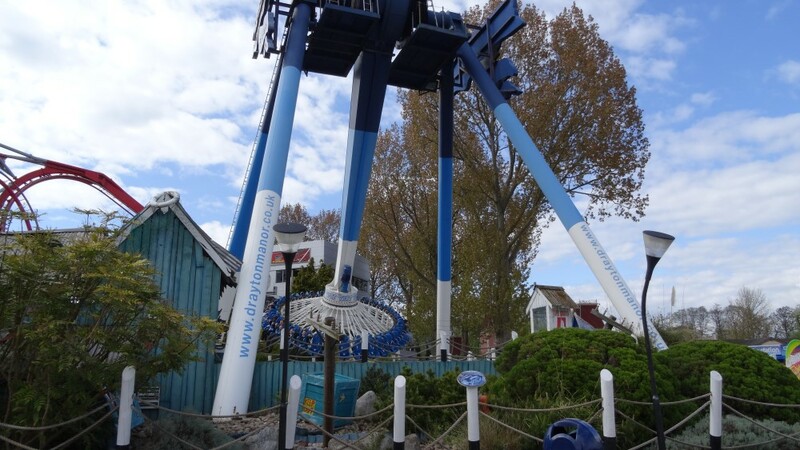 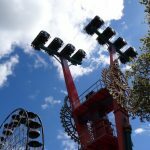 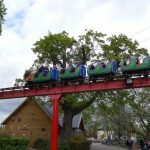 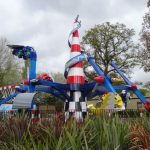 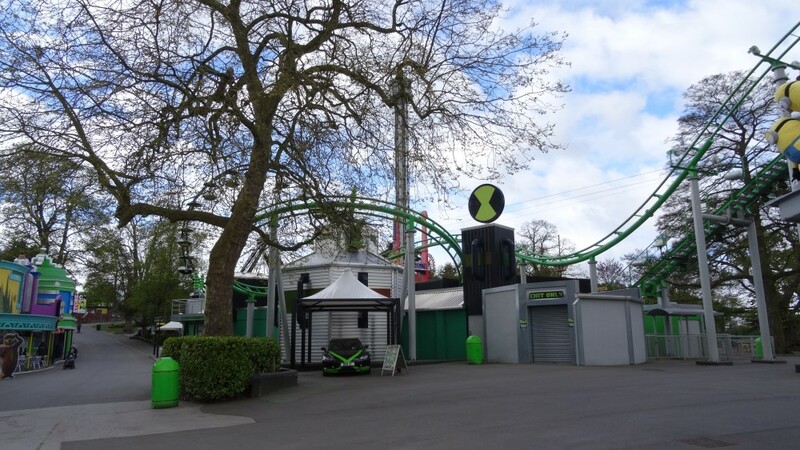 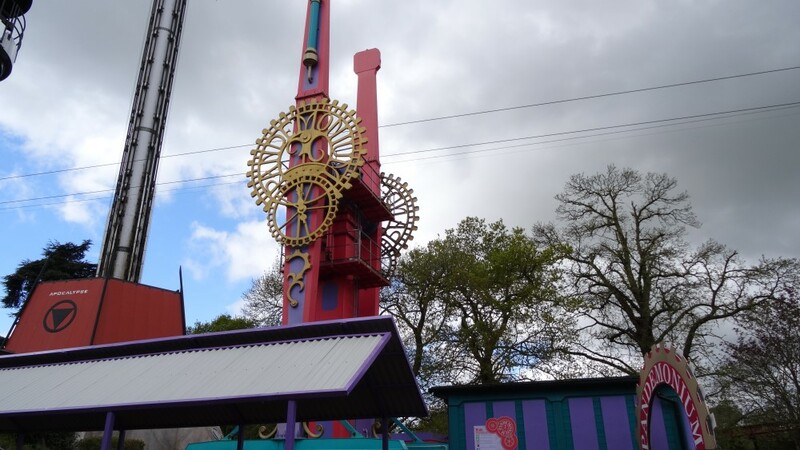 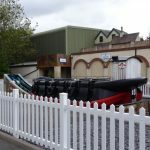 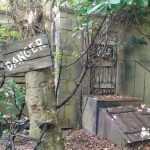 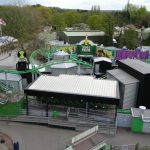 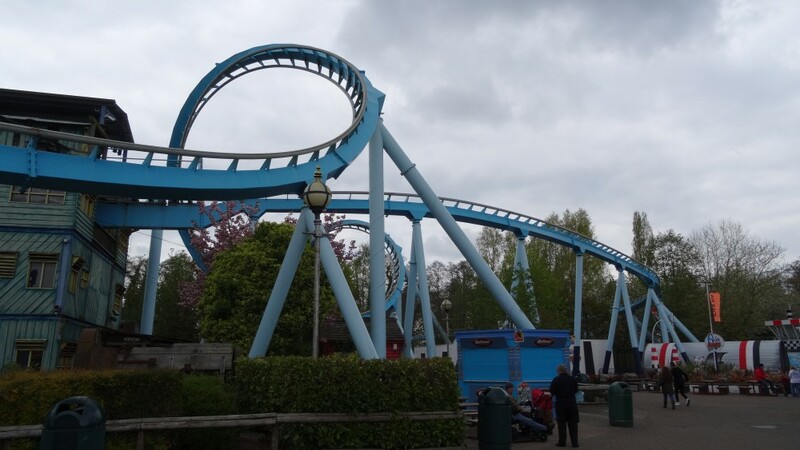 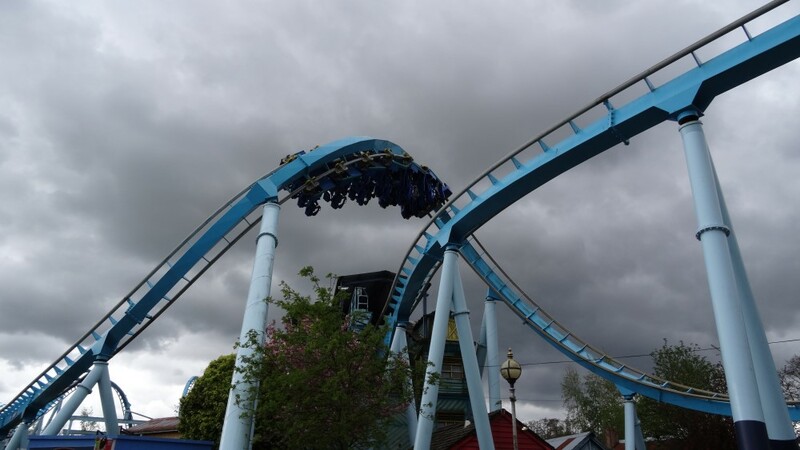 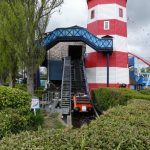 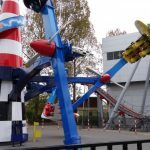 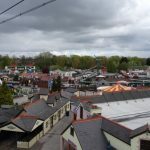 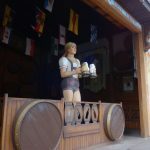 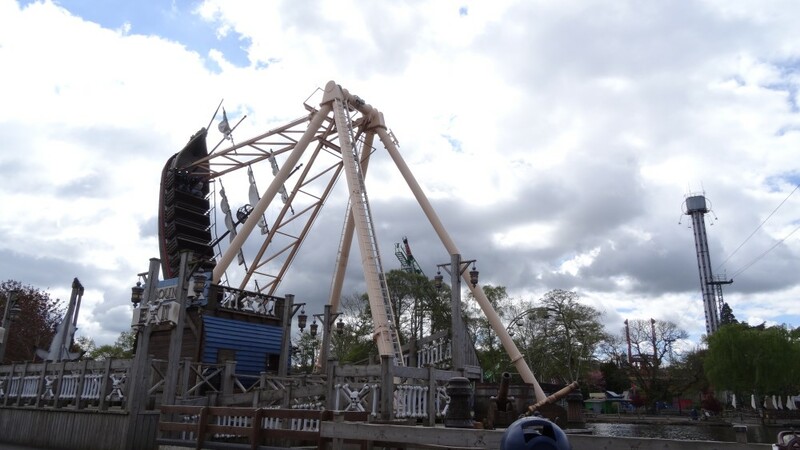 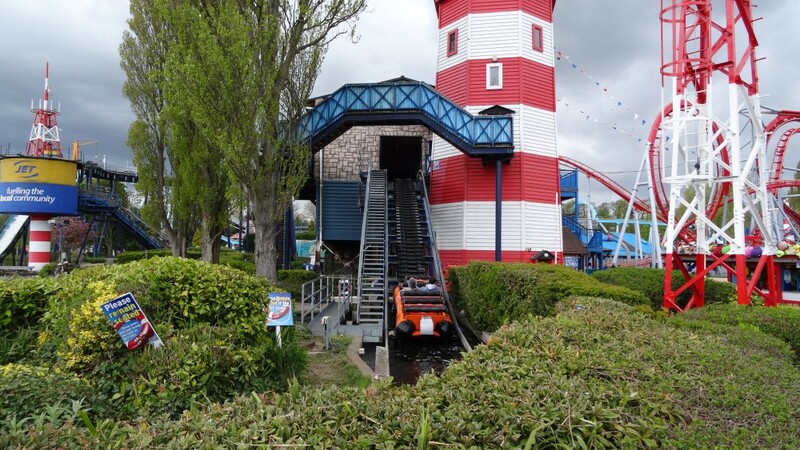 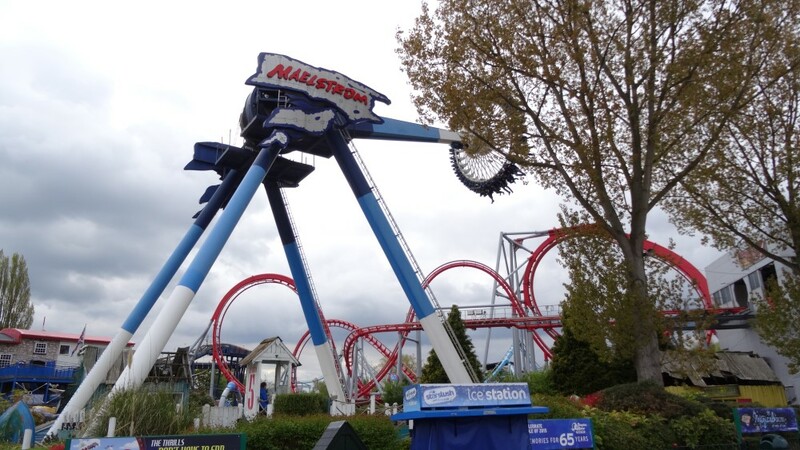 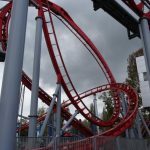 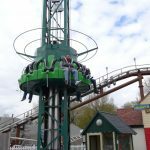 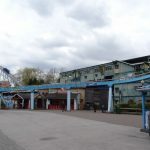 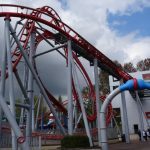 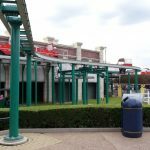 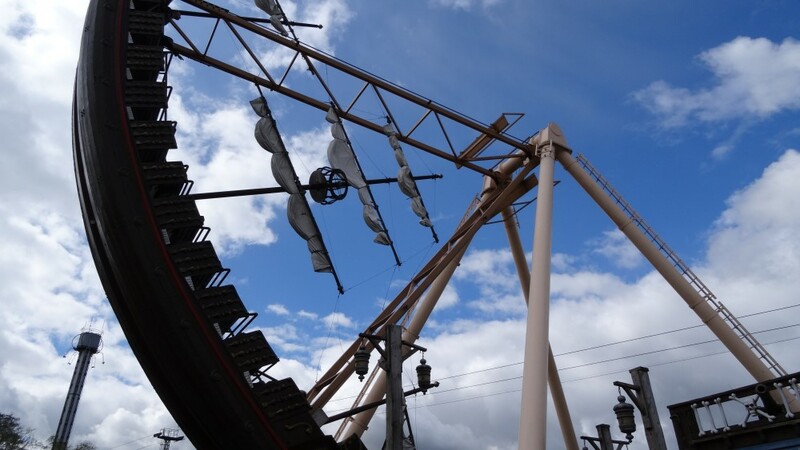 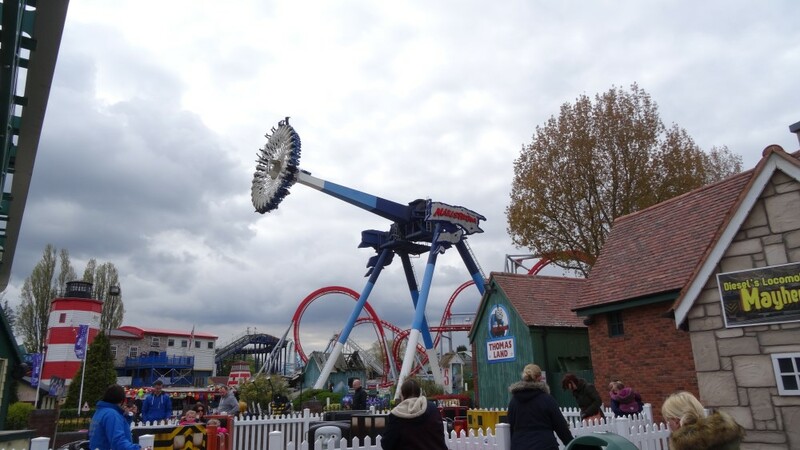 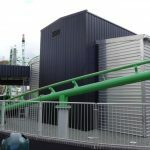 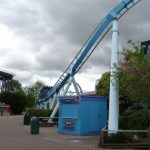 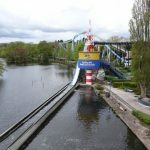 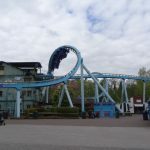 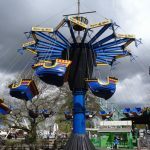 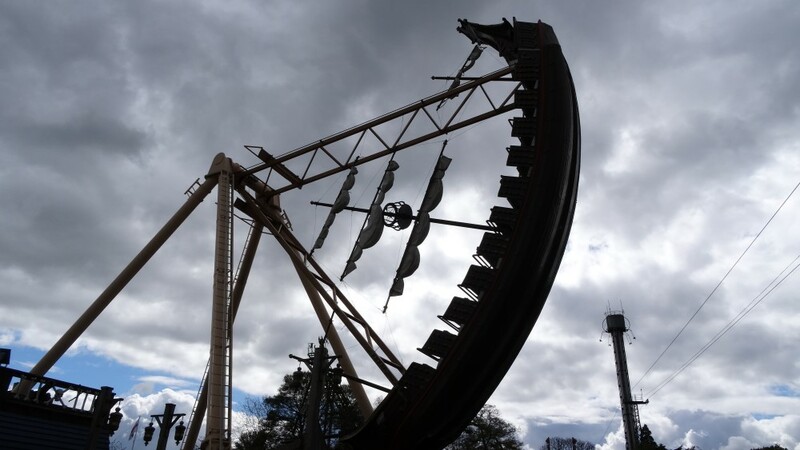 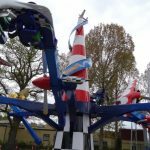 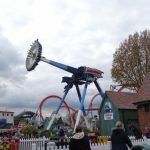 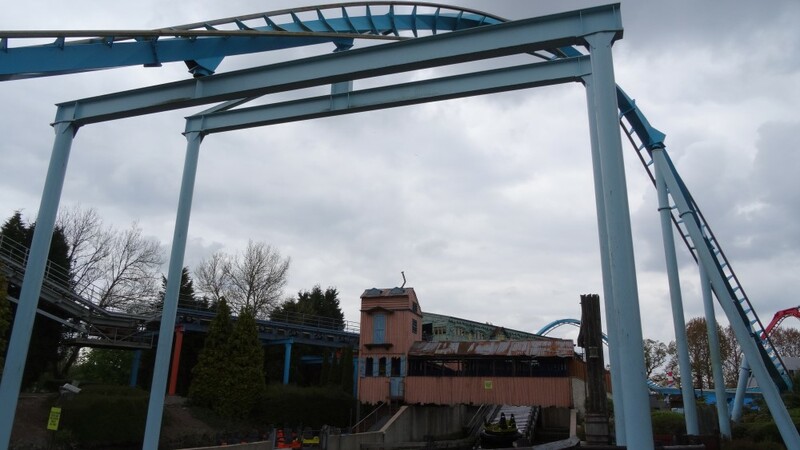 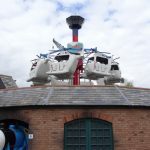 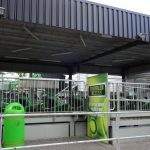 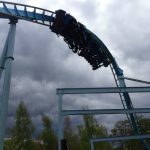 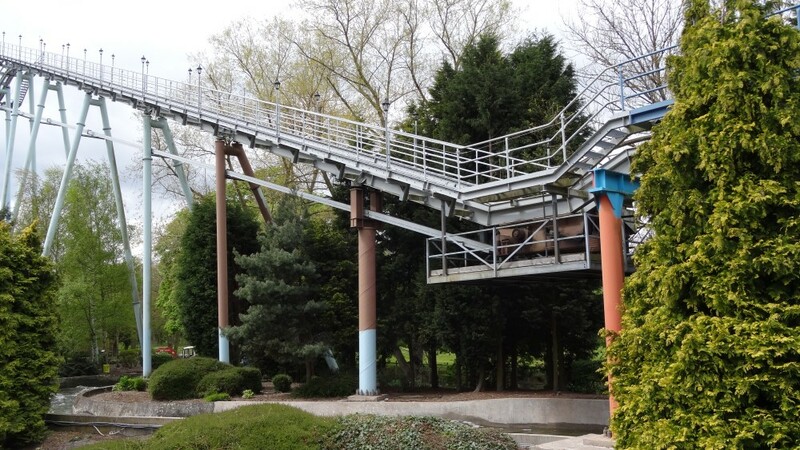 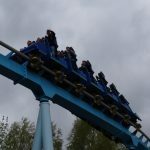 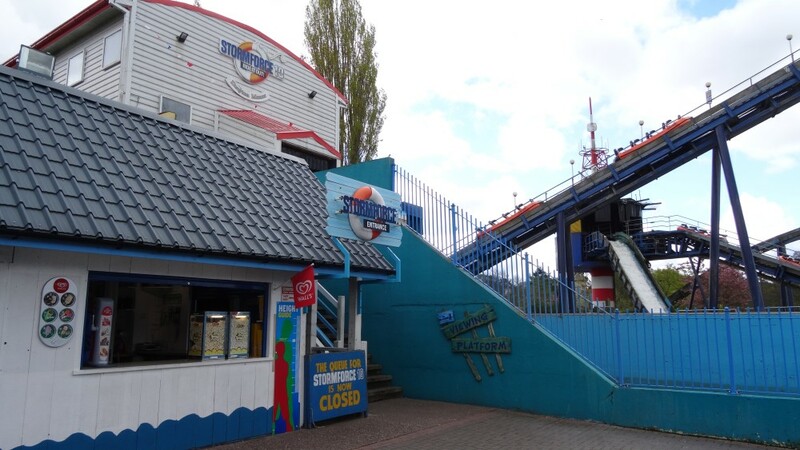 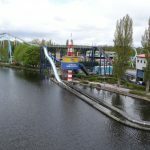 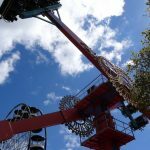 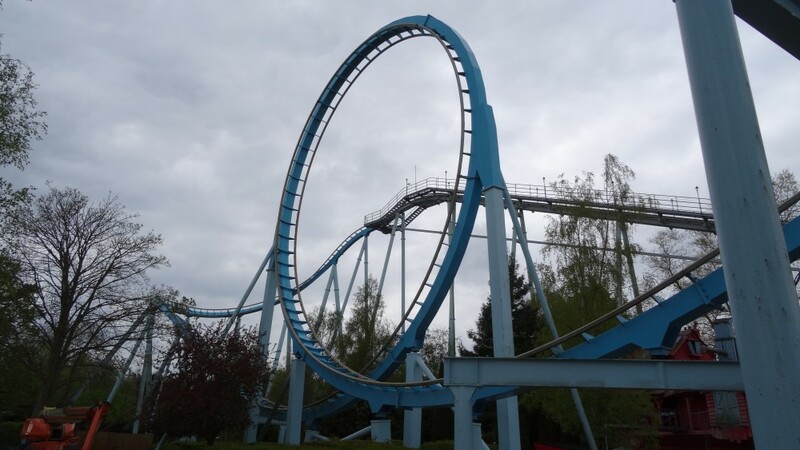 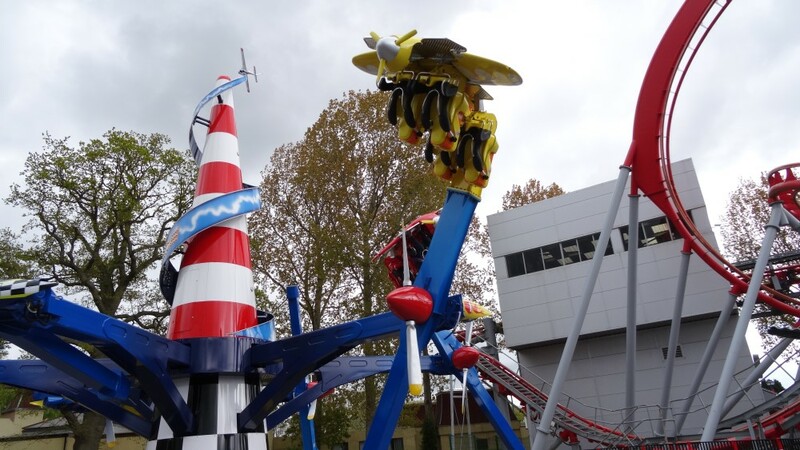 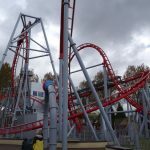 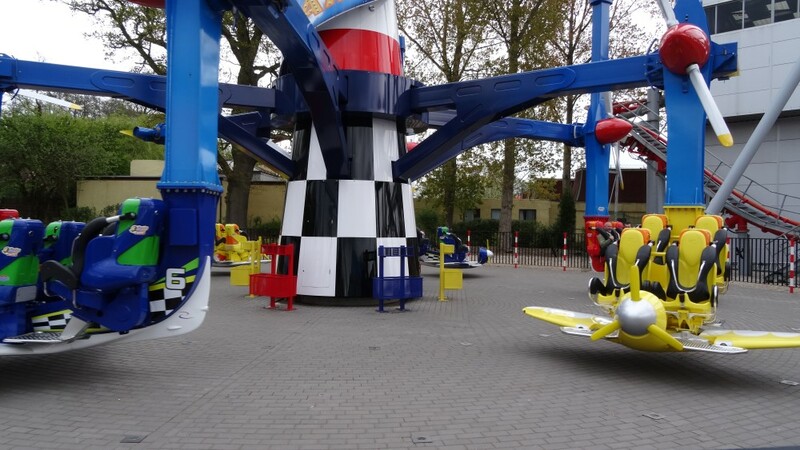 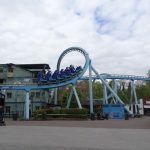 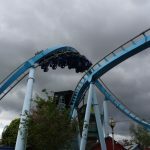 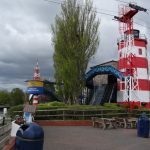 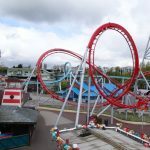 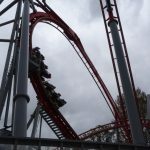 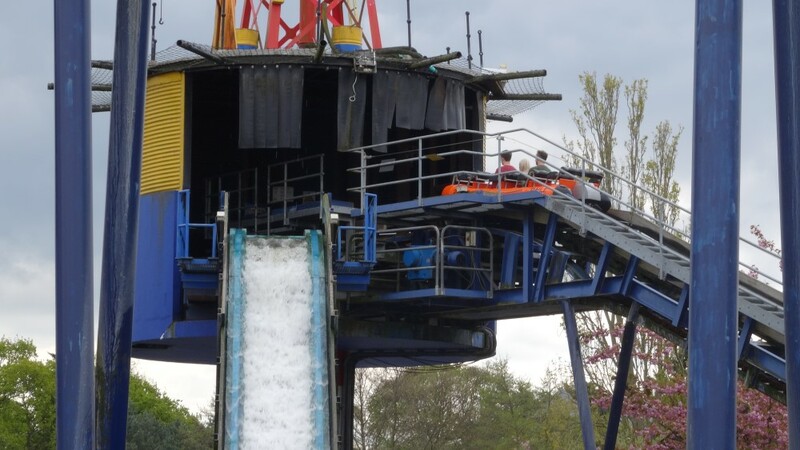 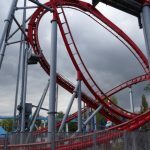 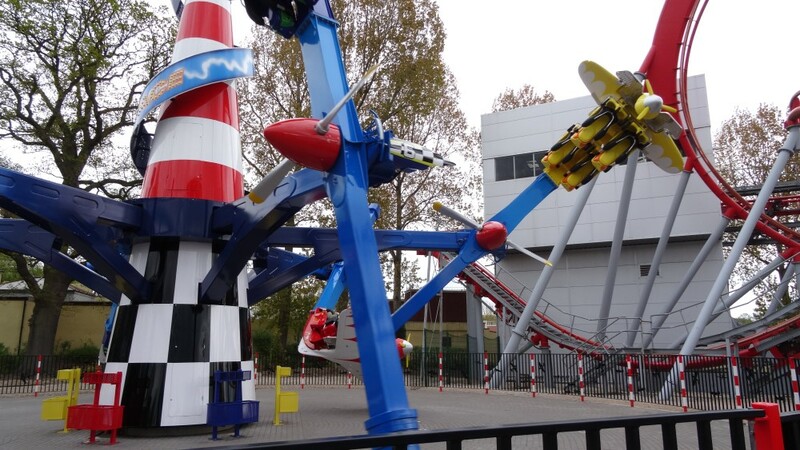 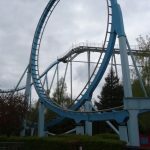 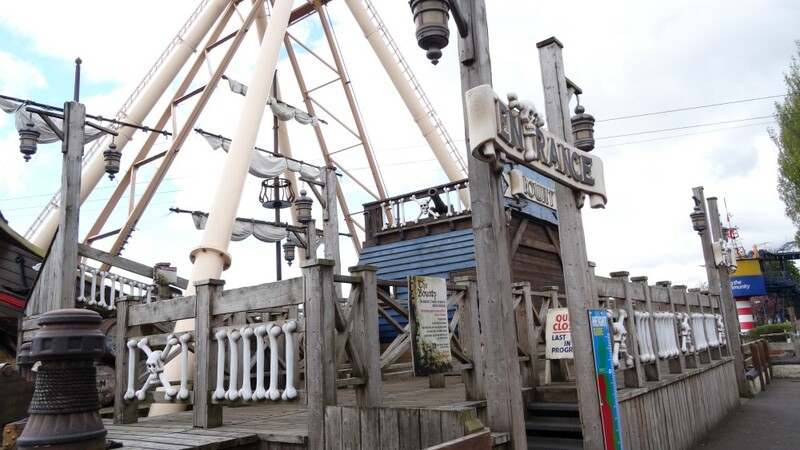 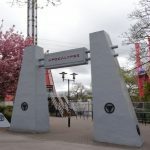 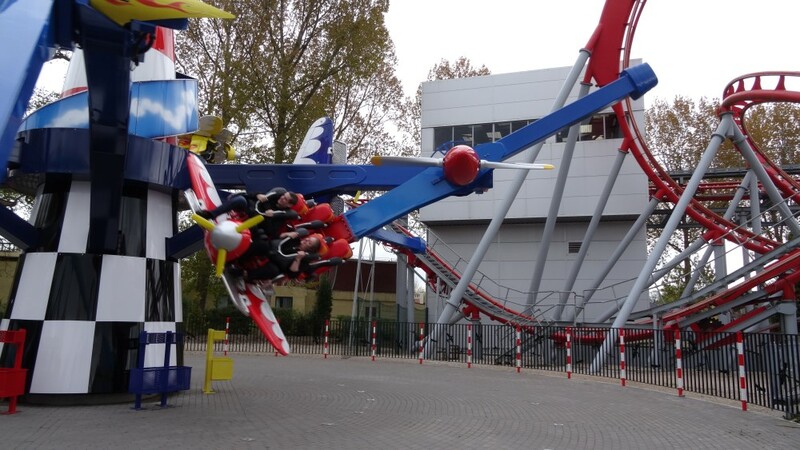 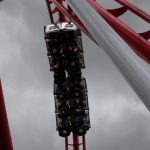 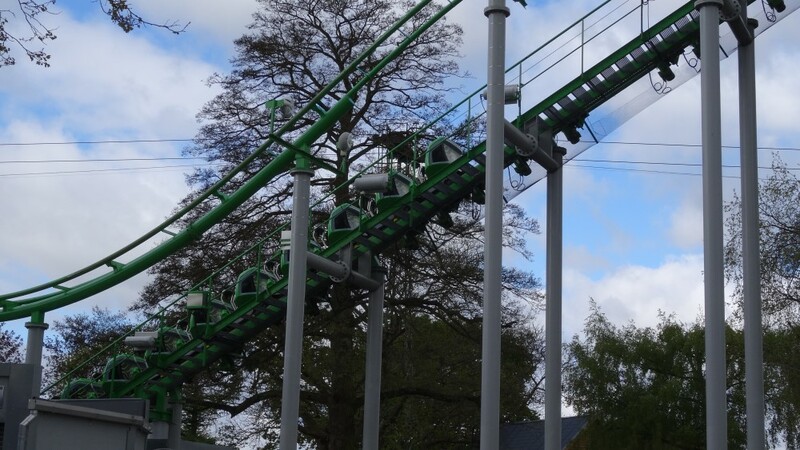 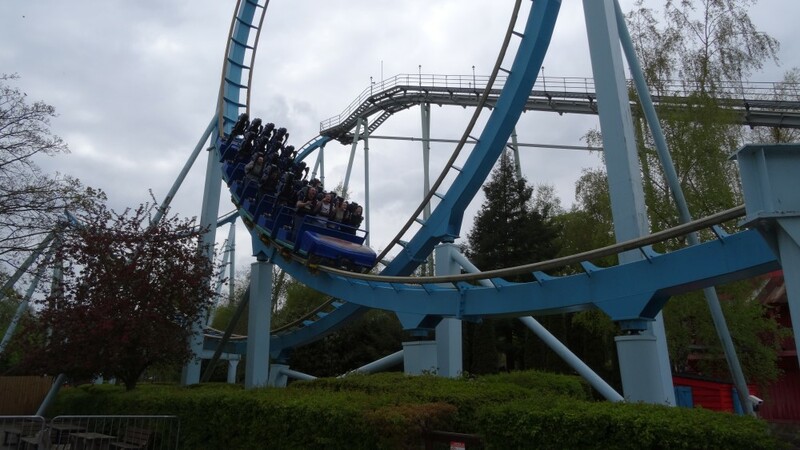 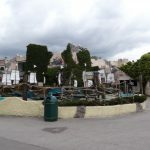 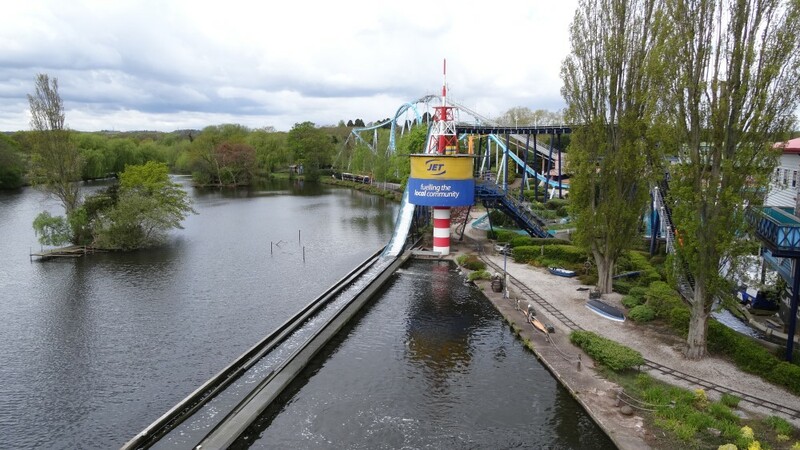 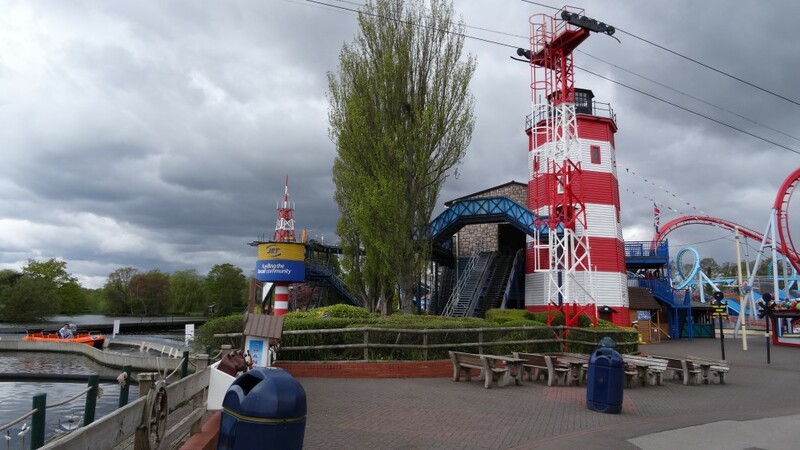 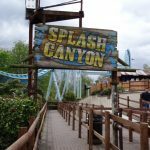 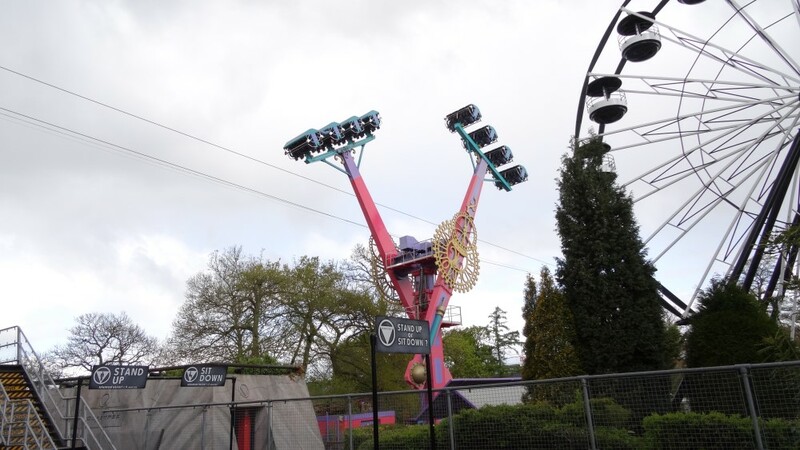 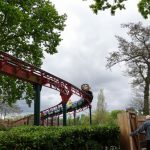 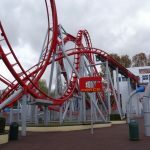 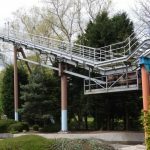 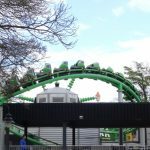 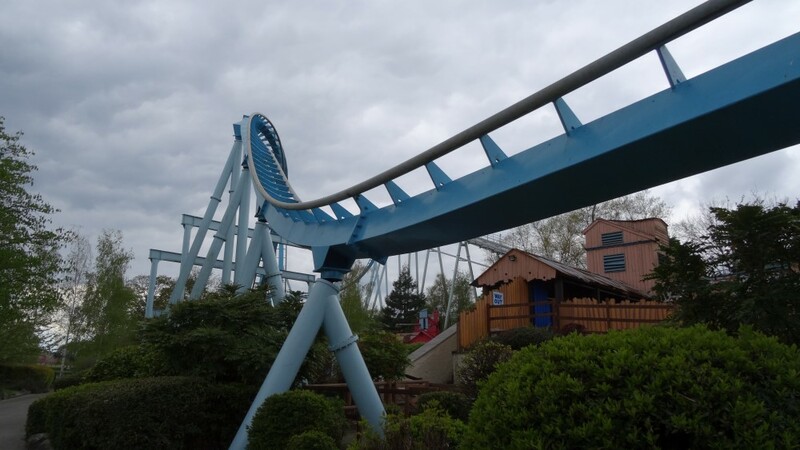 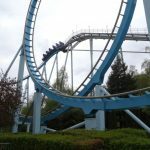 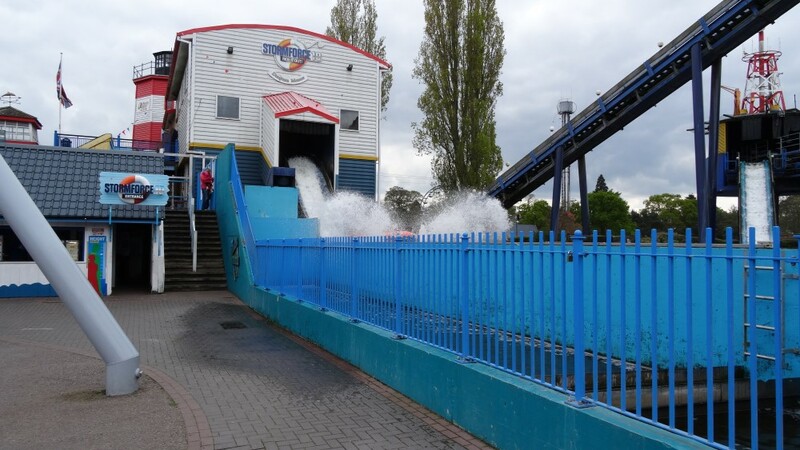 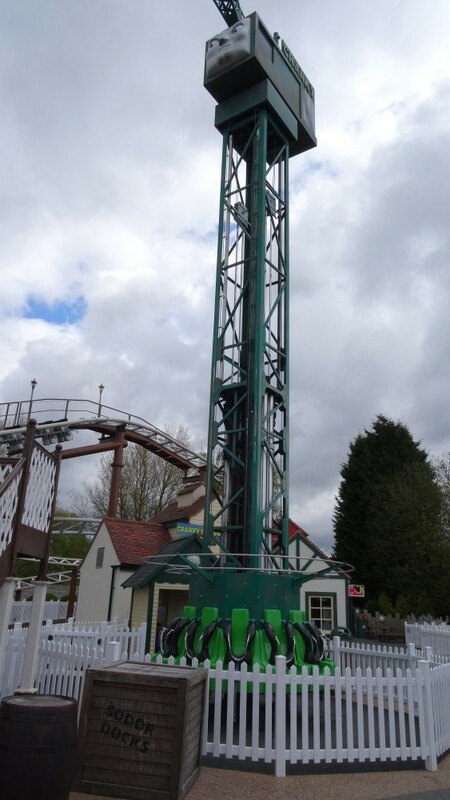 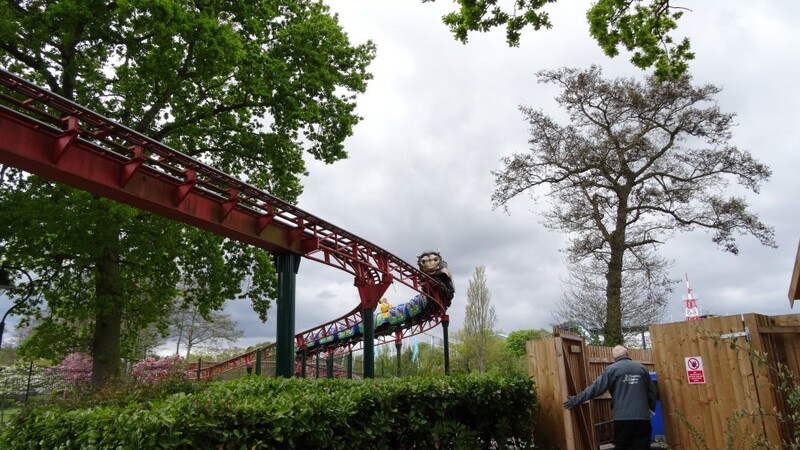 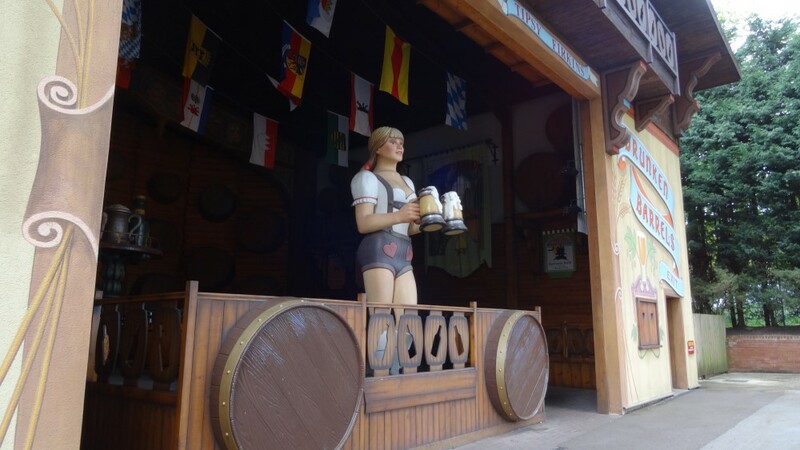 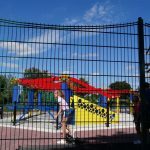 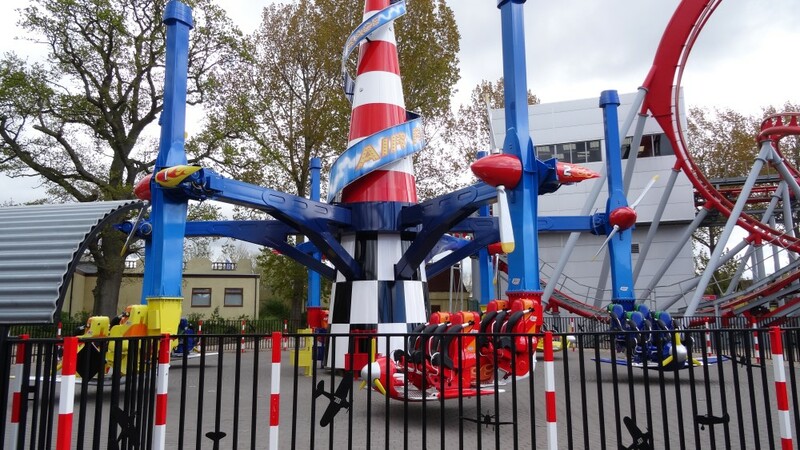 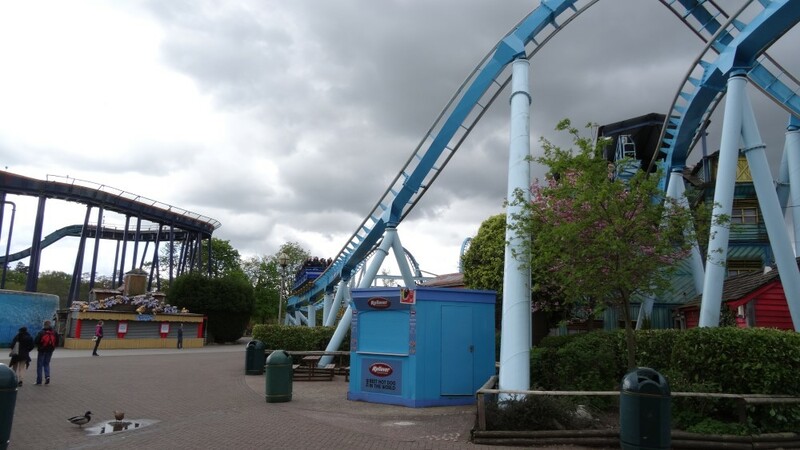 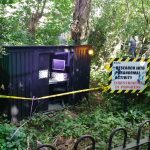 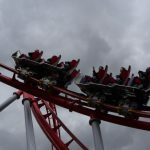 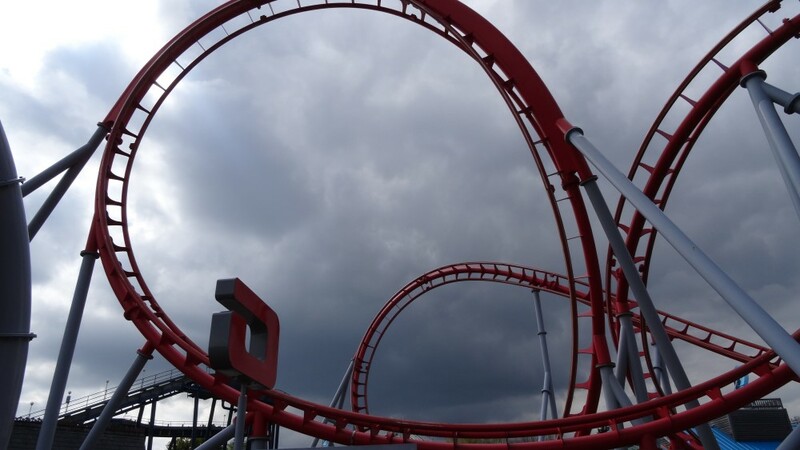 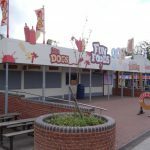 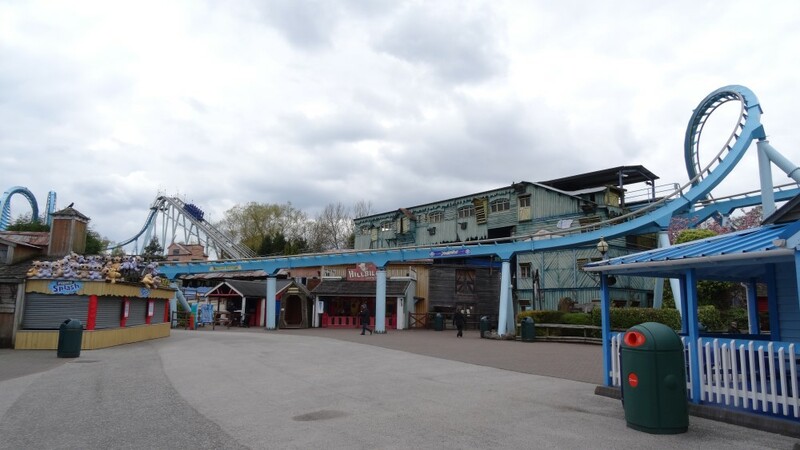 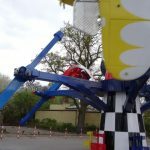 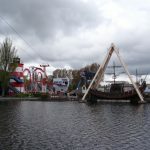 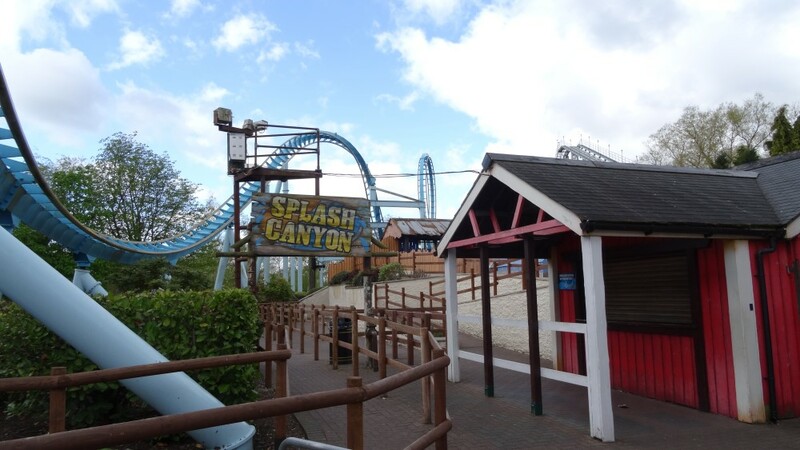 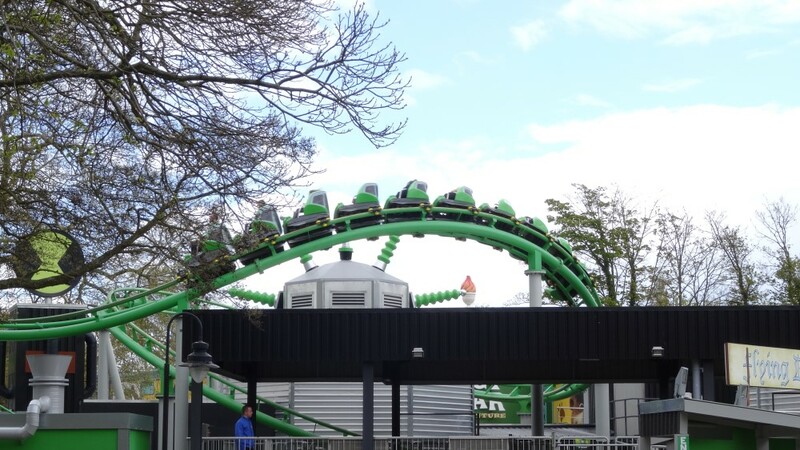 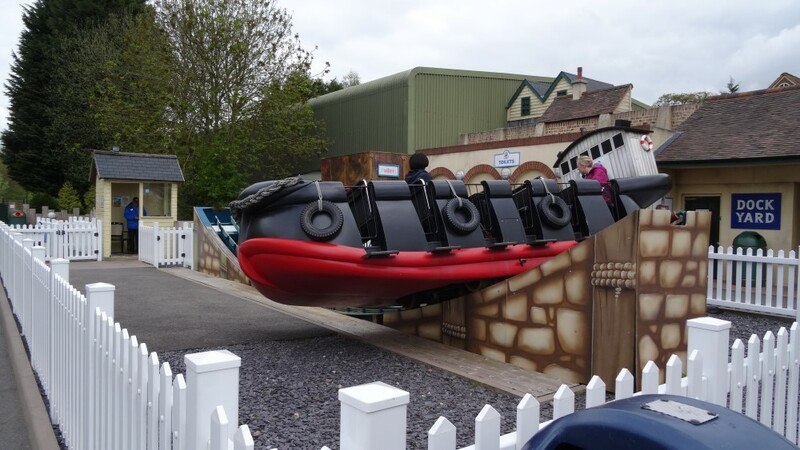 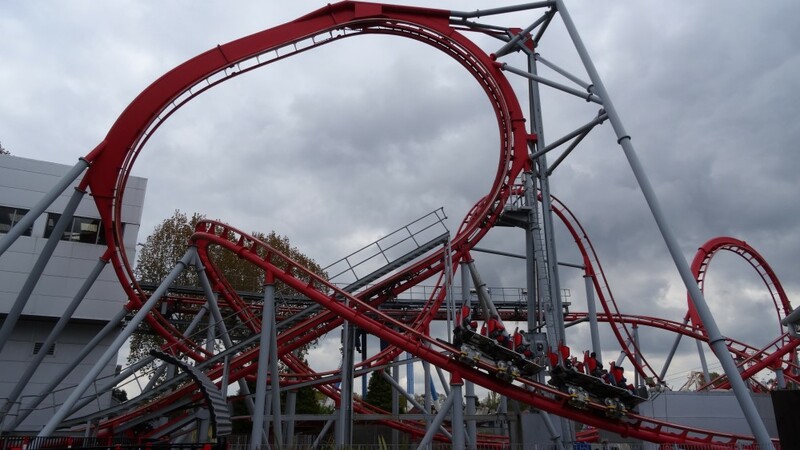 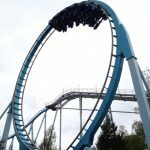 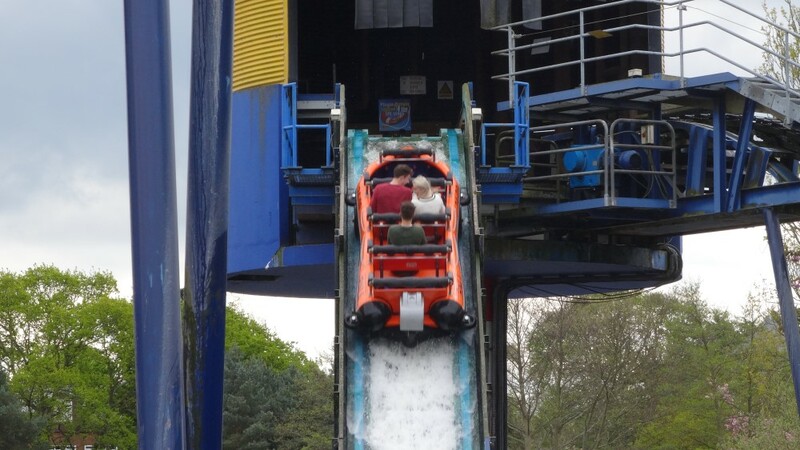 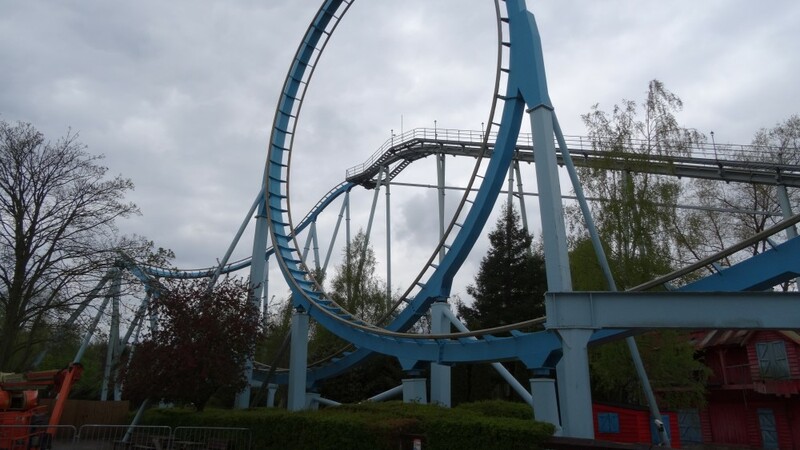 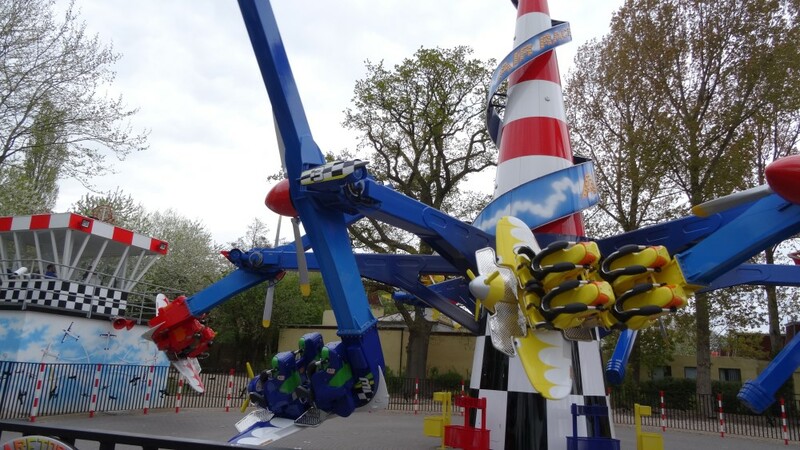 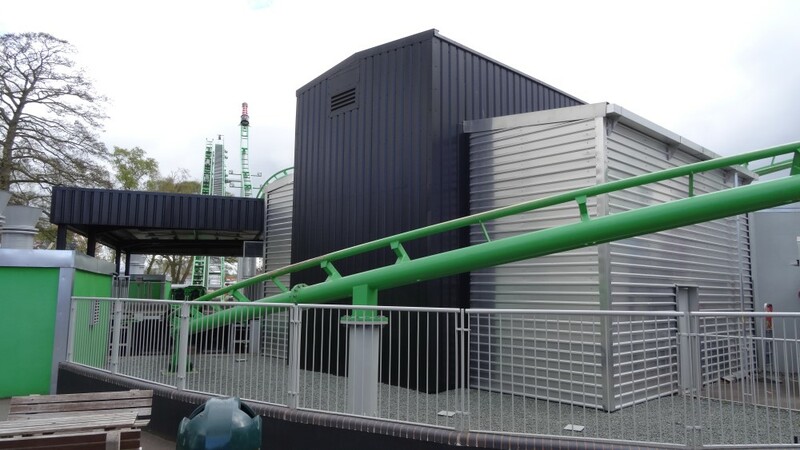 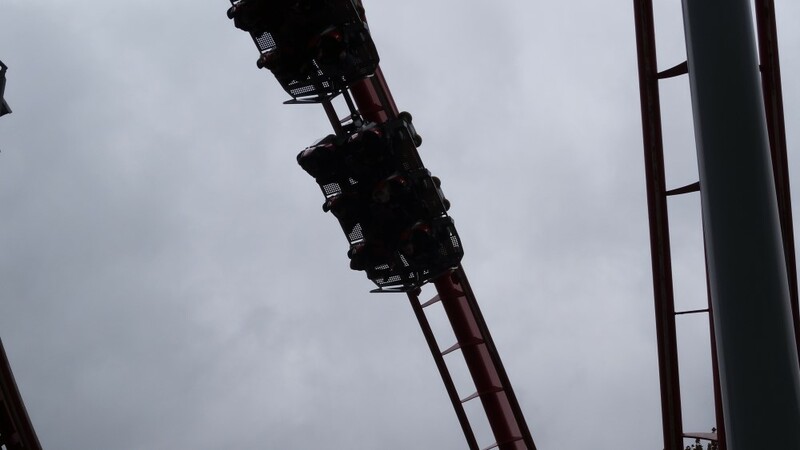 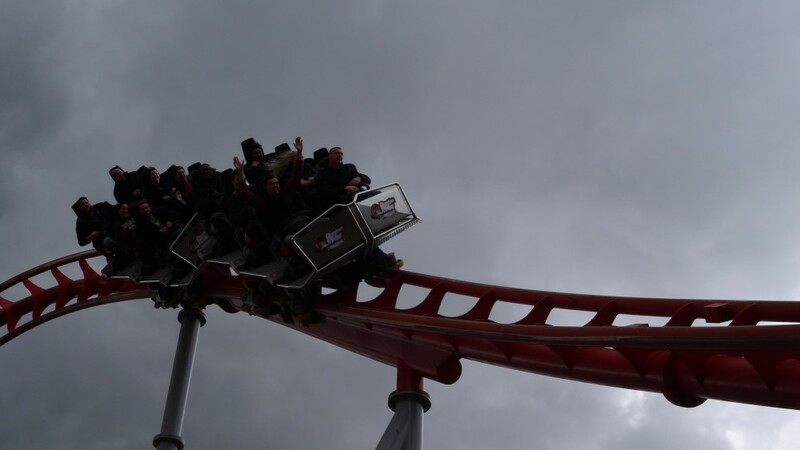 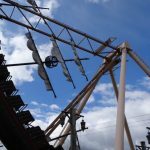 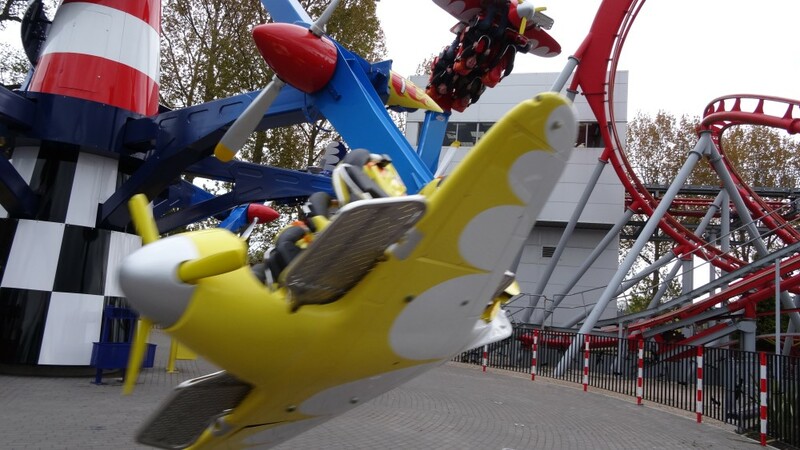 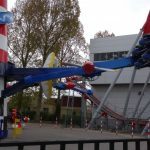 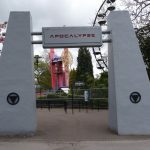 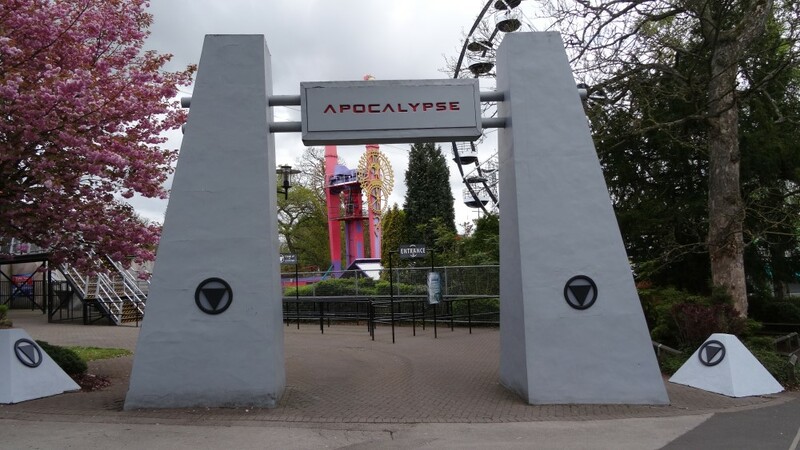 The park also has a range of rides for the thrill seeker and families to, with large coasters being Europe’s only stand up coaster, Shockwave along with a fearsome stand up drop tower Apocalypse. 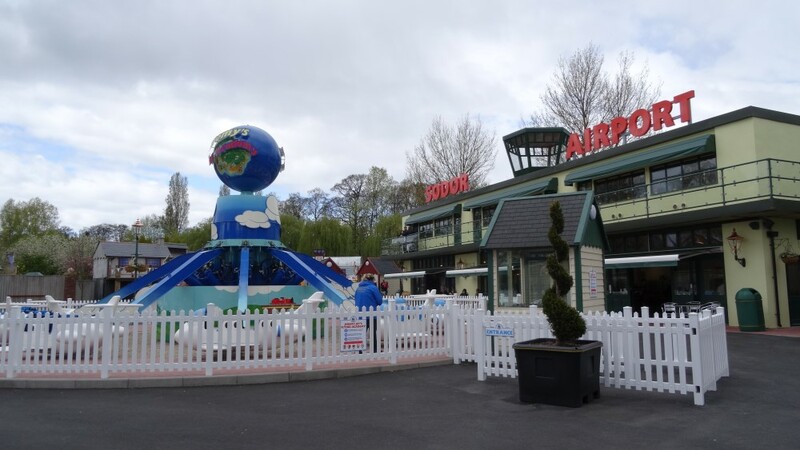 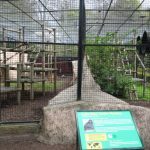 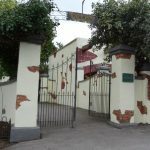 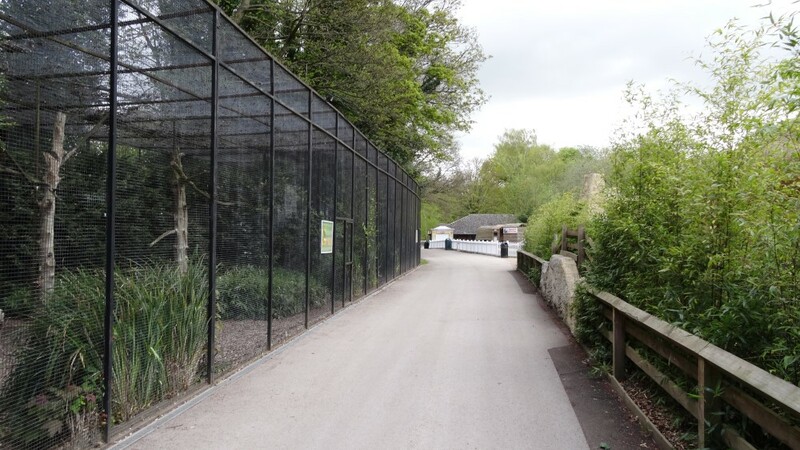 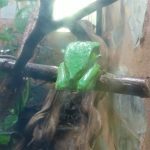 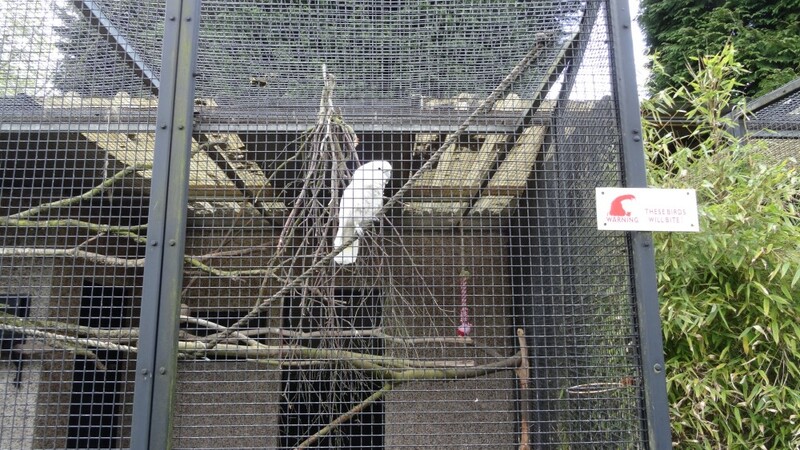 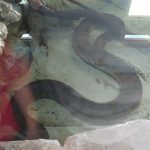 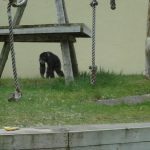 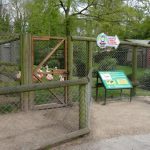 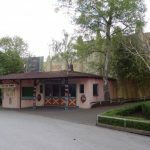 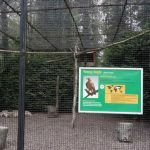 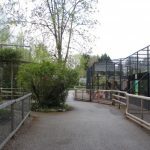 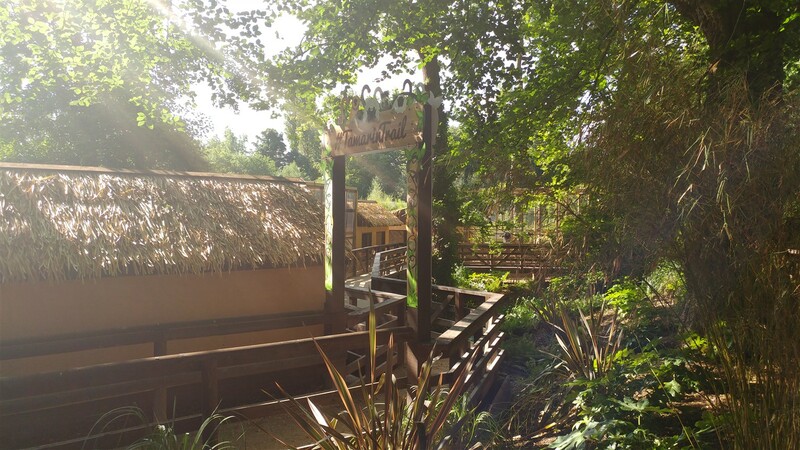 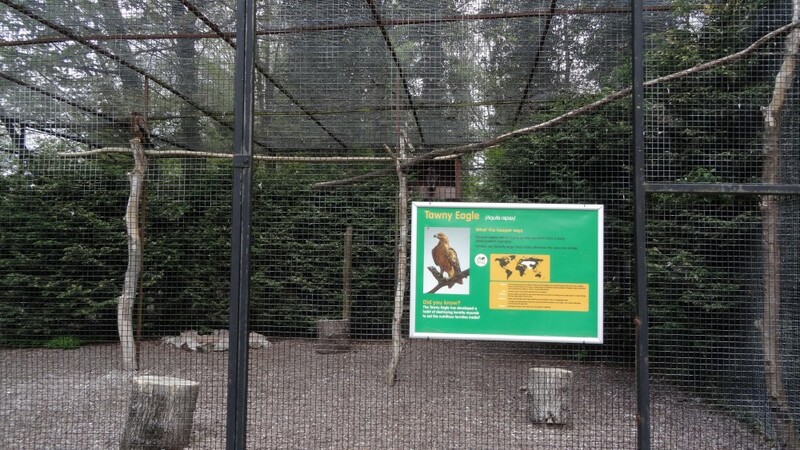 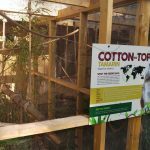 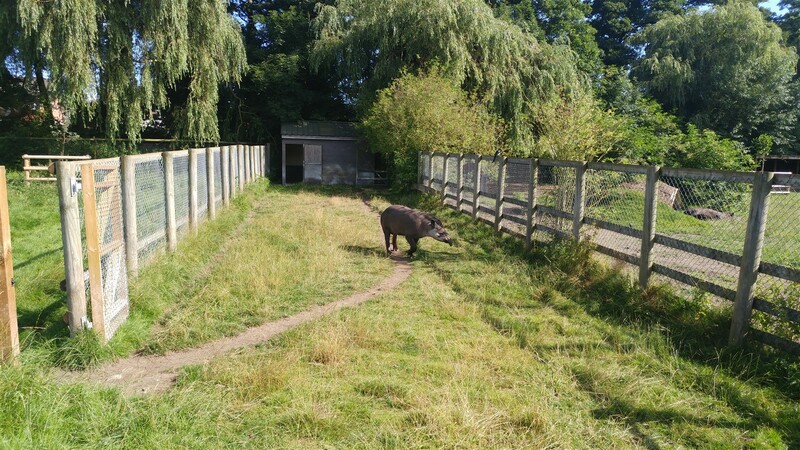 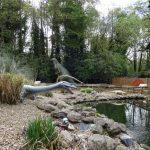 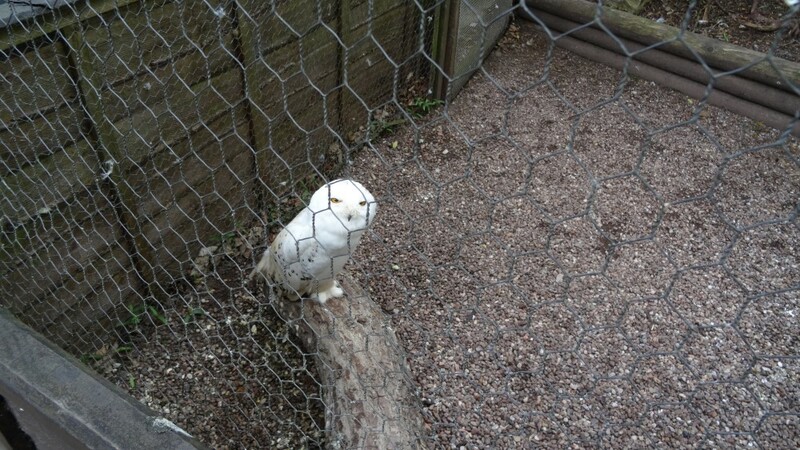 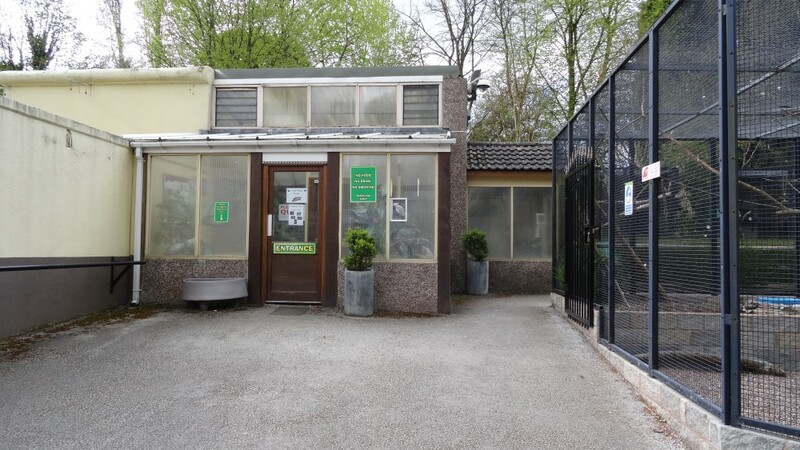 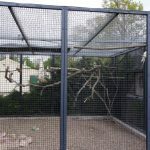 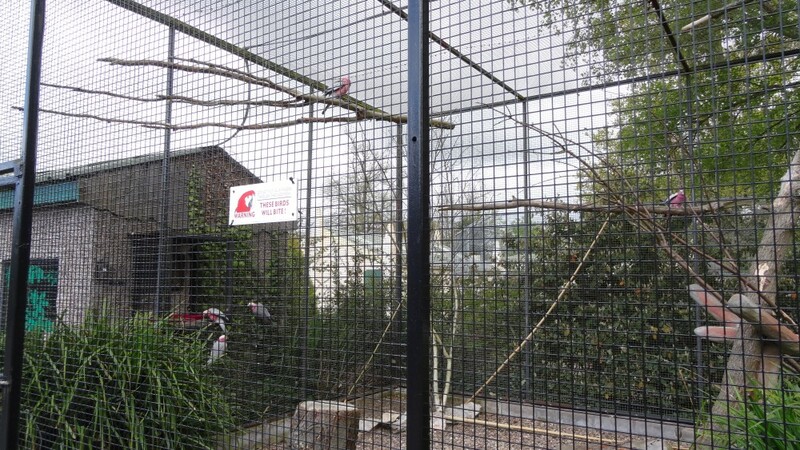 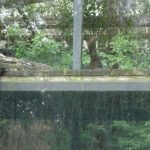 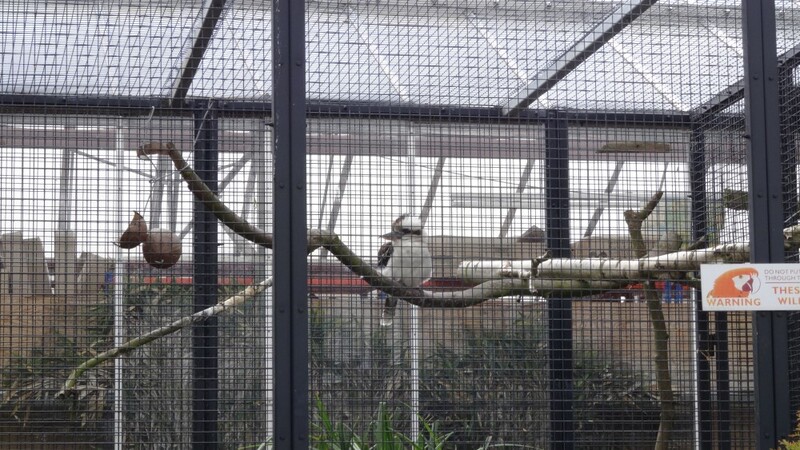 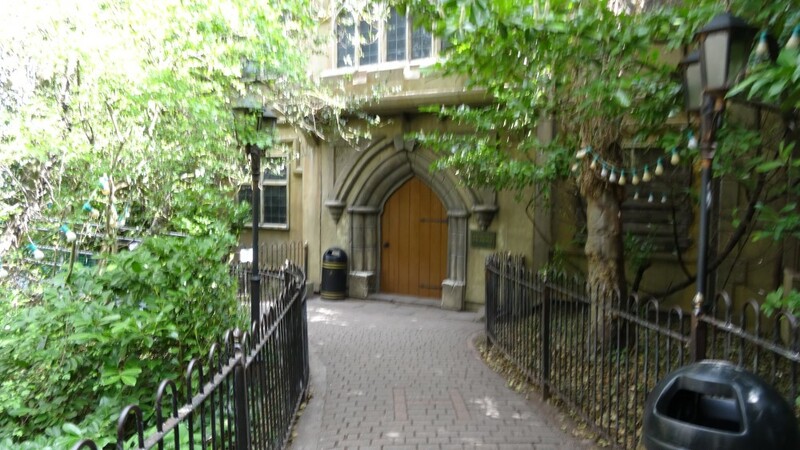 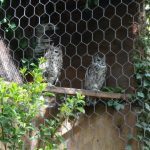 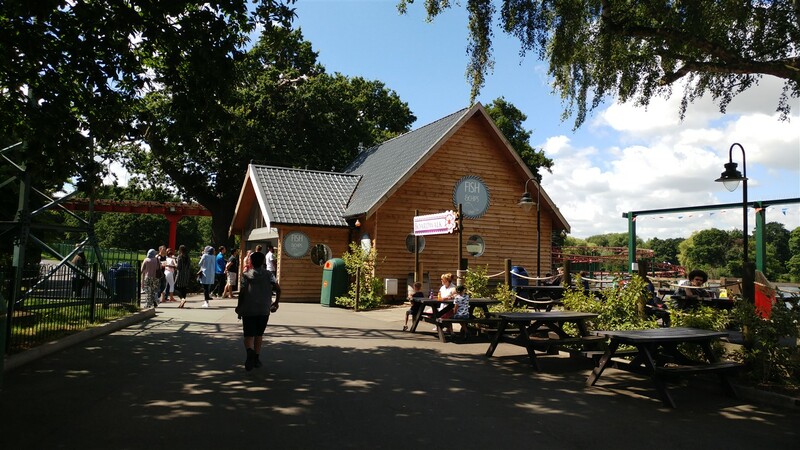 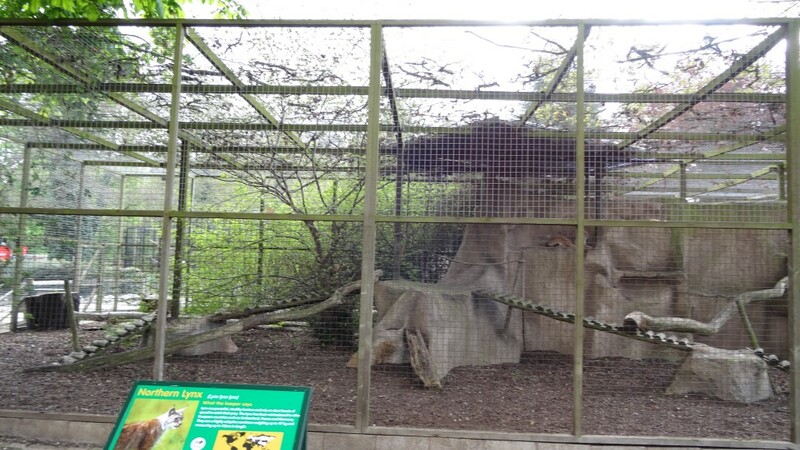 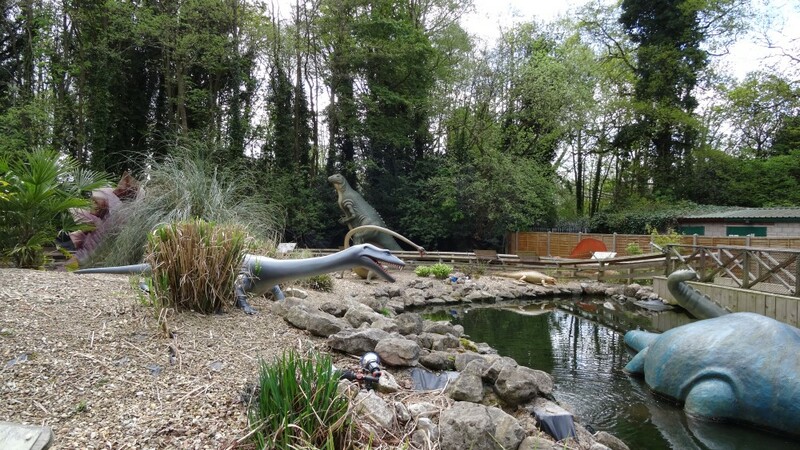 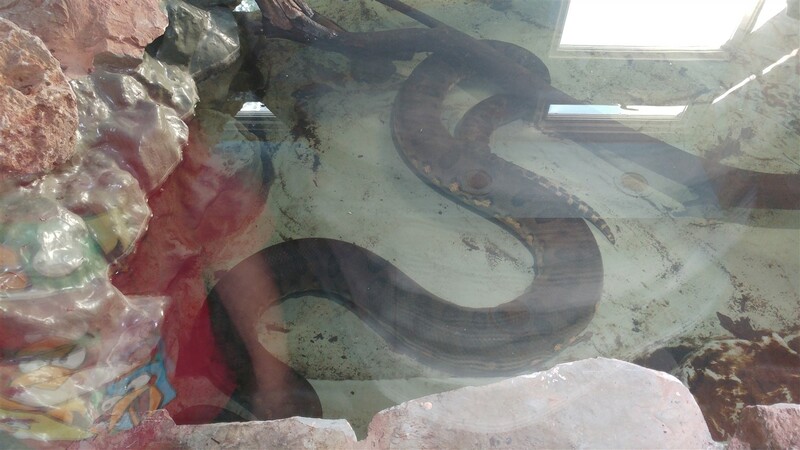 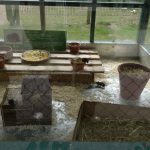 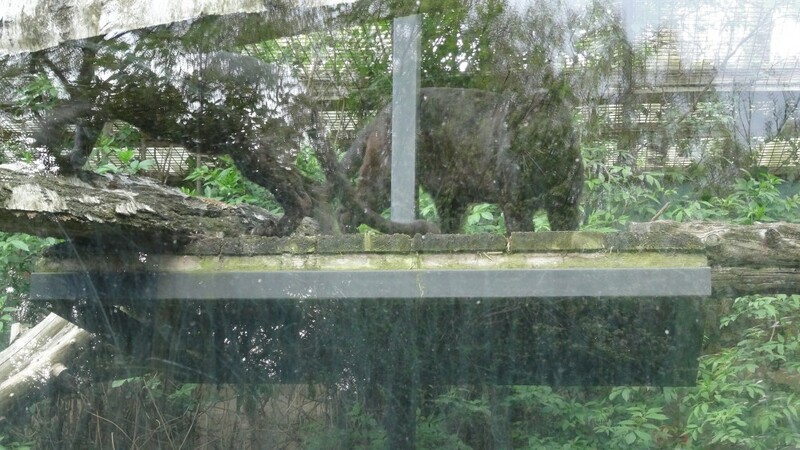 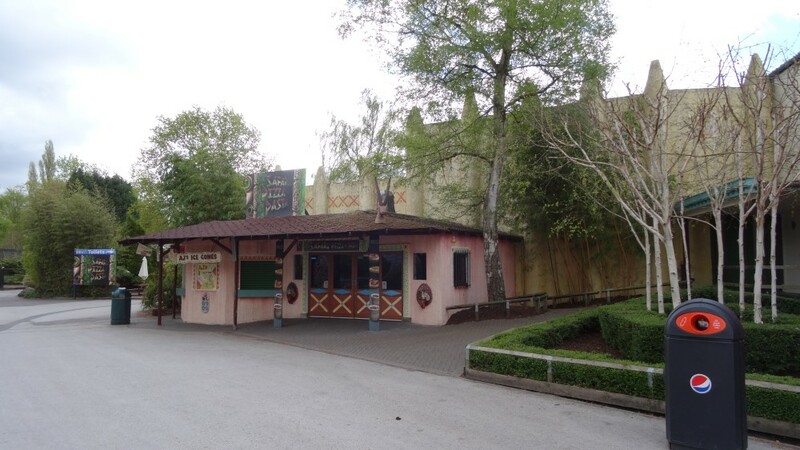 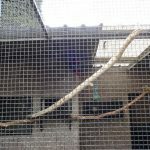 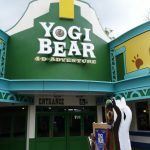 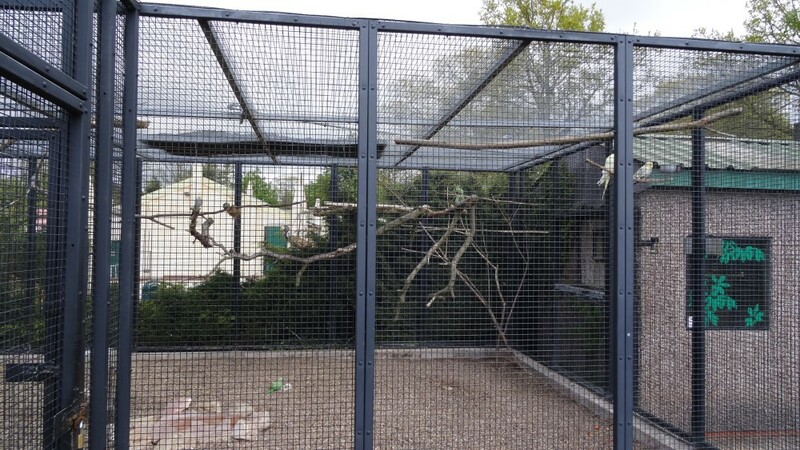 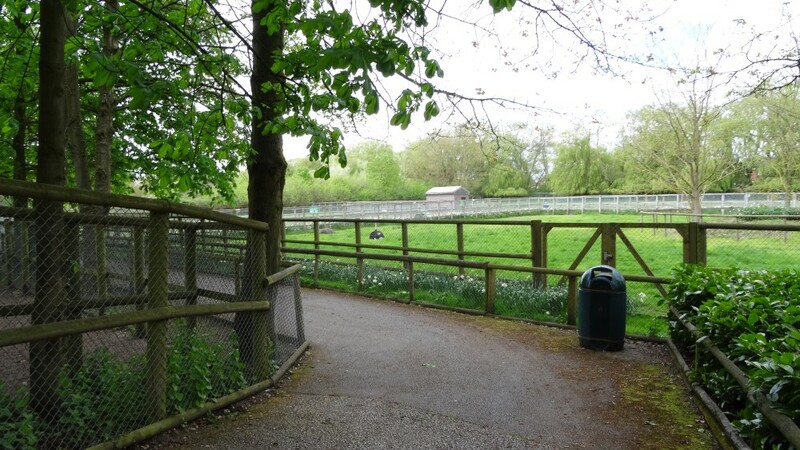 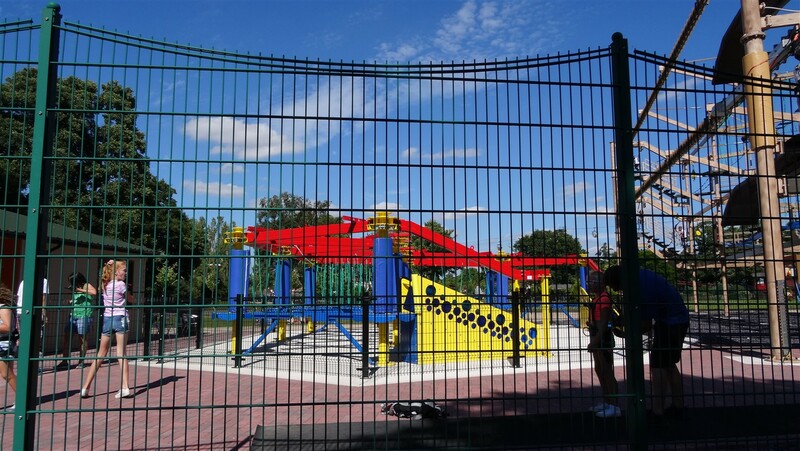 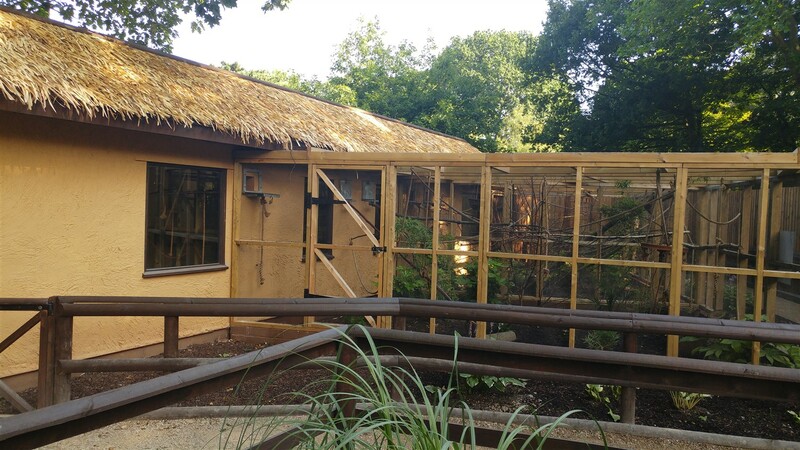 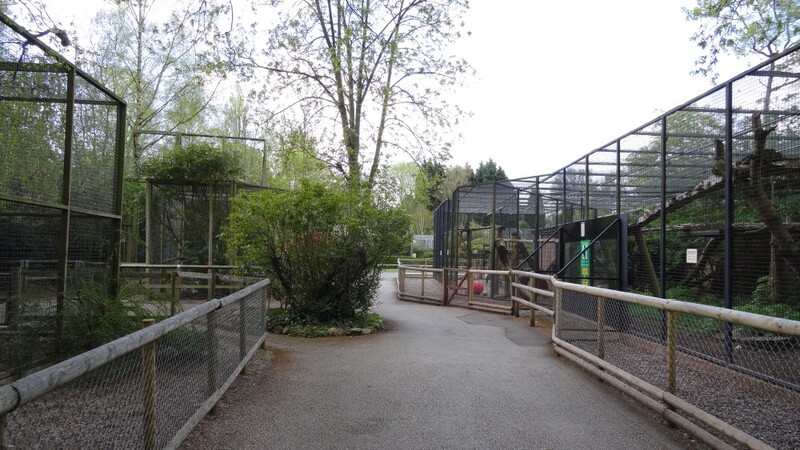 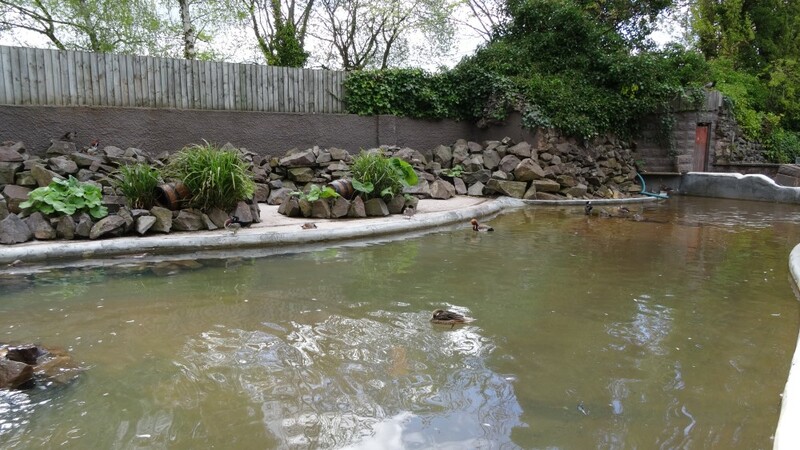 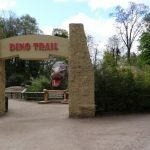 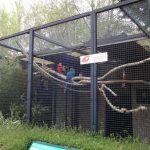 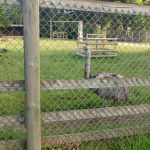 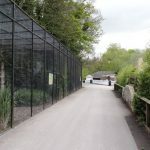 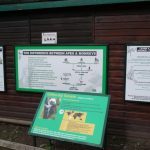 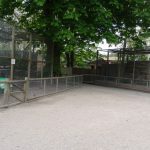 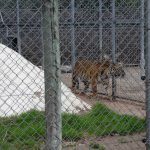 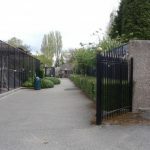 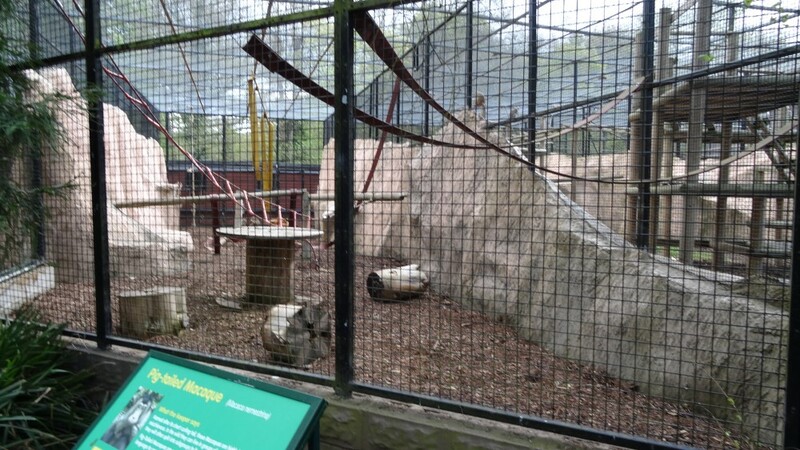 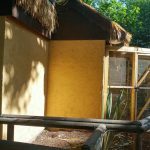 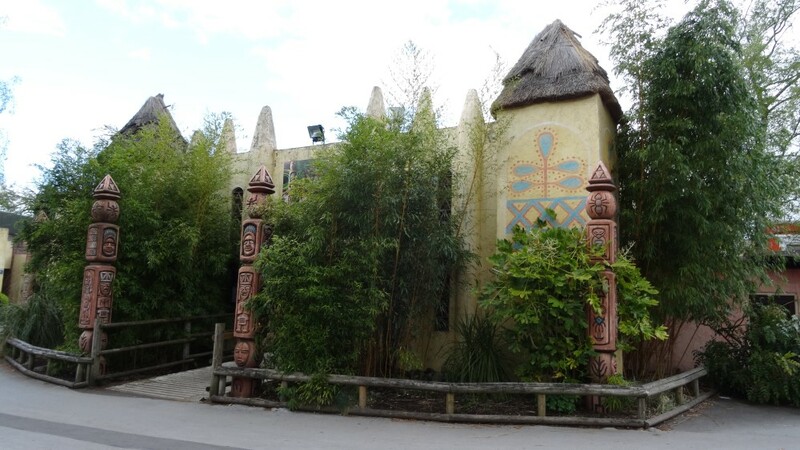 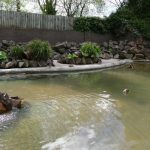 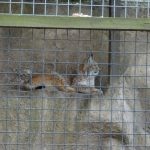 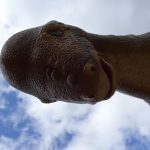 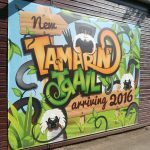 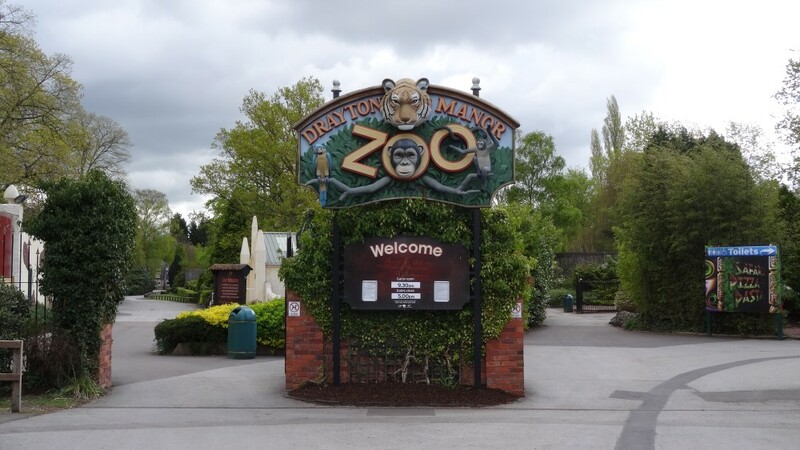 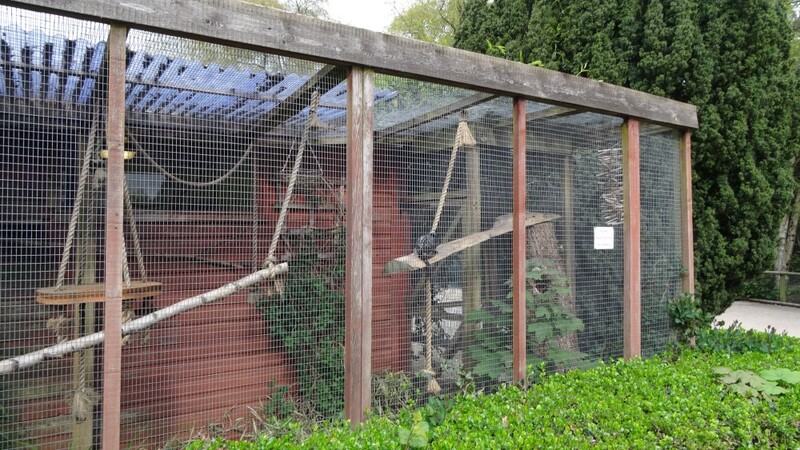 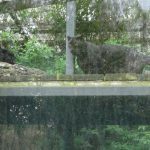 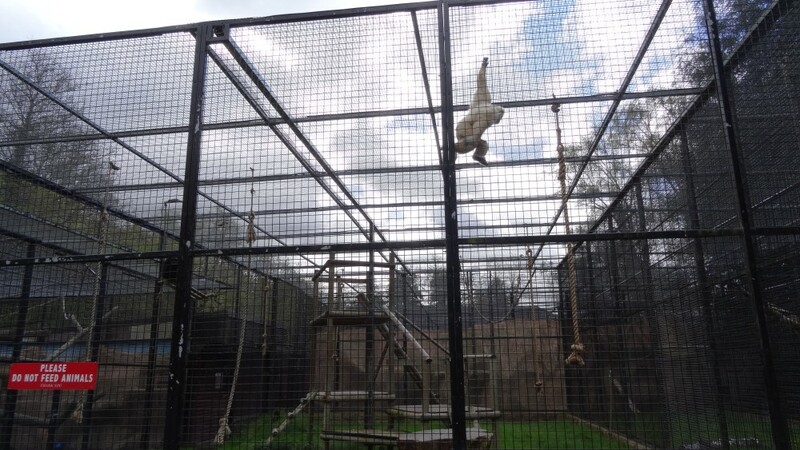 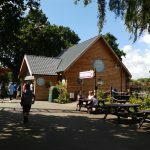 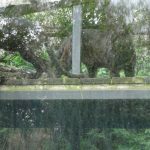 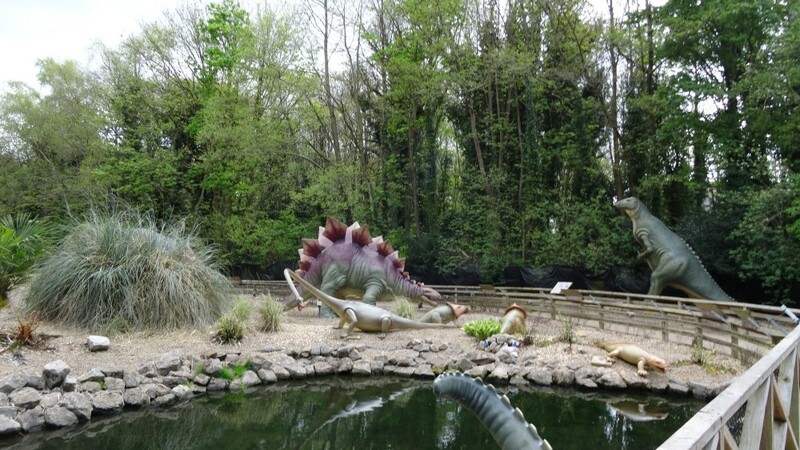 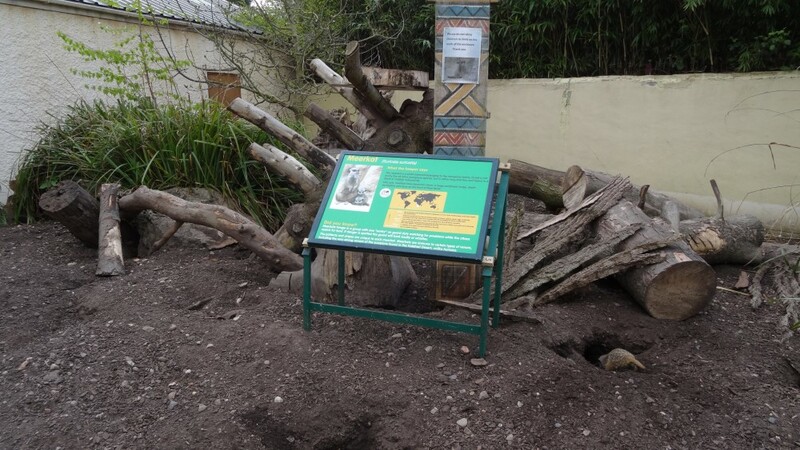 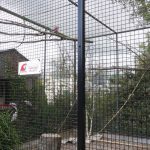 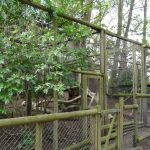 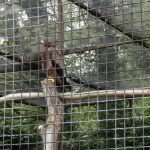 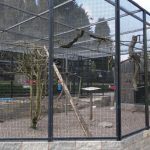 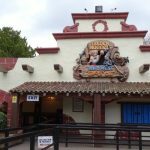 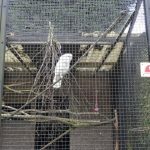 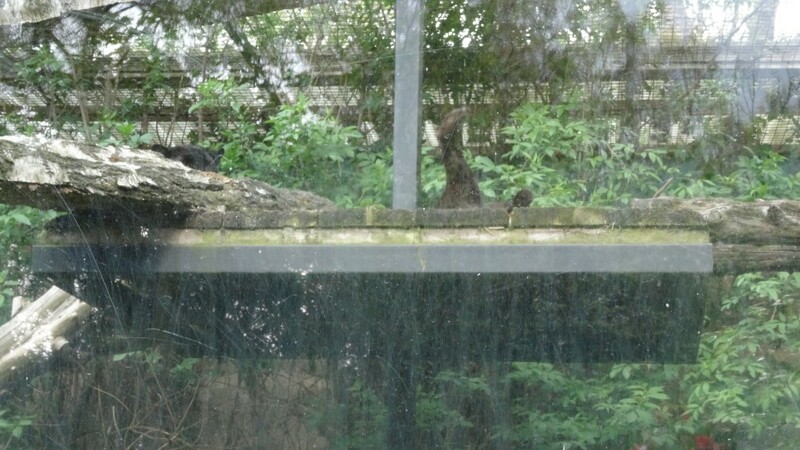 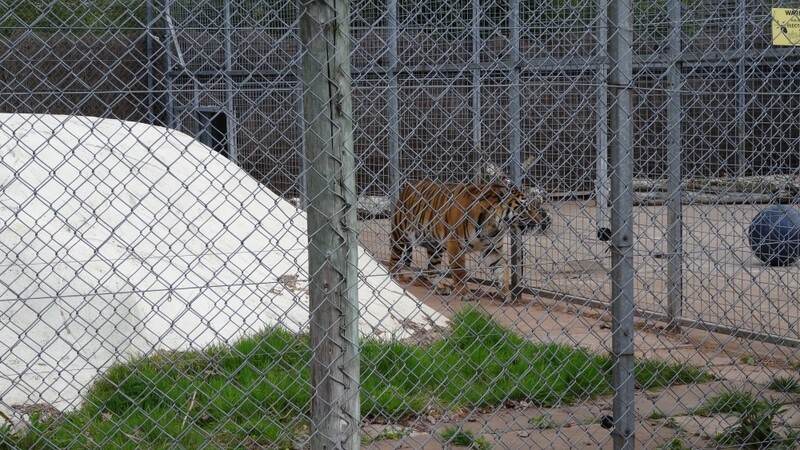 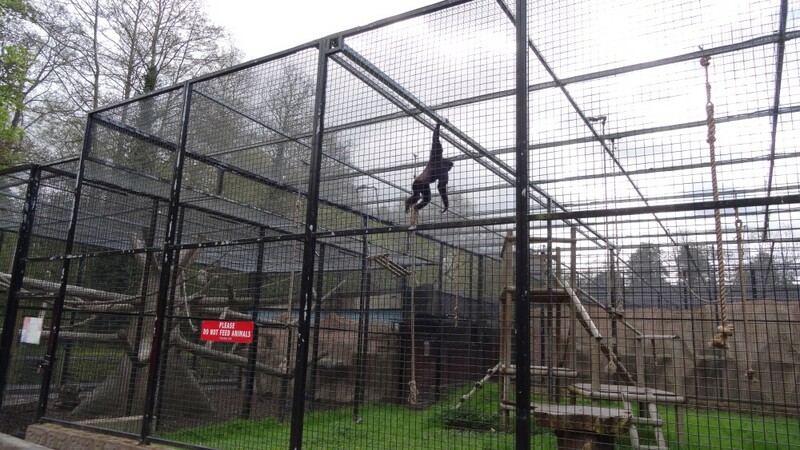 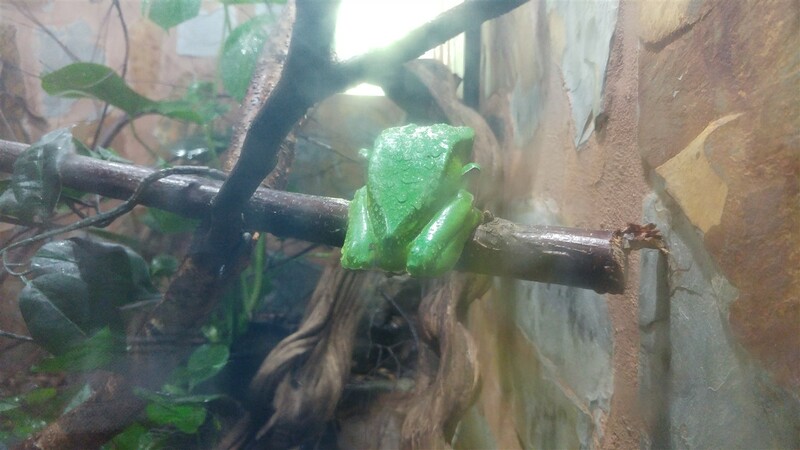 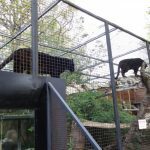 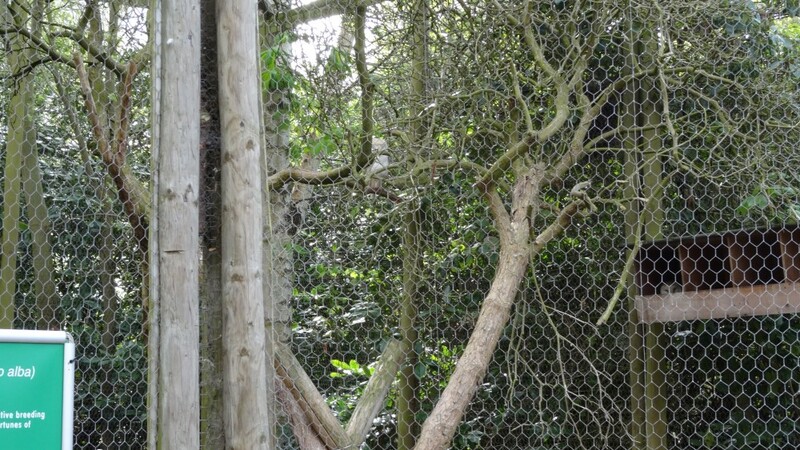 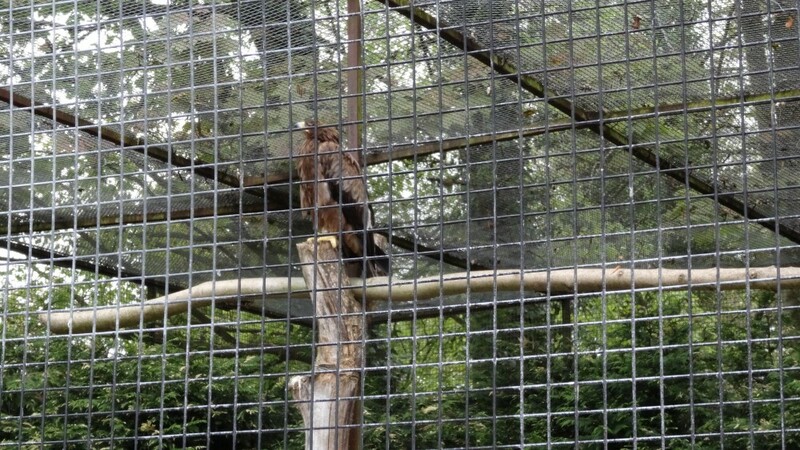 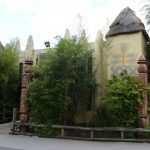 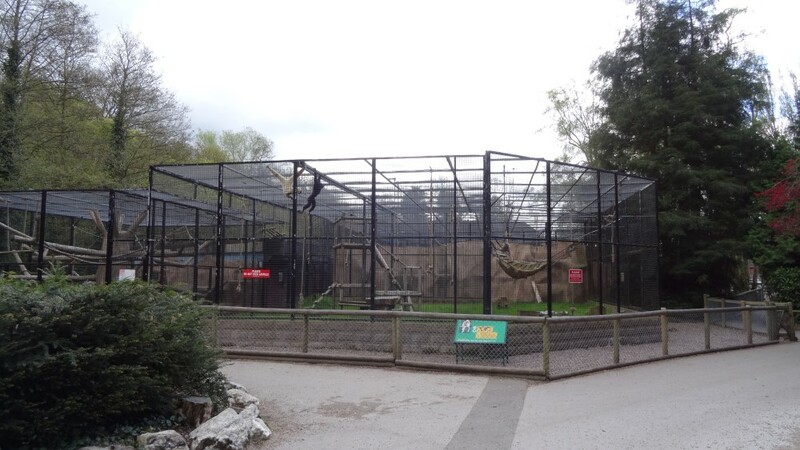 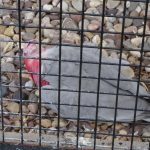 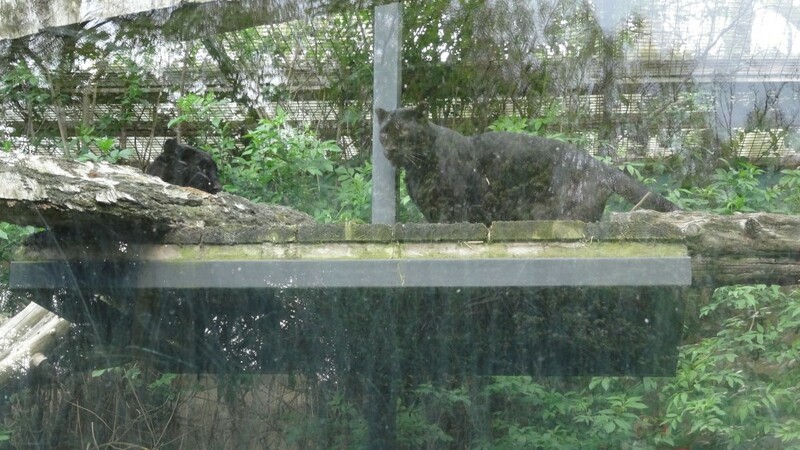 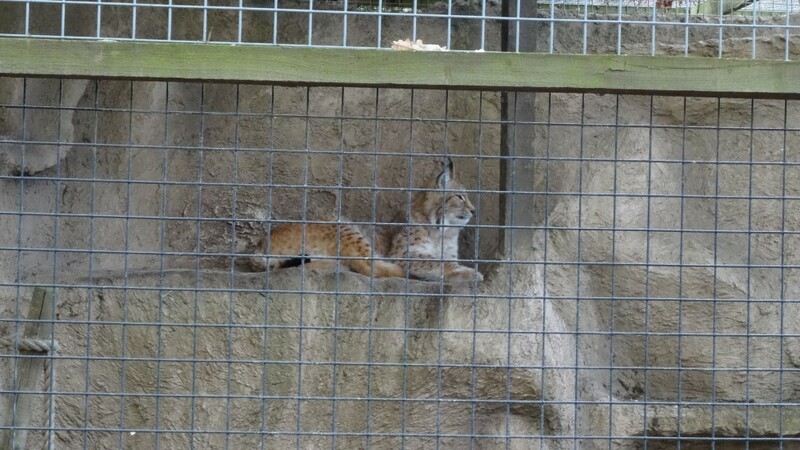 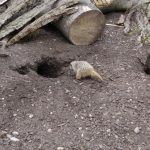 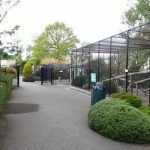 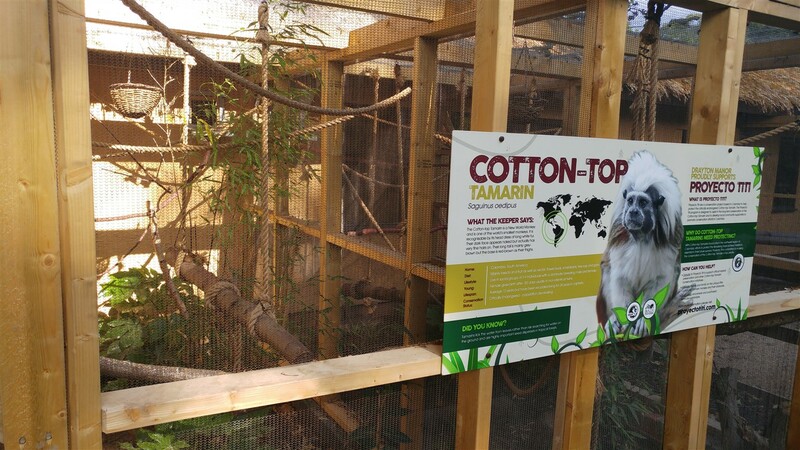 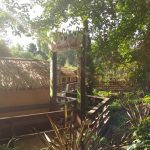 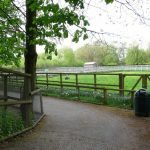 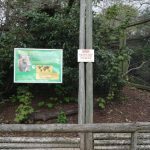 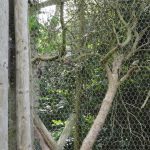 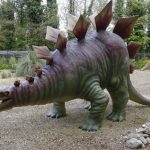 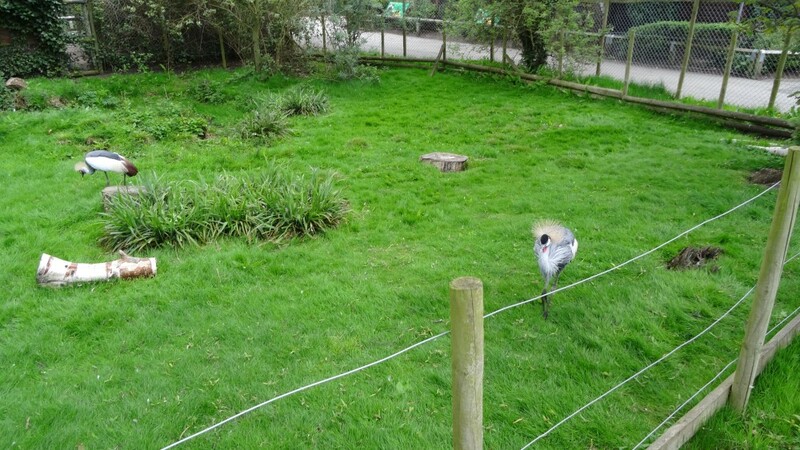 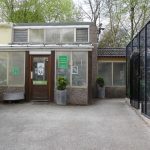 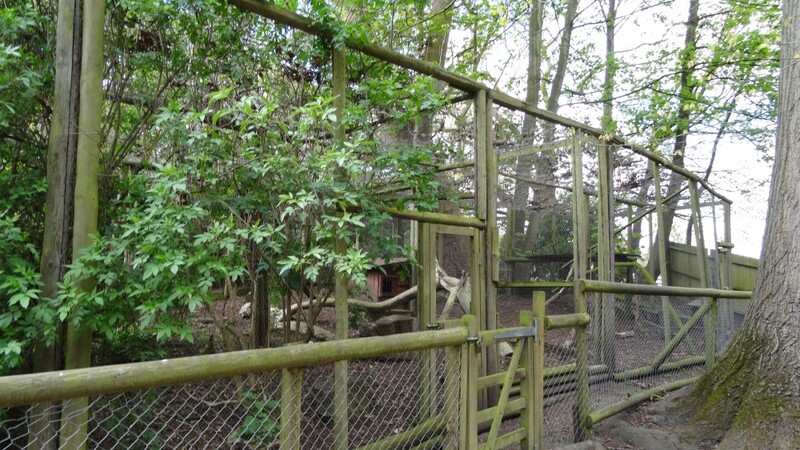 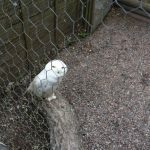 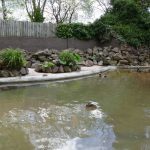 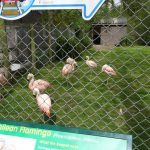 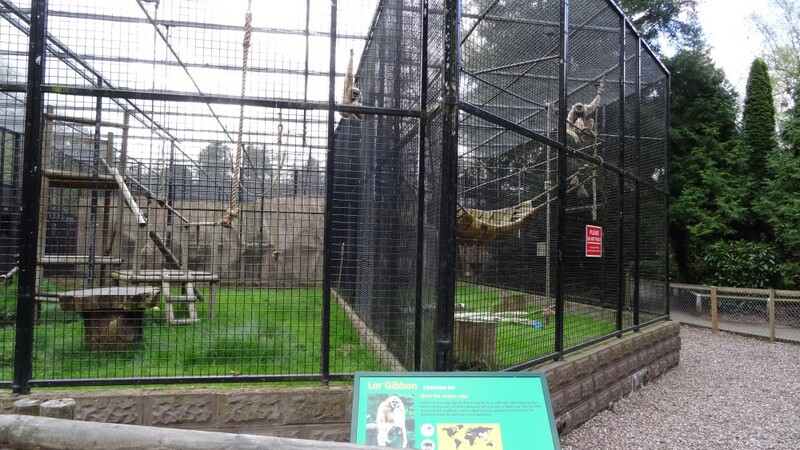 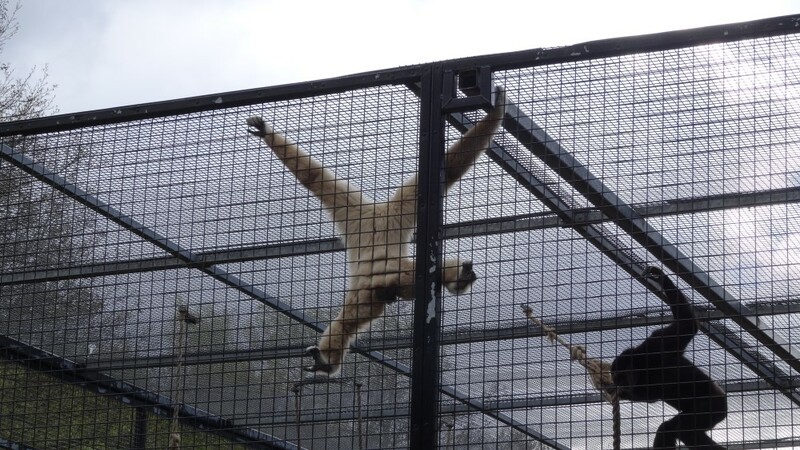 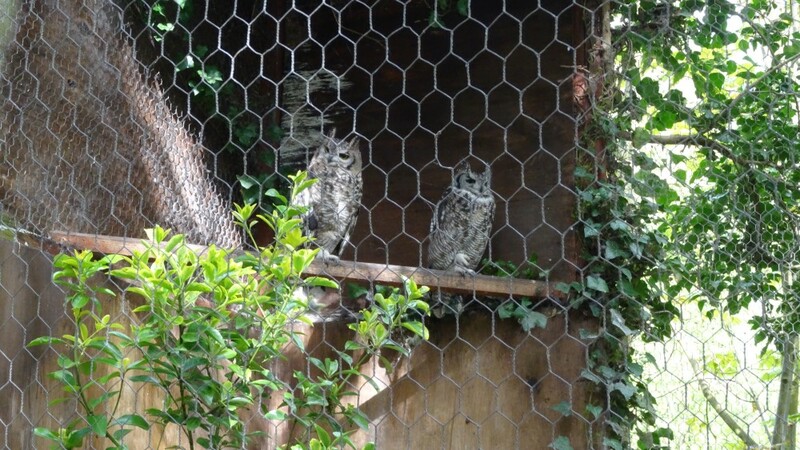 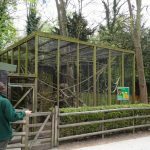 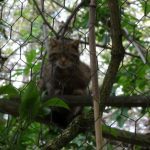 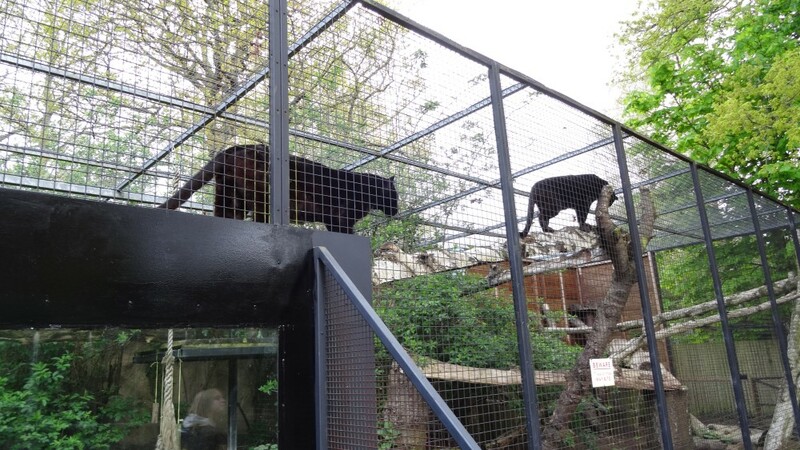 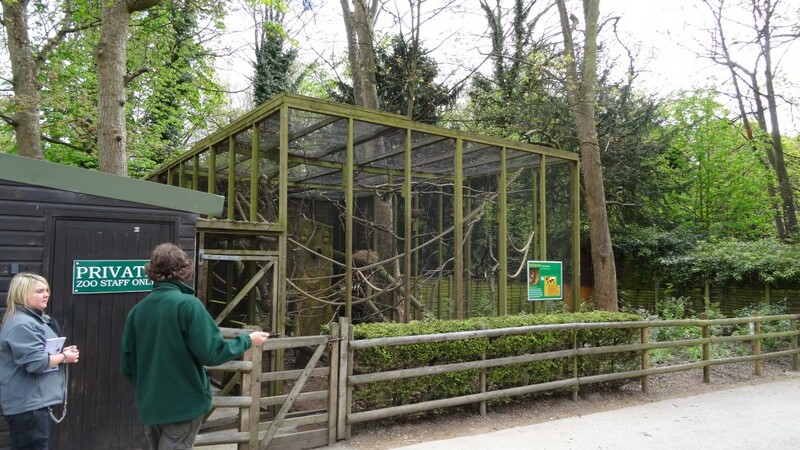 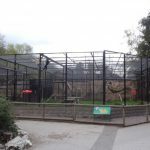 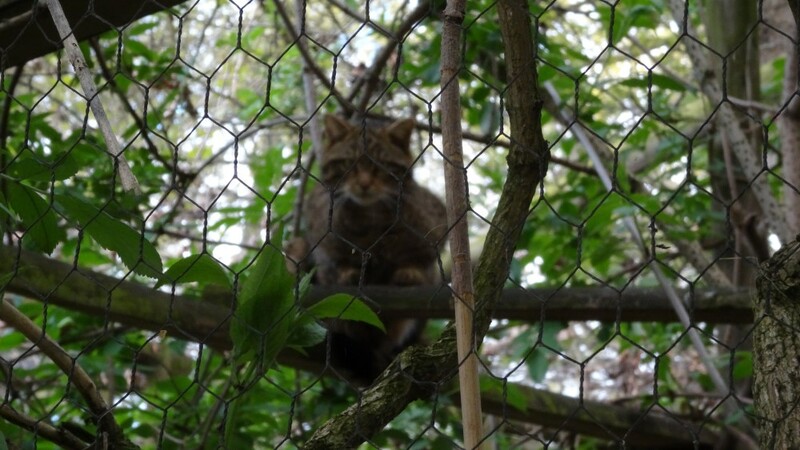 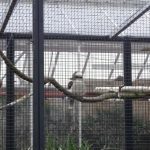 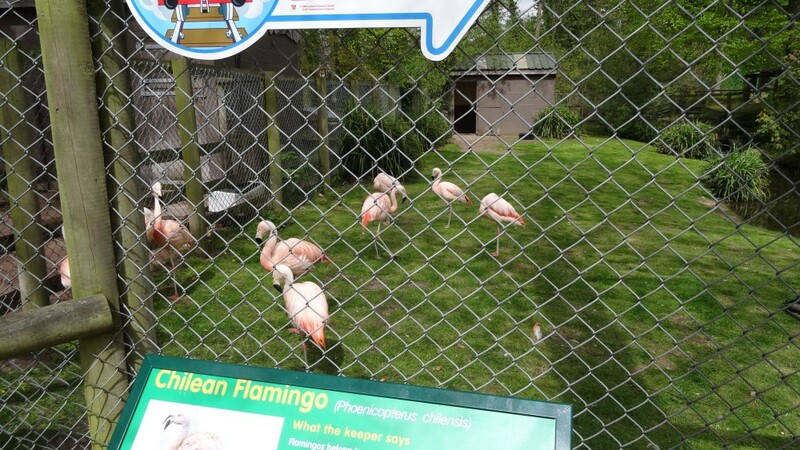 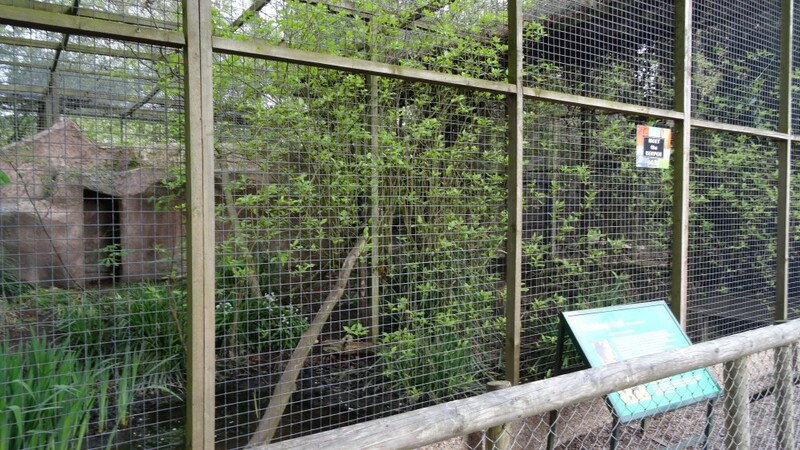 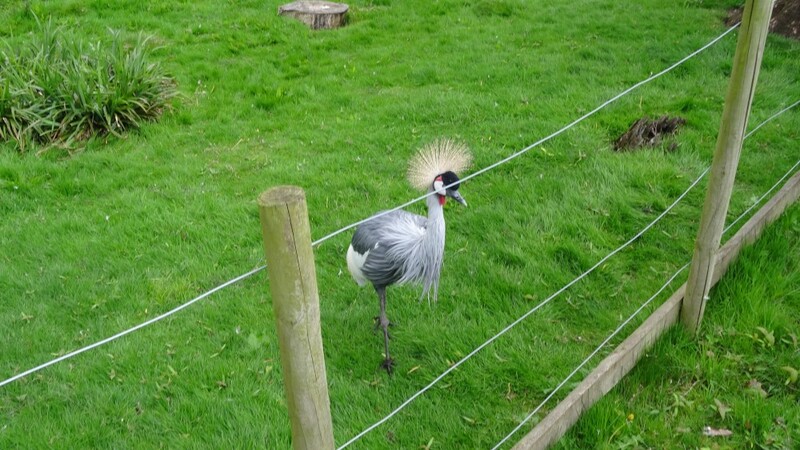 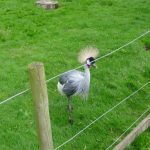 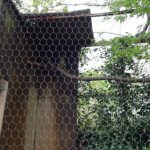 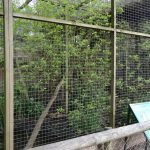 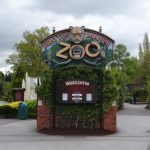 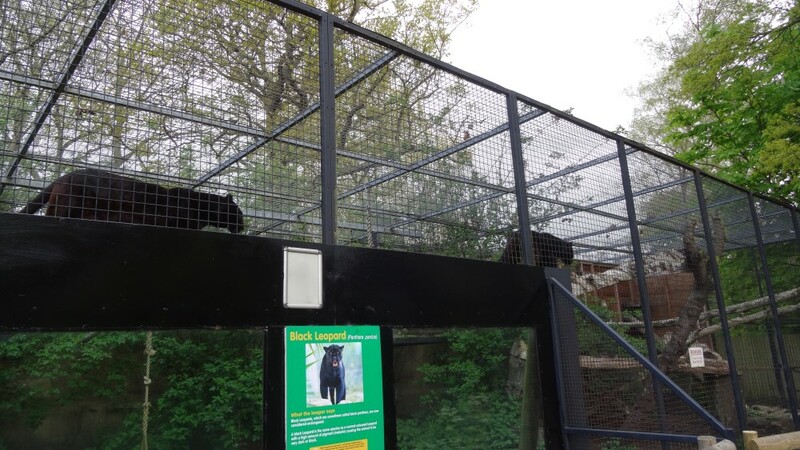 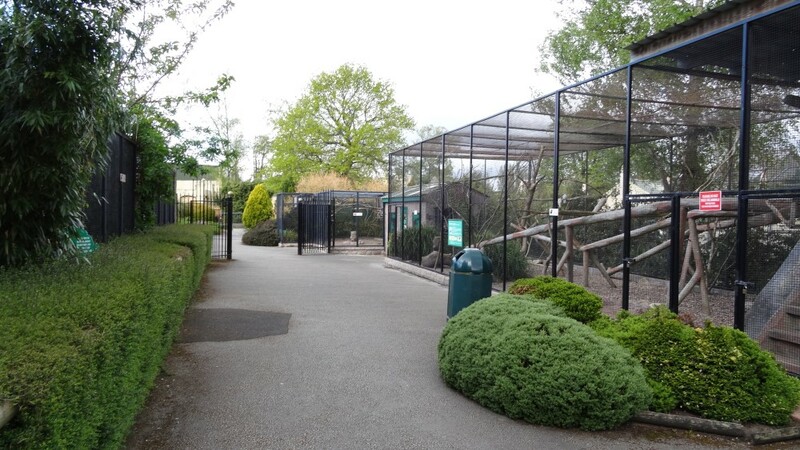 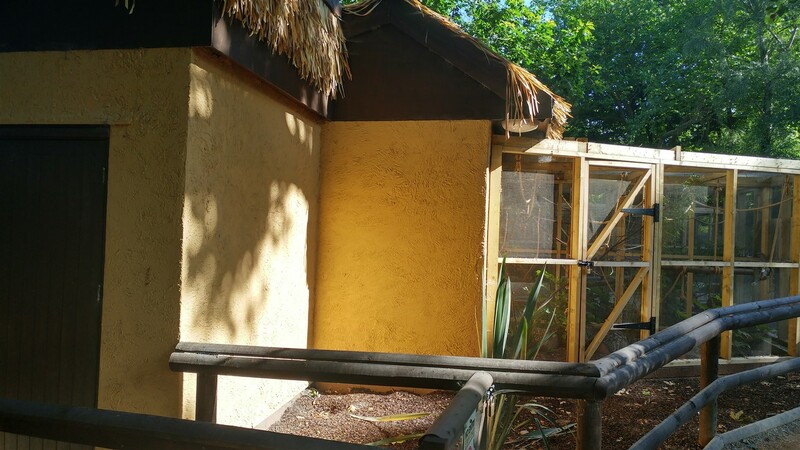 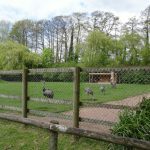 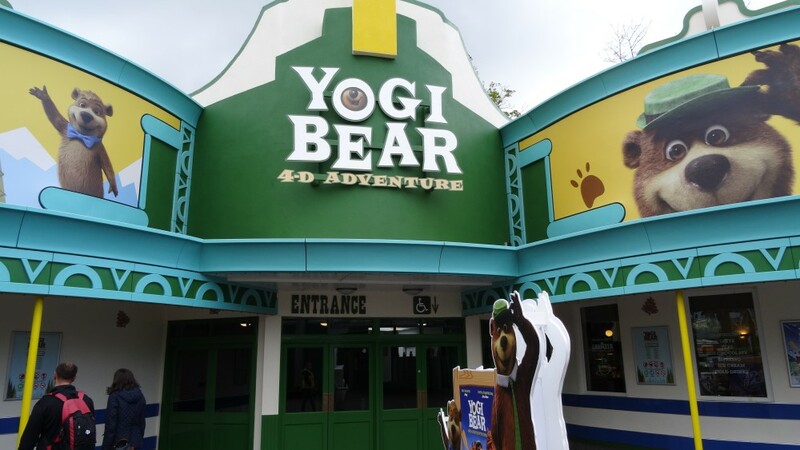 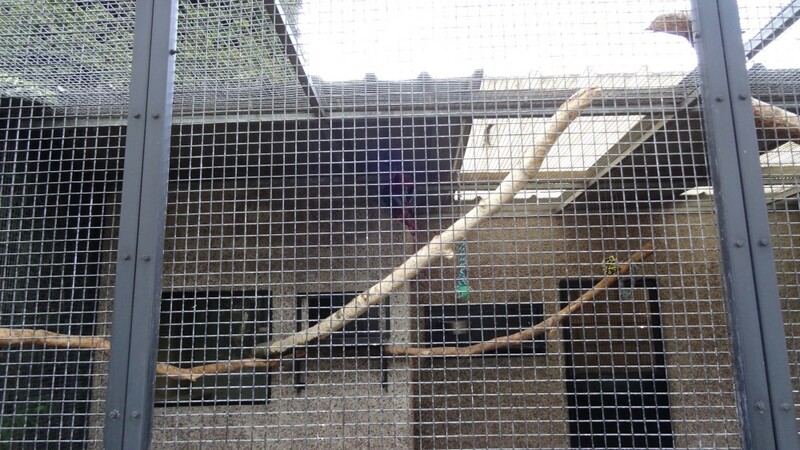 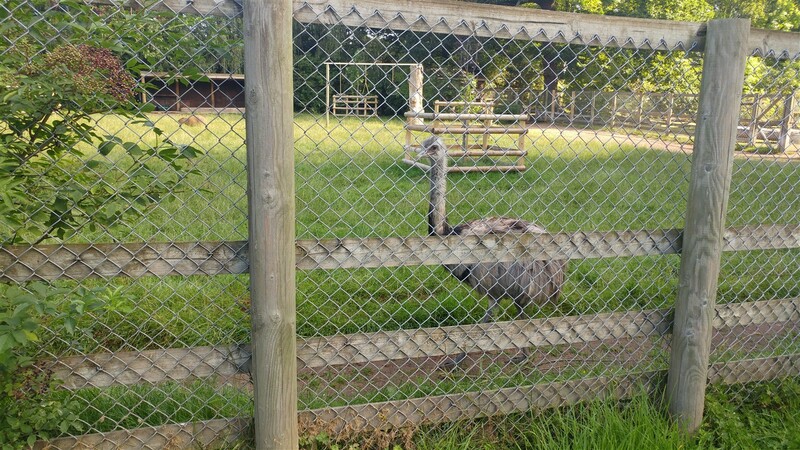 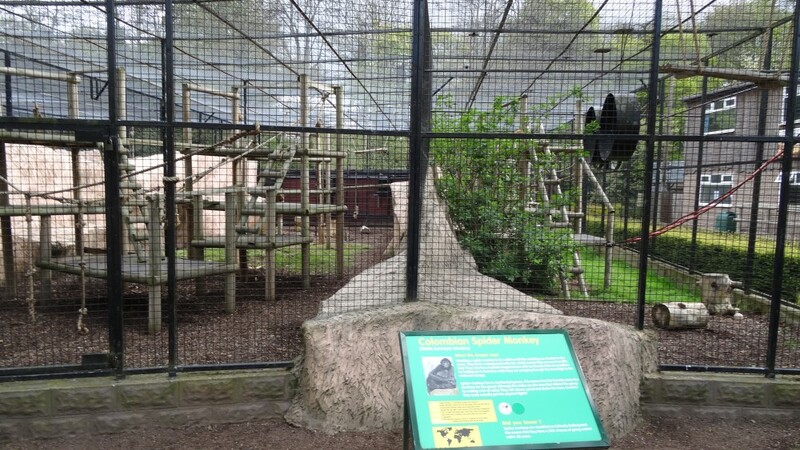 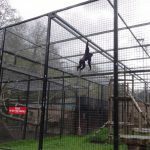 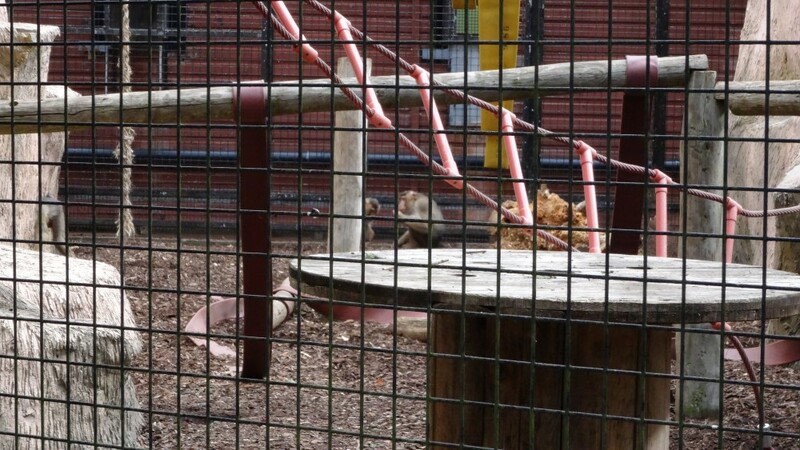 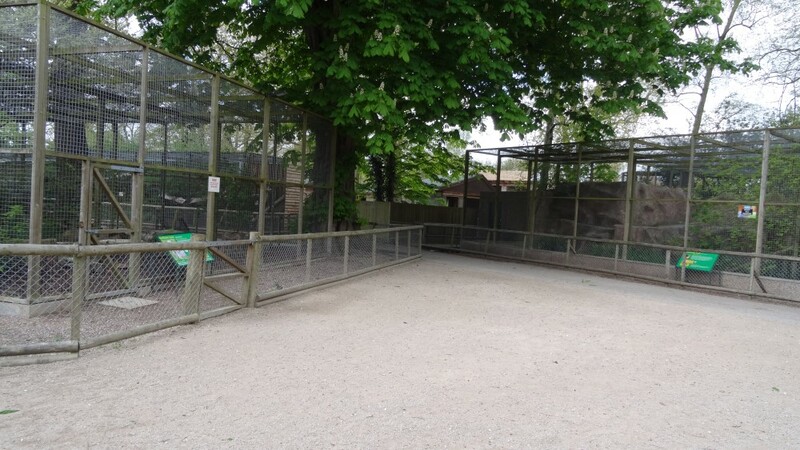 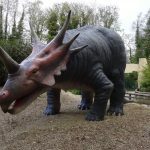 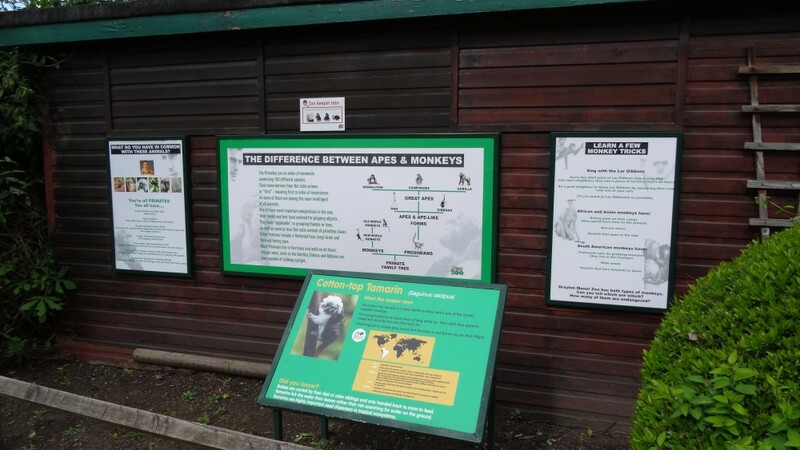 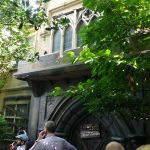 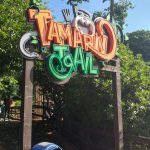 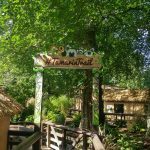 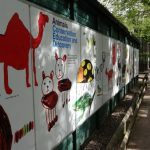 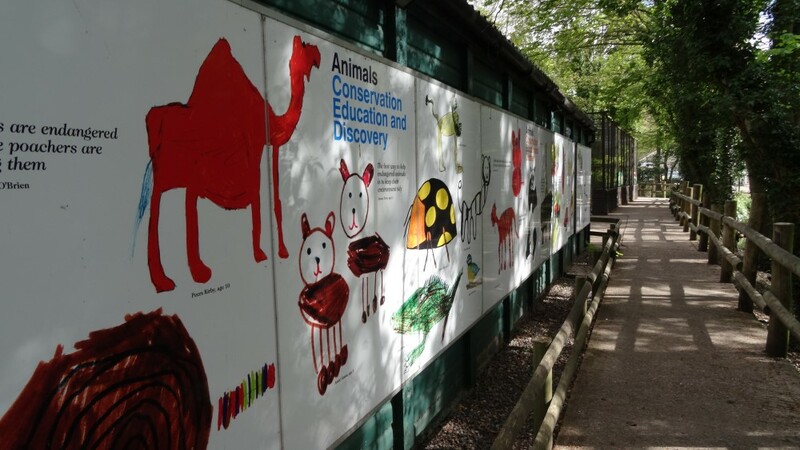 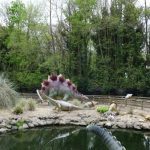 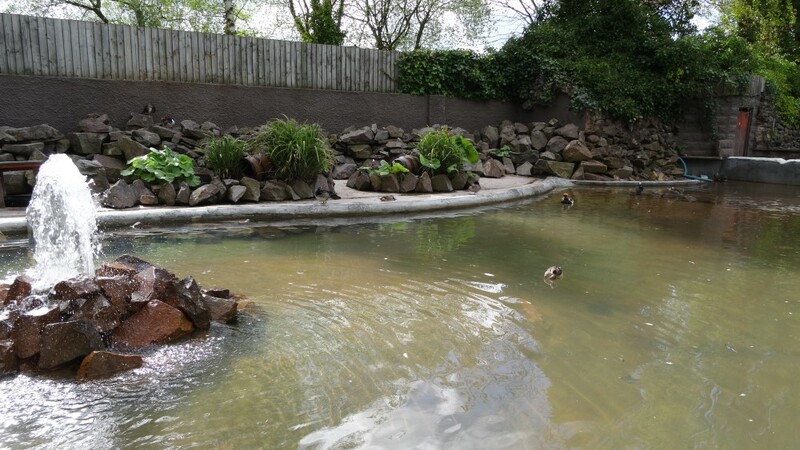 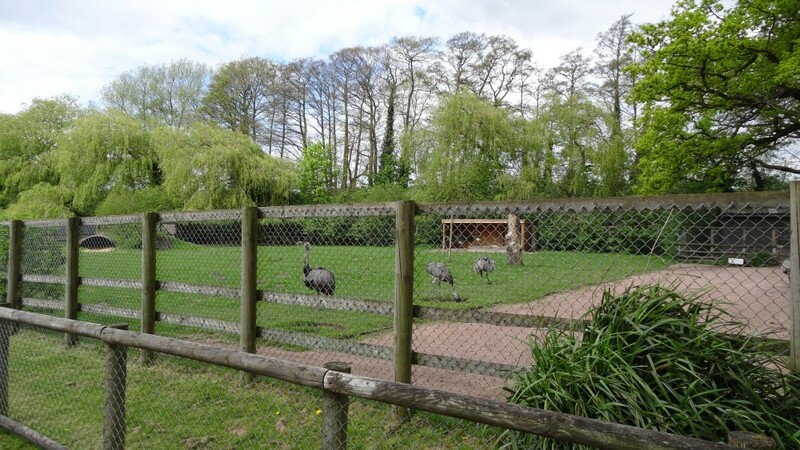 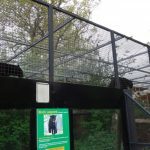 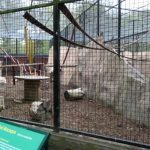 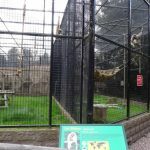 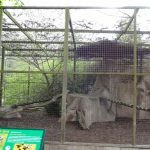 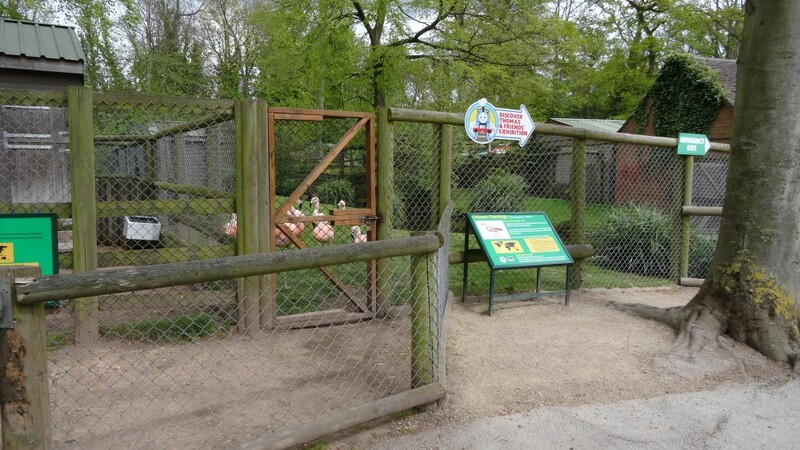 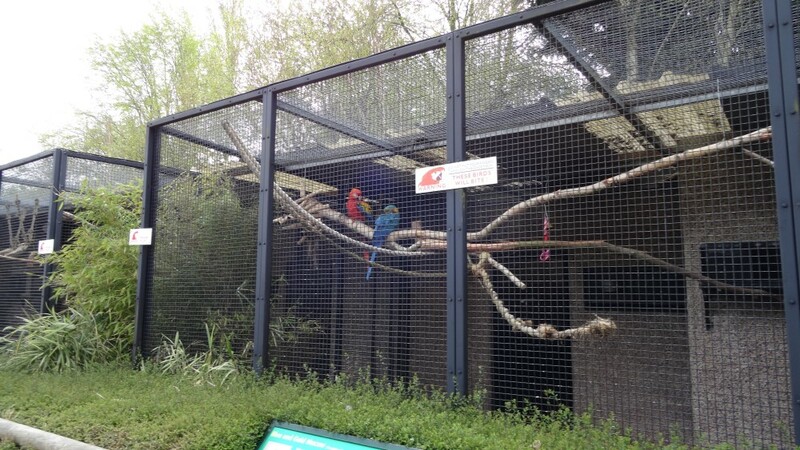 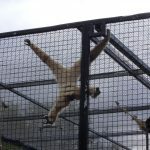 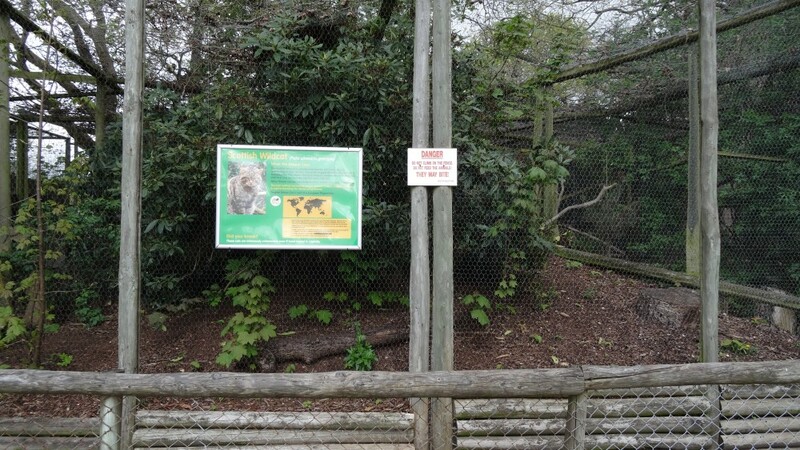 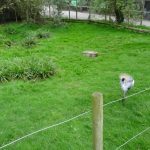 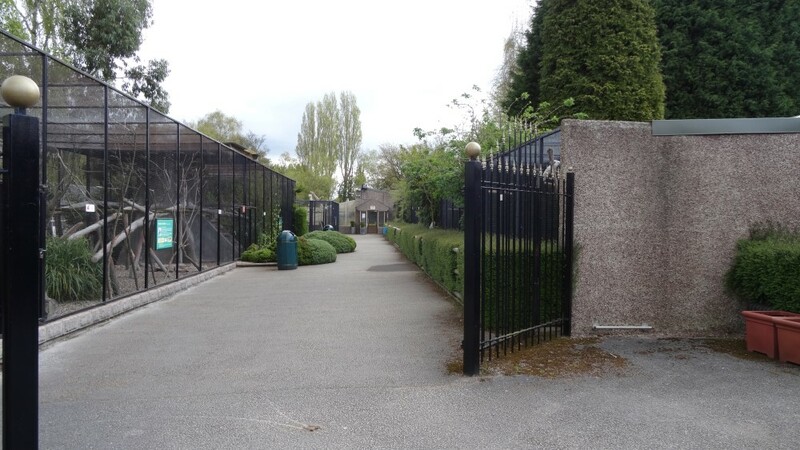 With a 4D Cinema and River Rapids there is also things for the family which includes enjoying the parks Zoo. 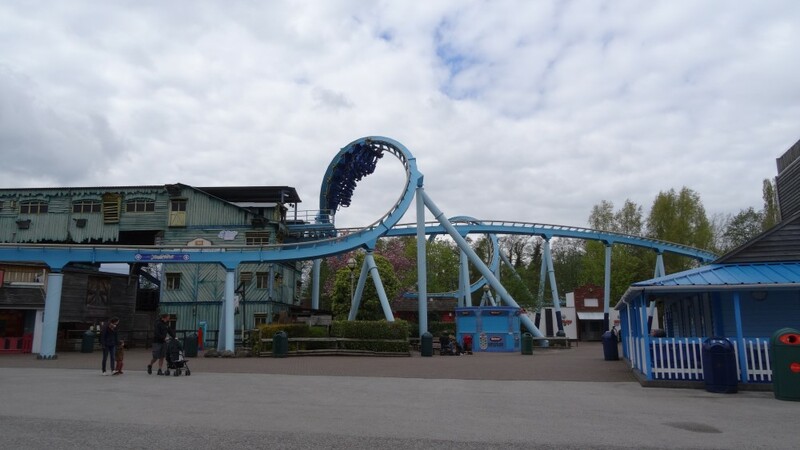 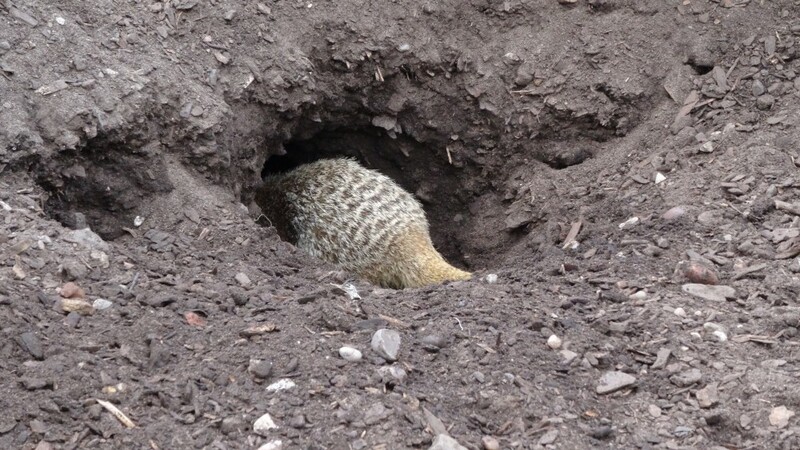 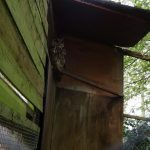 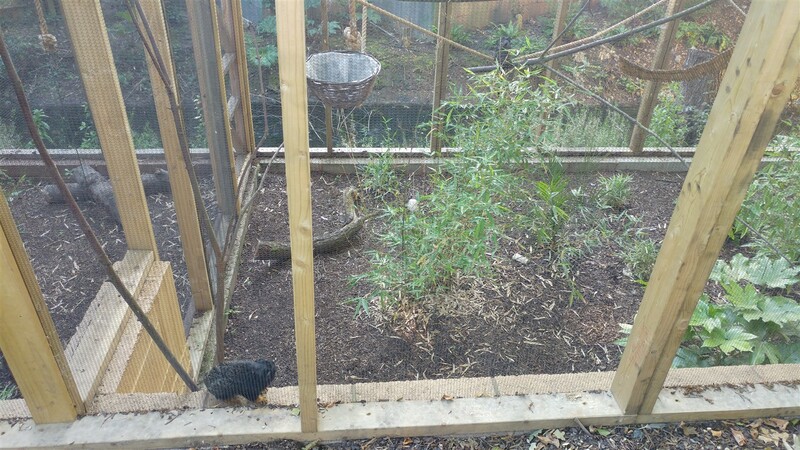 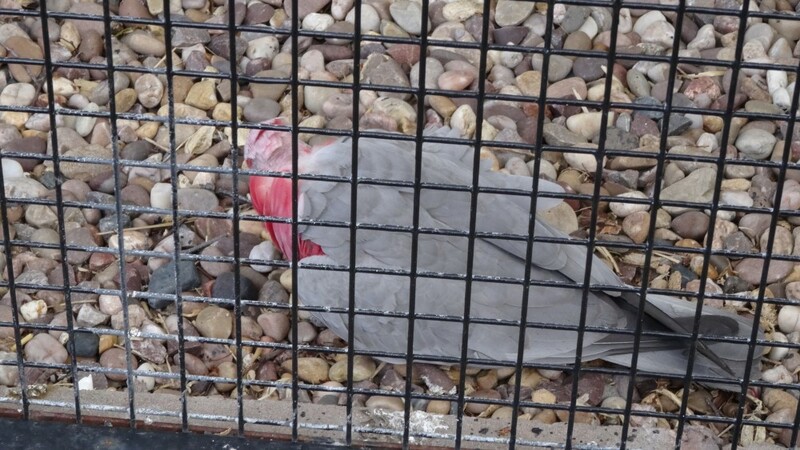 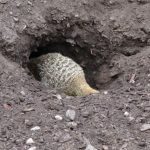 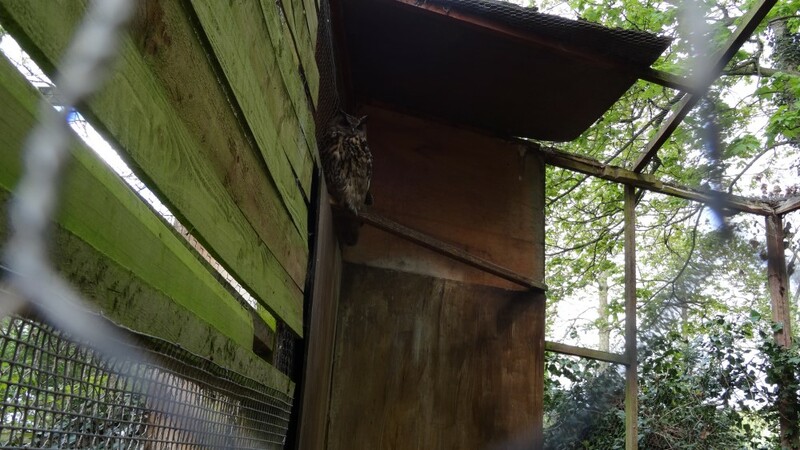 Although not the biggest does add to the day out at the park. 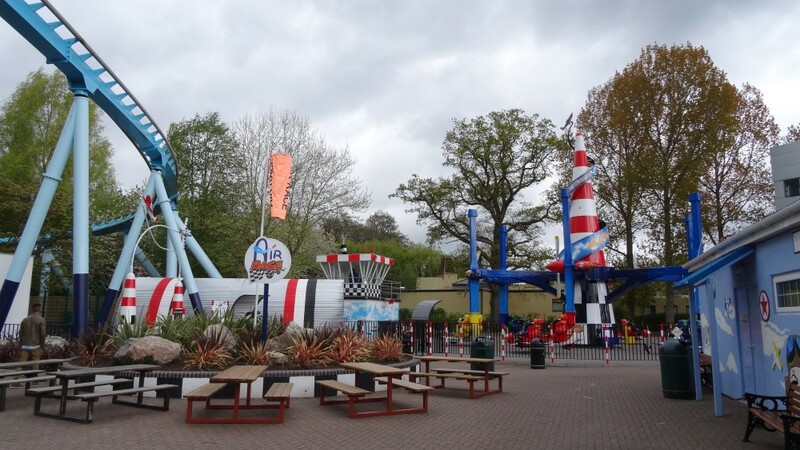 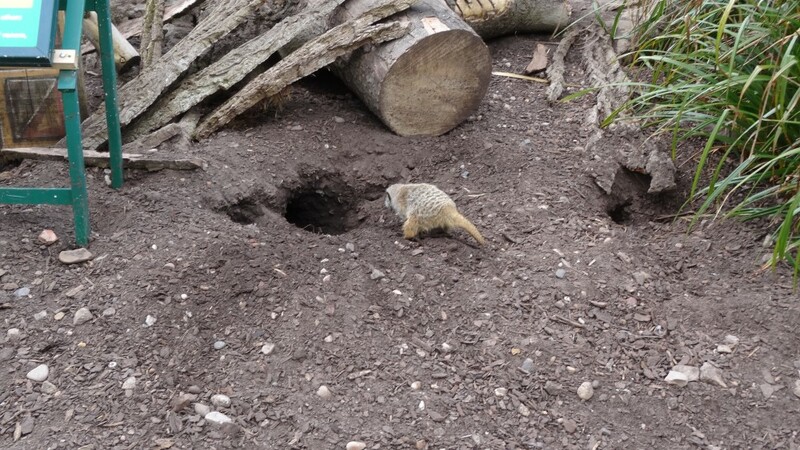 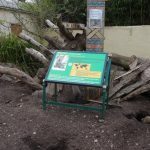 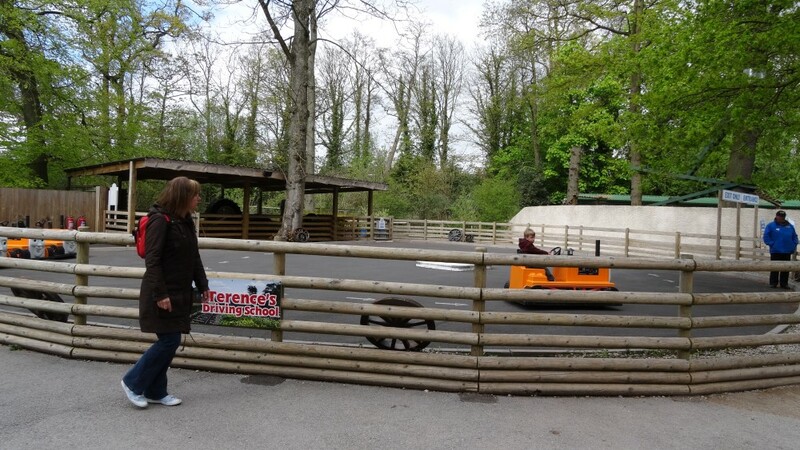 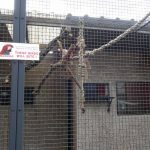 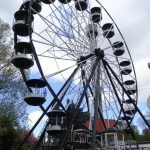 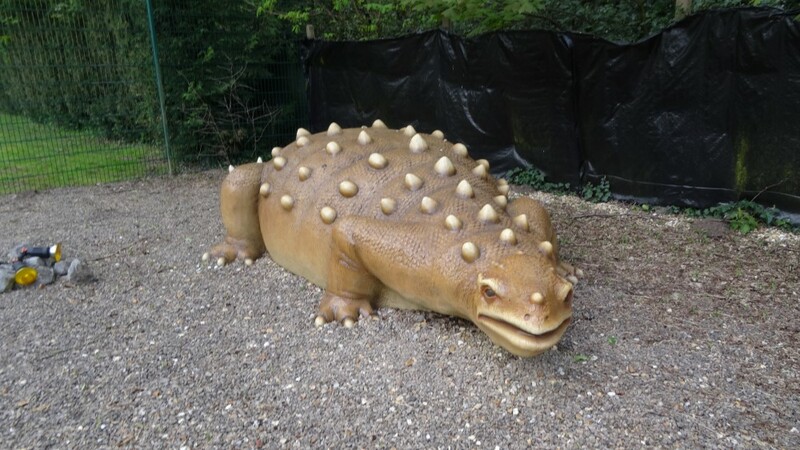 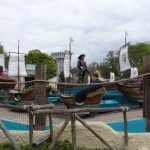 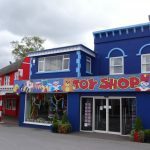 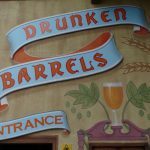 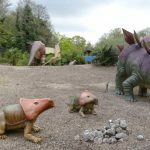 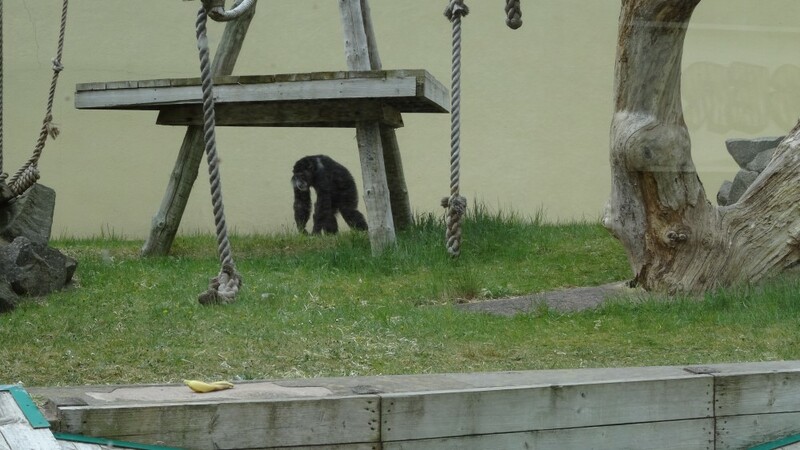 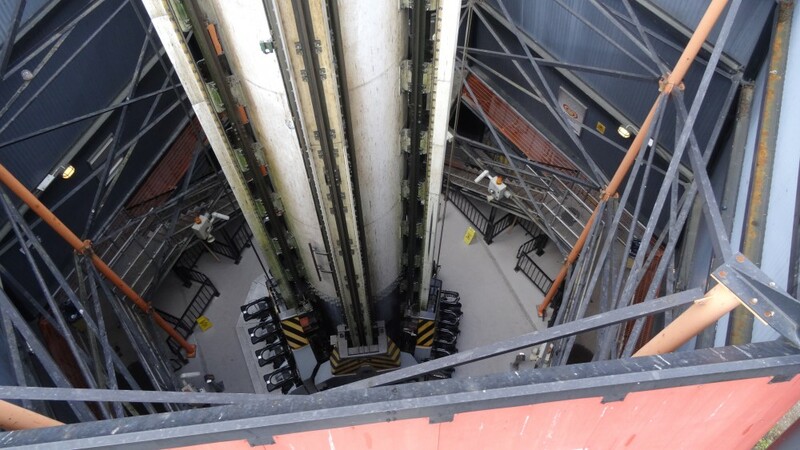 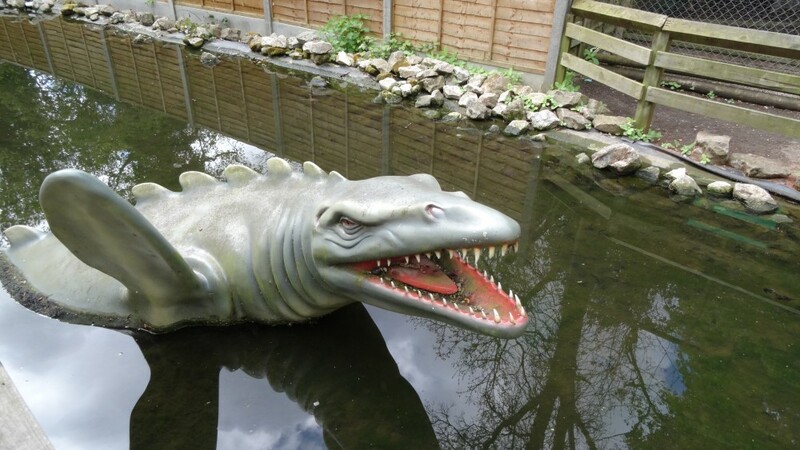 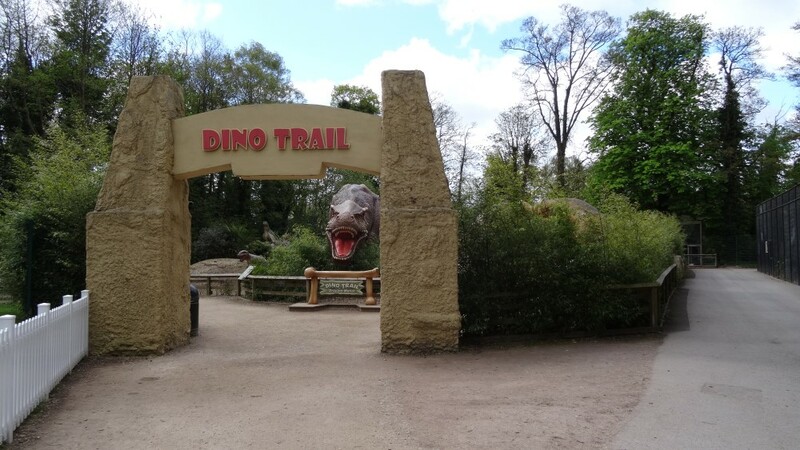 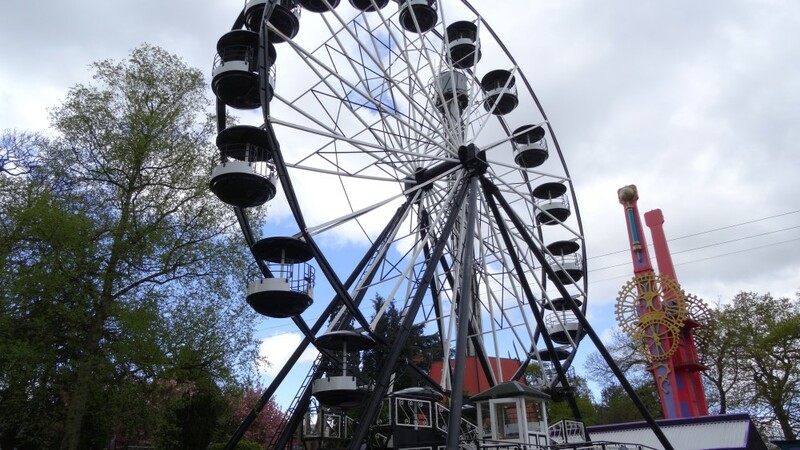 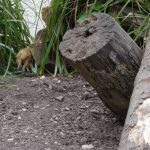 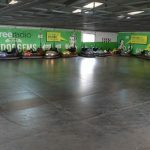 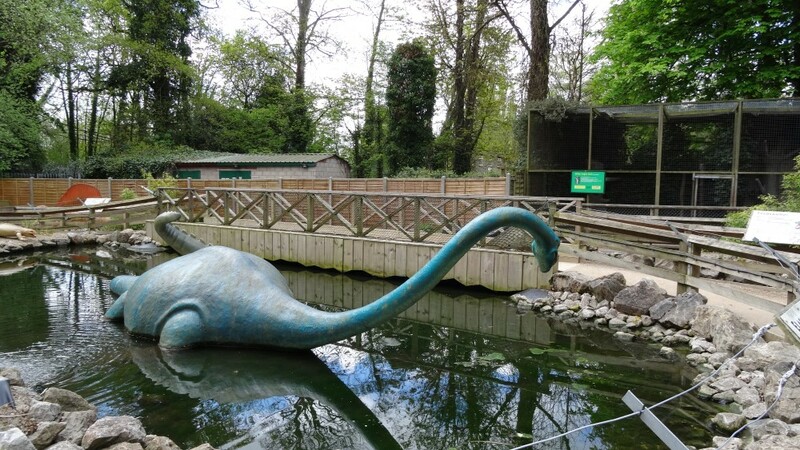 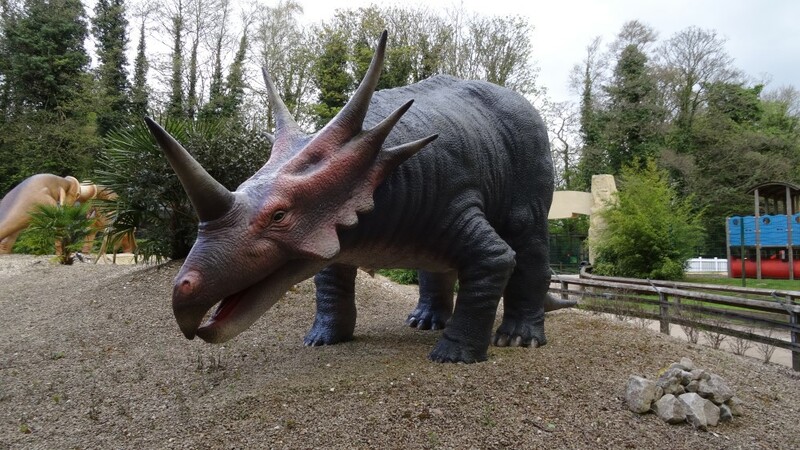 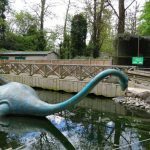 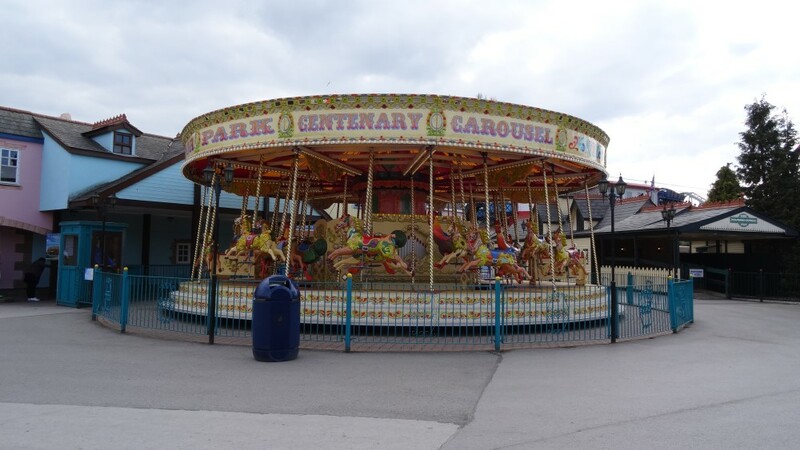 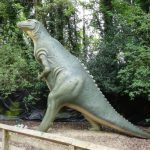 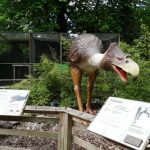 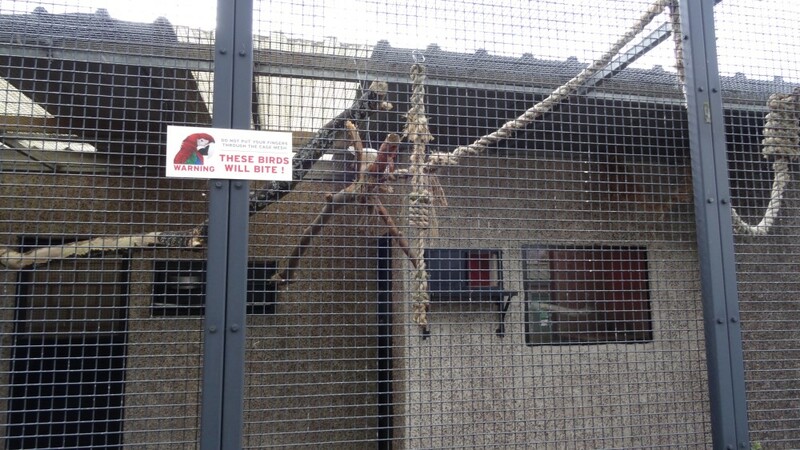 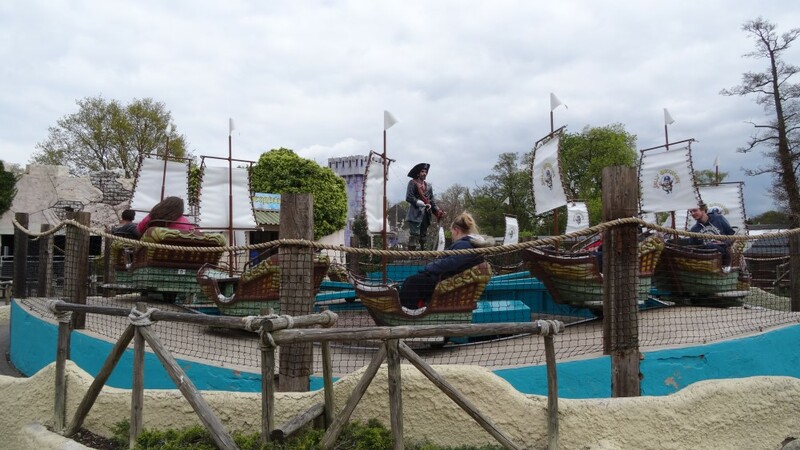 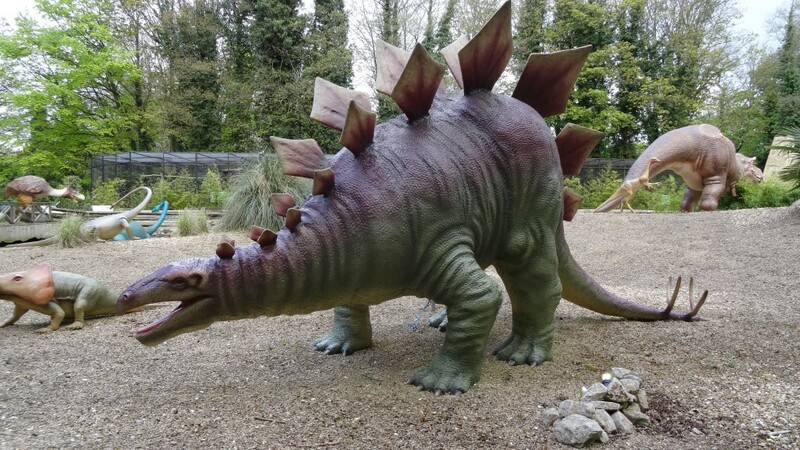 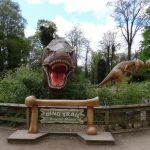 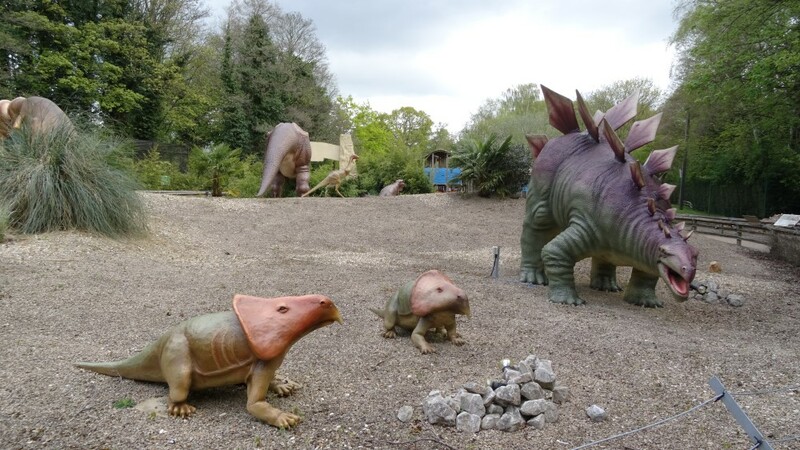 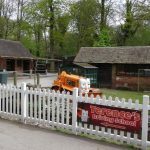 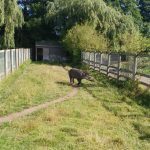 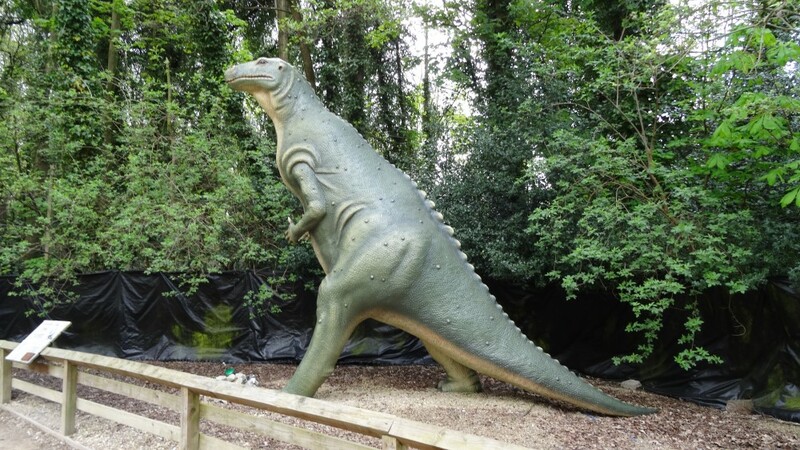 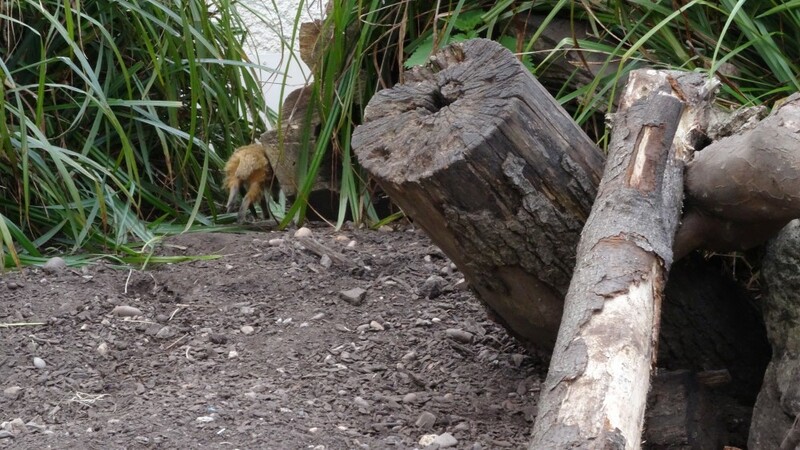 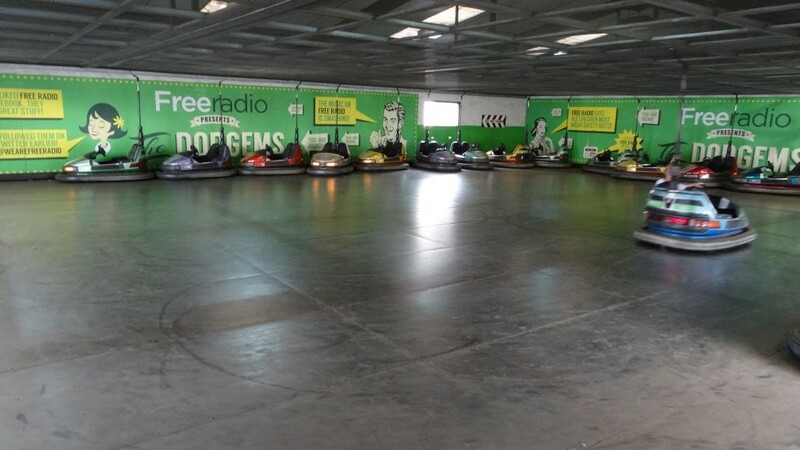 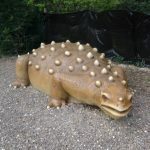 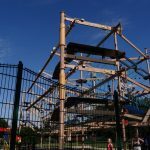 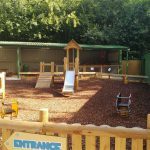 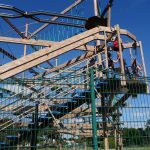 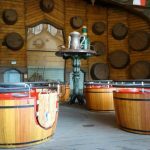 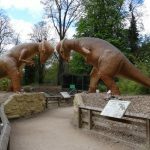 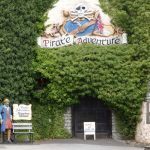 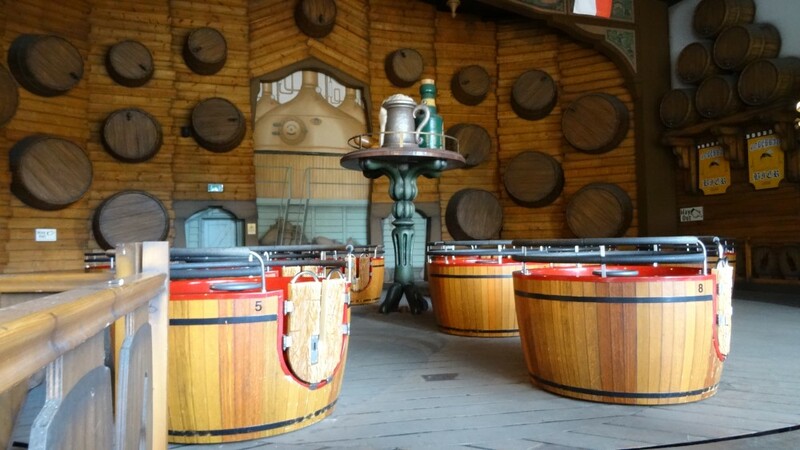 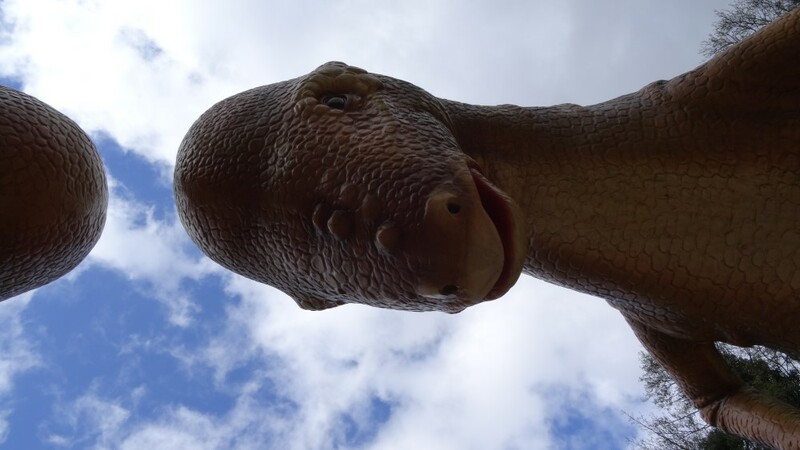 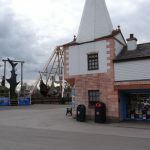 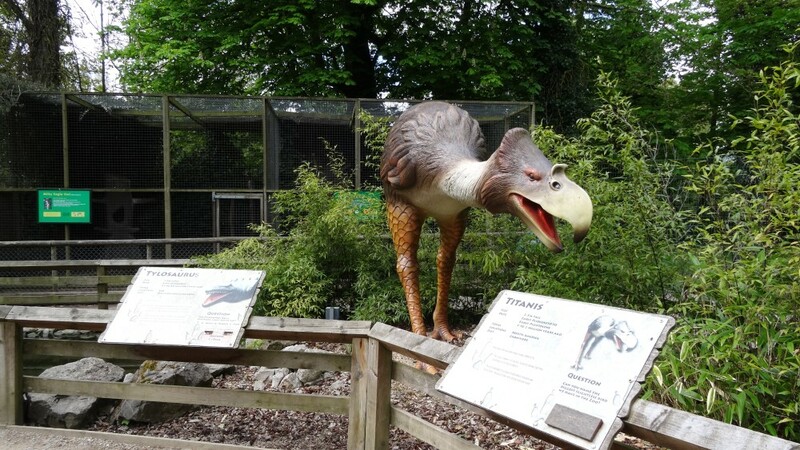 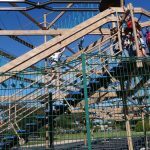 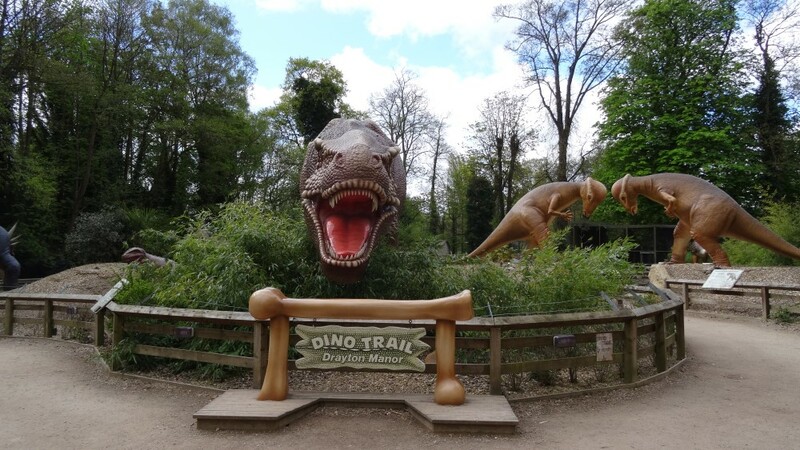 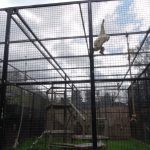 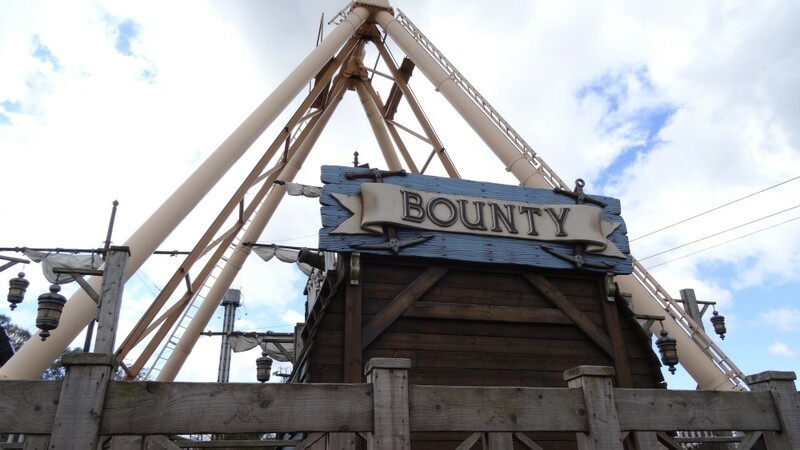 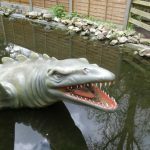 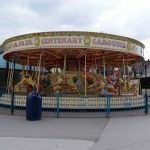 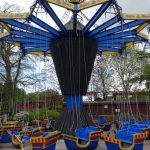 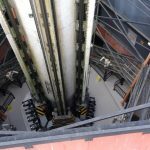 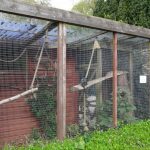 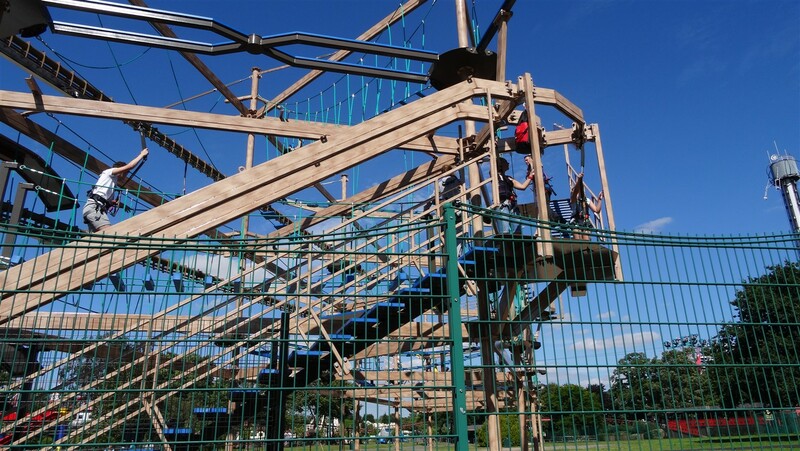 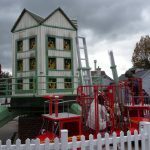 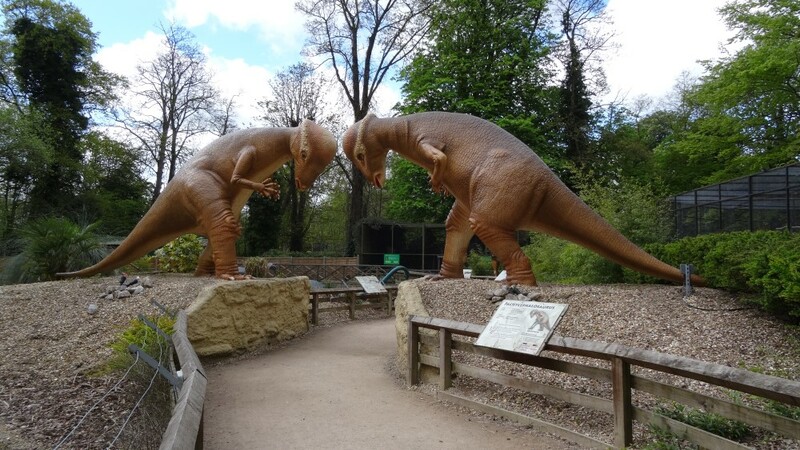 Whilst the park does need a new “big” ride there is plenty to do for a day out.